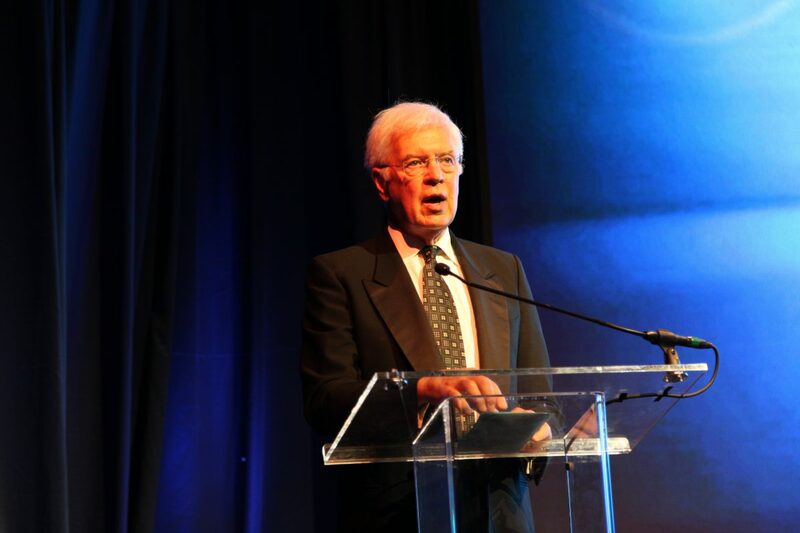 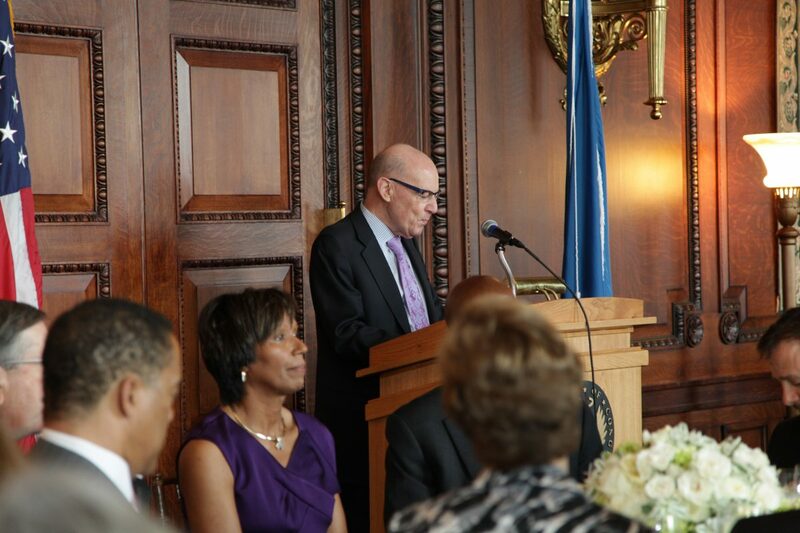 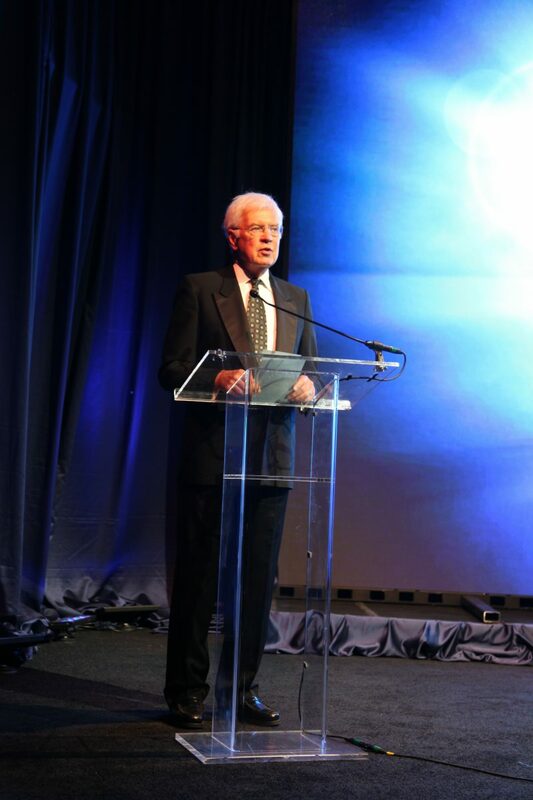 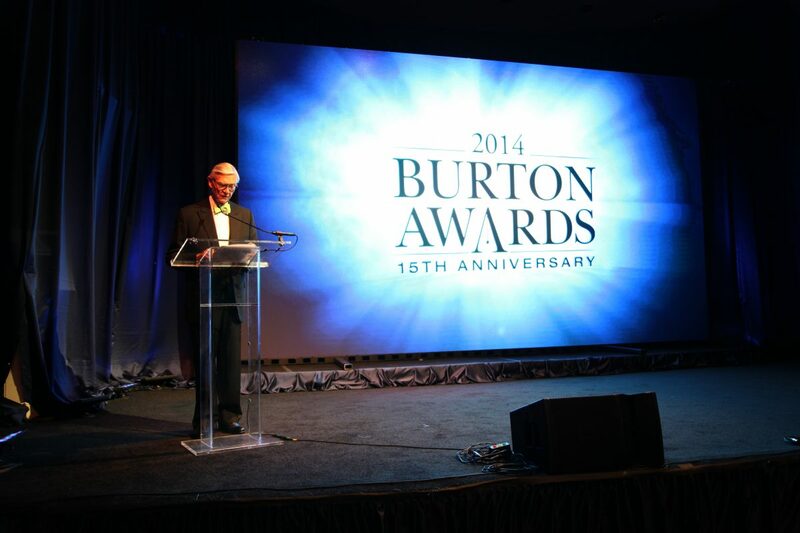 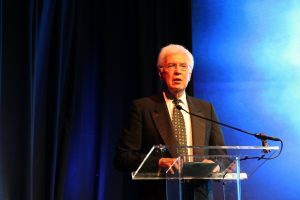 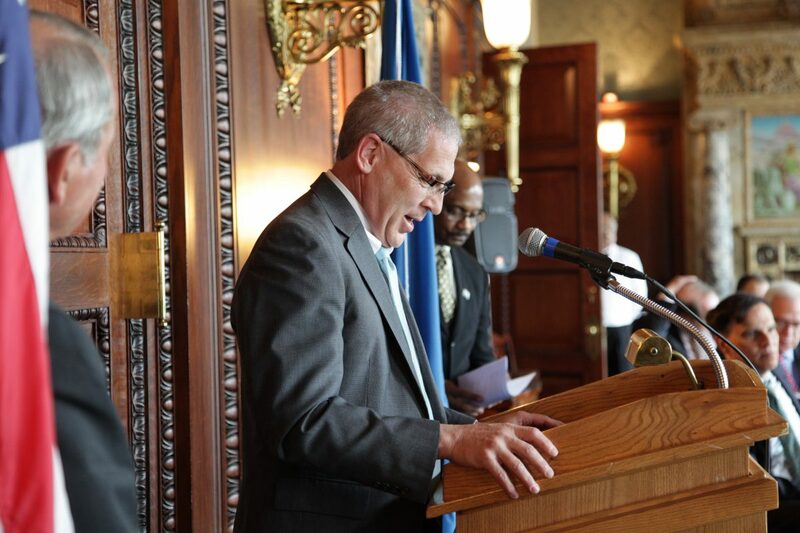 Keeping with tradition, Bill Press served as the moderator of the Fifteenth Anniversary program. 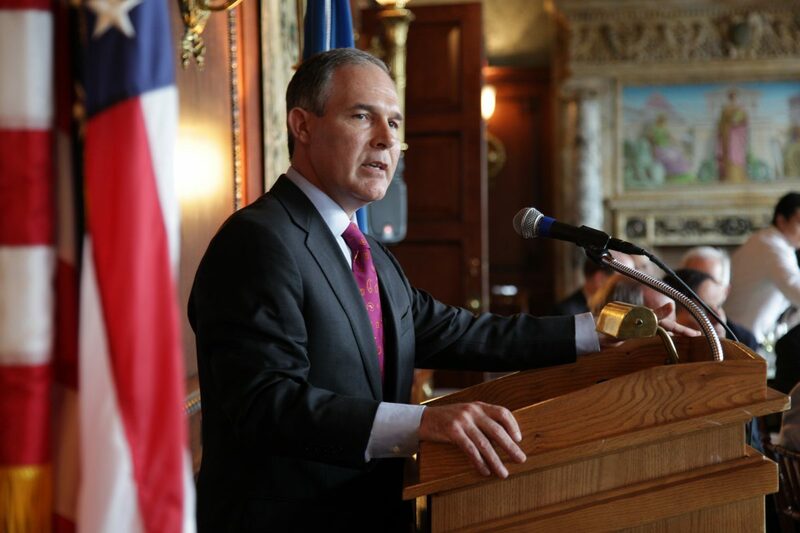 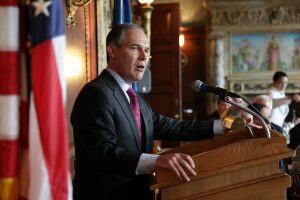 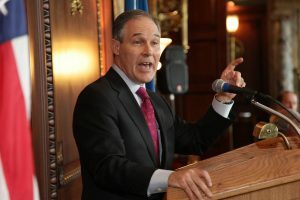 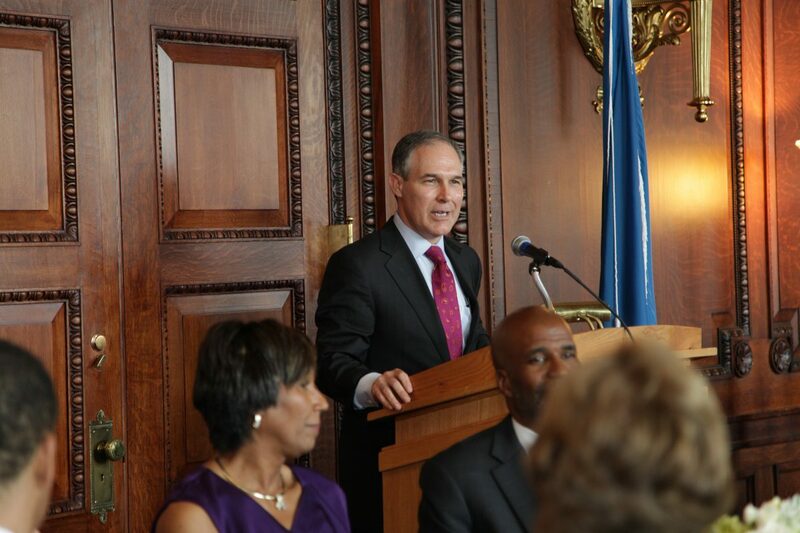 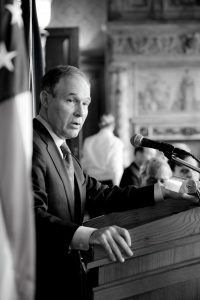 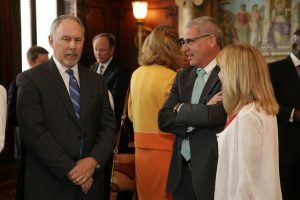 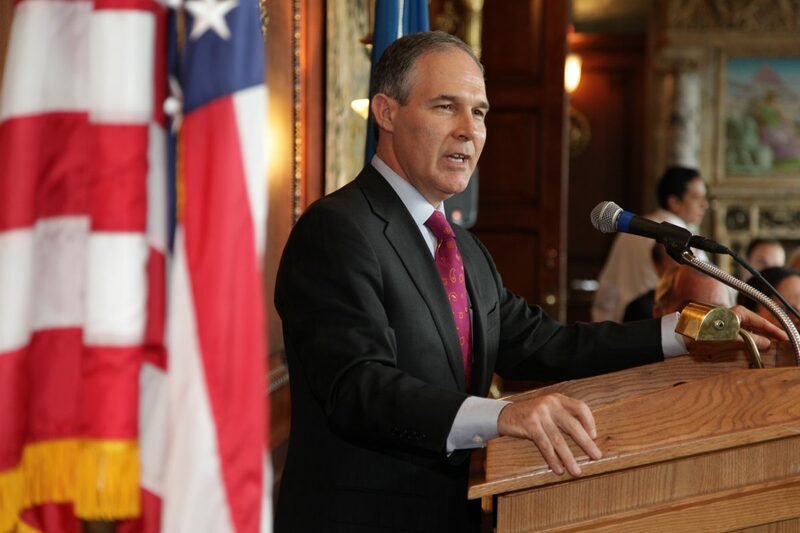 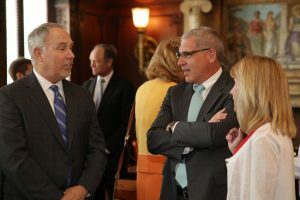 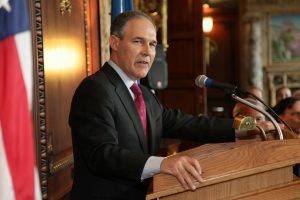 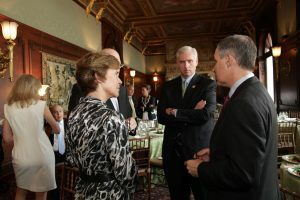 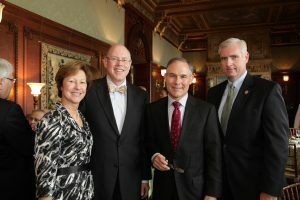 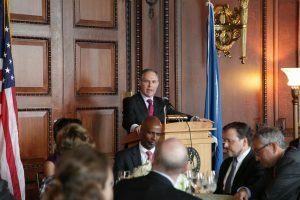 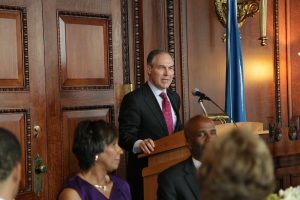 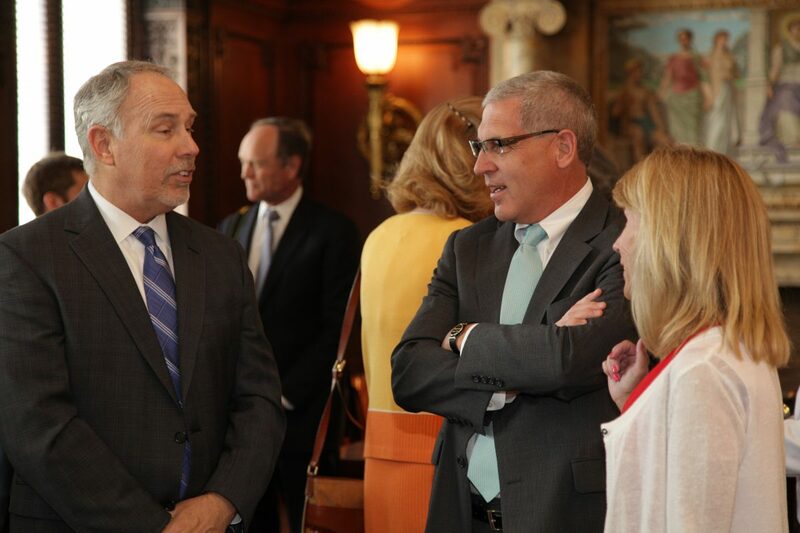 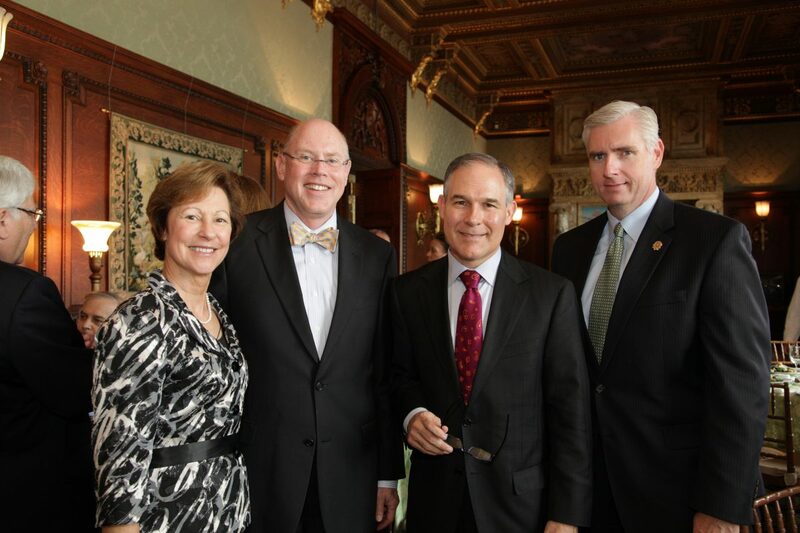 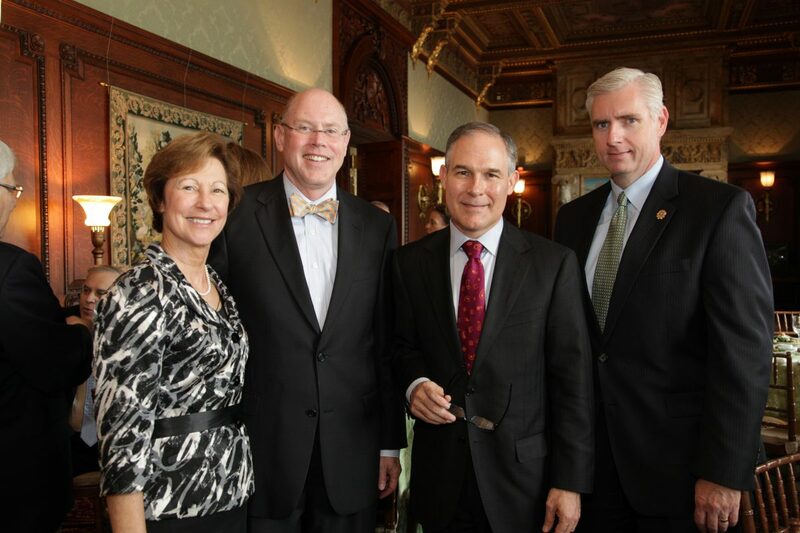 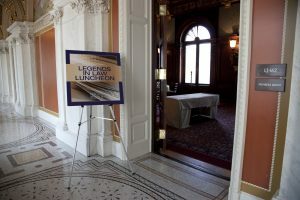 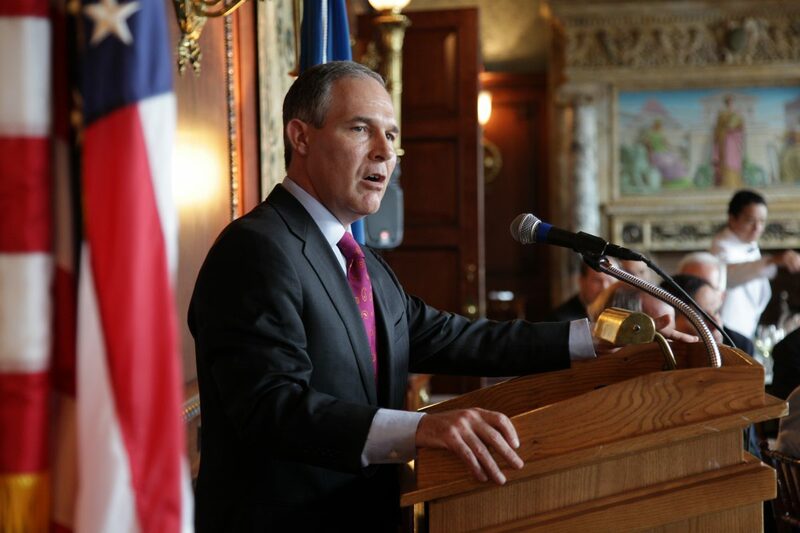 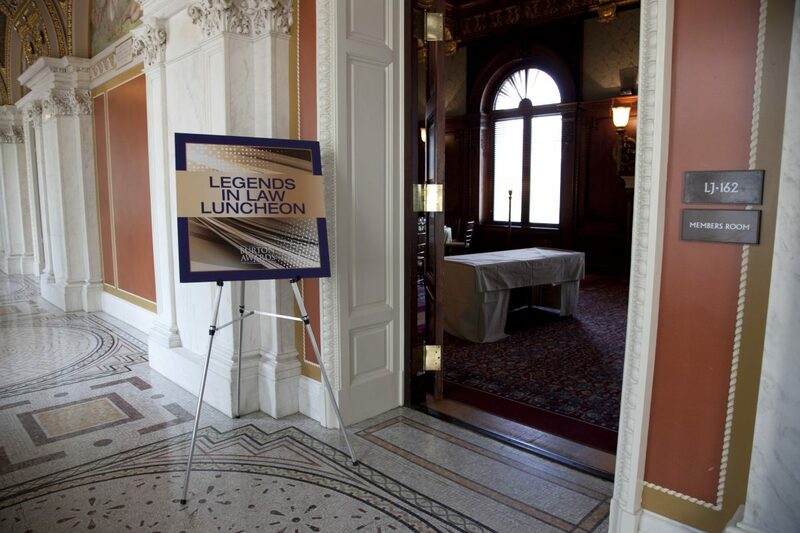 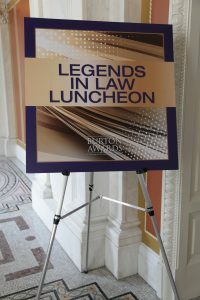 At the Legends in Law Luncheon, Oklahoma Attorney General, E. Scott Pruitt, then chair of the Republican Attorney General Association, was the guest speaker. 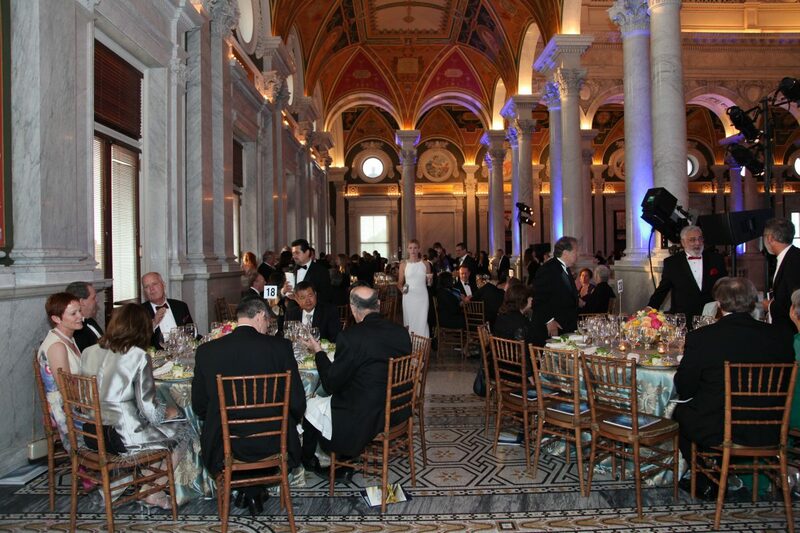 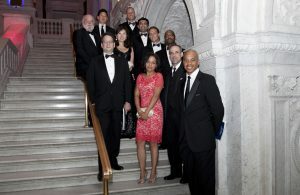 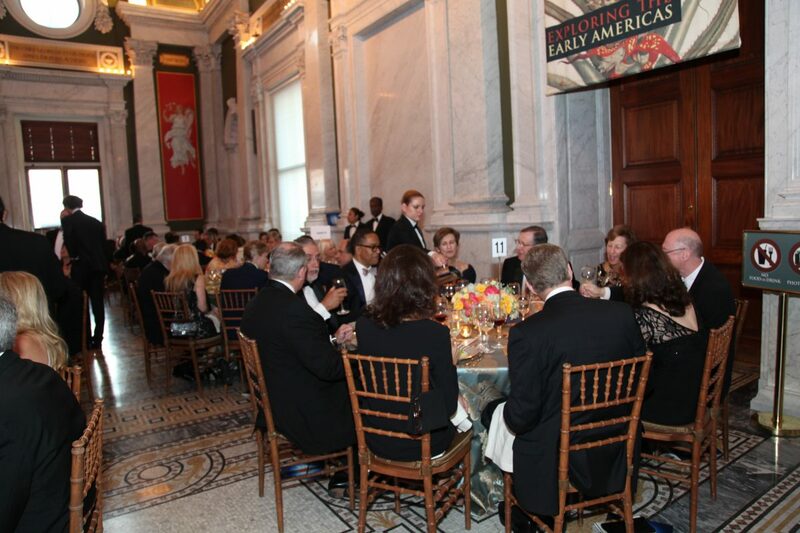 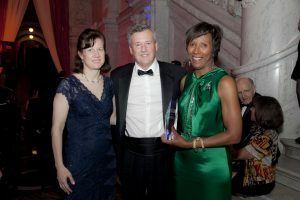 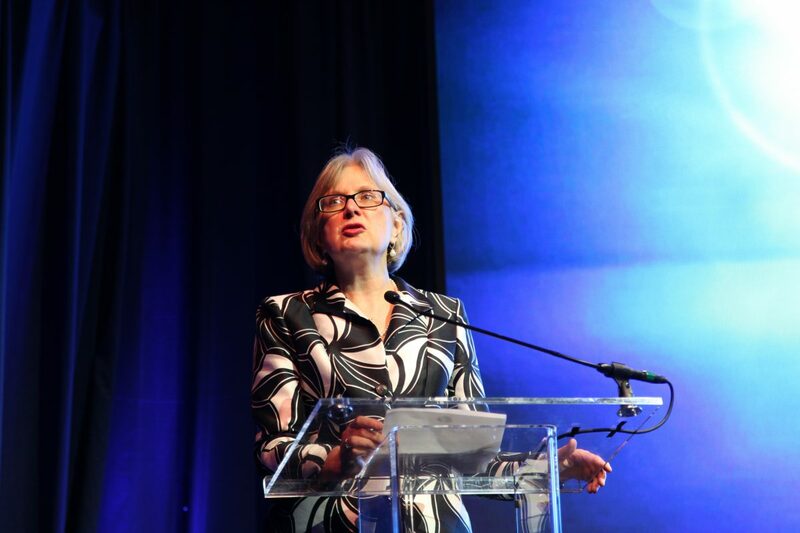 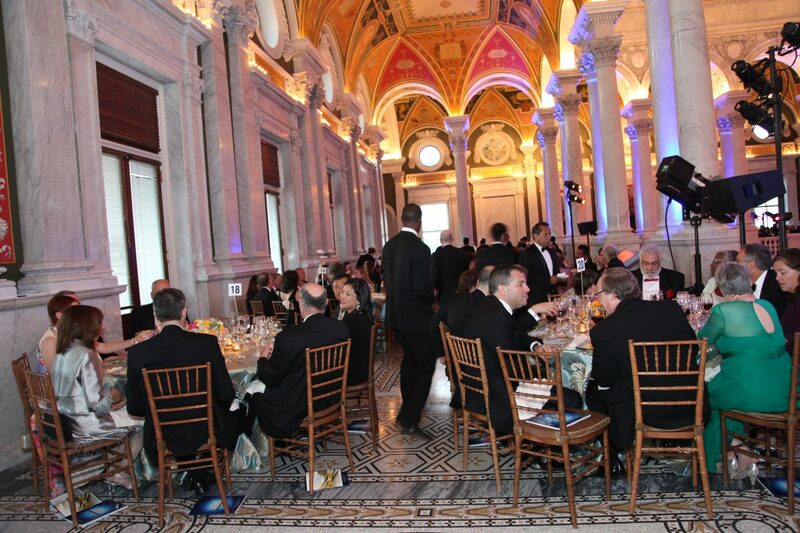 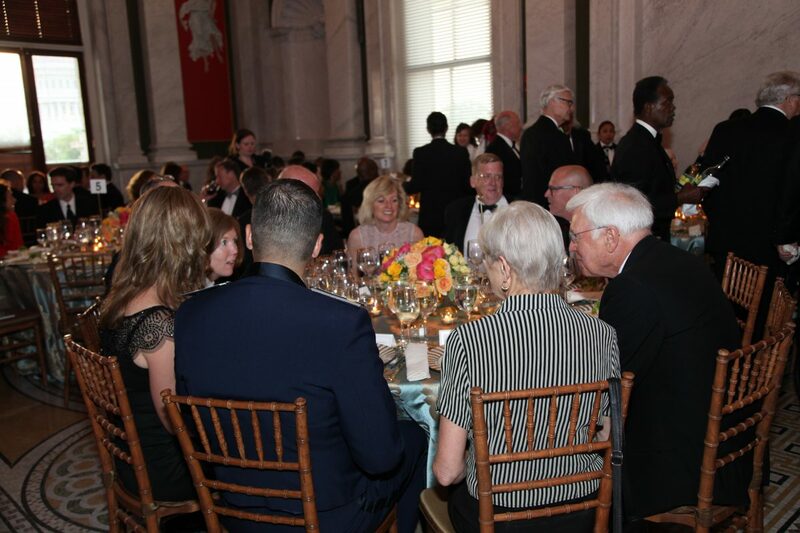 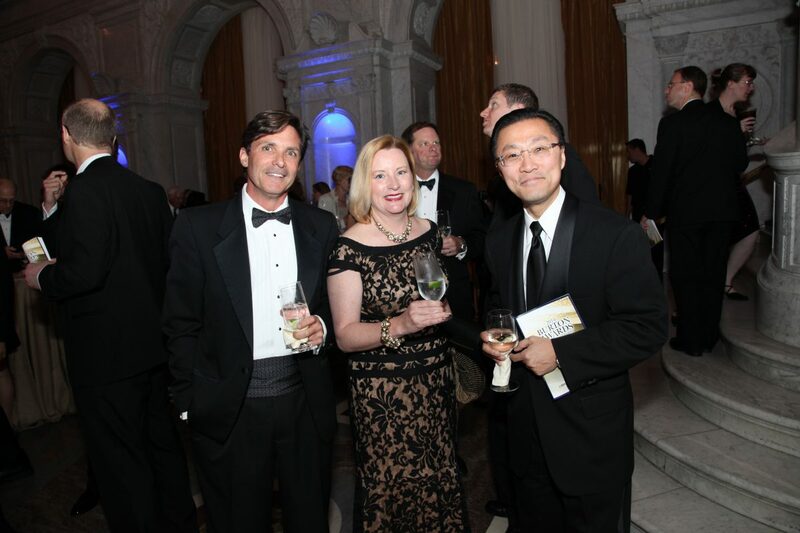 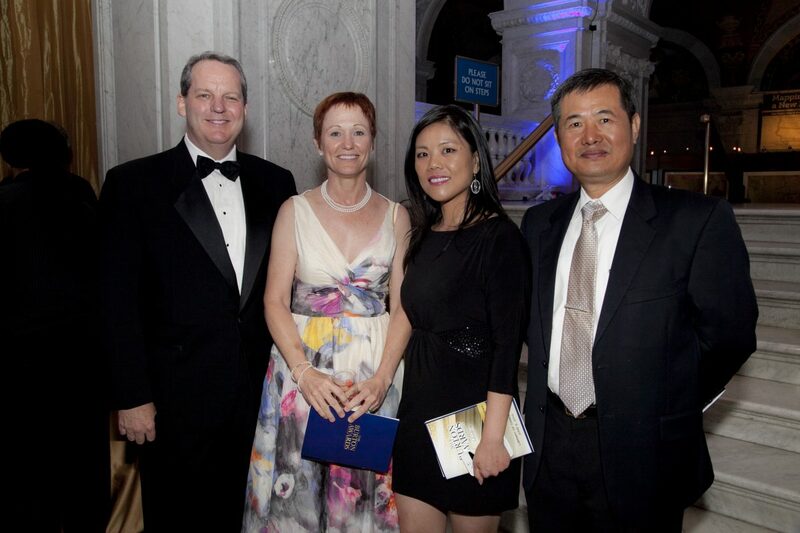 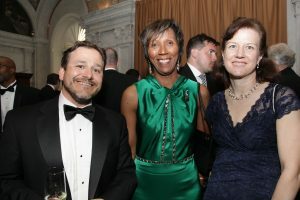 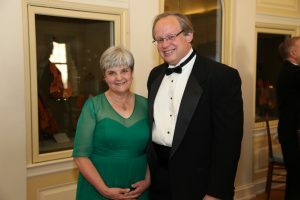 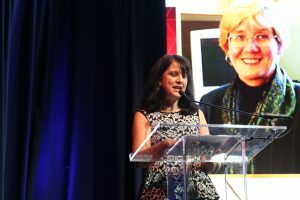 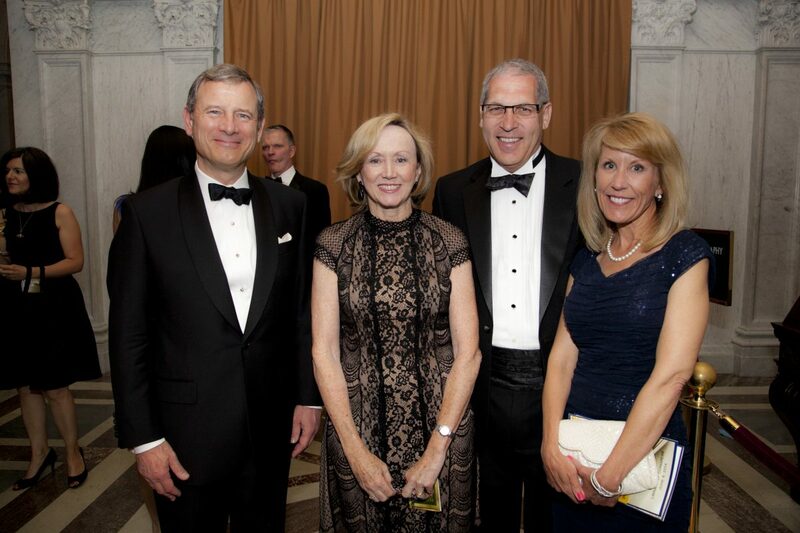 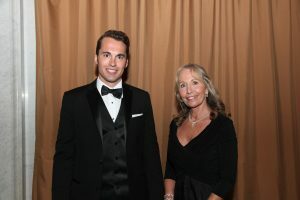 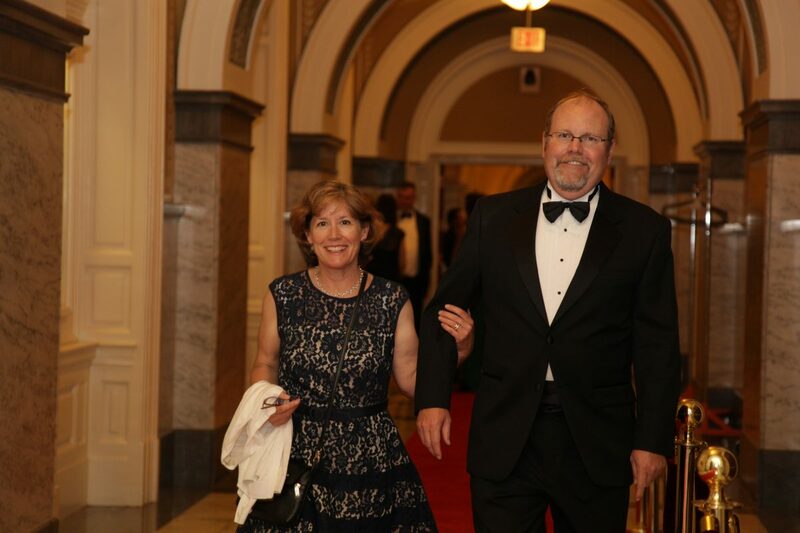 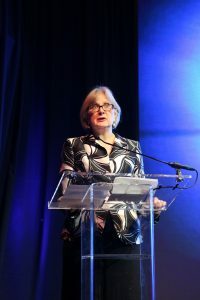 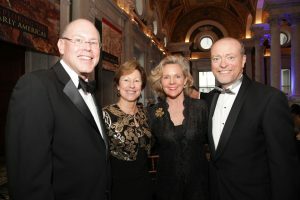 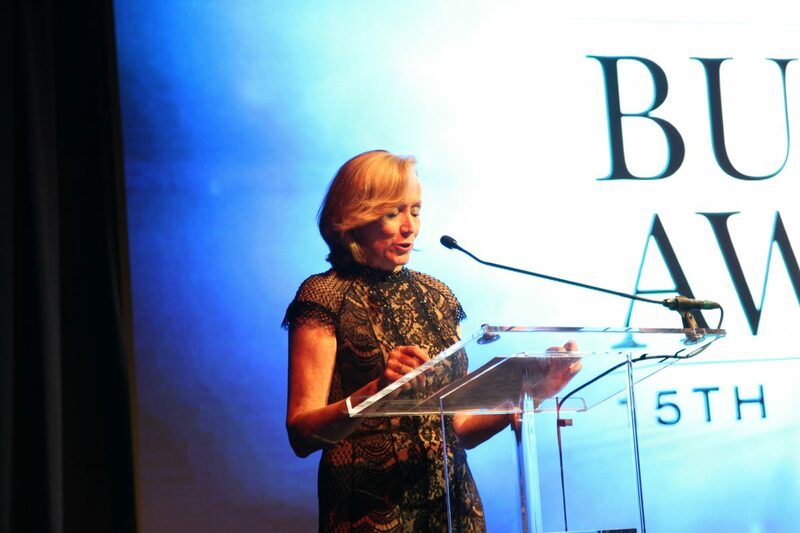 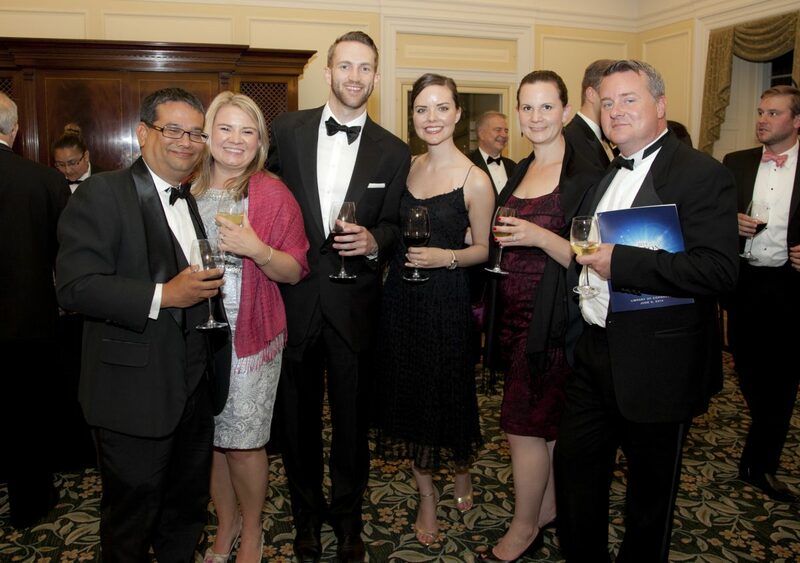 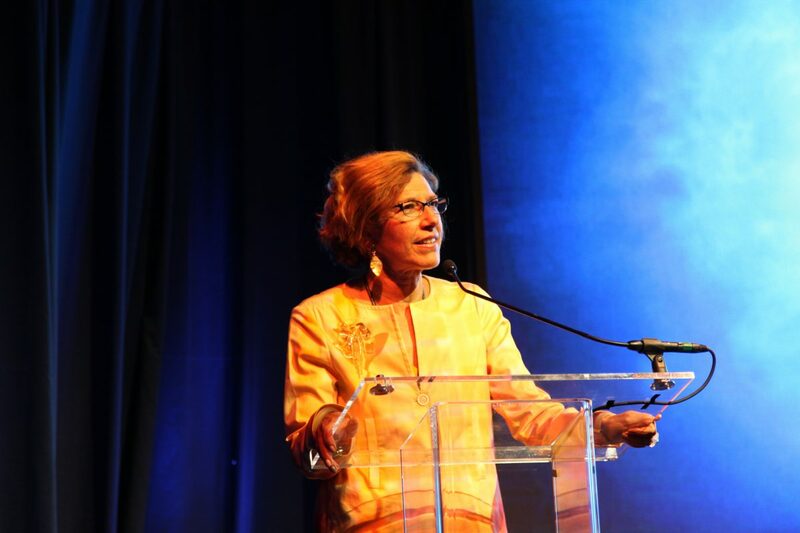 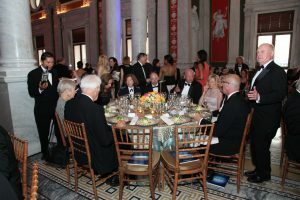 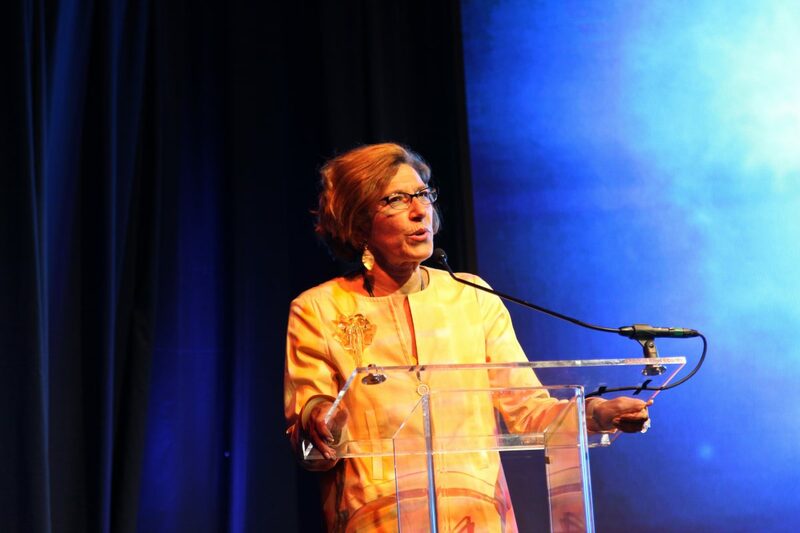 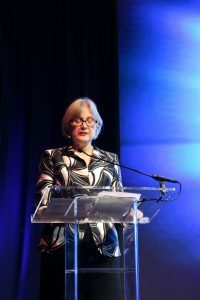 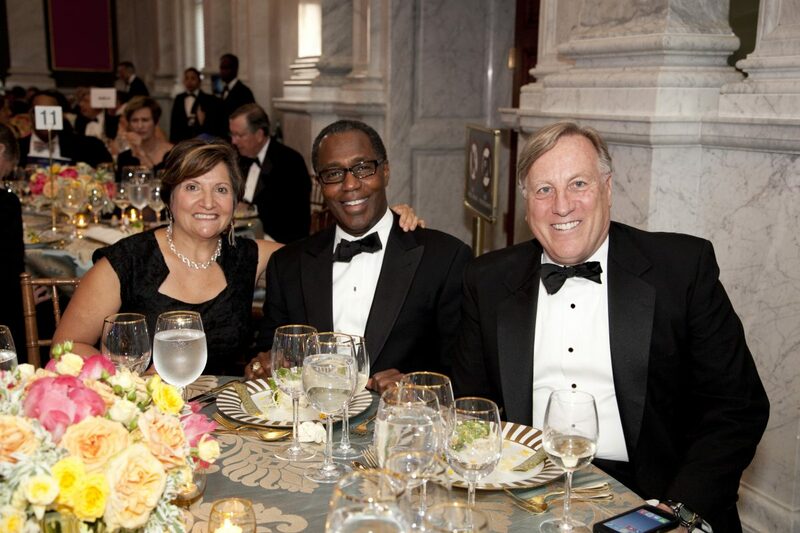 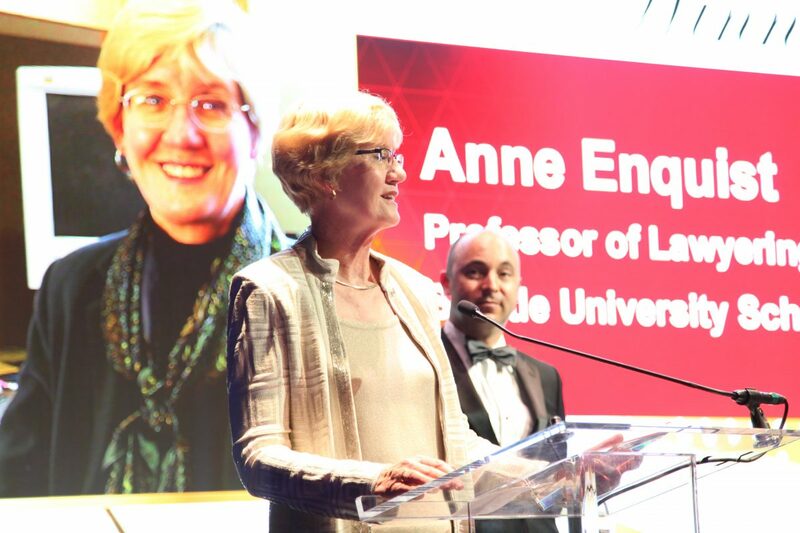 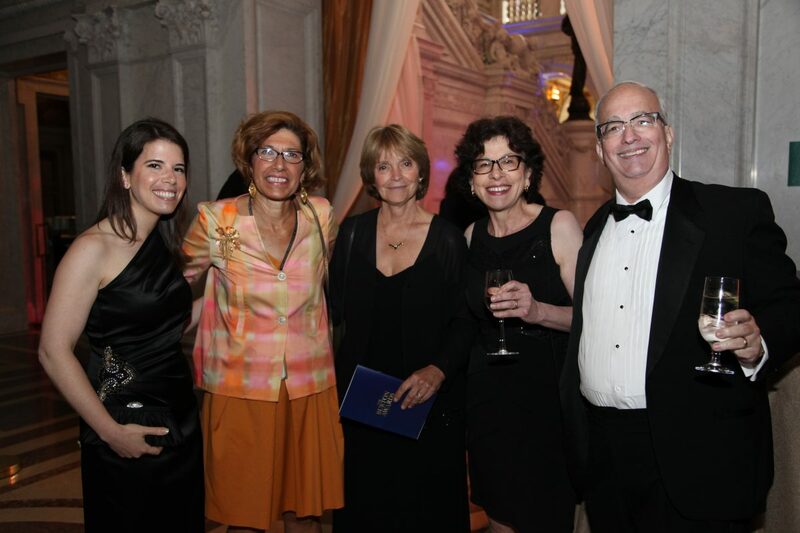 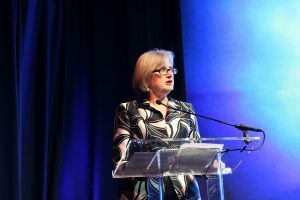 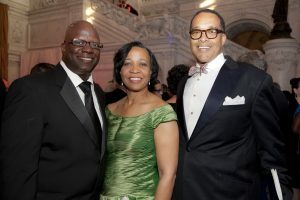 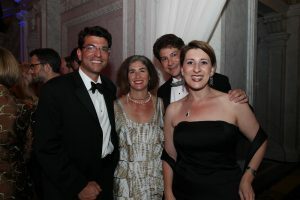 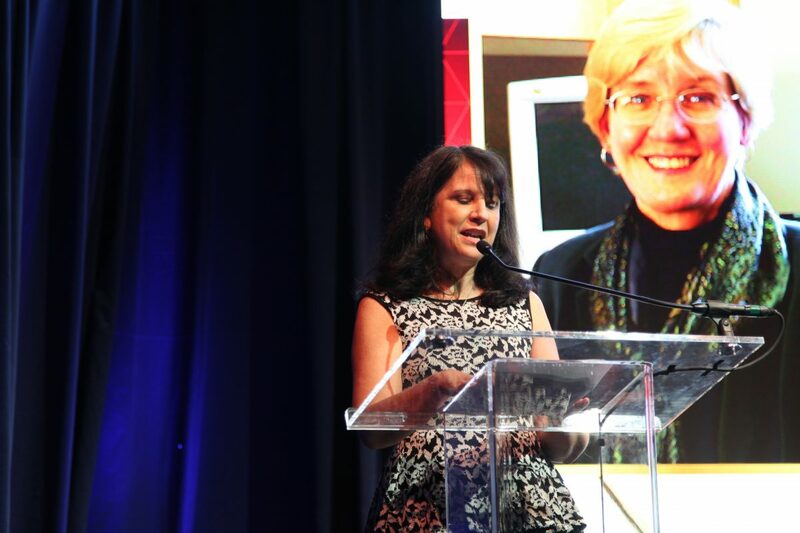 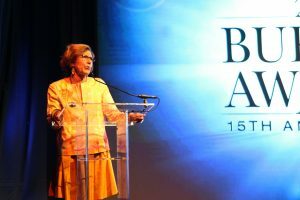 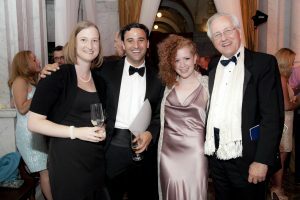 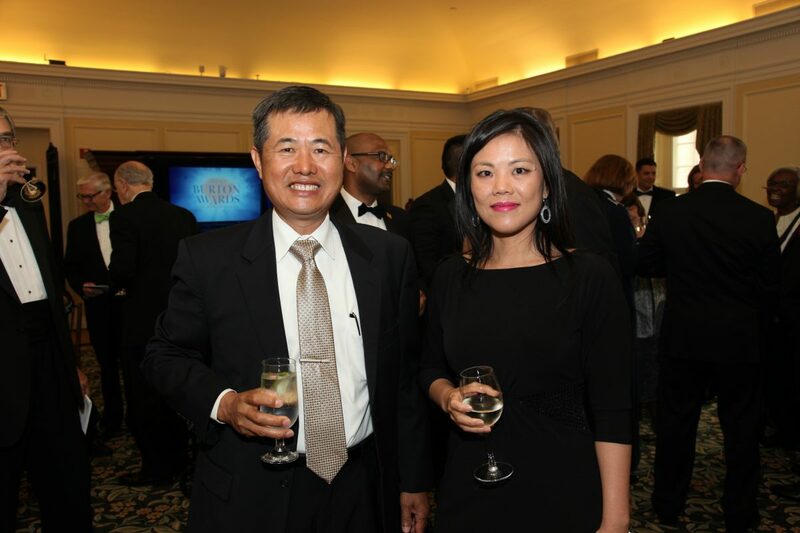 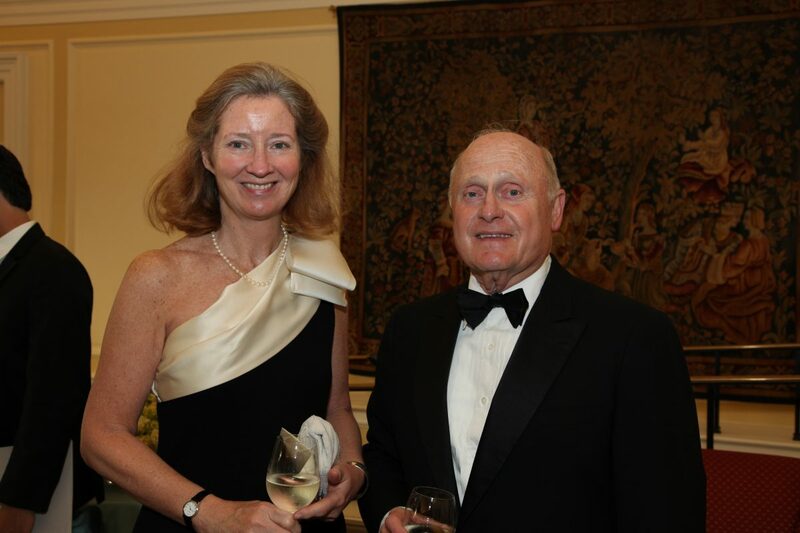 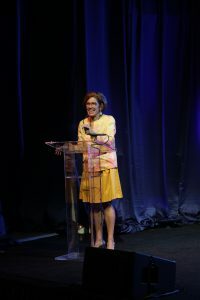 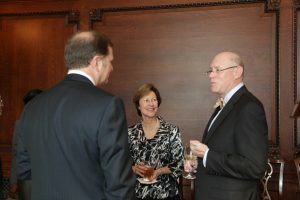 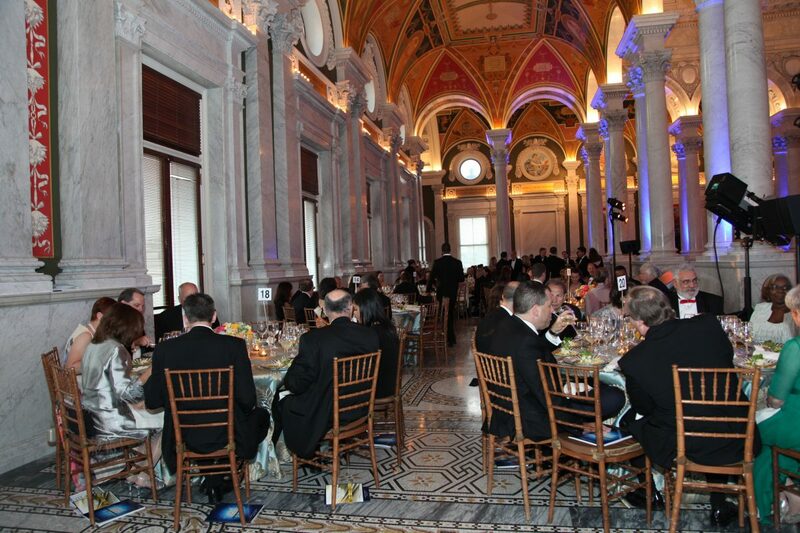 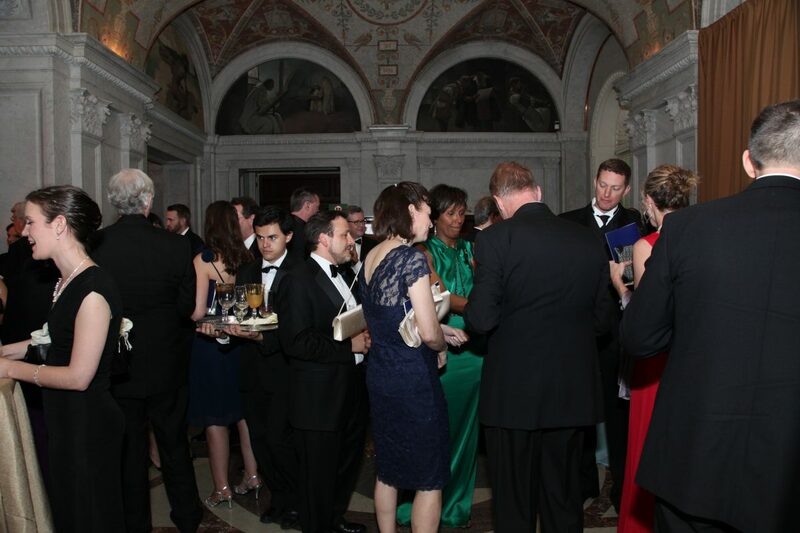 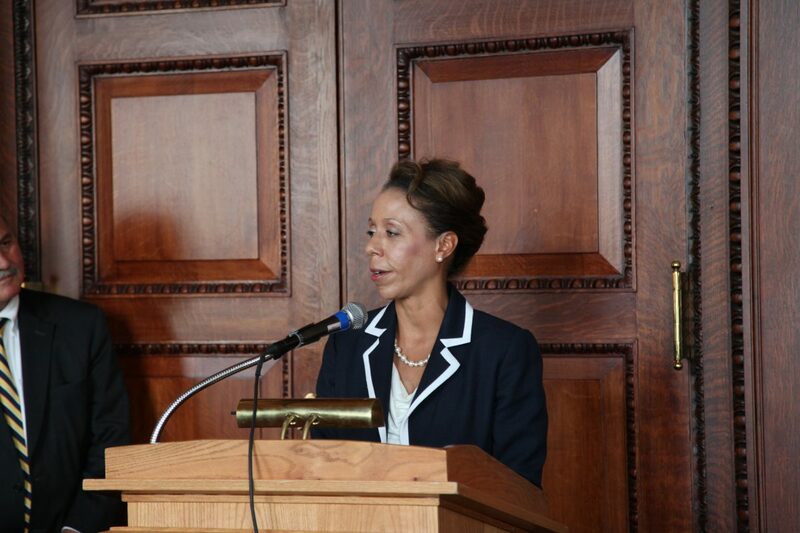 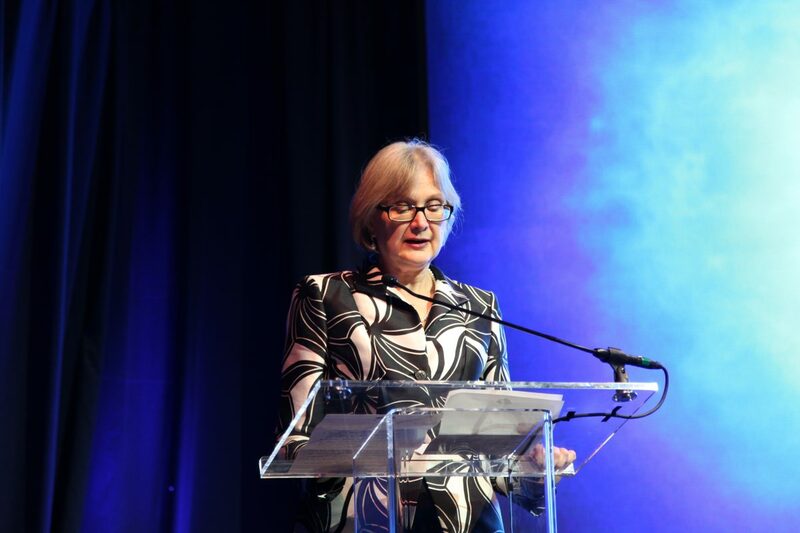 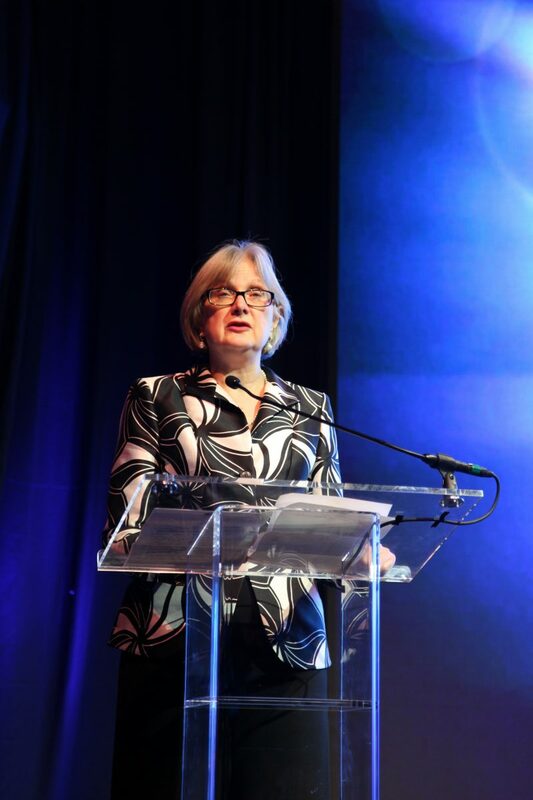 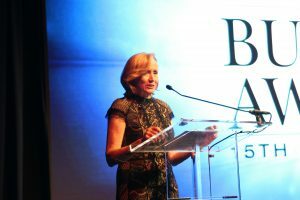 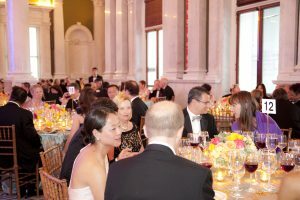 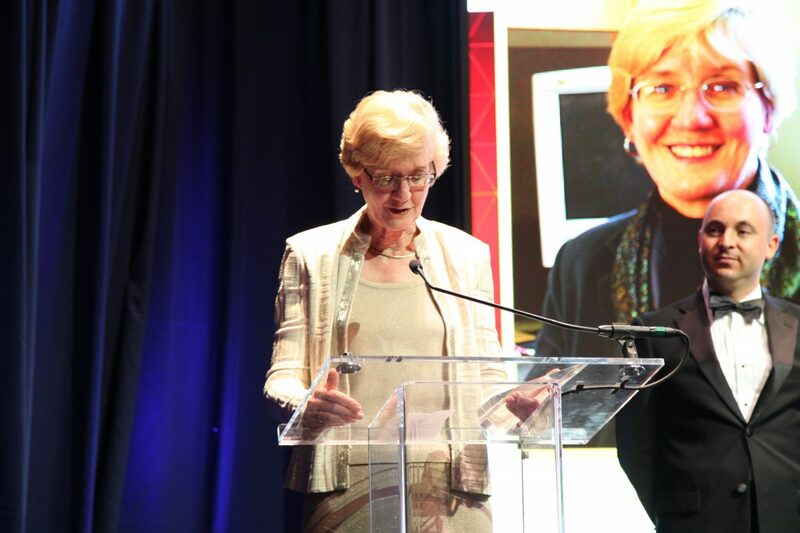 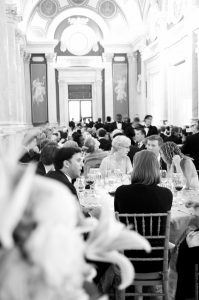 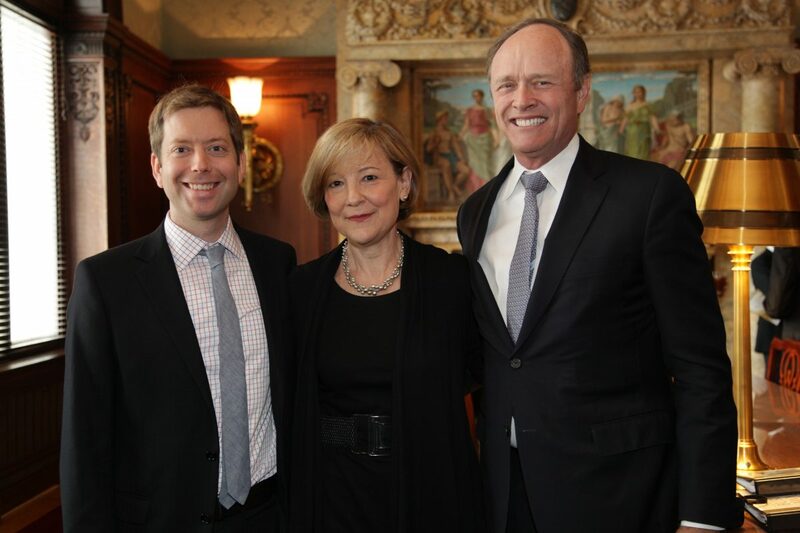 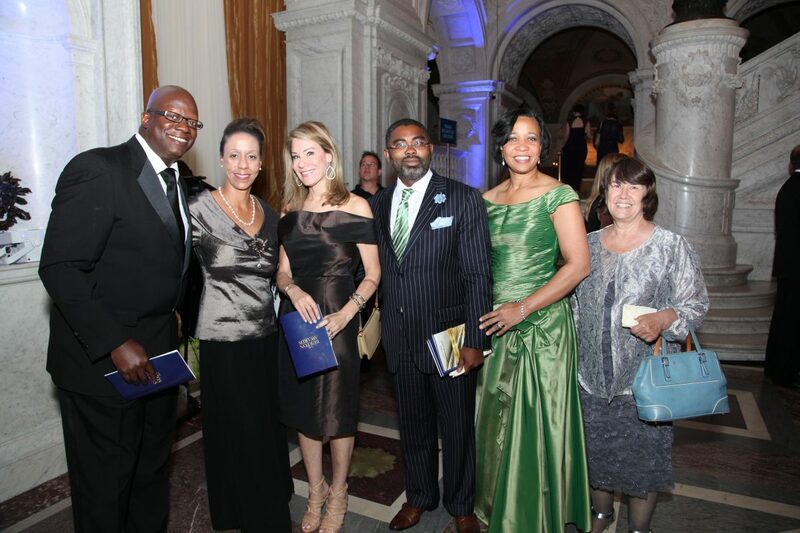 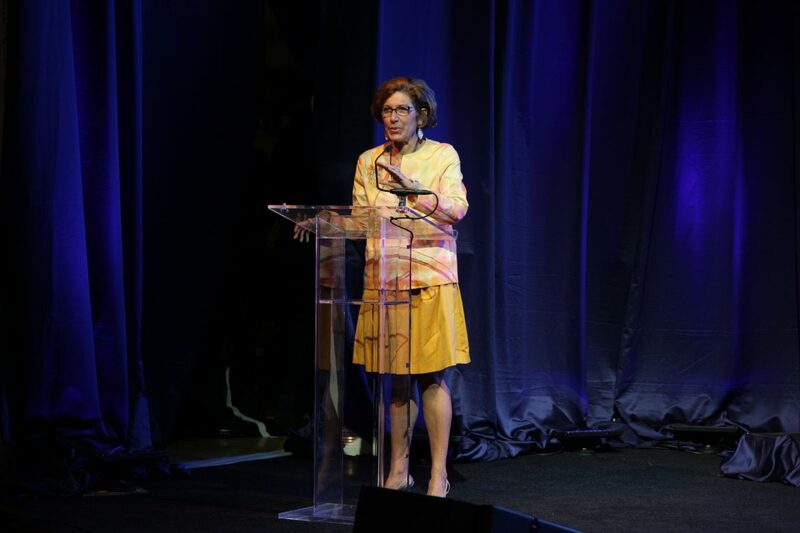 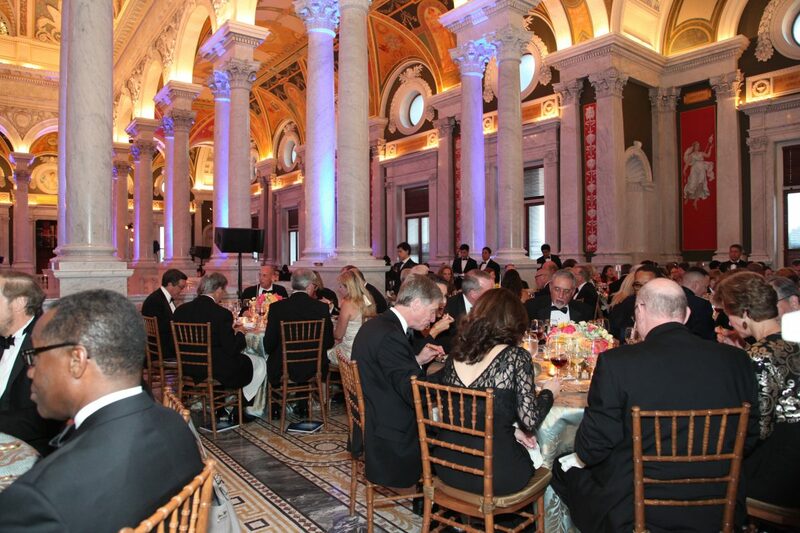 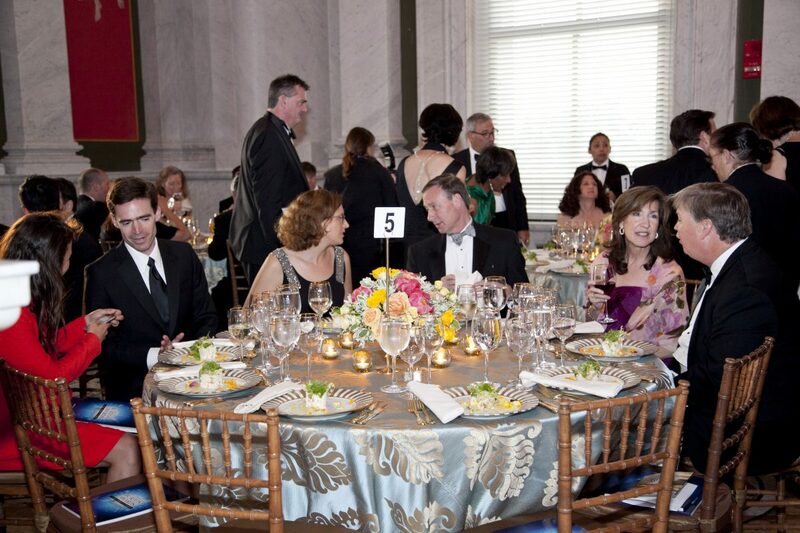 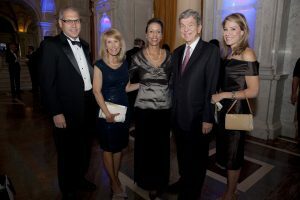 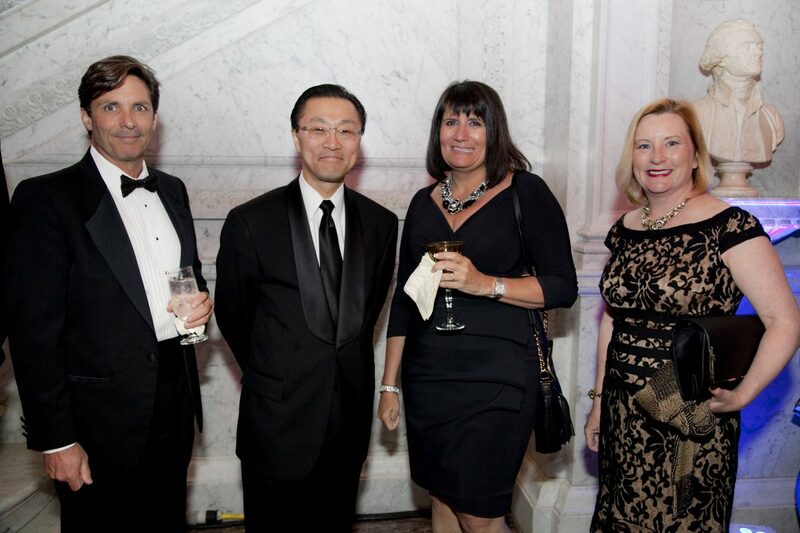 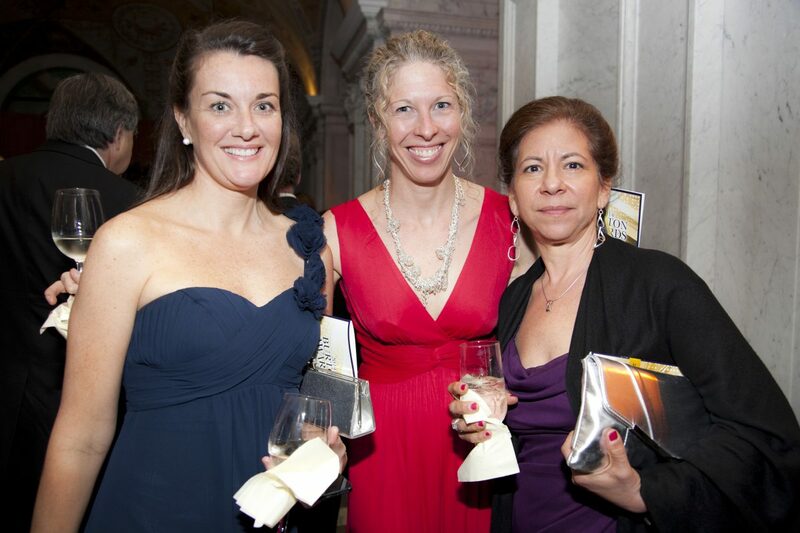 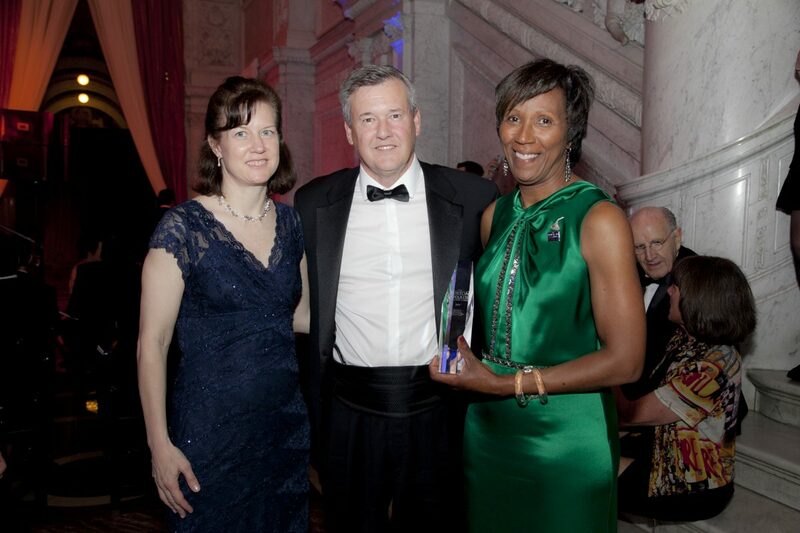 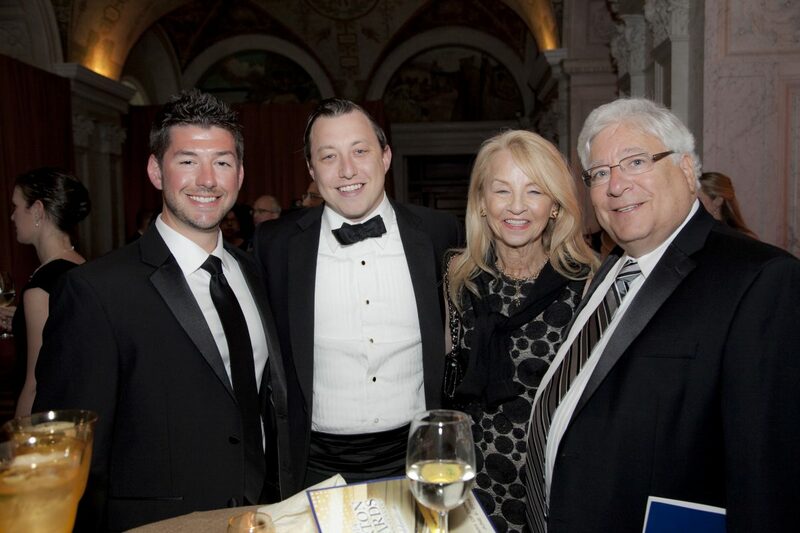 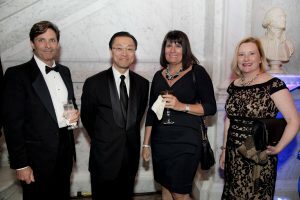 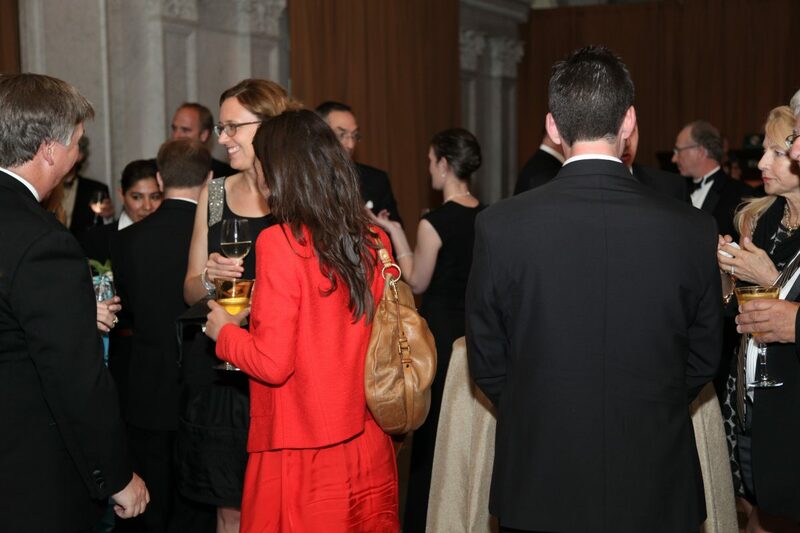 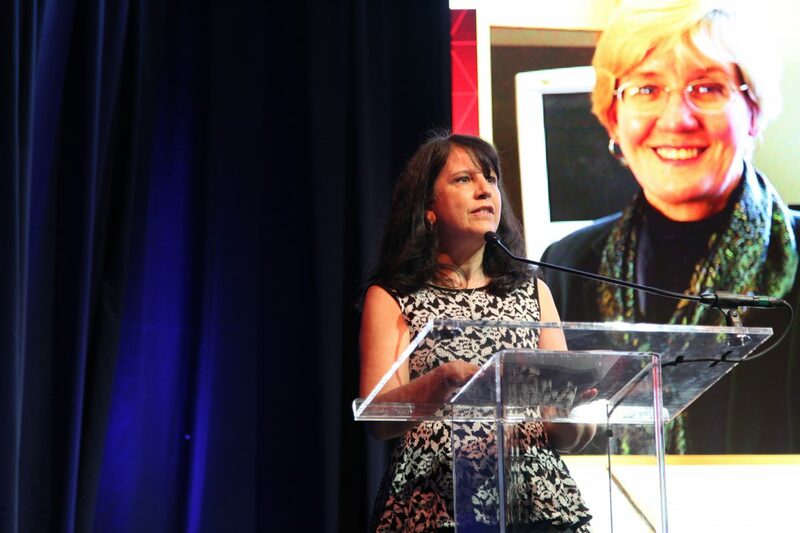 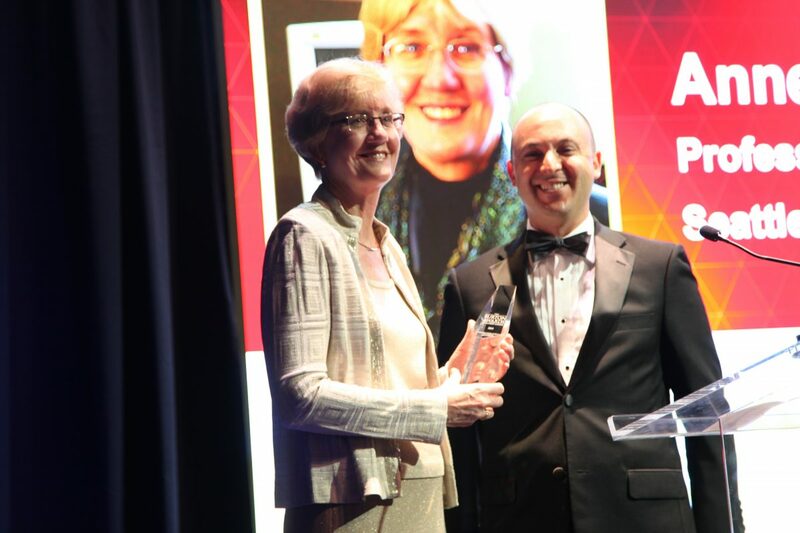 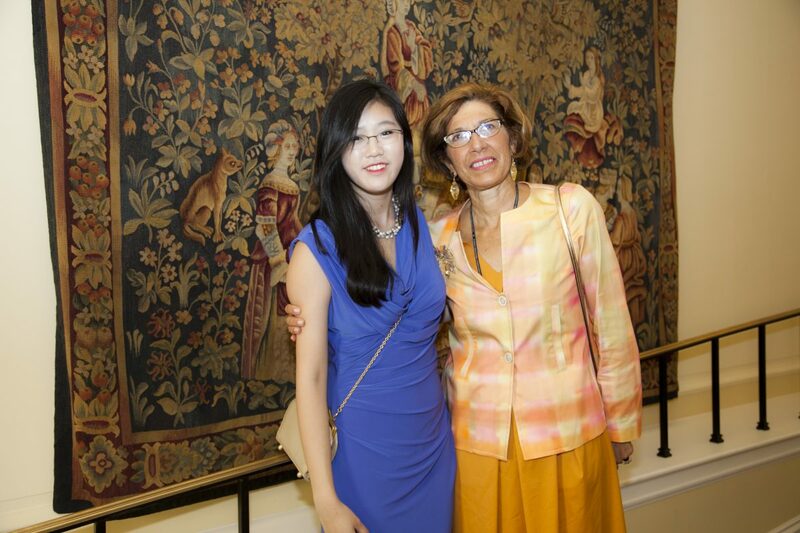 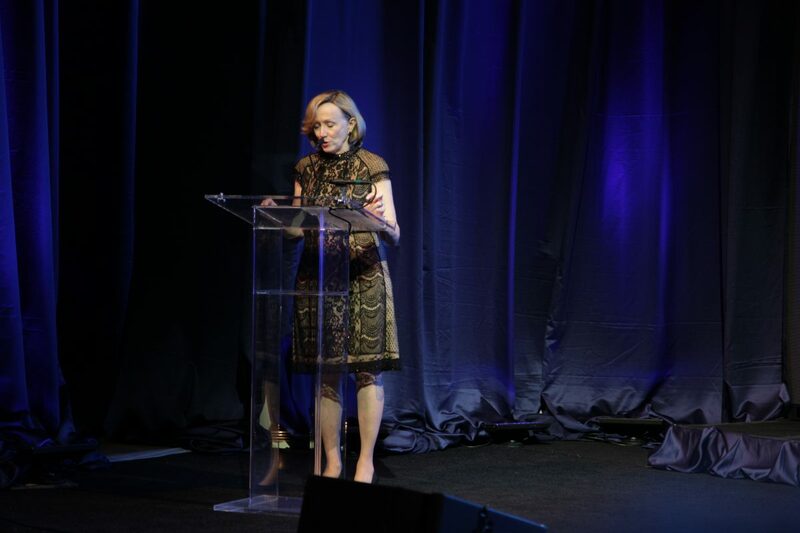 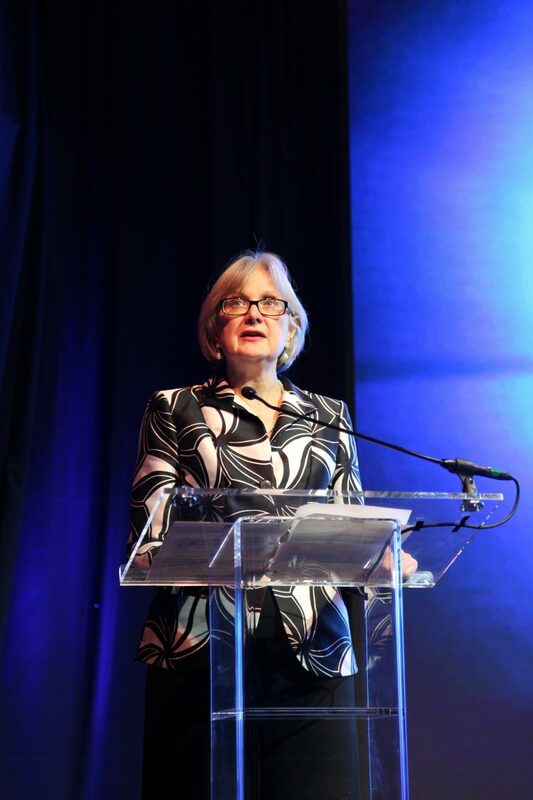 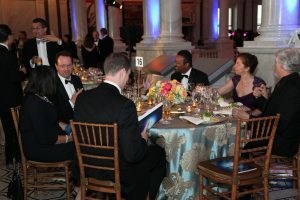 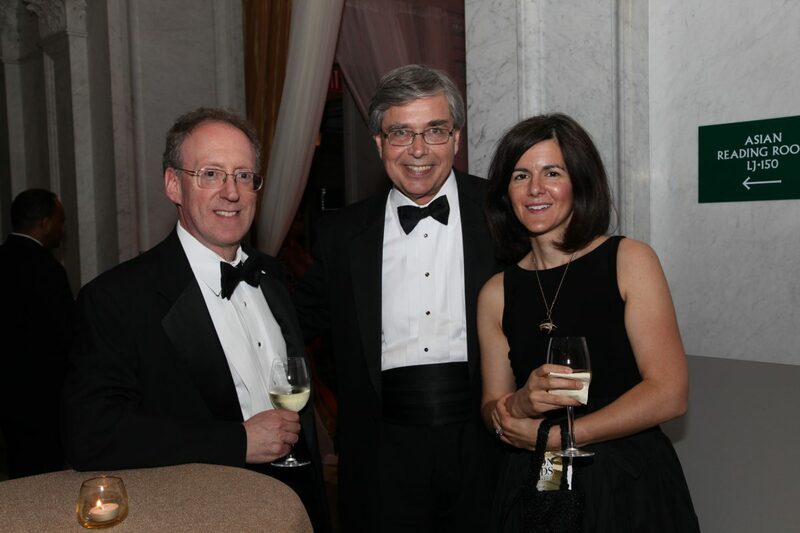 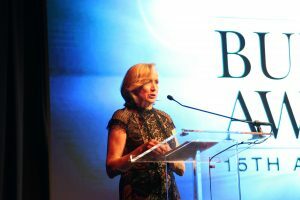 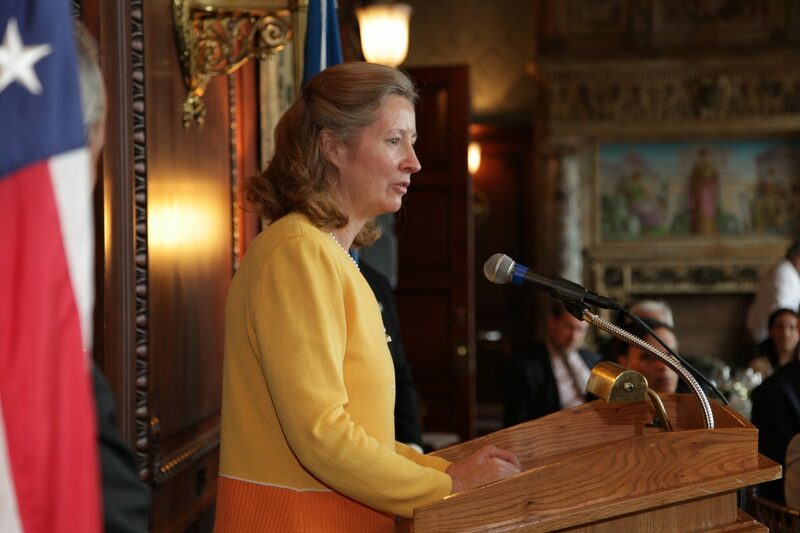 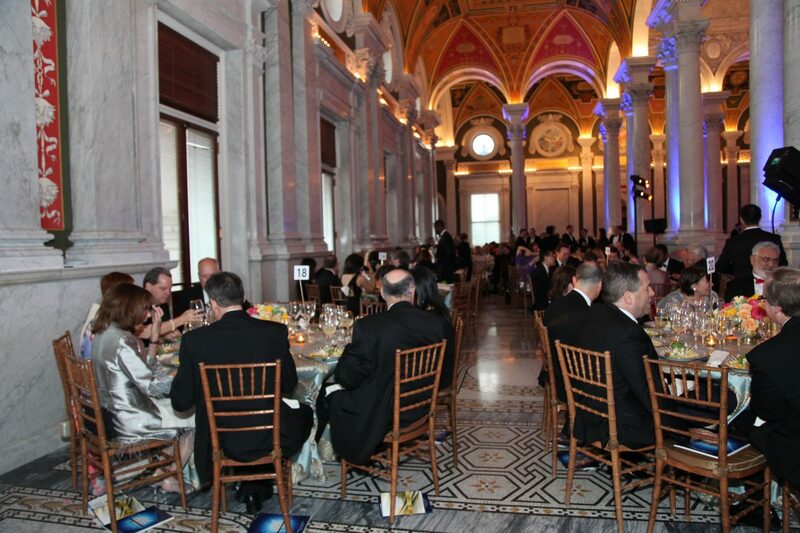 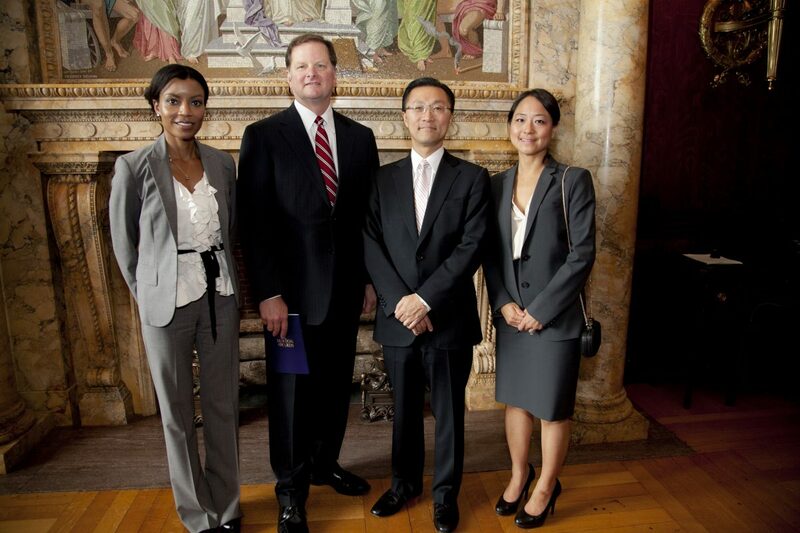 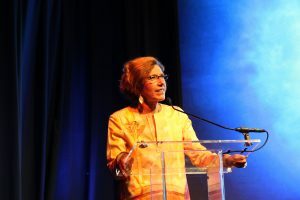 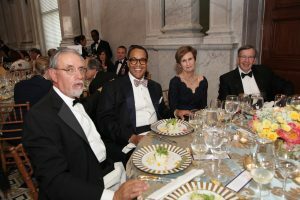 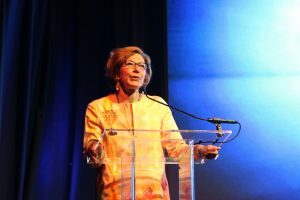 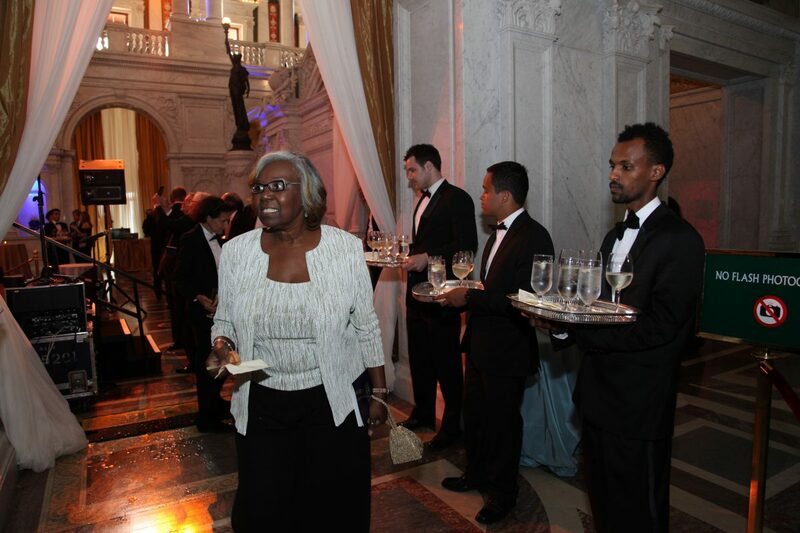 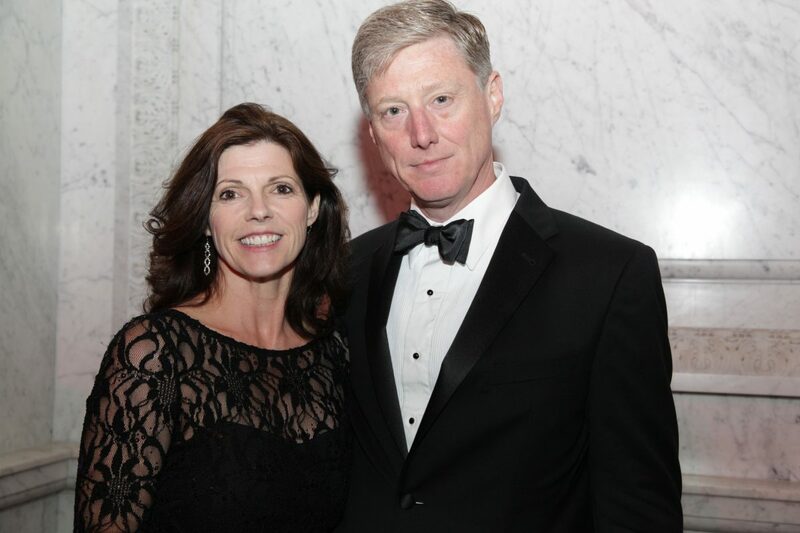 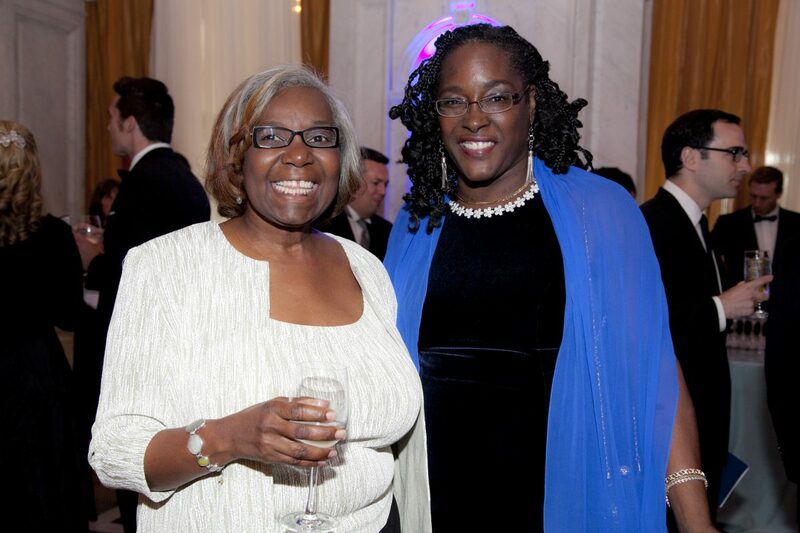 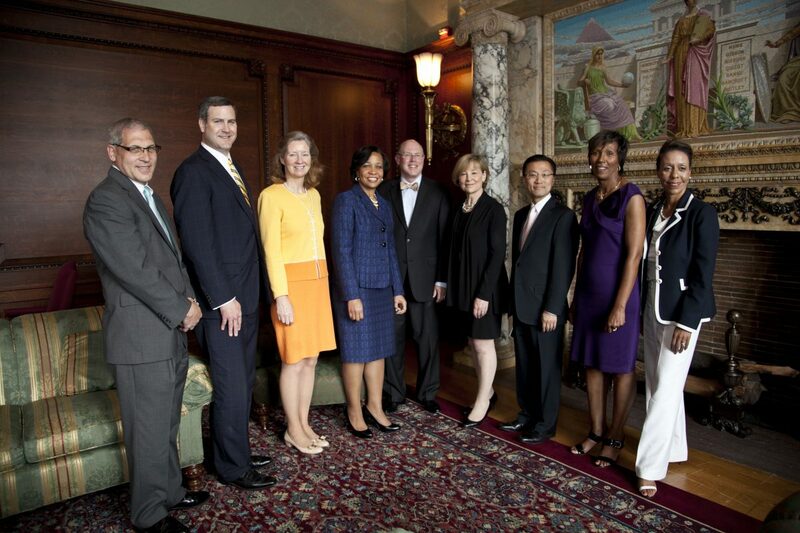 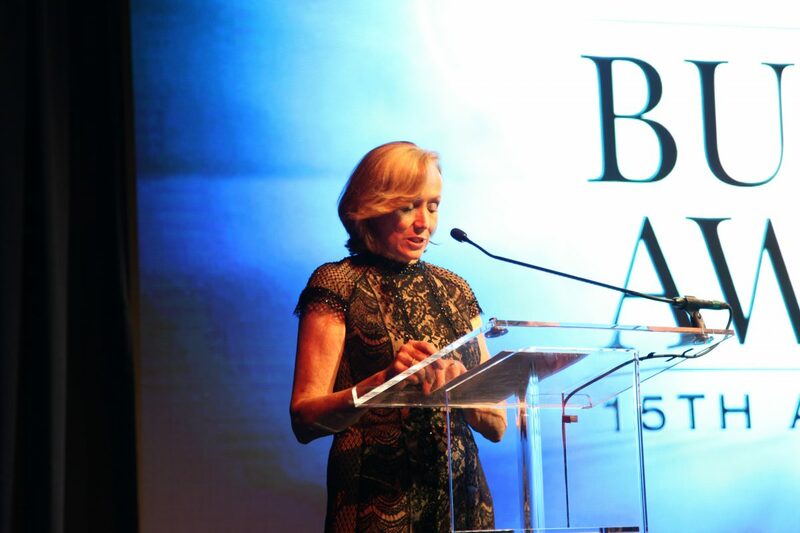 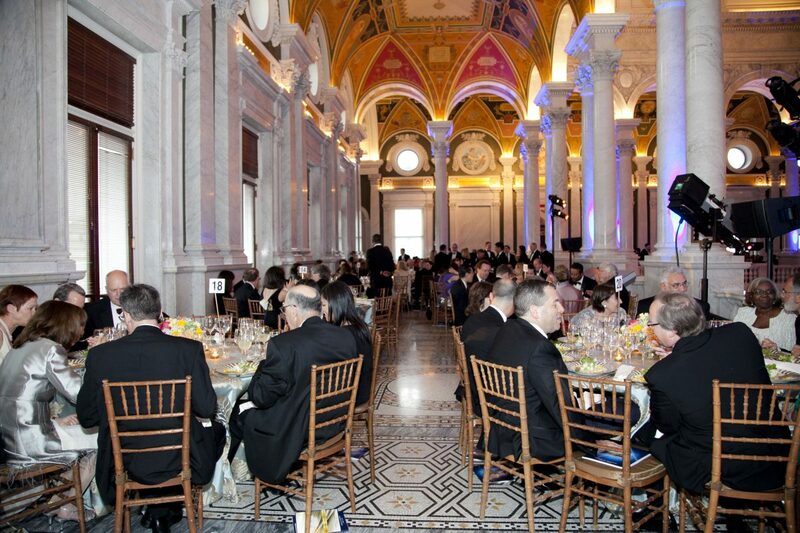 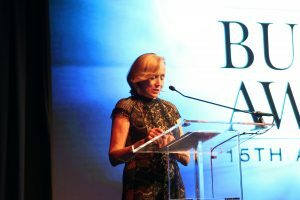 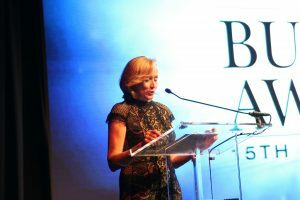 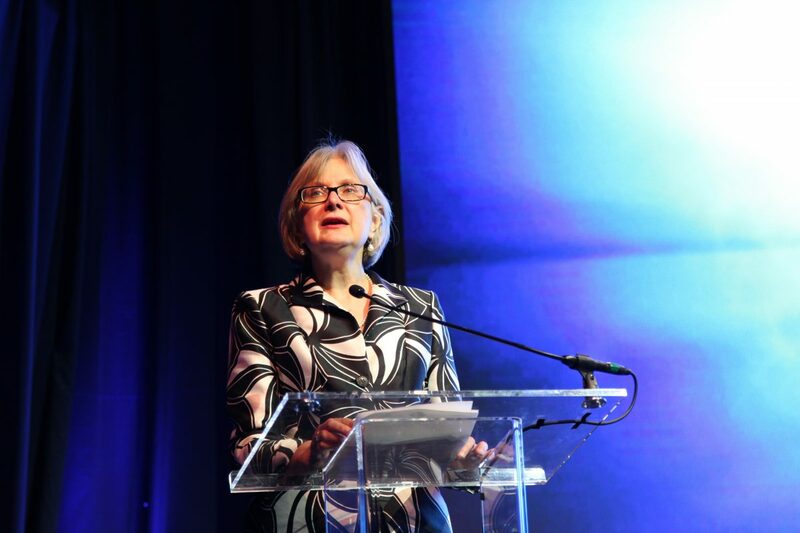 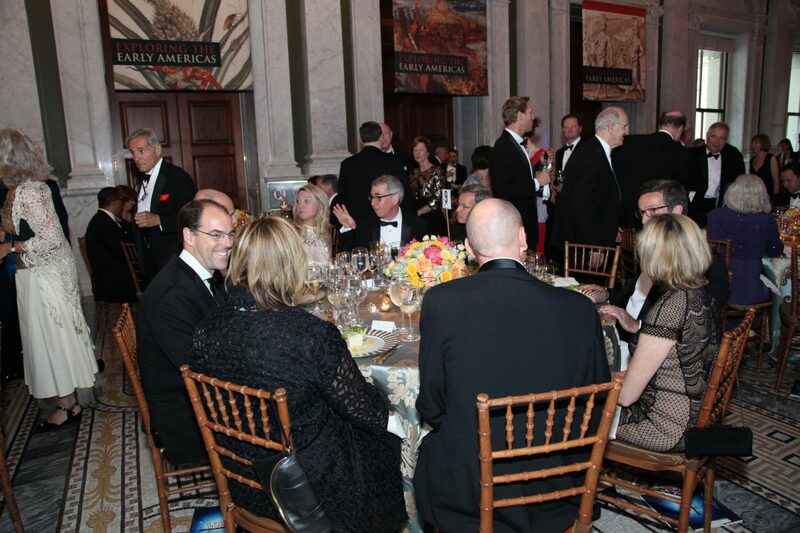 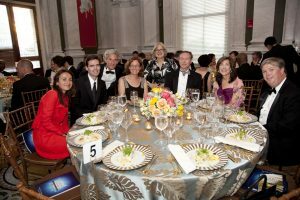 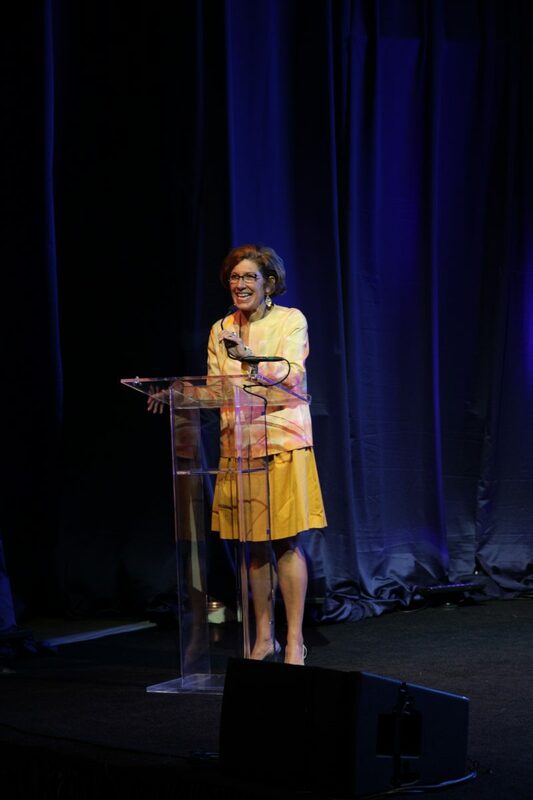 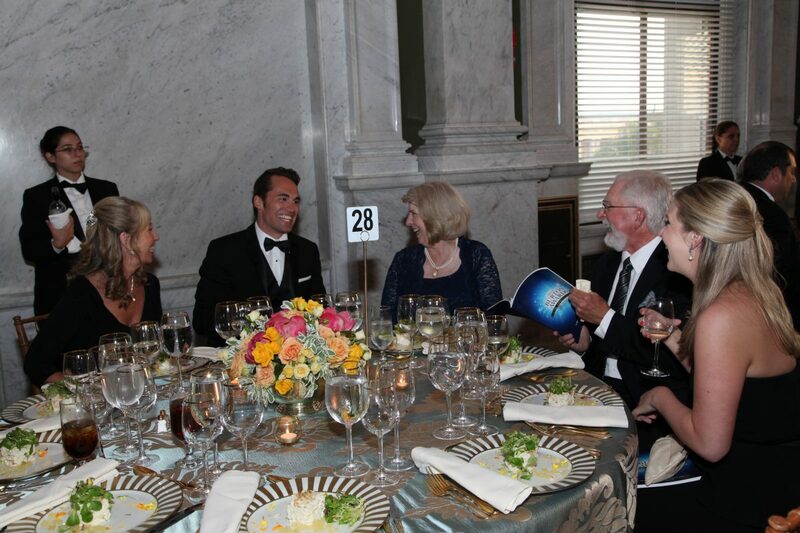 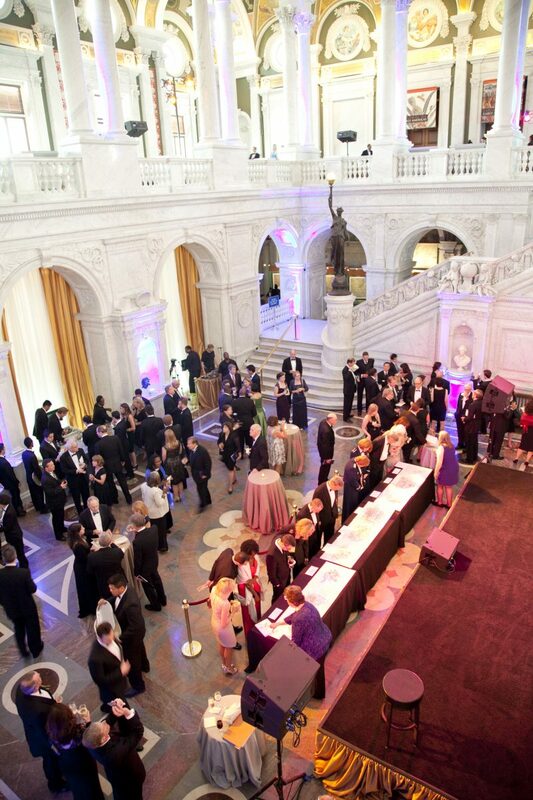 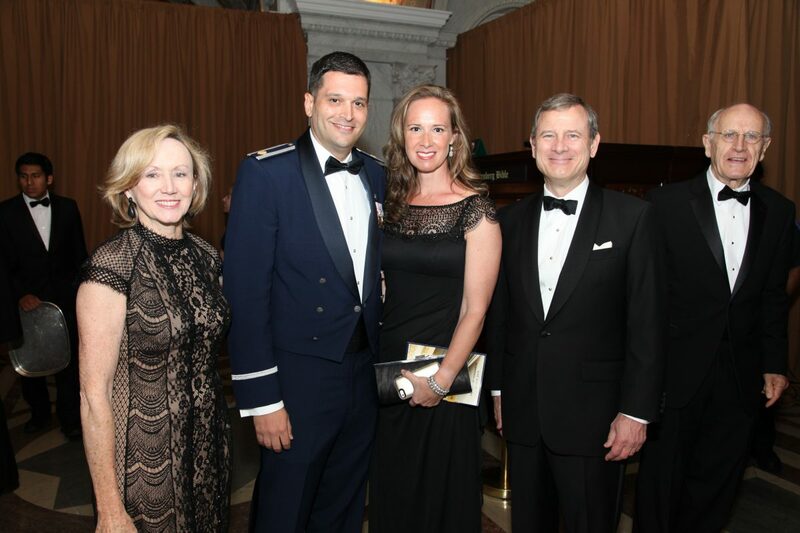 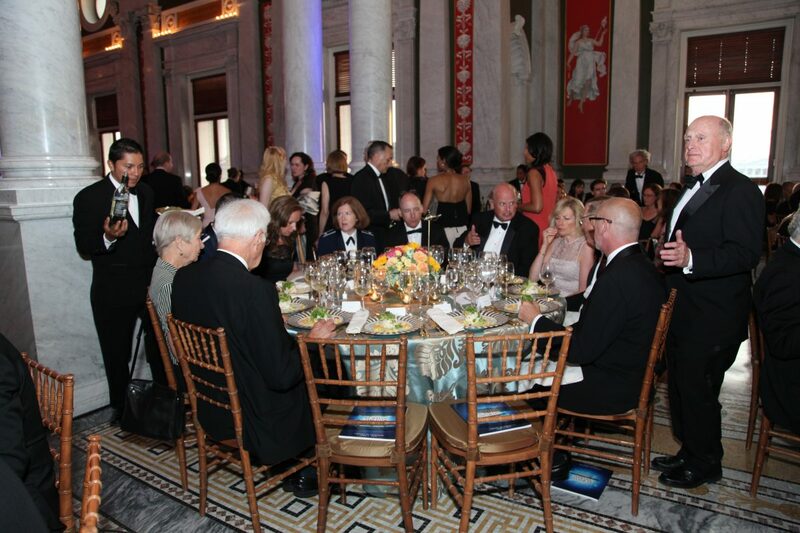 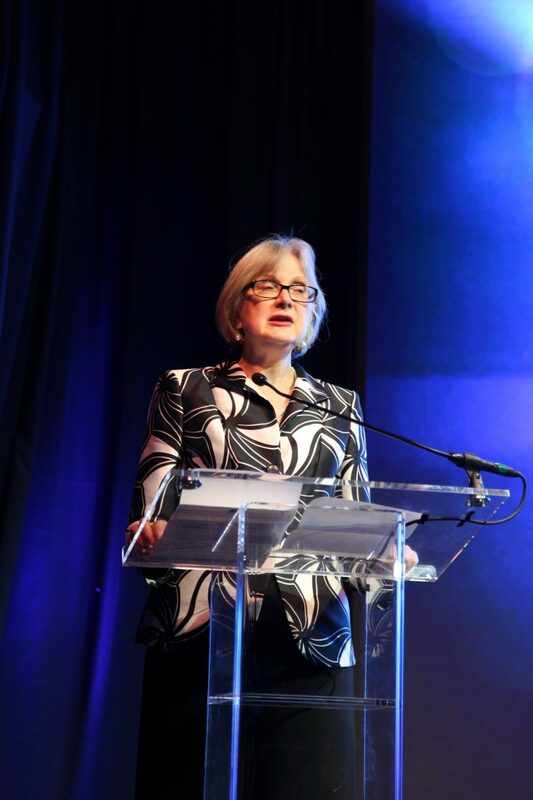 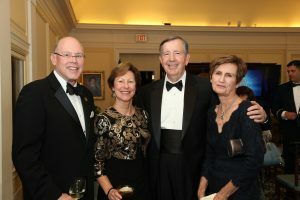 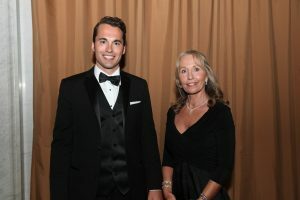 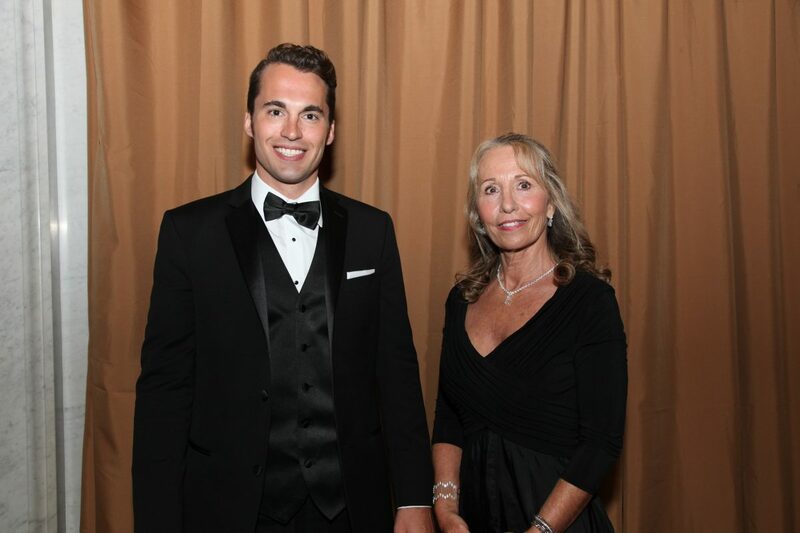 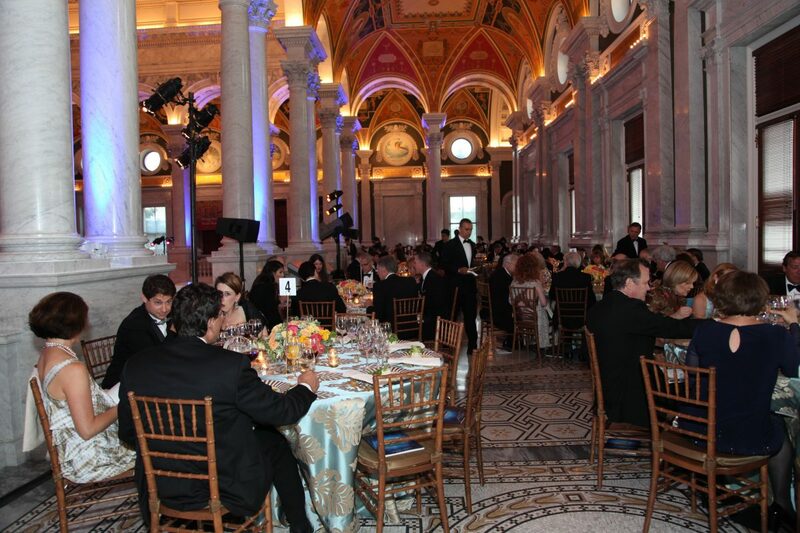 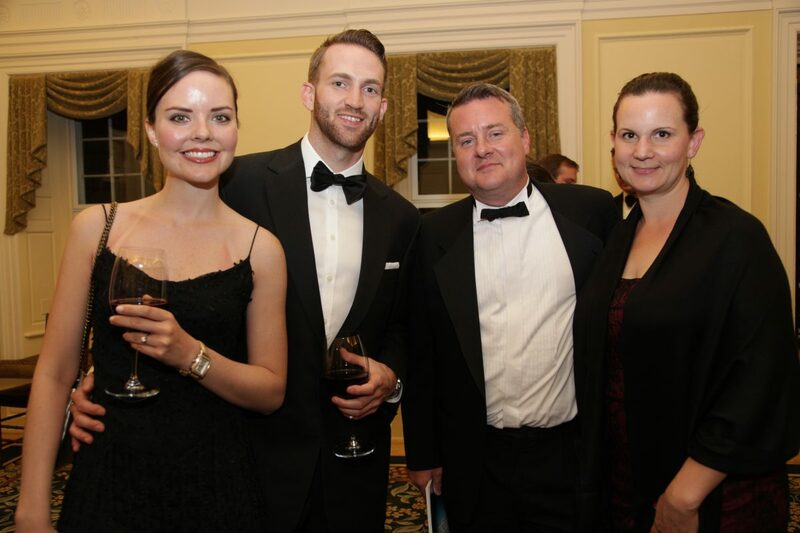 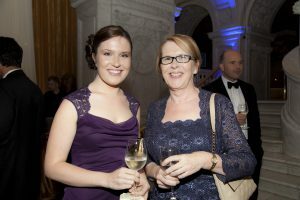 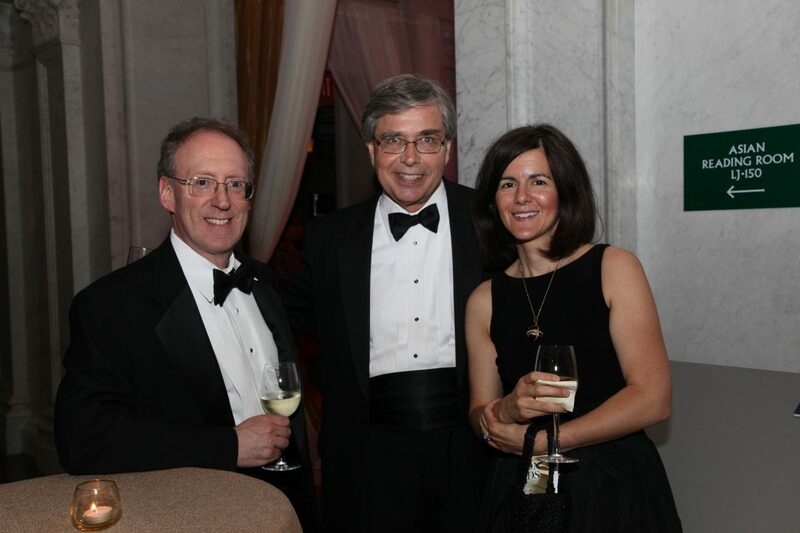 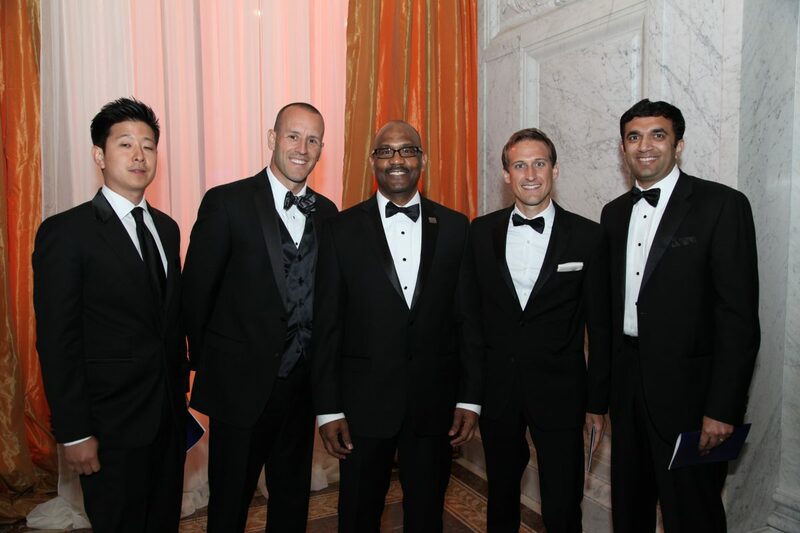 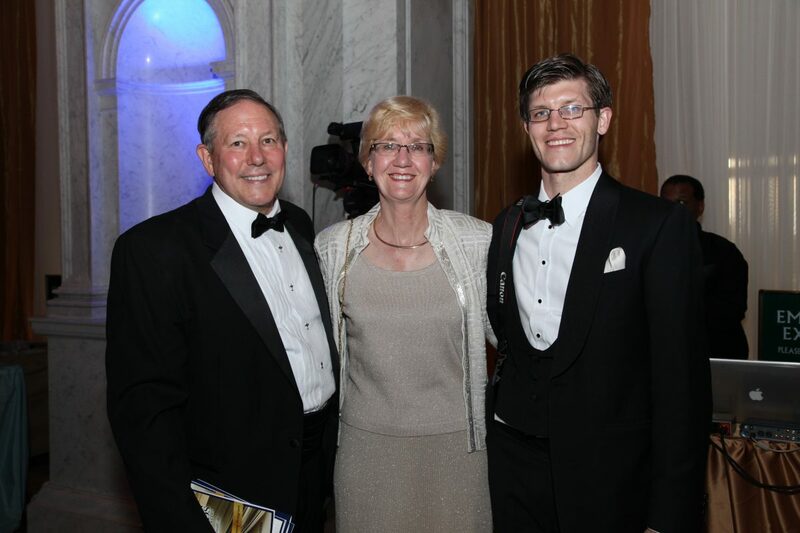 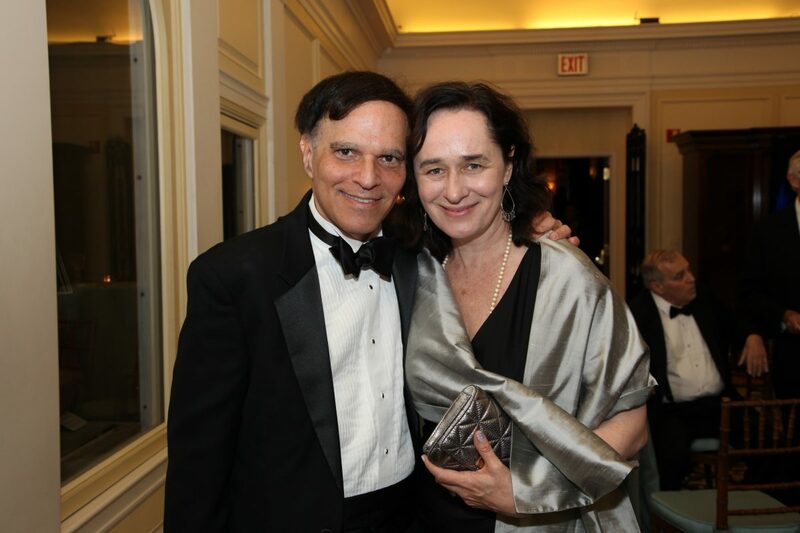 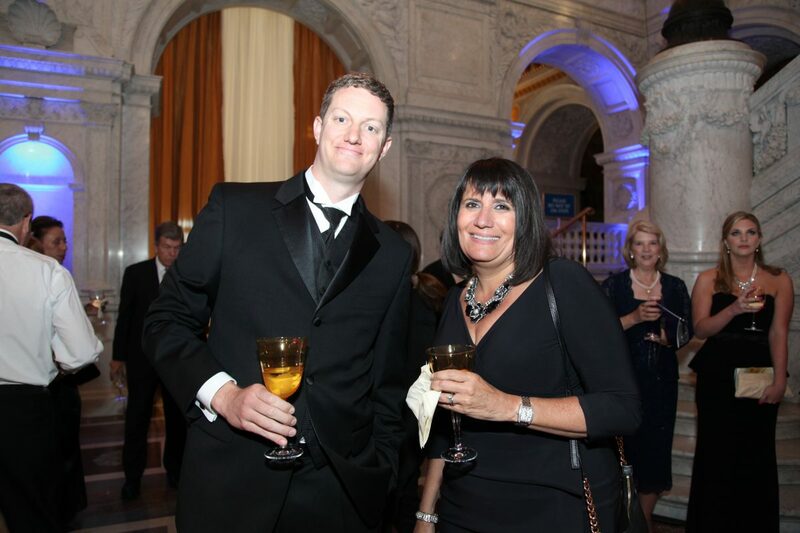 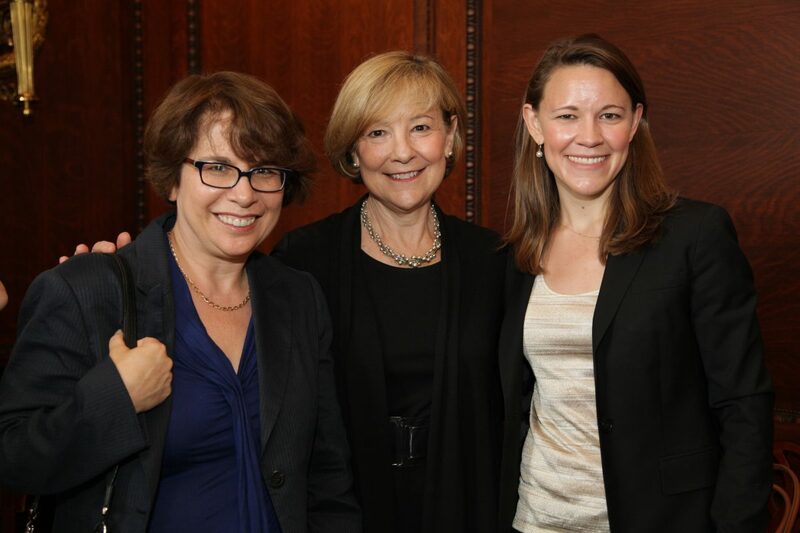 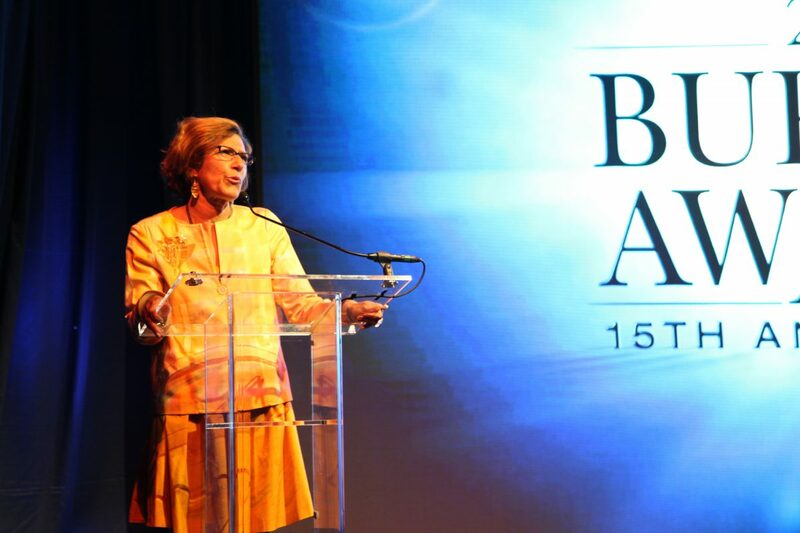 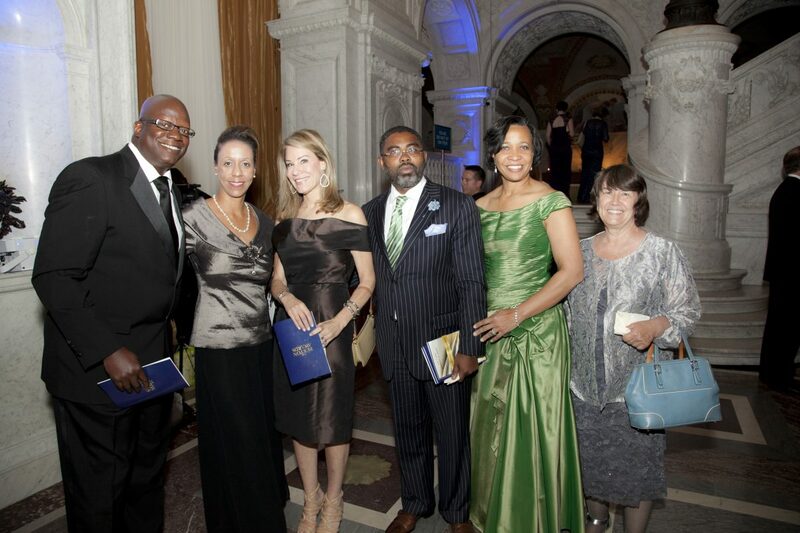 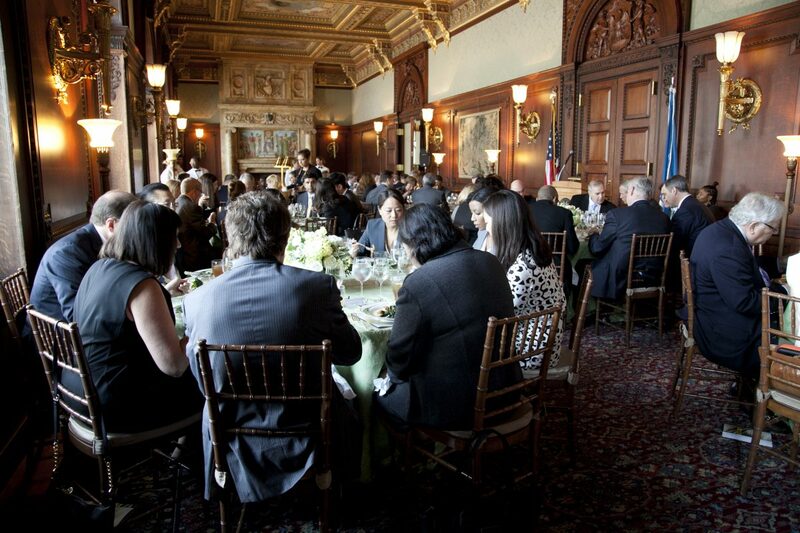 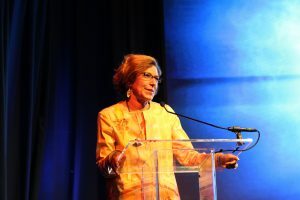 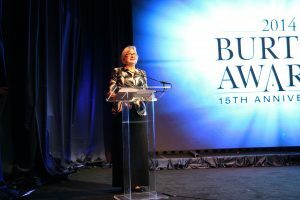 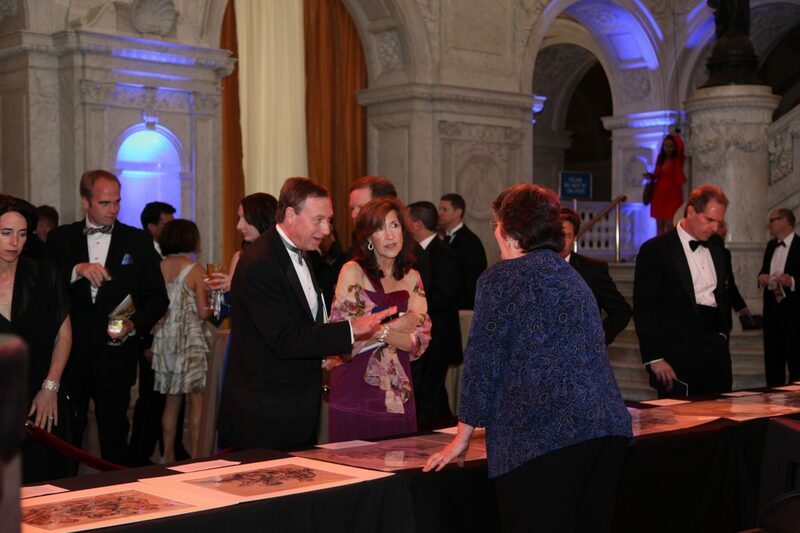 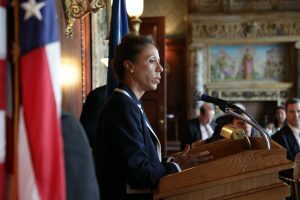 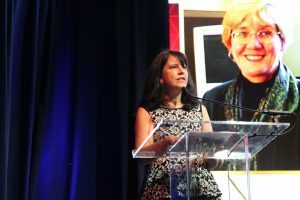 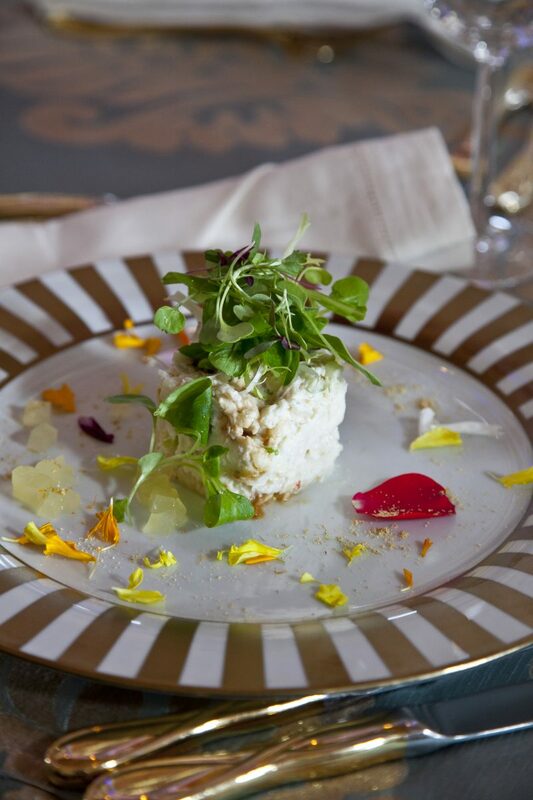 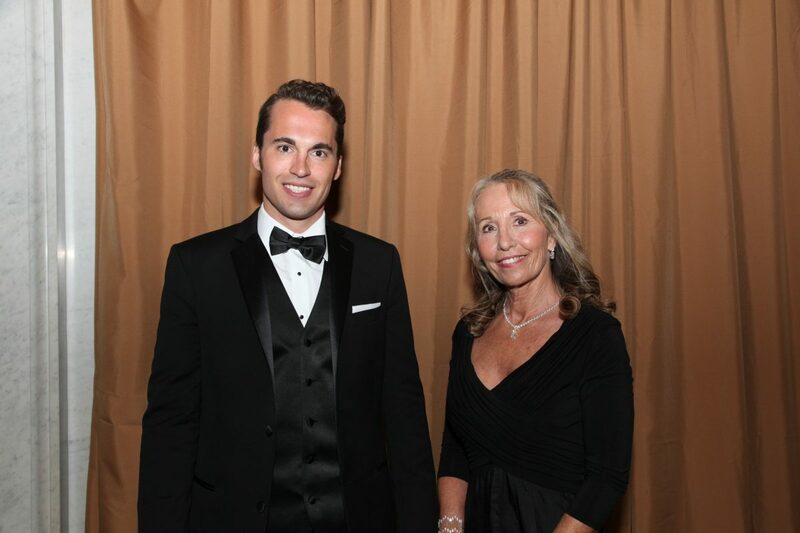 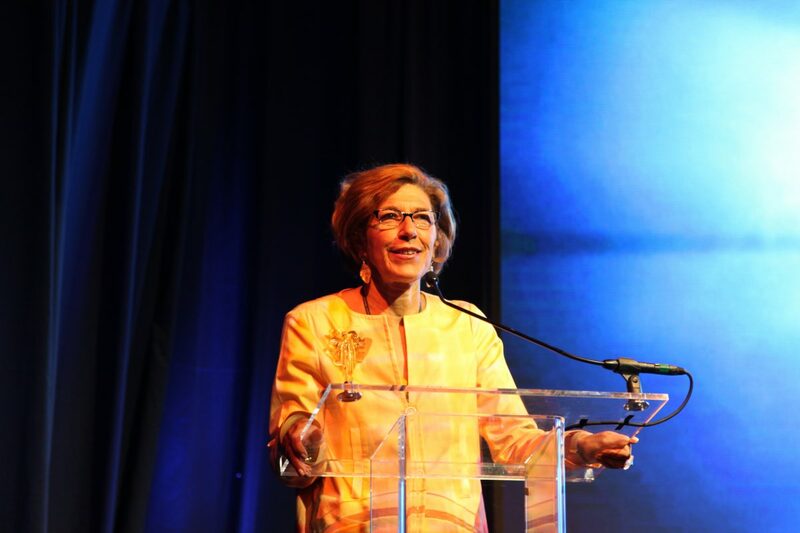 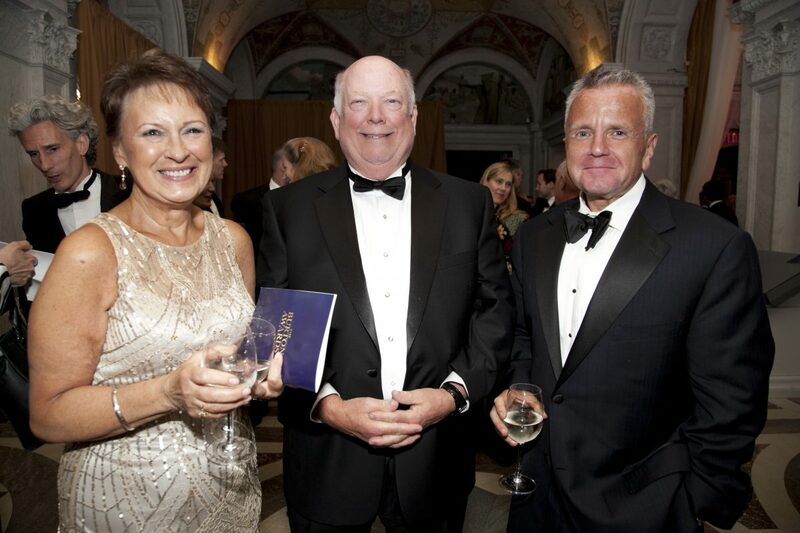 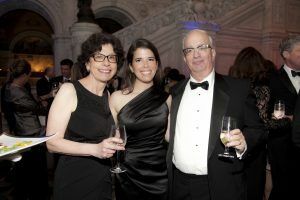 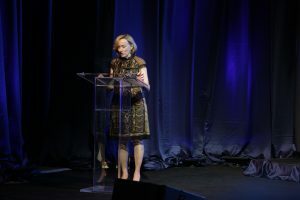 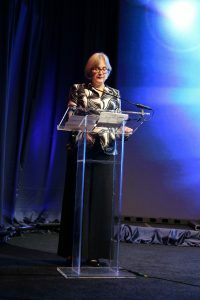 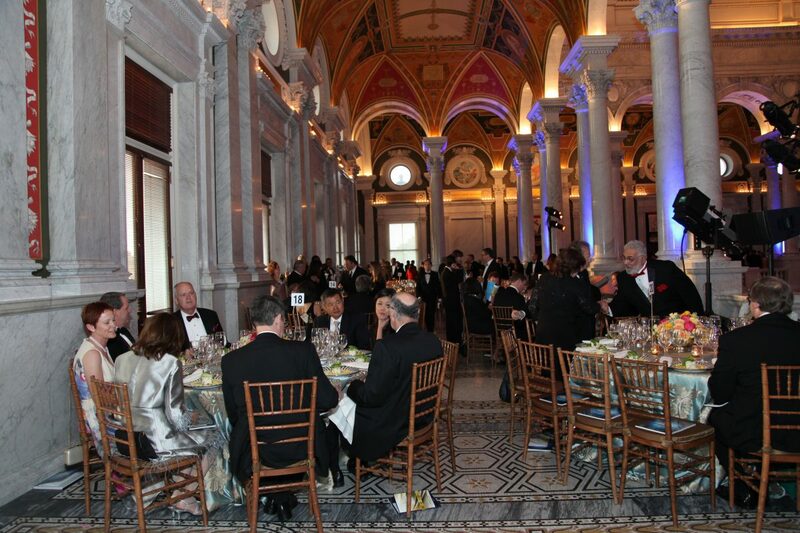 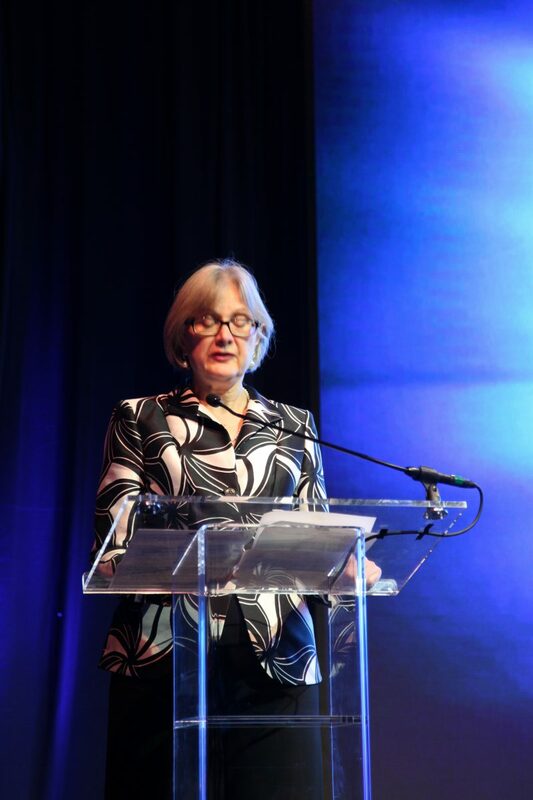 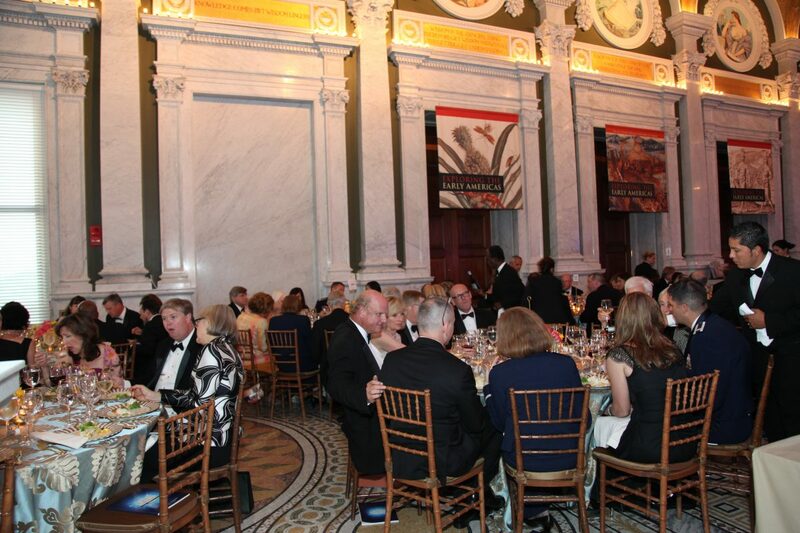 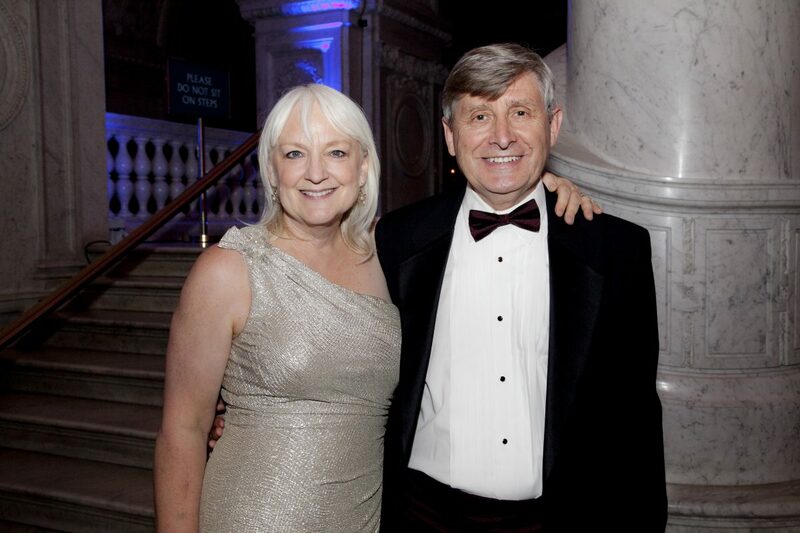 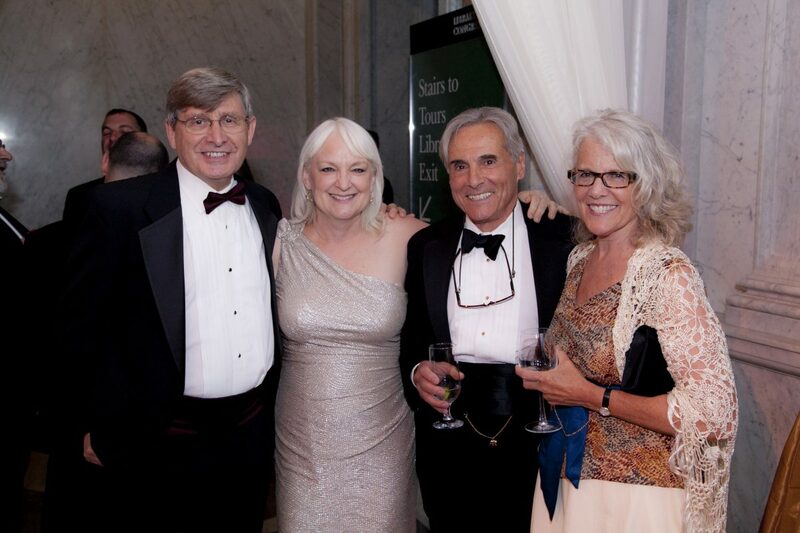 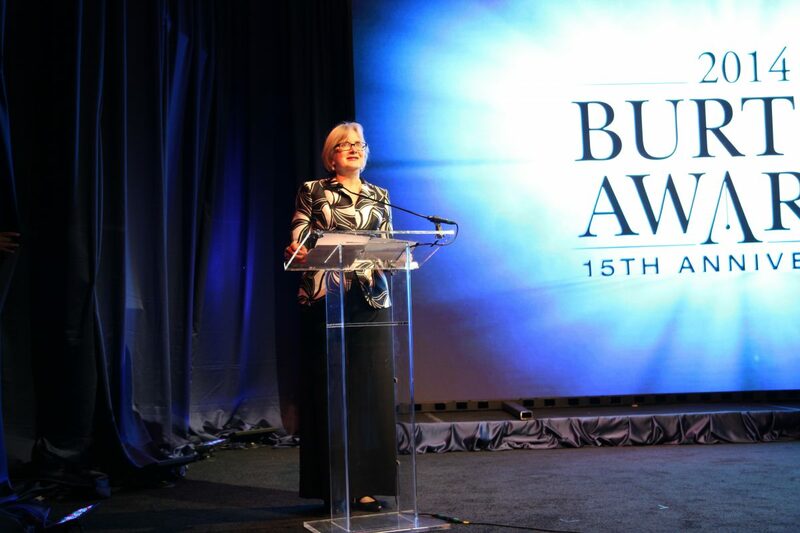 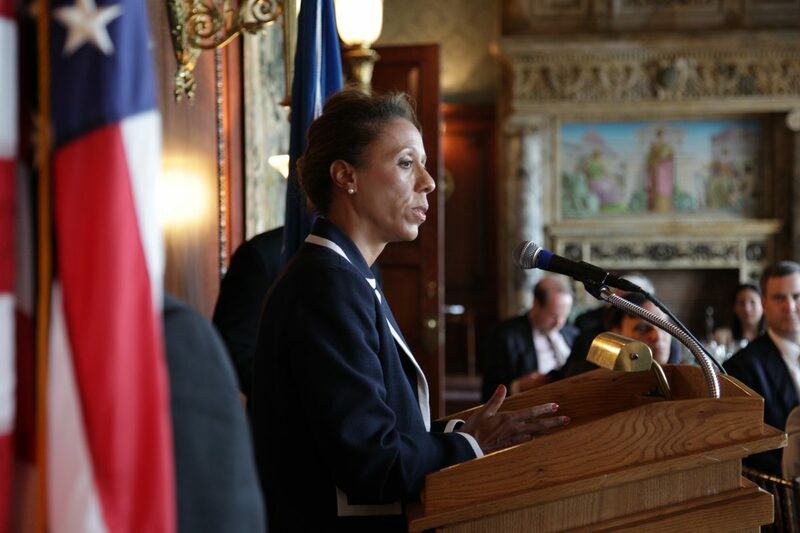 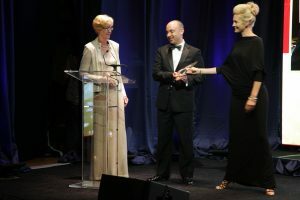 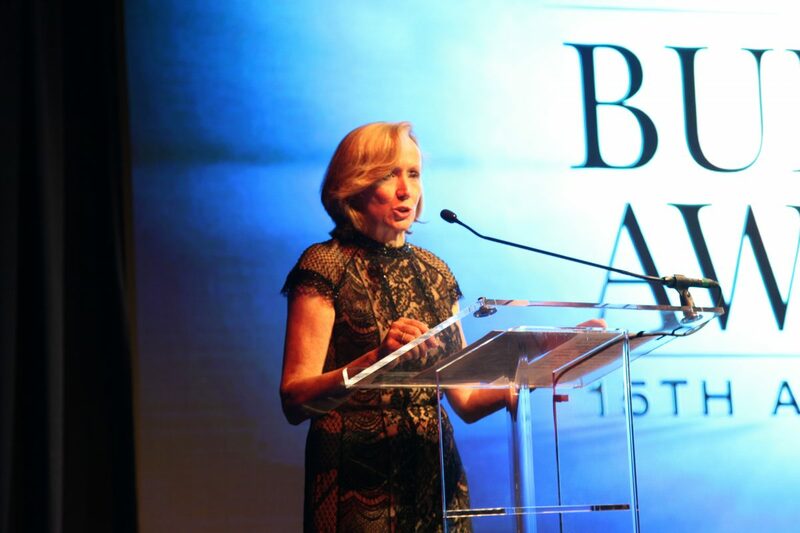 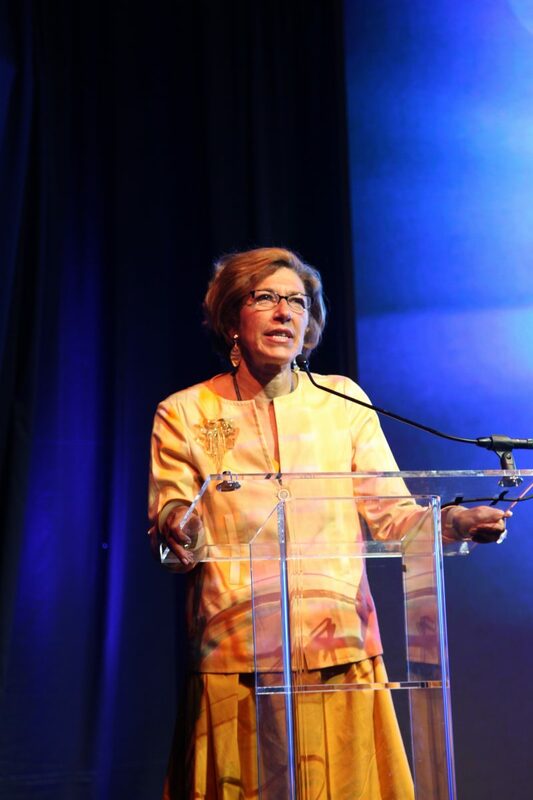 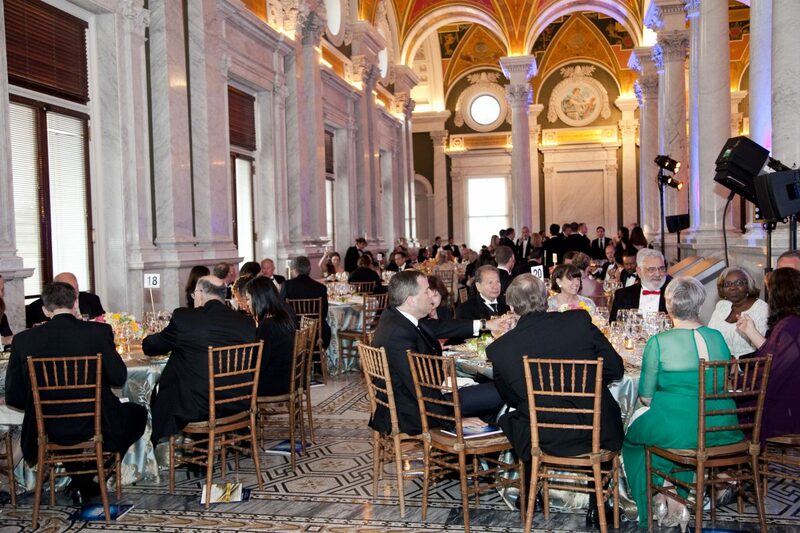 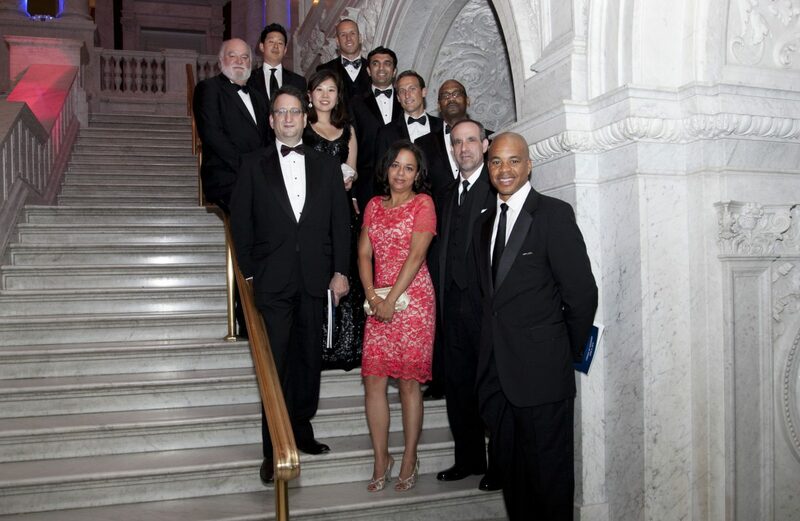 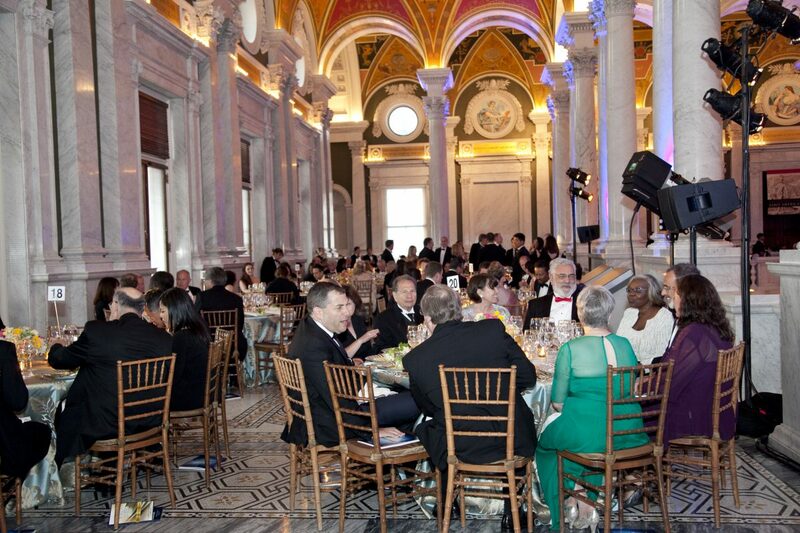 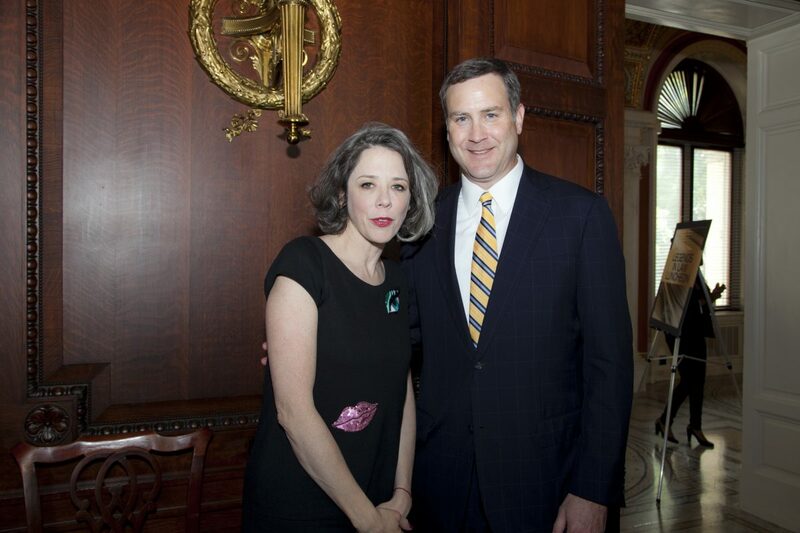 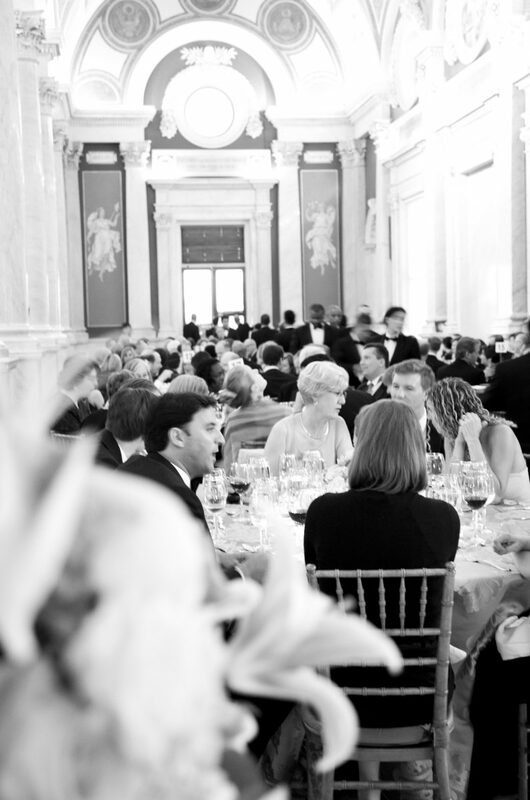 Betty Welchel, General Counsel for North America Region at BNP Paribas was the dinner chair. 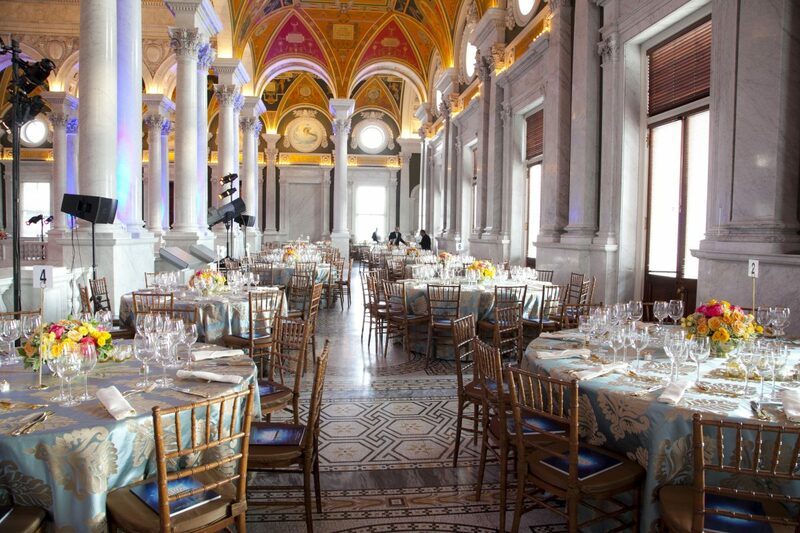 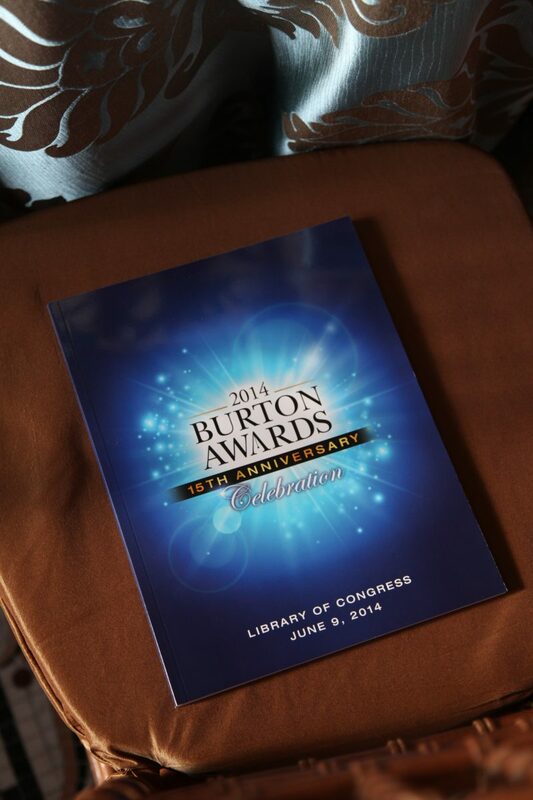 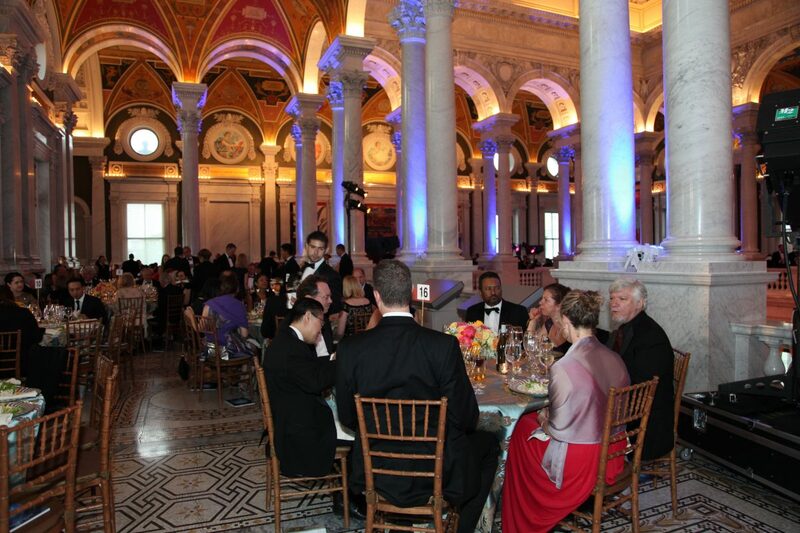 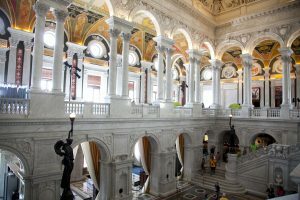 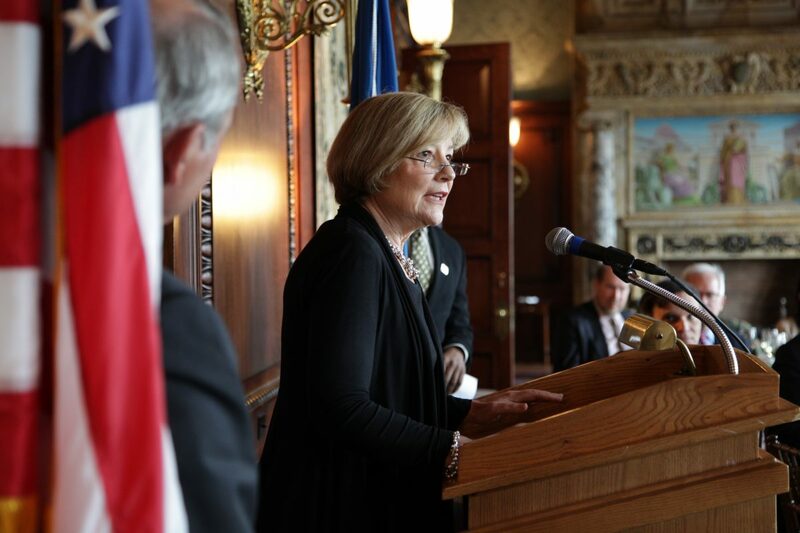 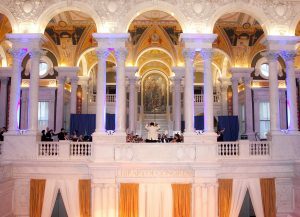 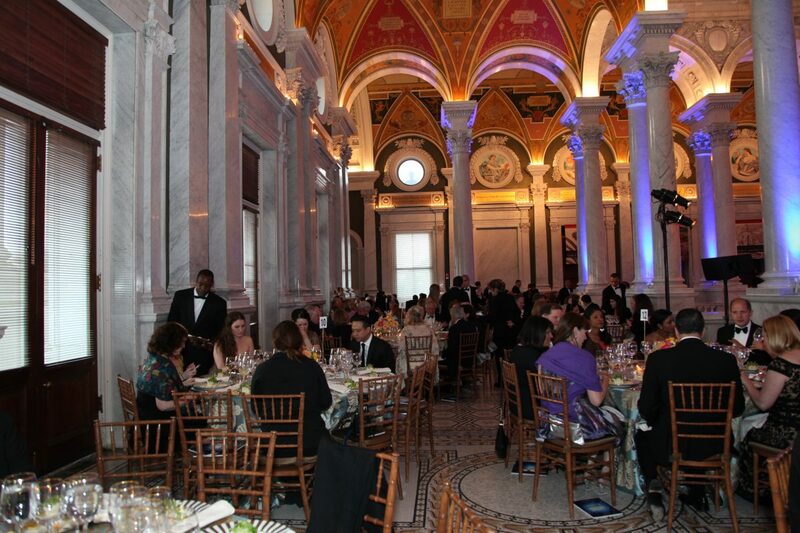 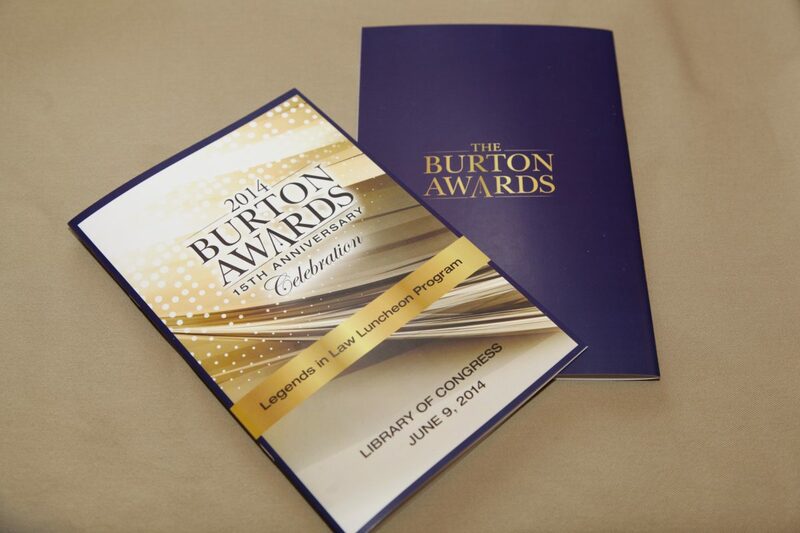 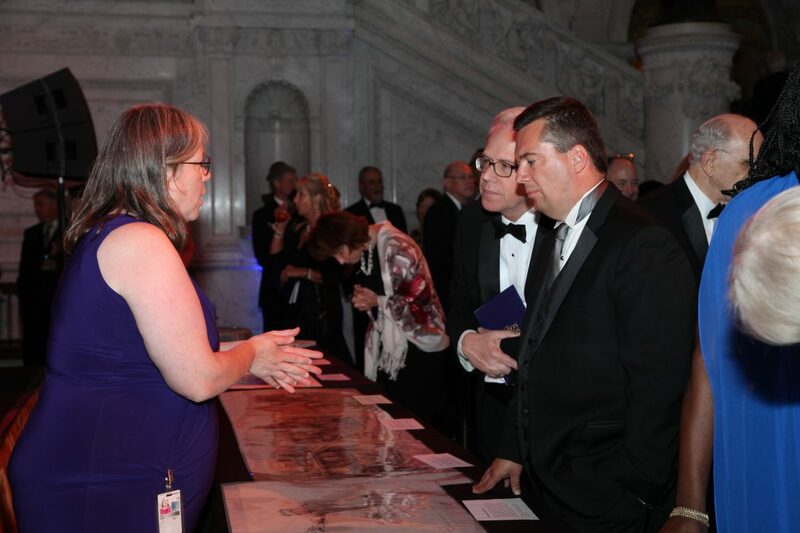 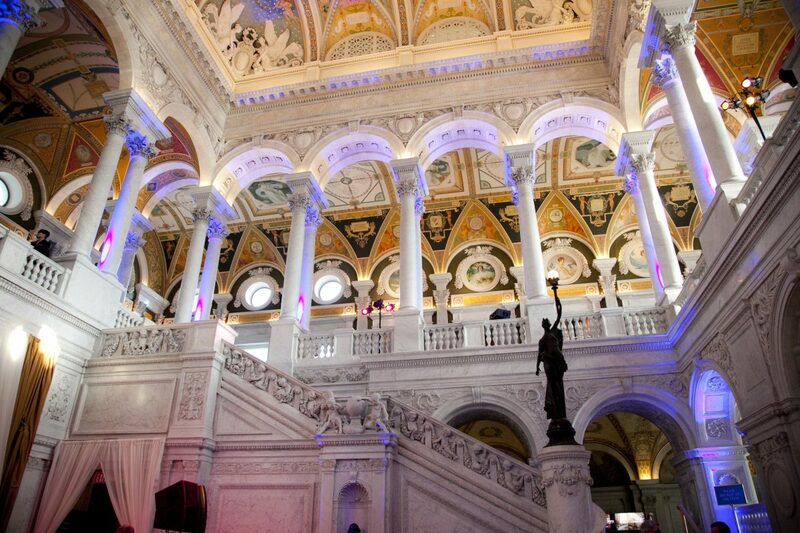 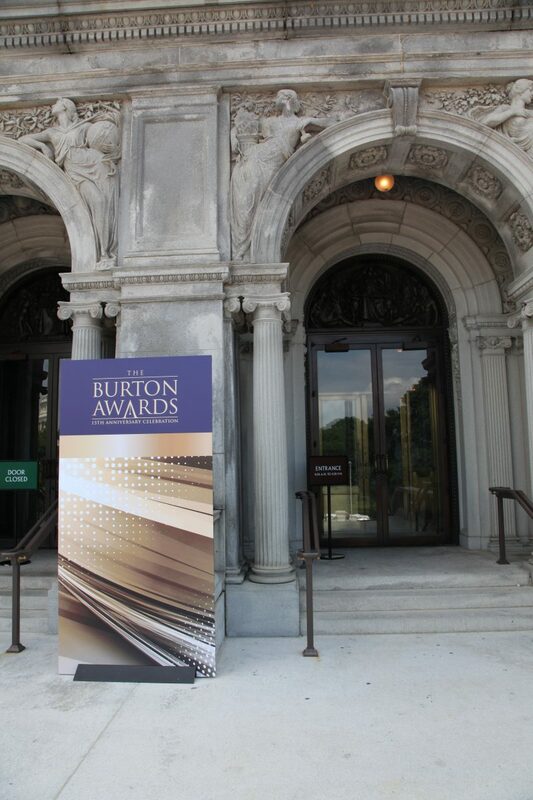 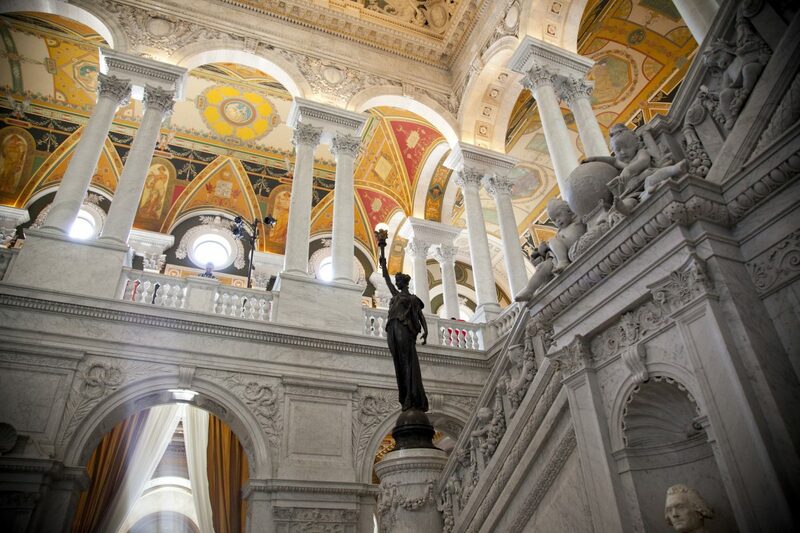 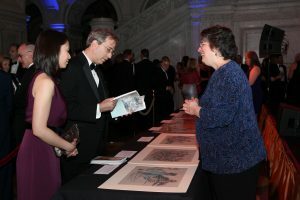 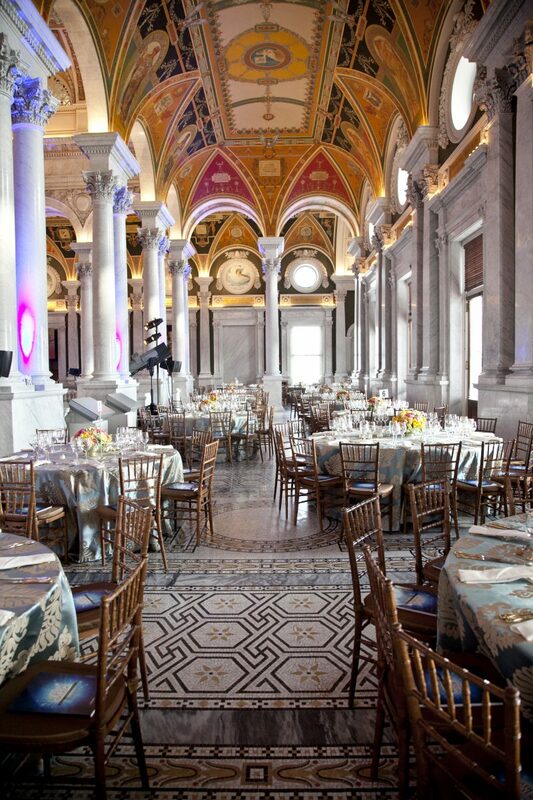 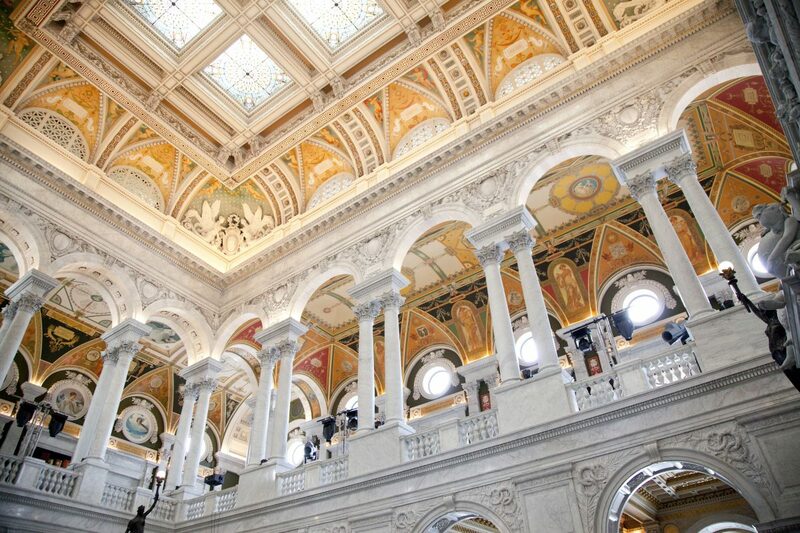 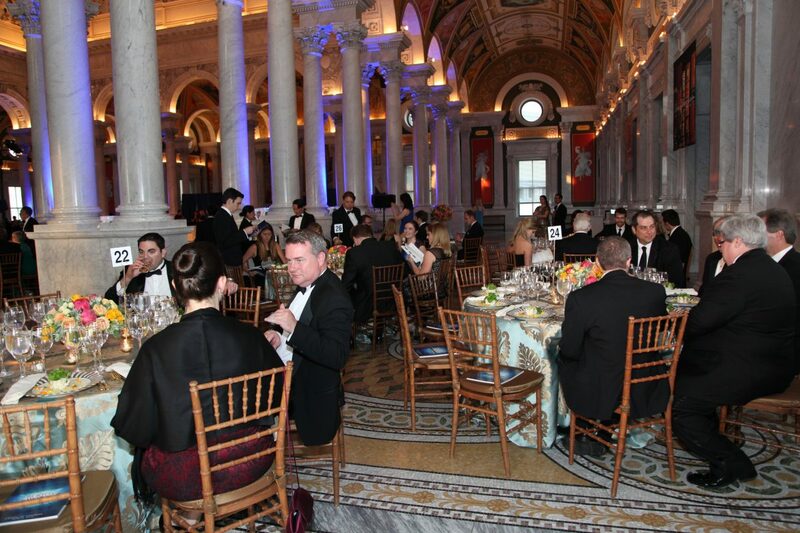 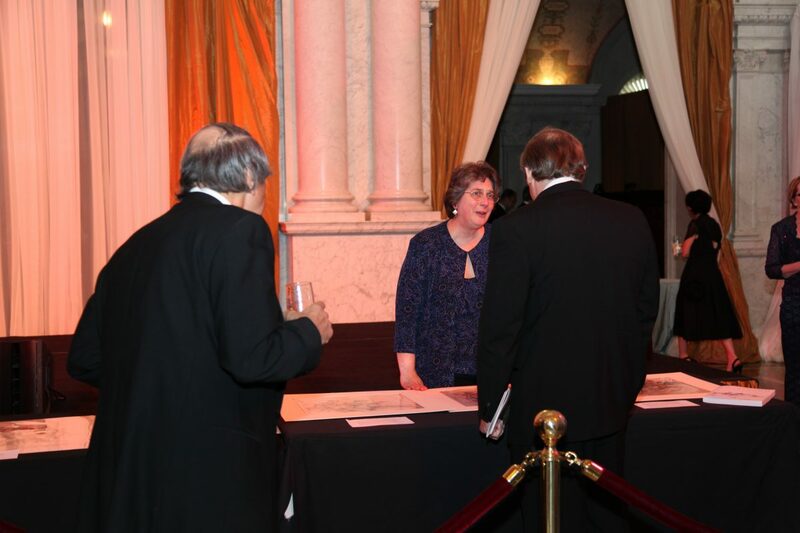 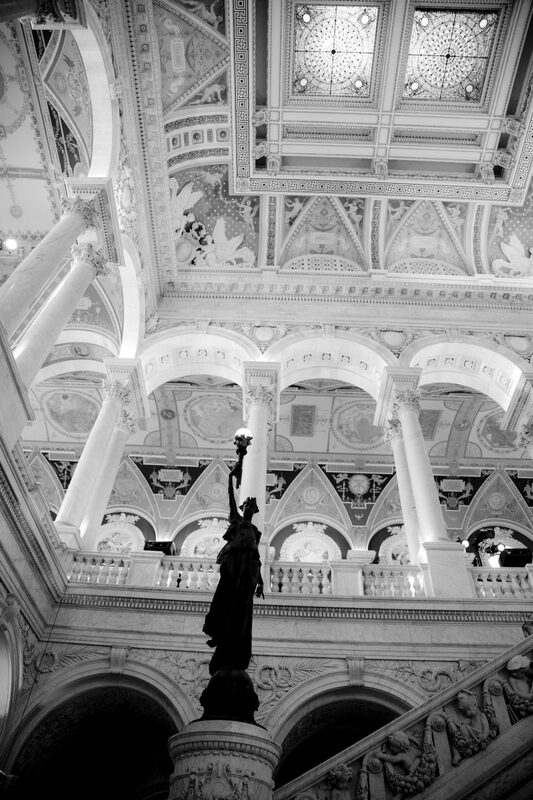 On behalf of the Library of Congress, Associate Librarian for Library Services, Ms. Roberta Shaffer spoke. 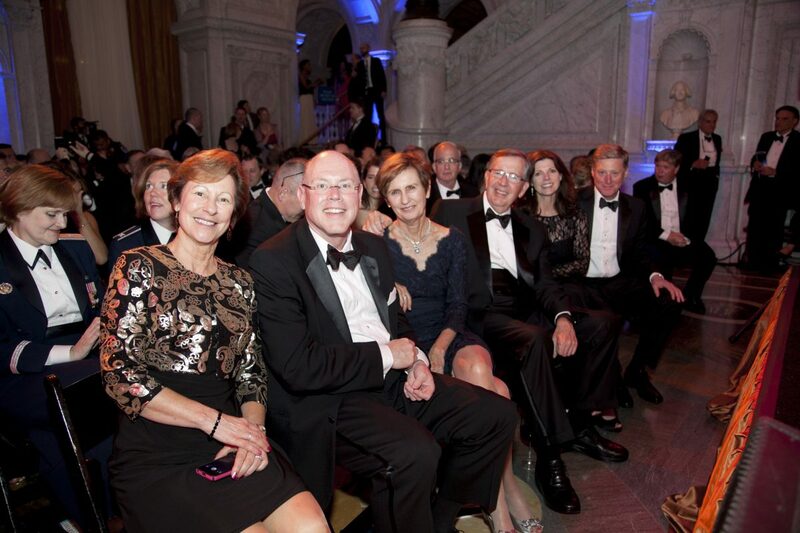 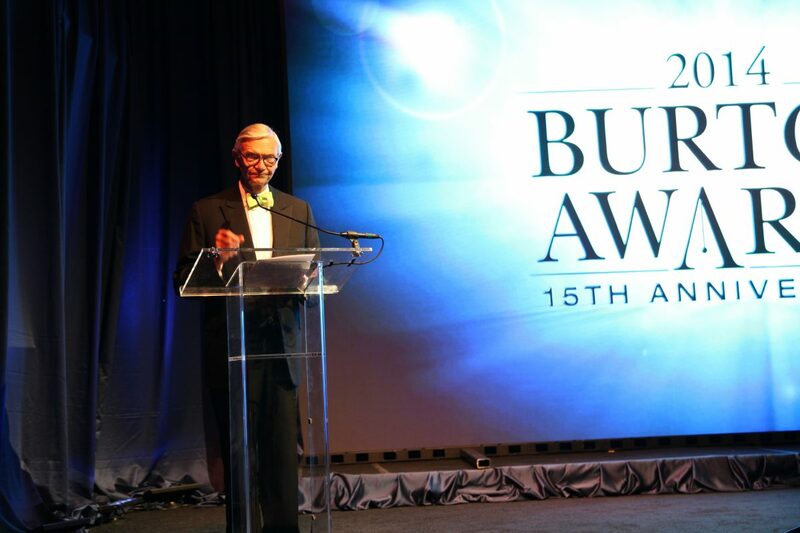 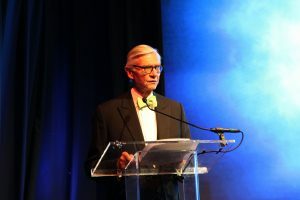 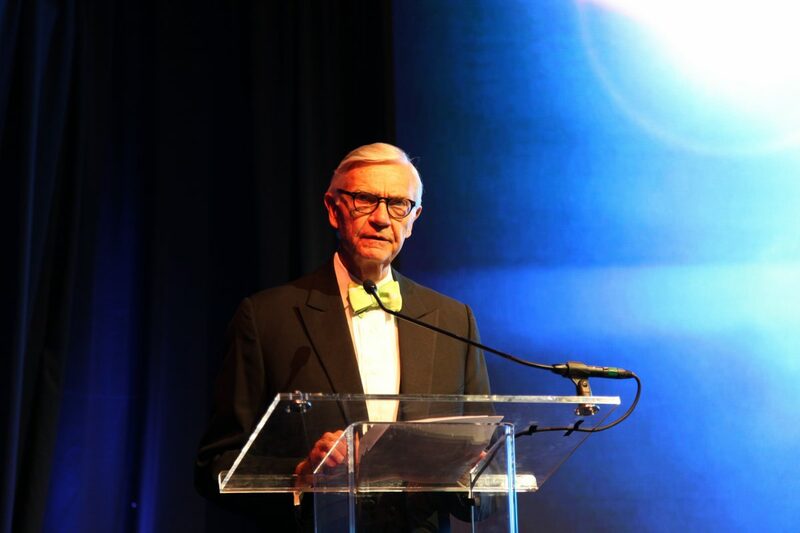 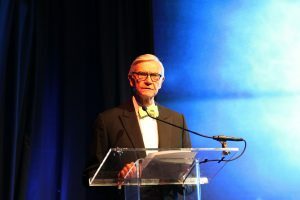 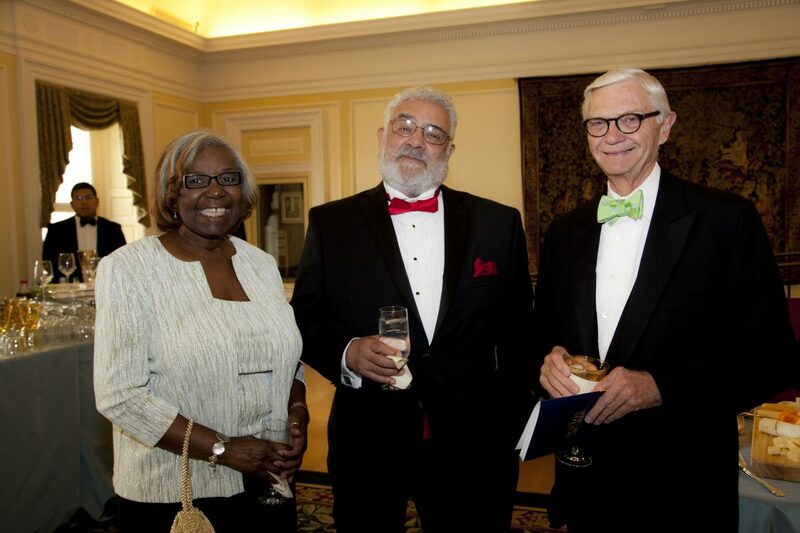 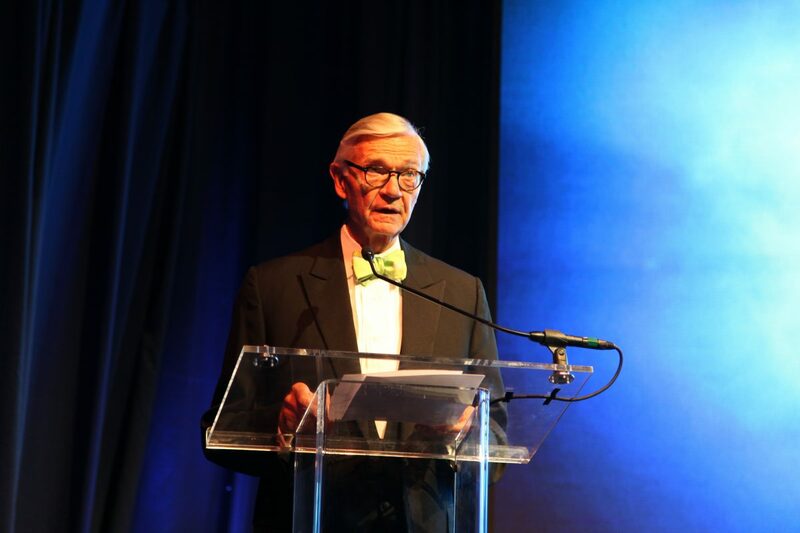 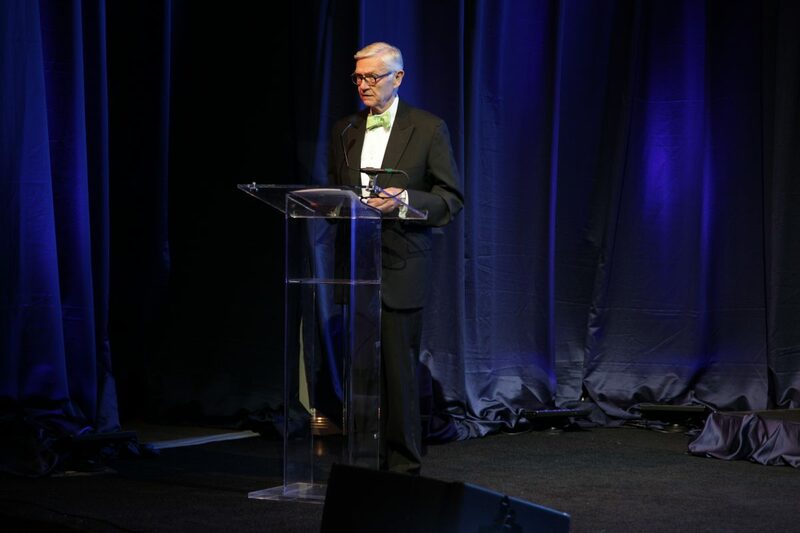 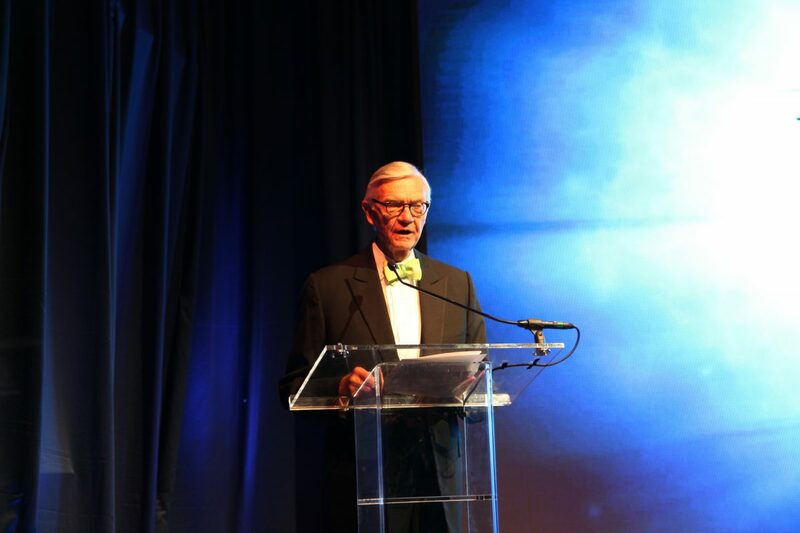 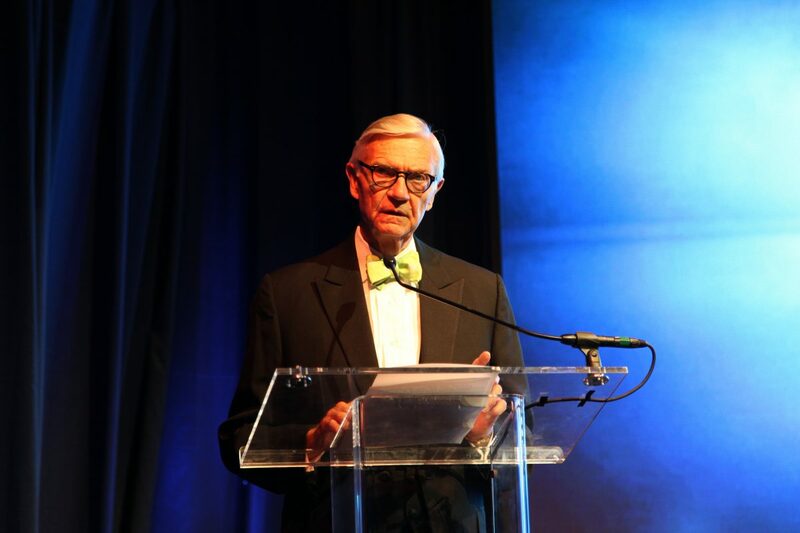 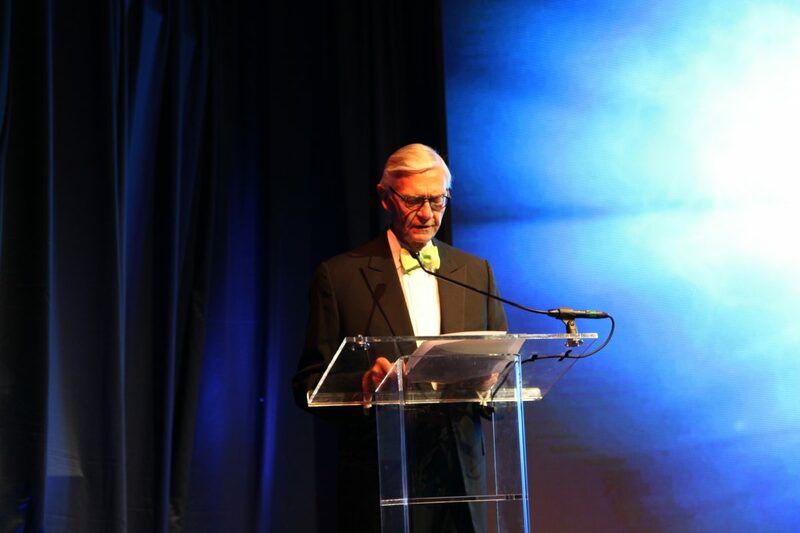 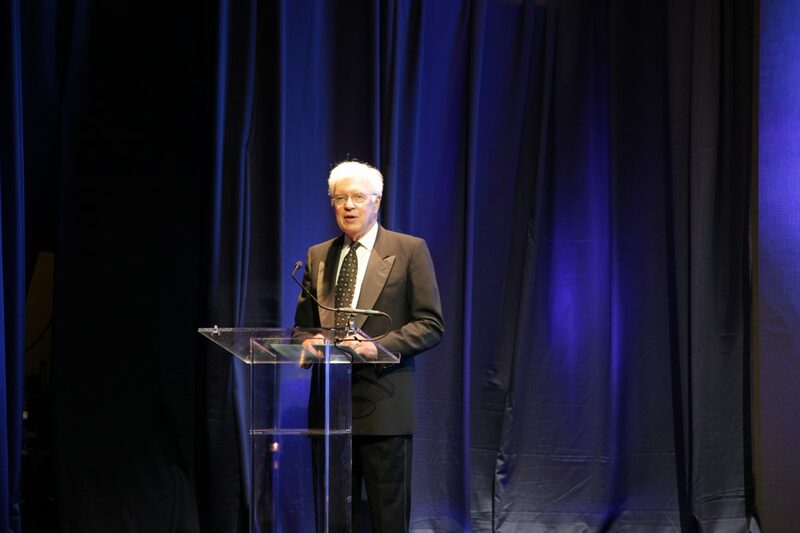 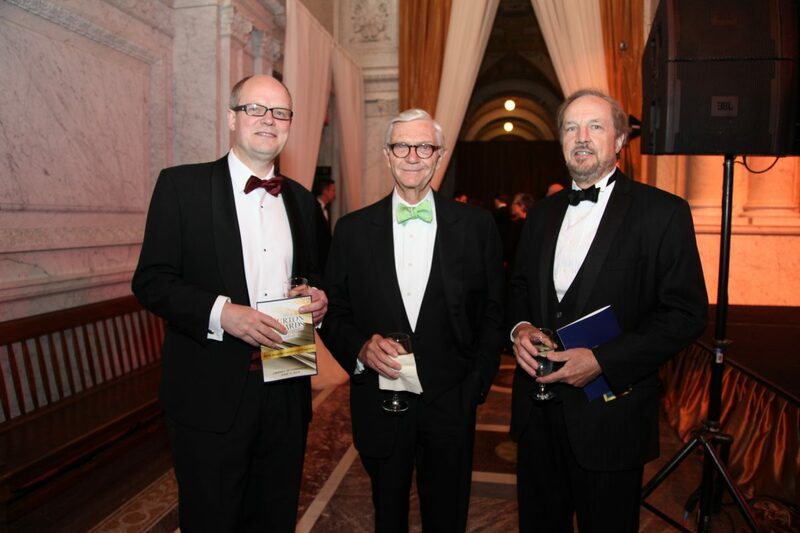 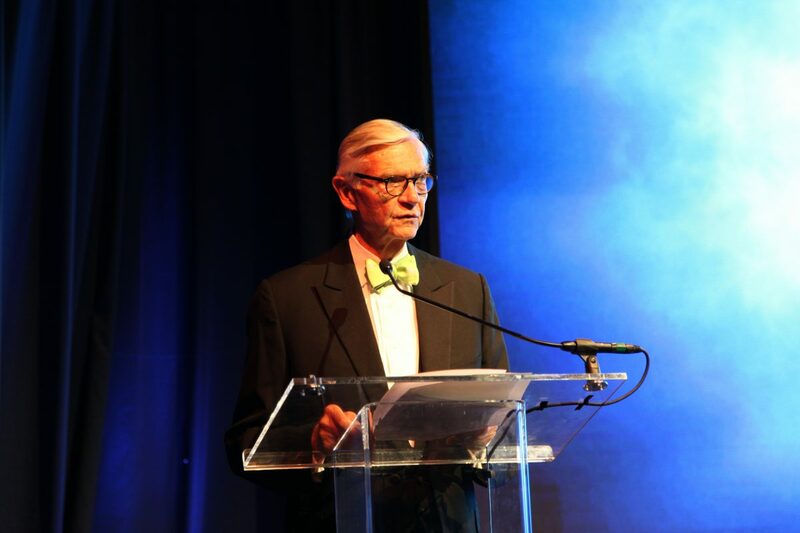 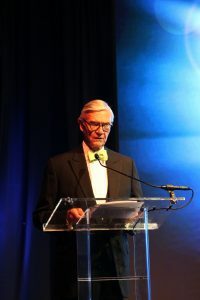 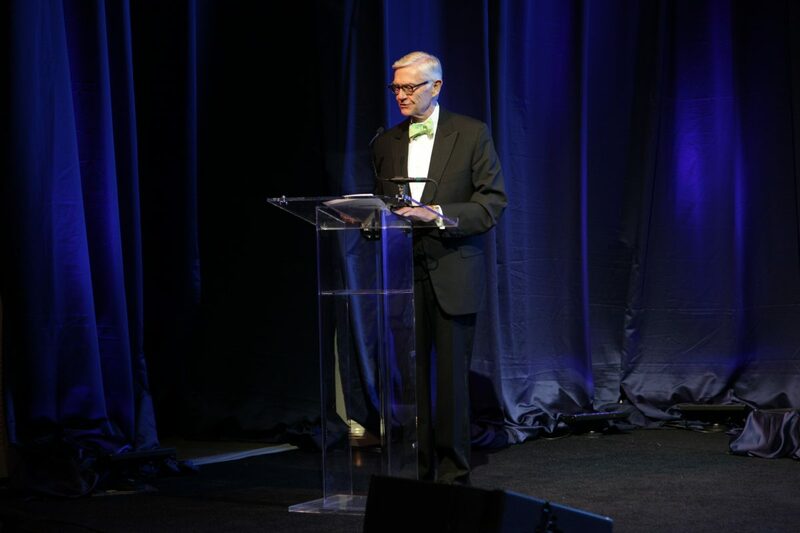 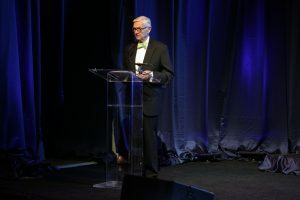 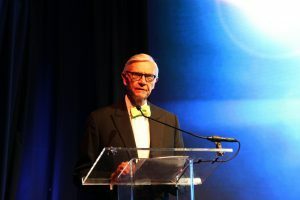 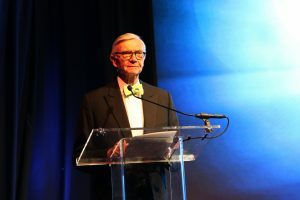 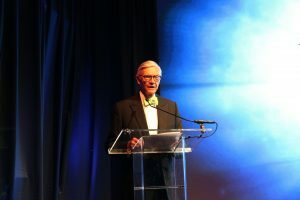 Taylor Reveley, the 27th president of William & Mary, spoke of the program’s impact. 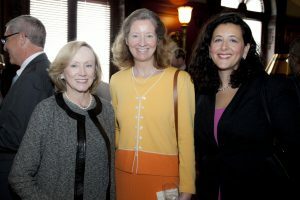 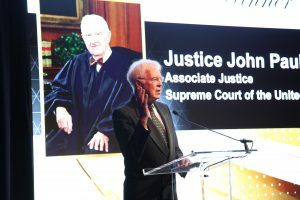 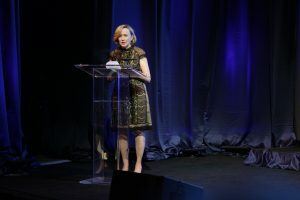 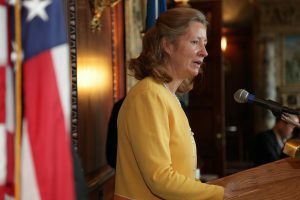 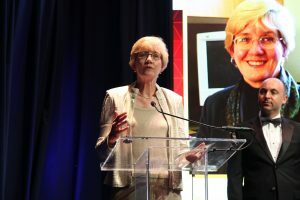 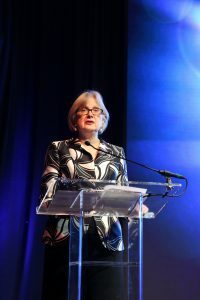 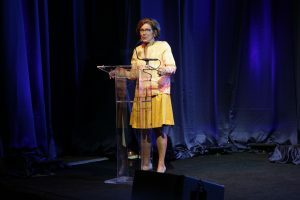 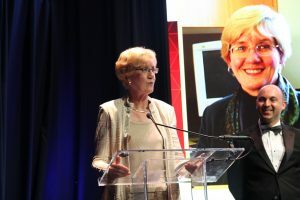 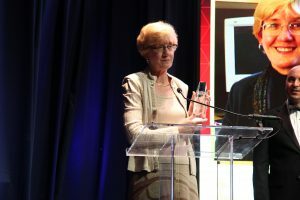 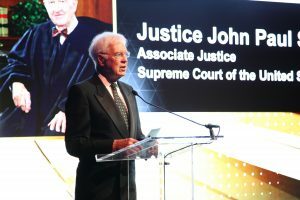 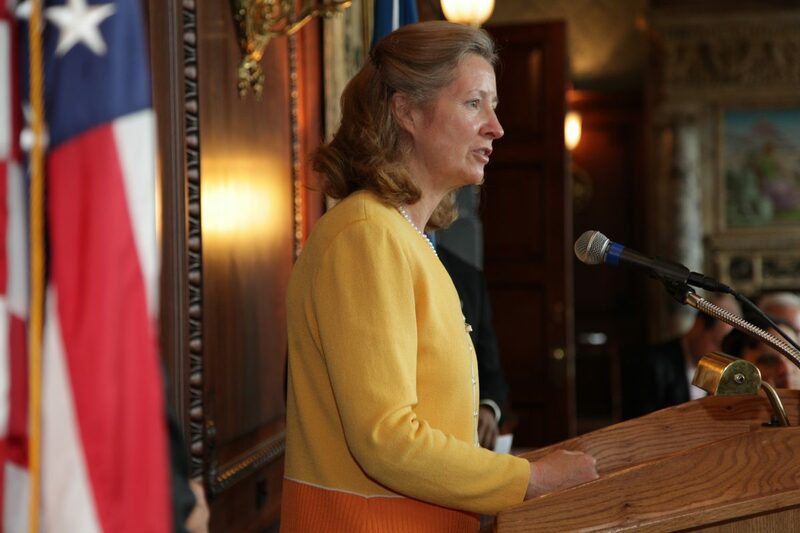 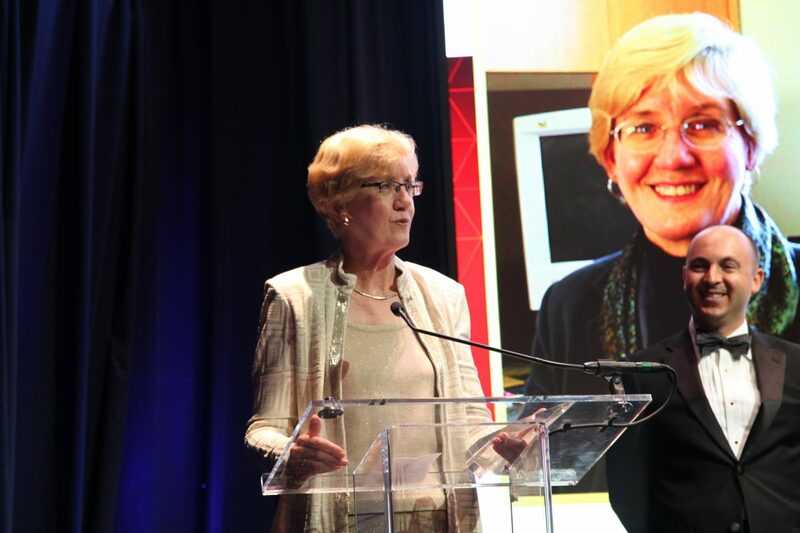 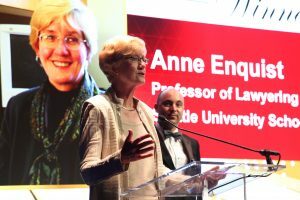 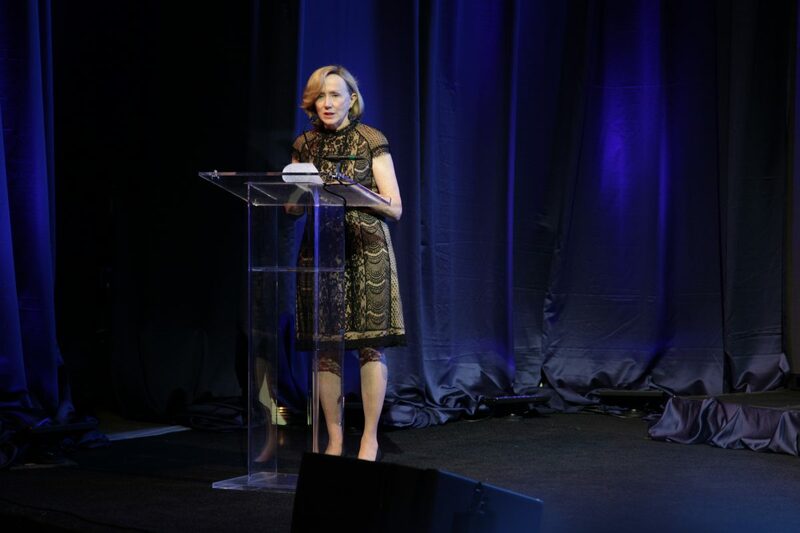 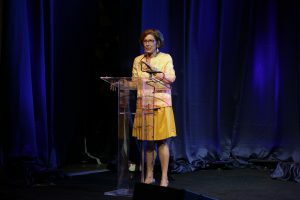 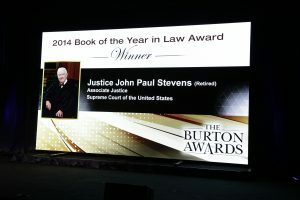 Virginia Wise, noted scholar at Harvard Law and Academic Chair, introduced a representative of Justice John Paul Stevens who could not attend. 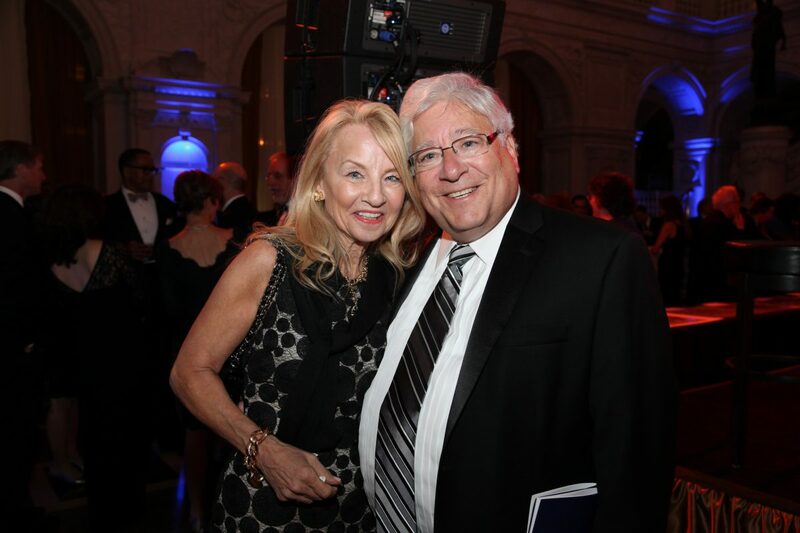 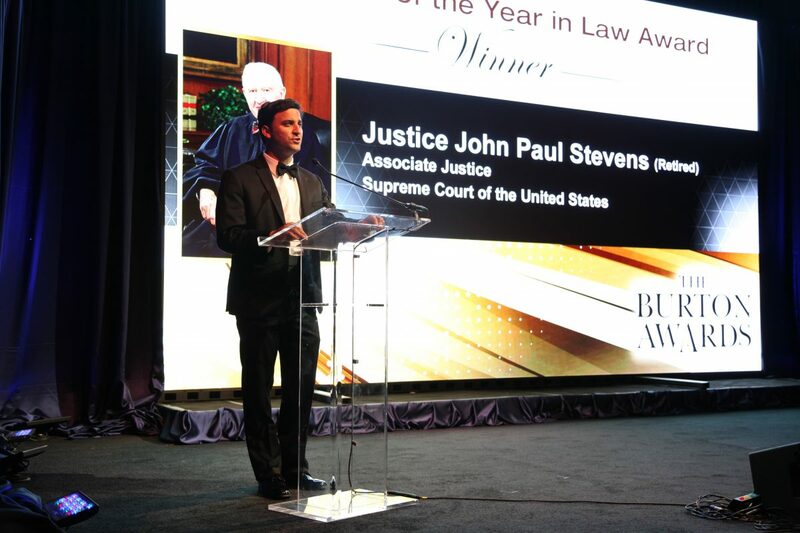 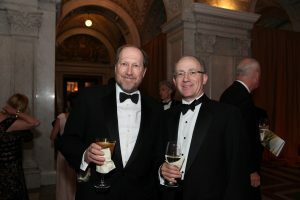 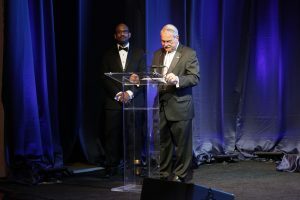 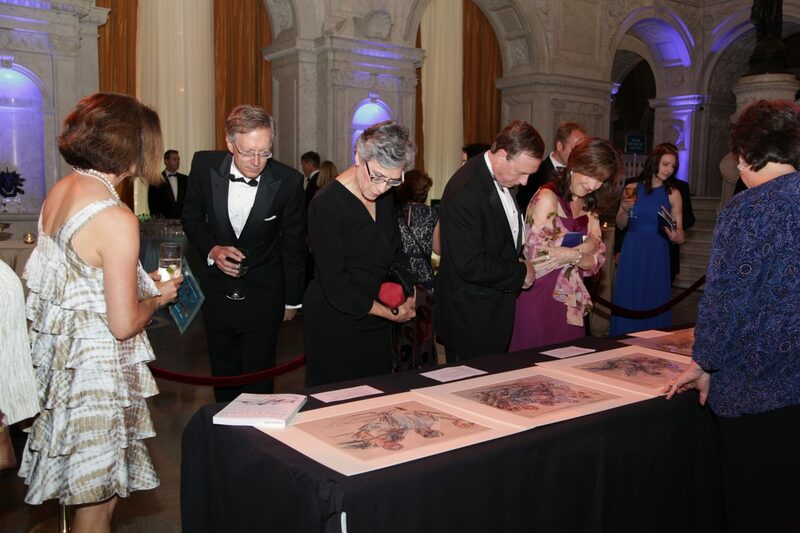 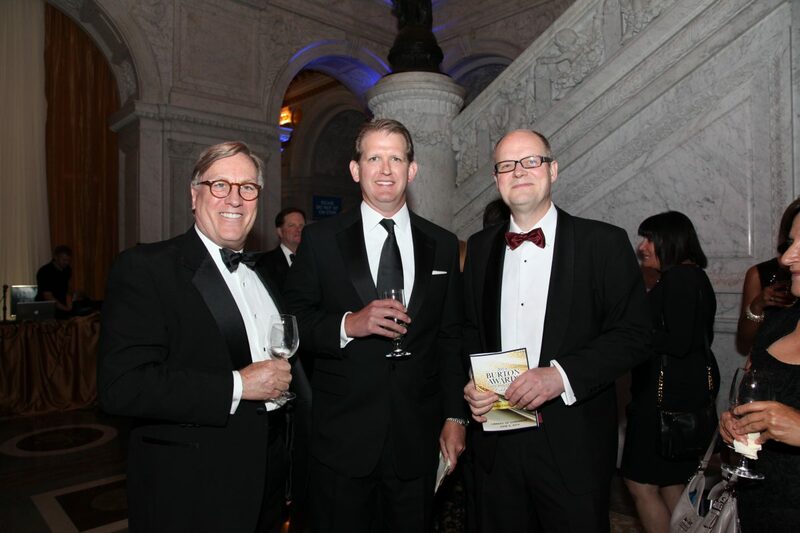 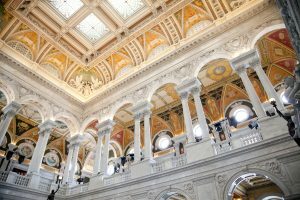 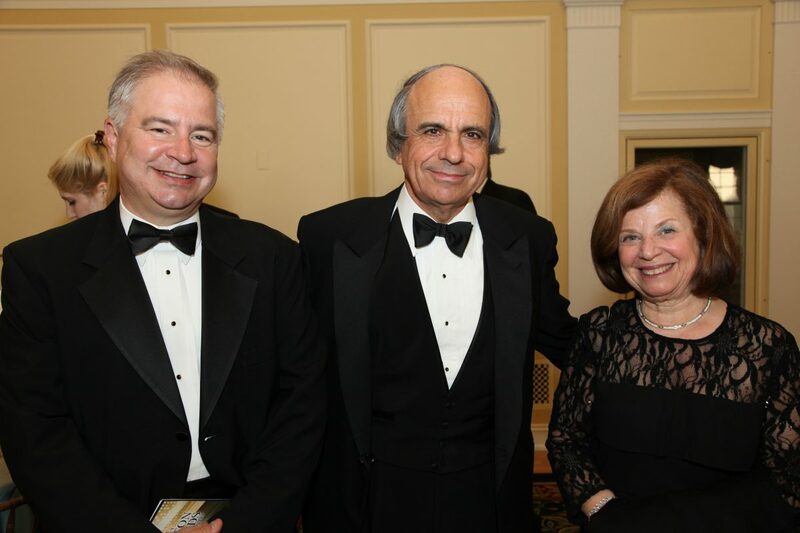 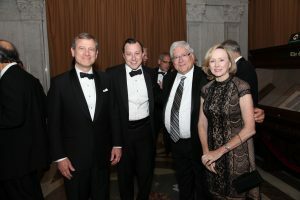 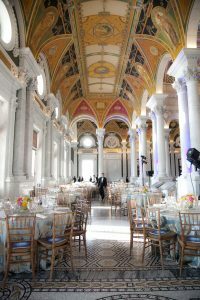 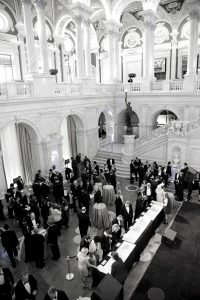 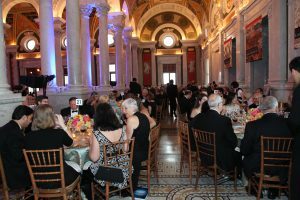 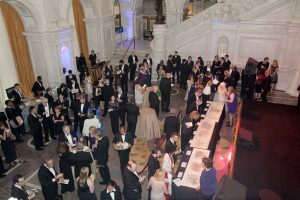 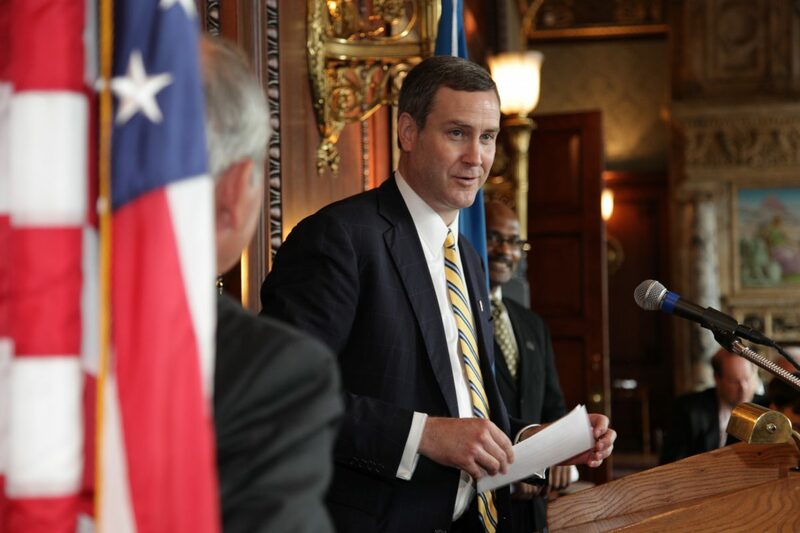 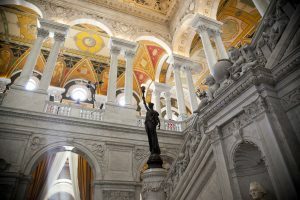 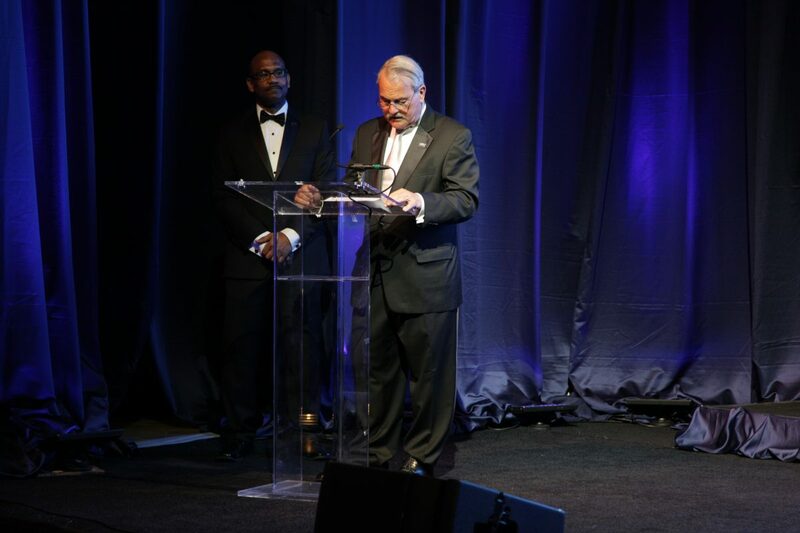 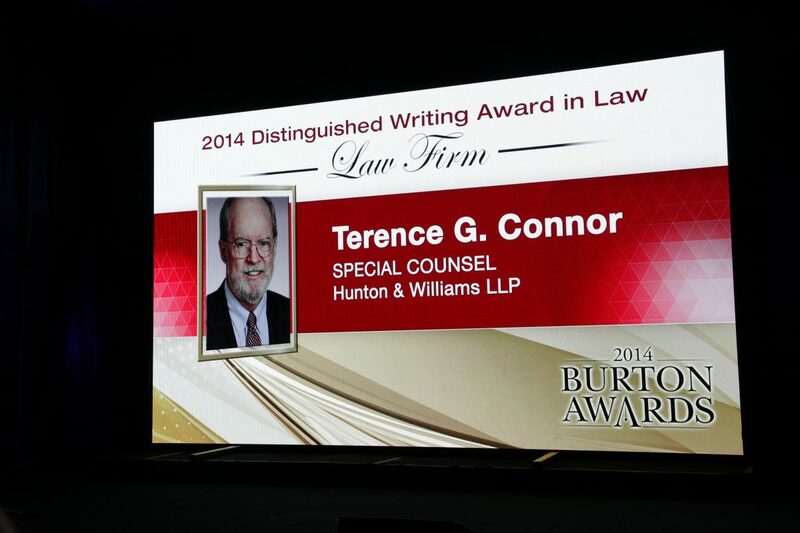 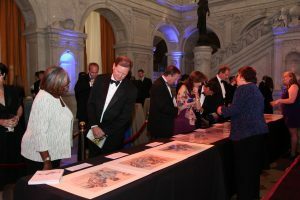 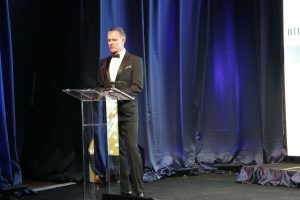 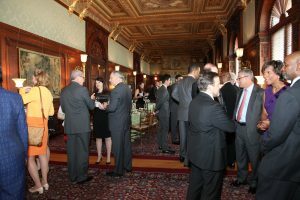 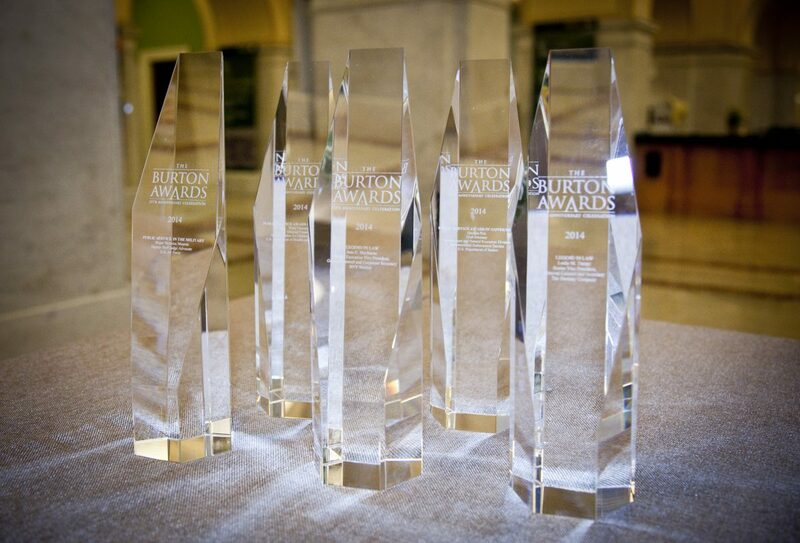 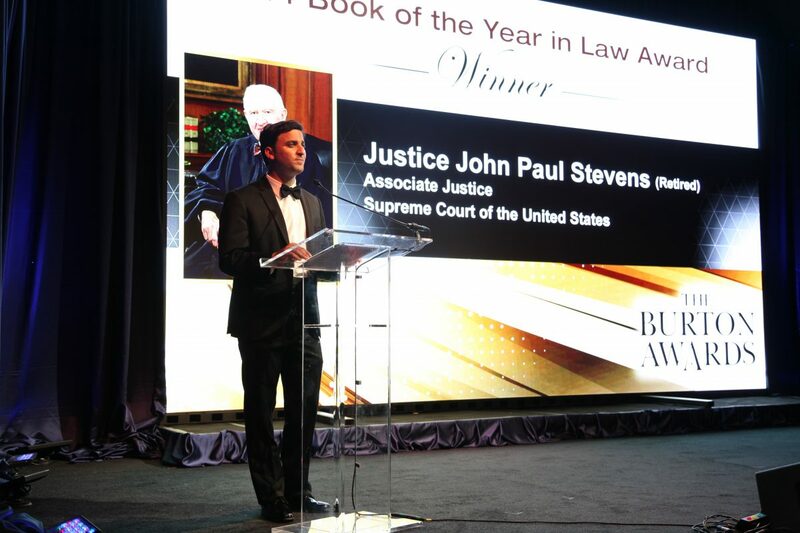 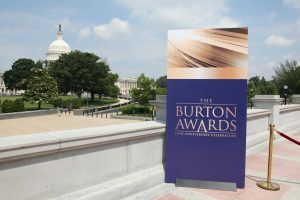 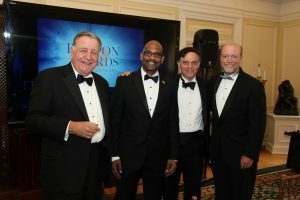 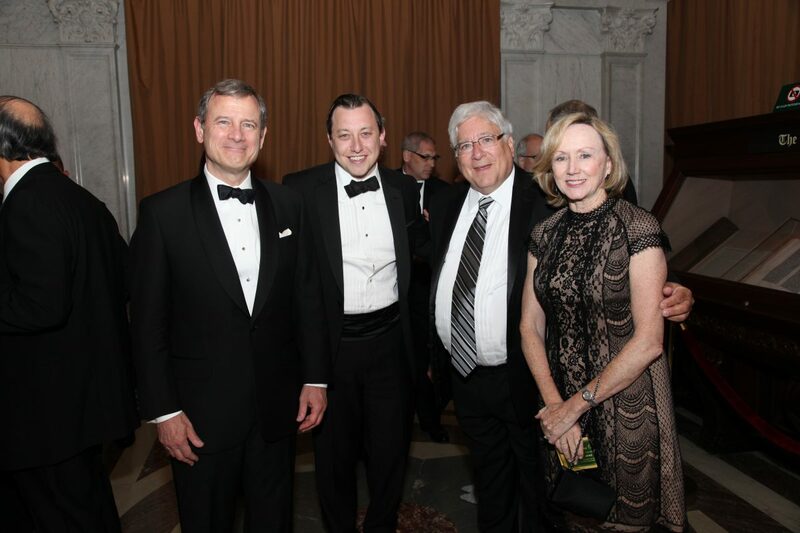 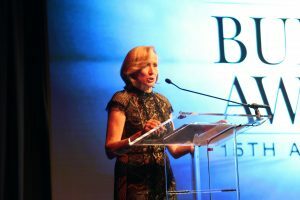 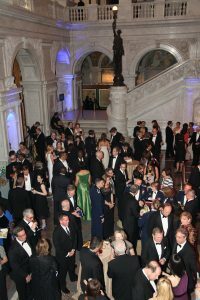 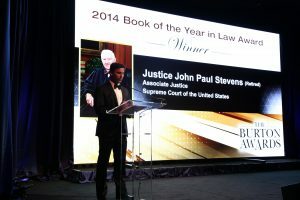 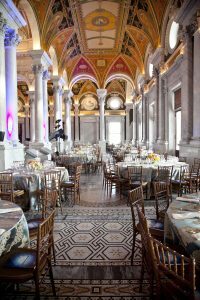 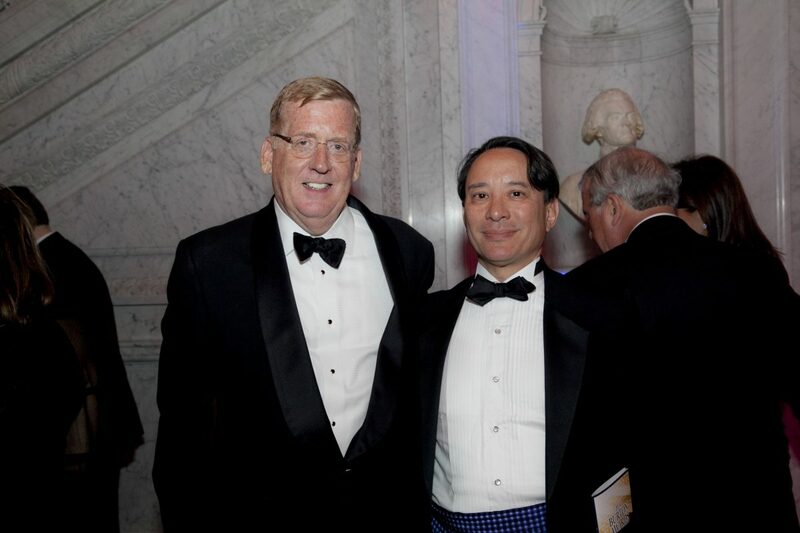 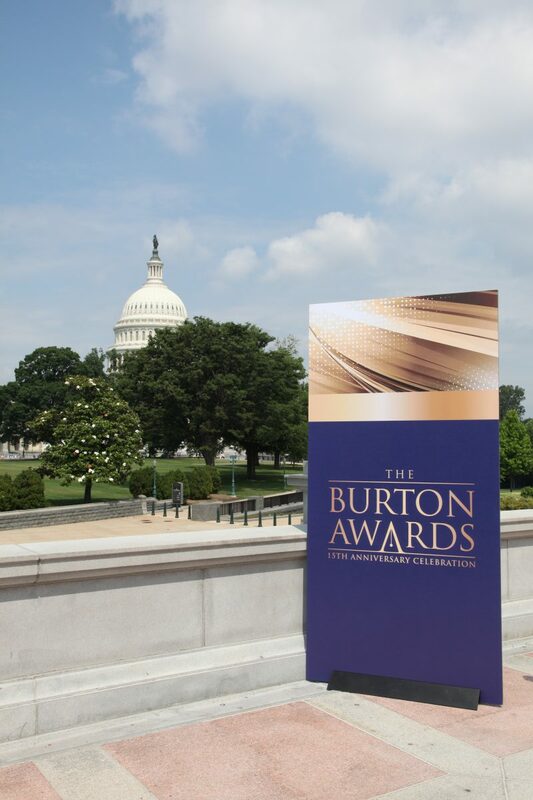 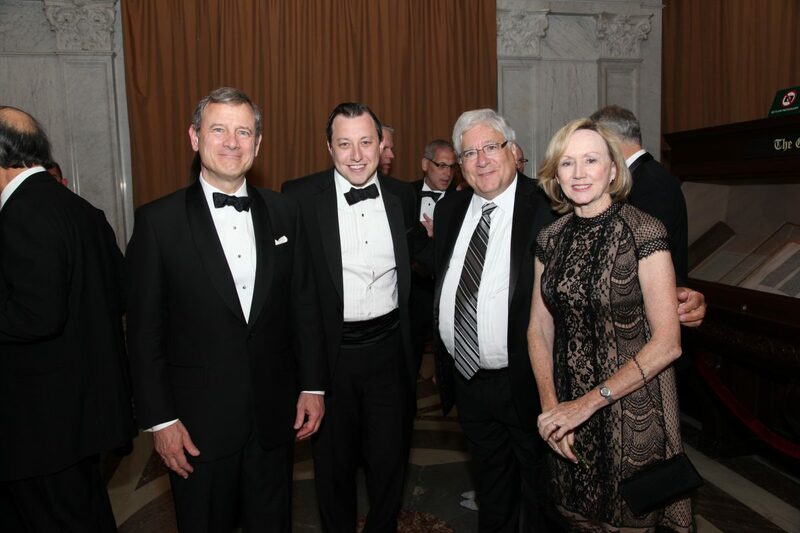 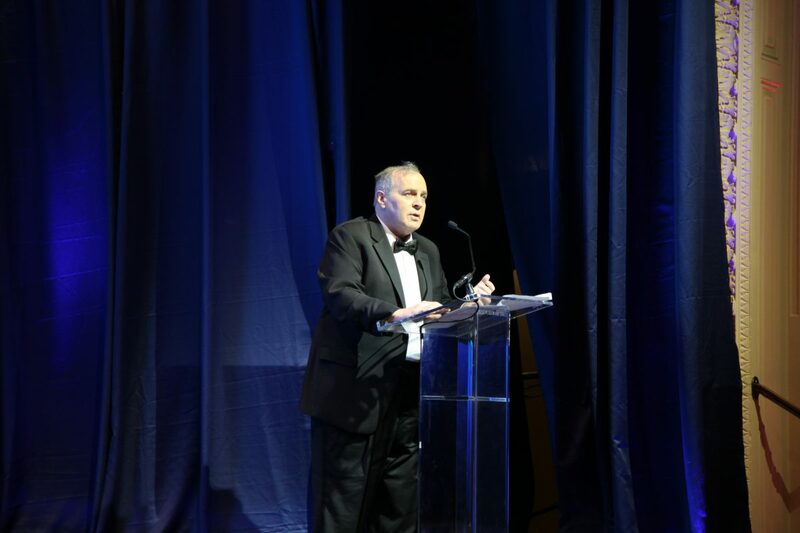 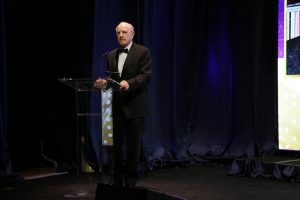 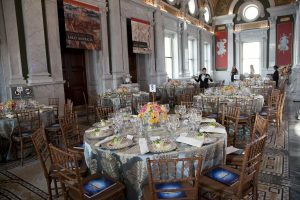 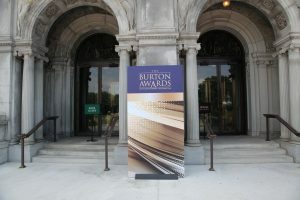 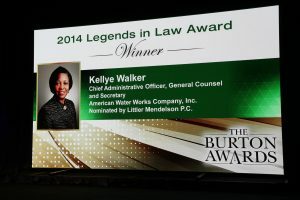 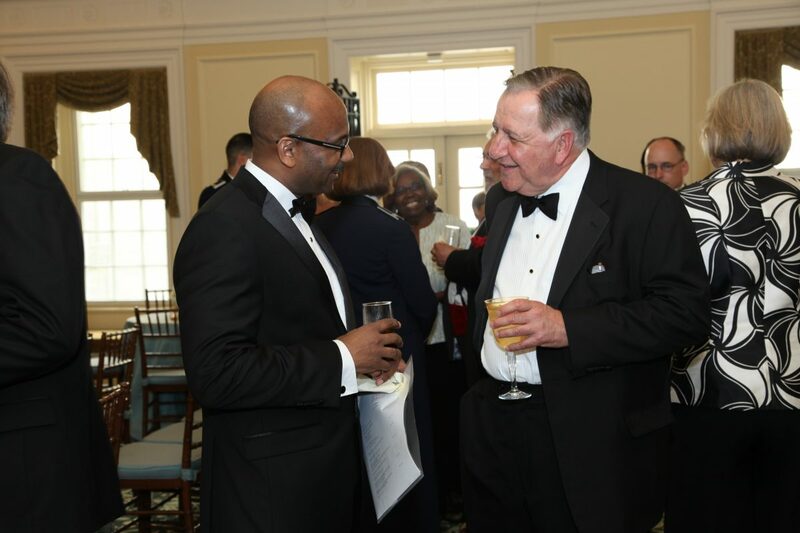 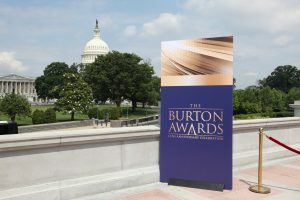 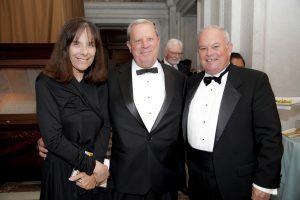 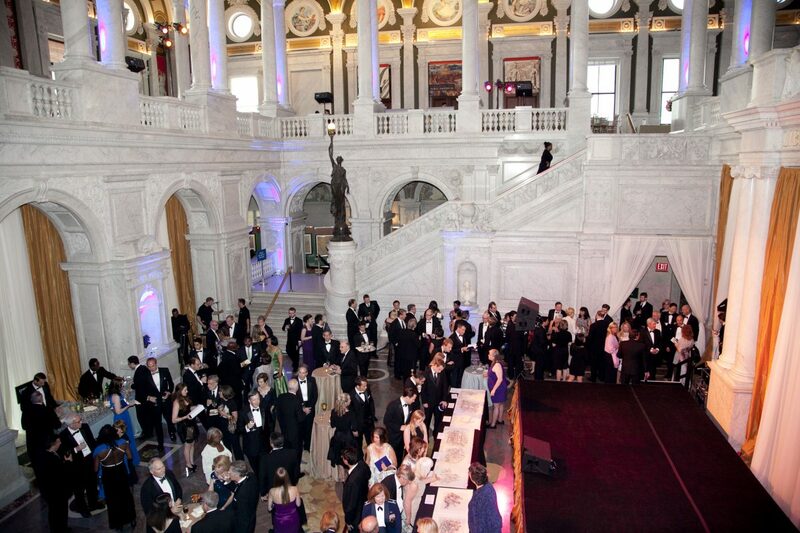 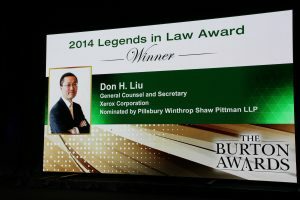 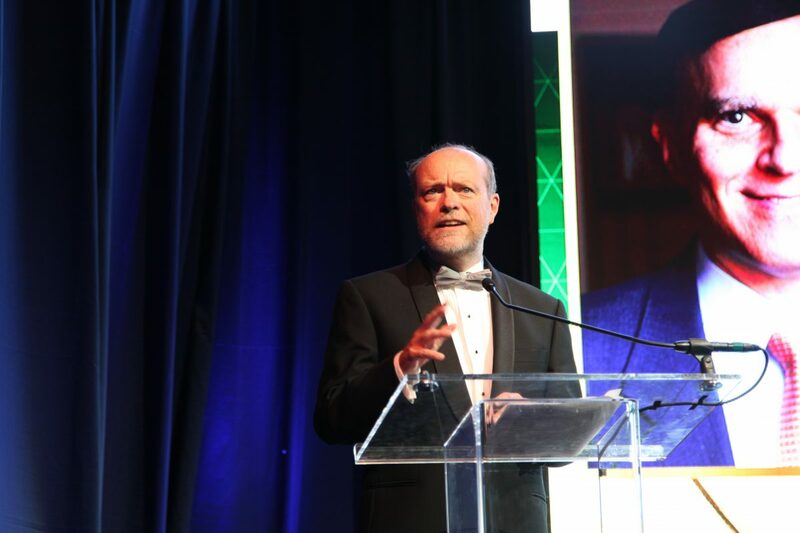 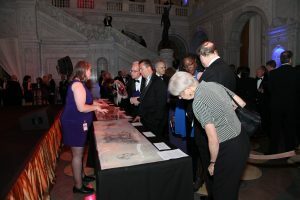 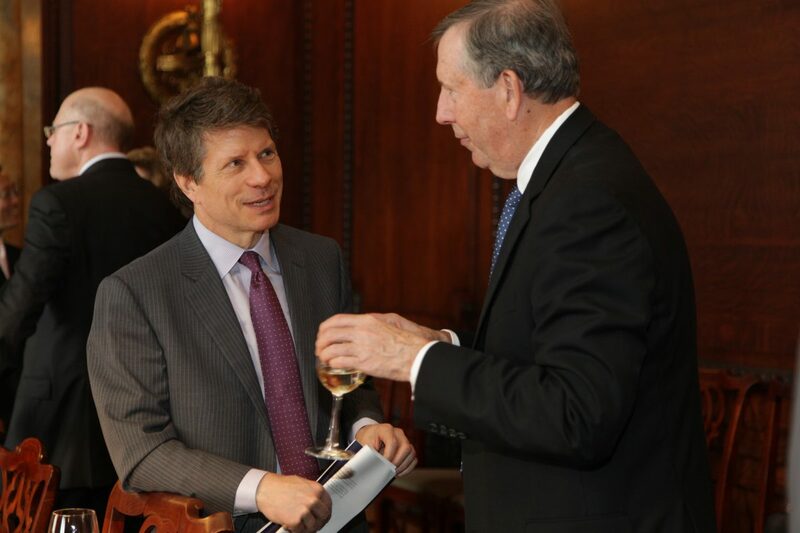 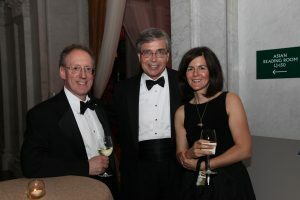 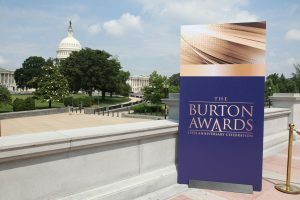 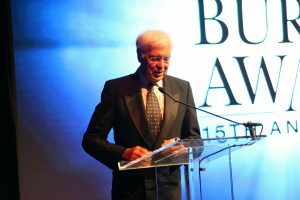 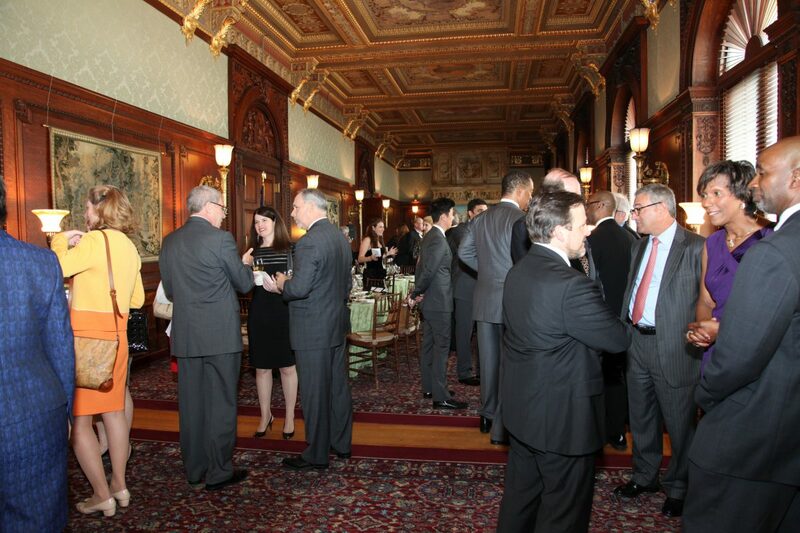 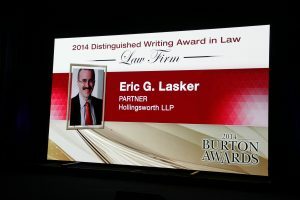 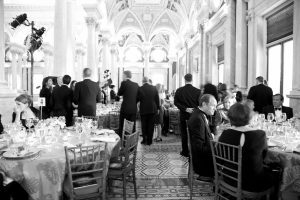 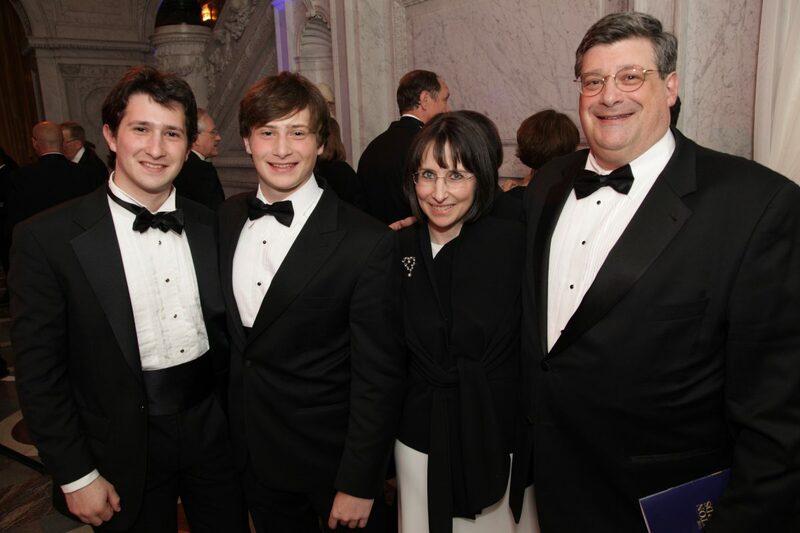 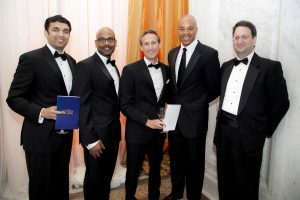 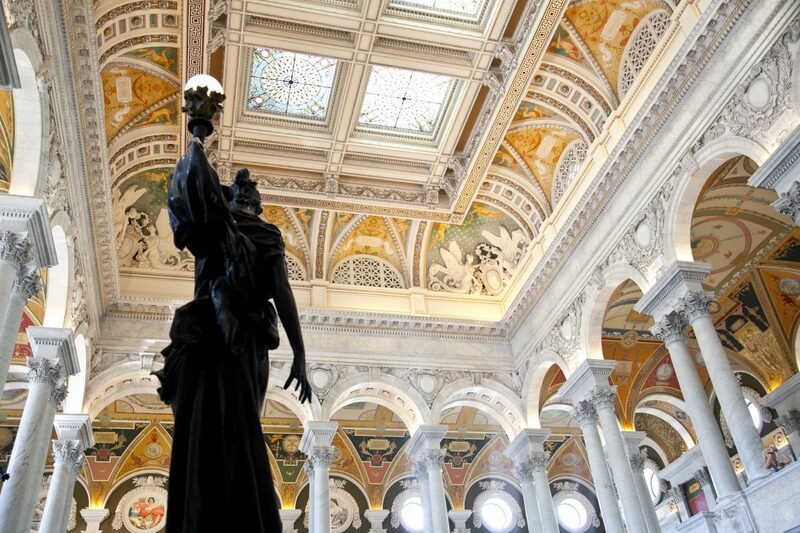 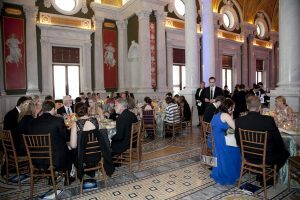 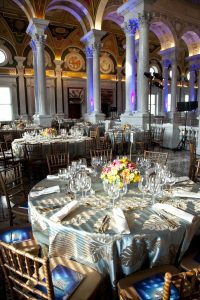 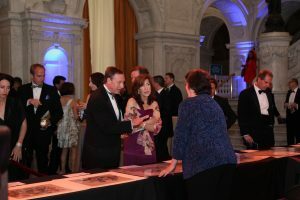 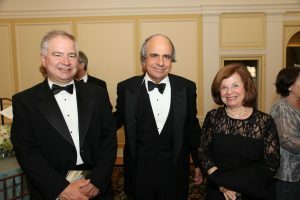 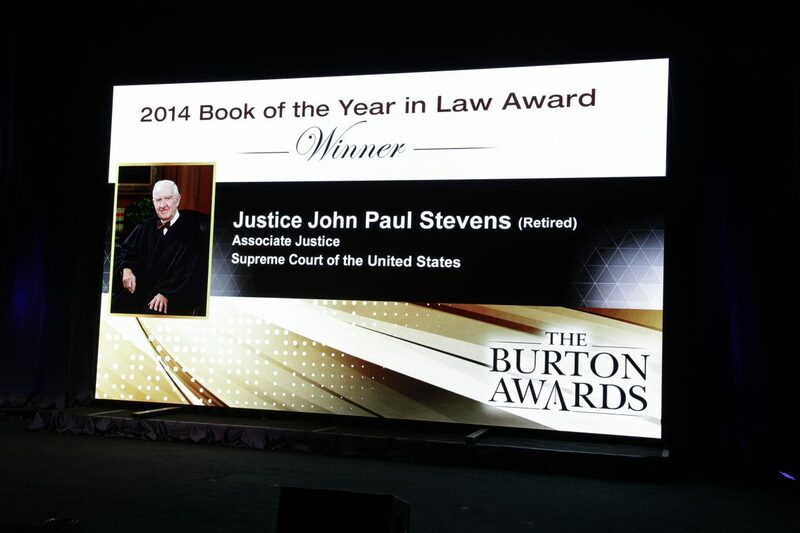 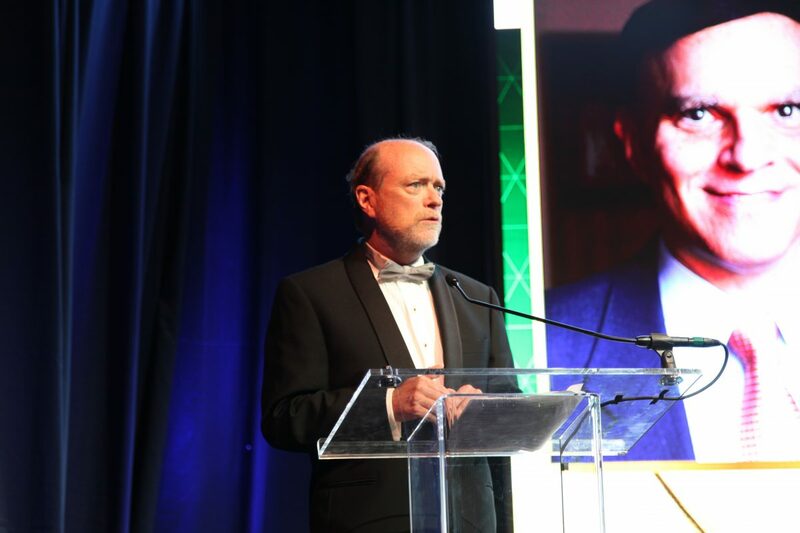 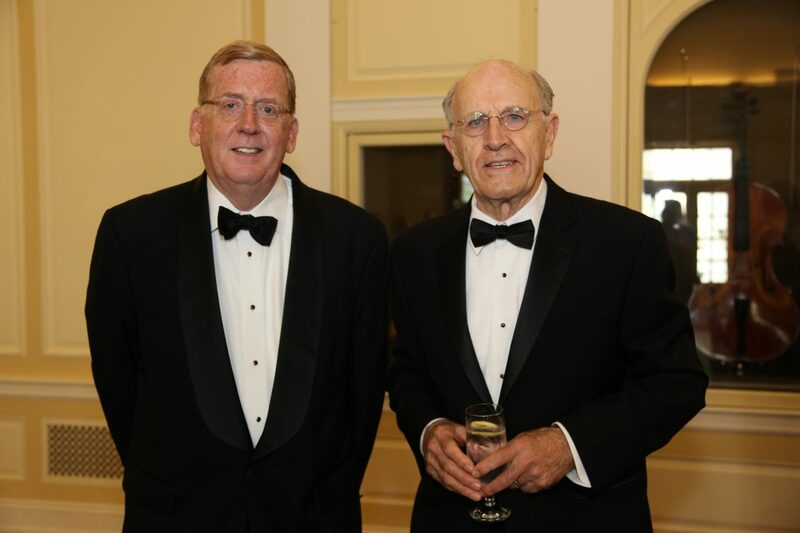 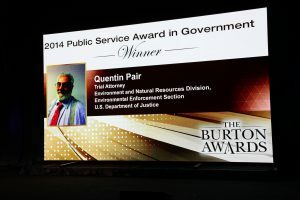 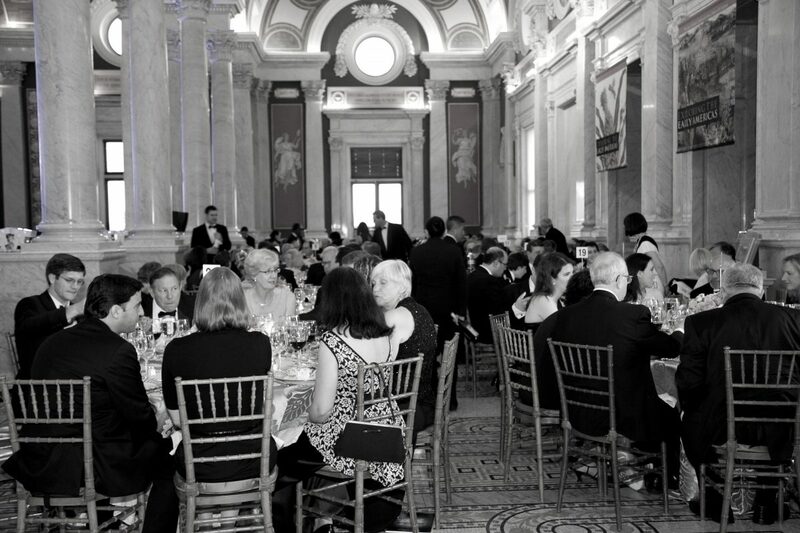 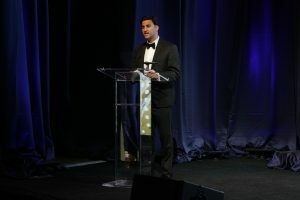 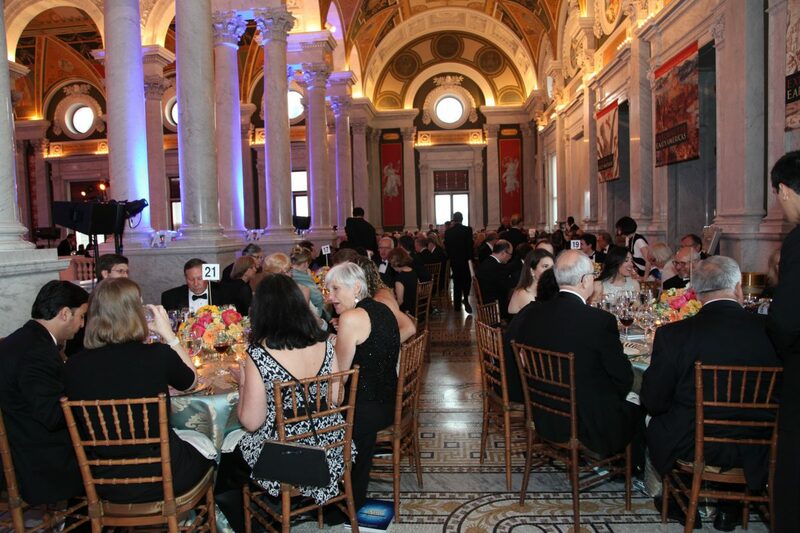 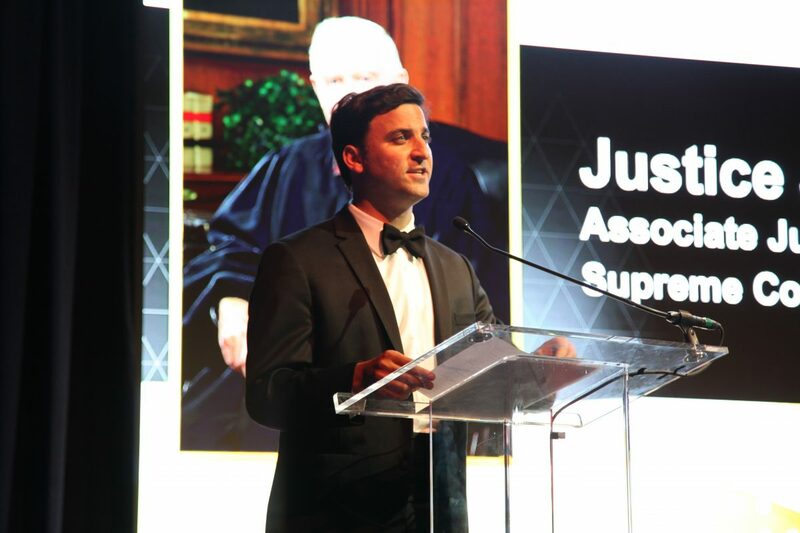 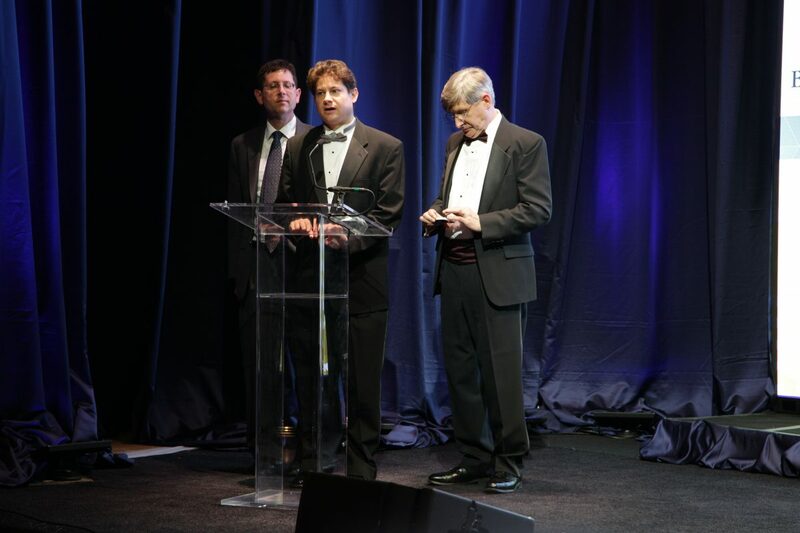 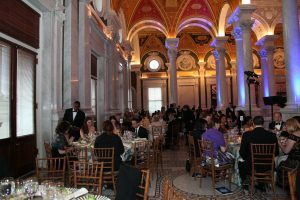 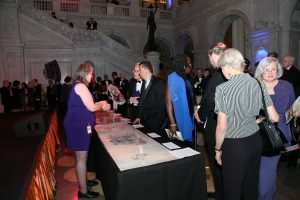 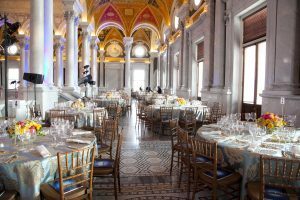 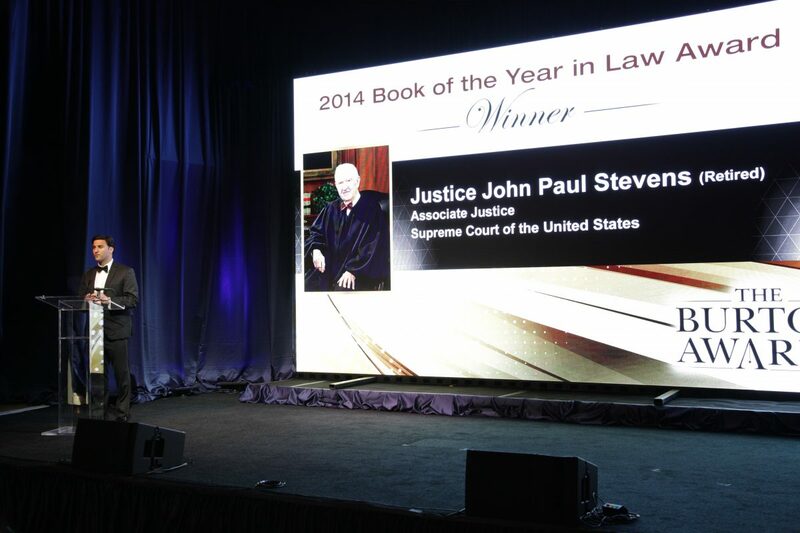 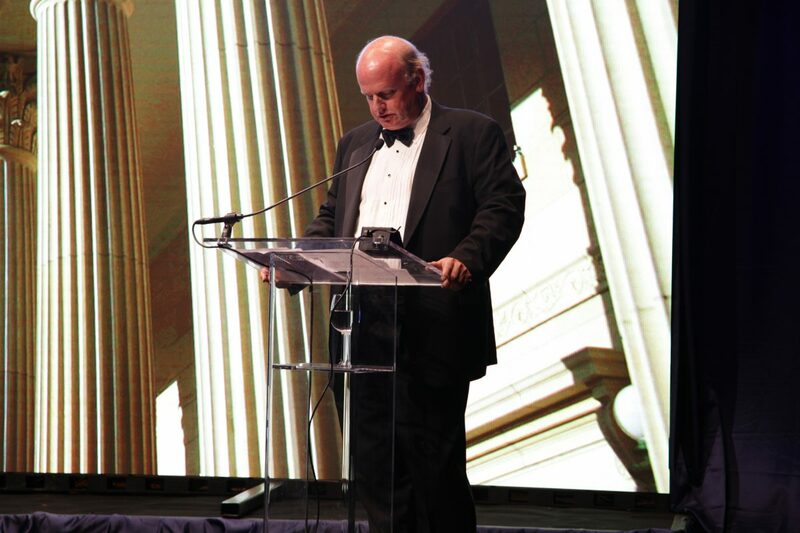 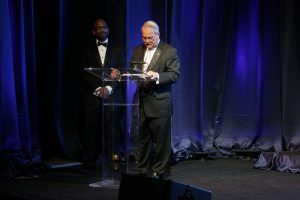 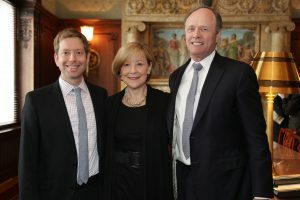 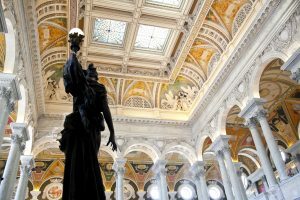 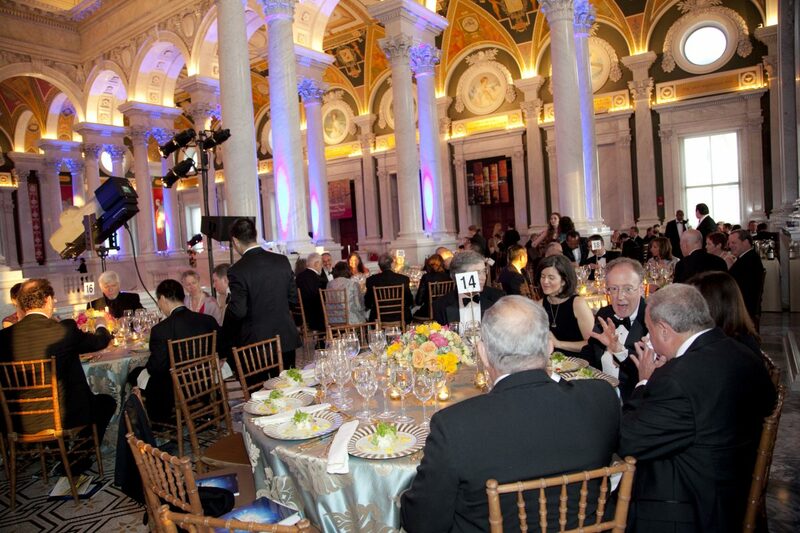 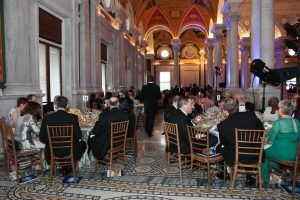 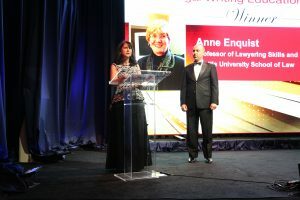 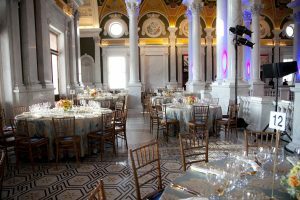 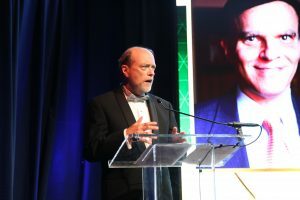 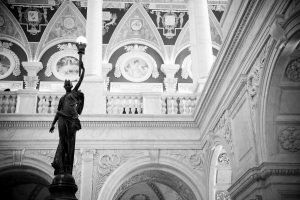 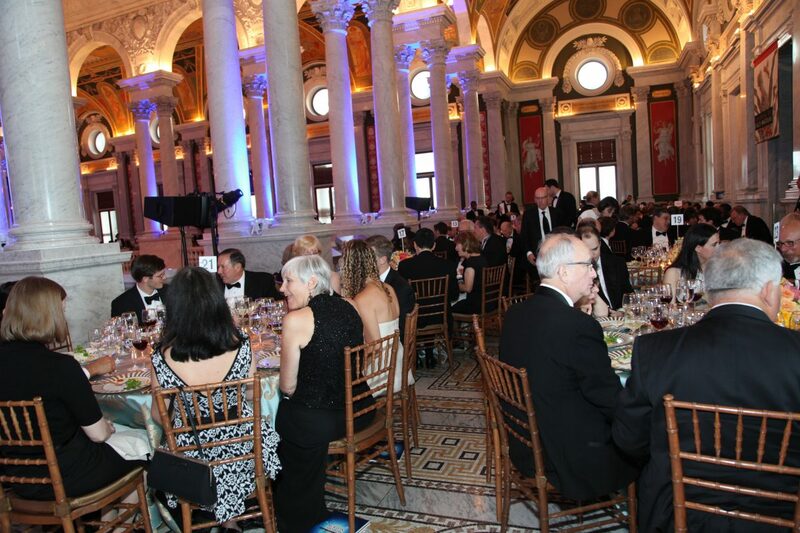 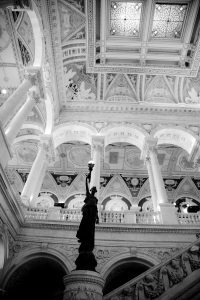 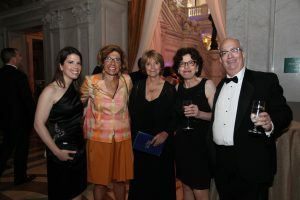 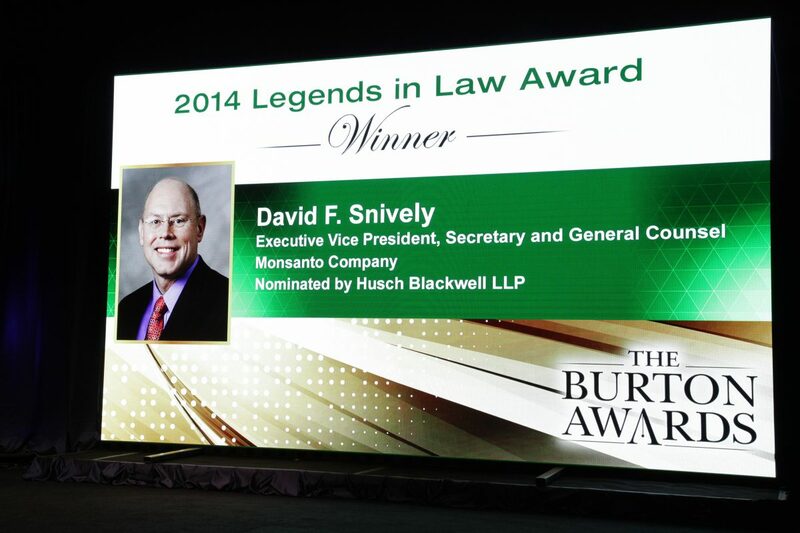 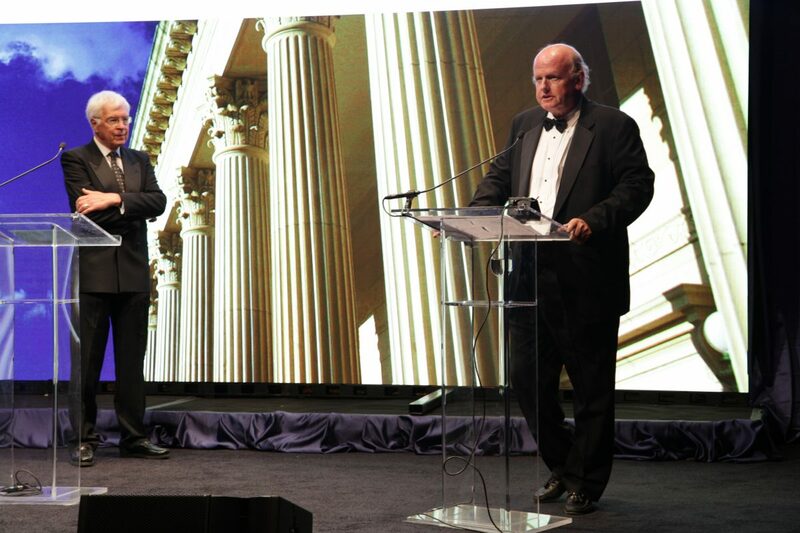 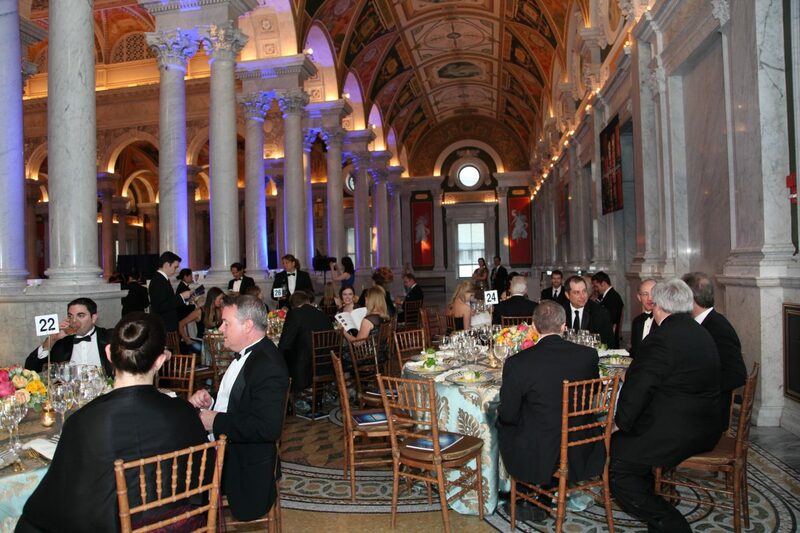 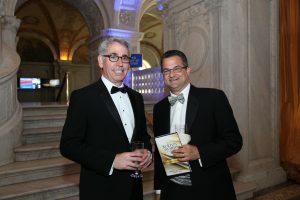 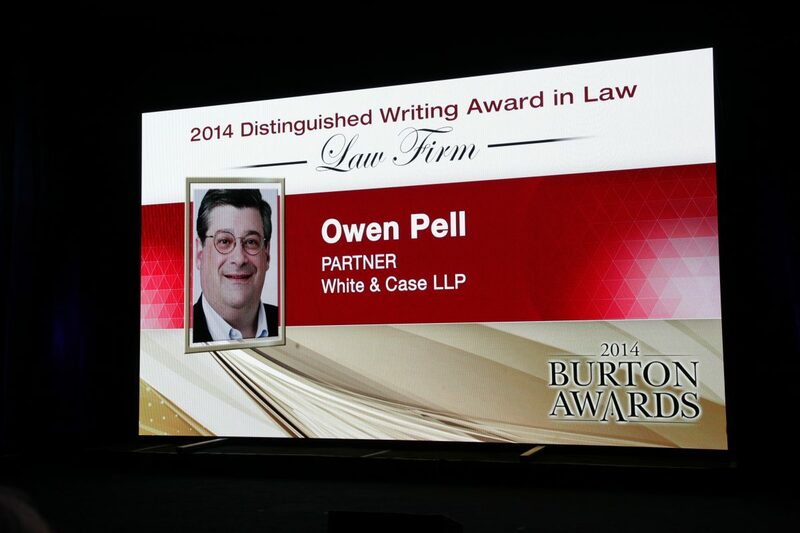 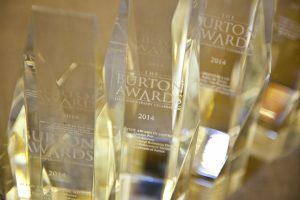 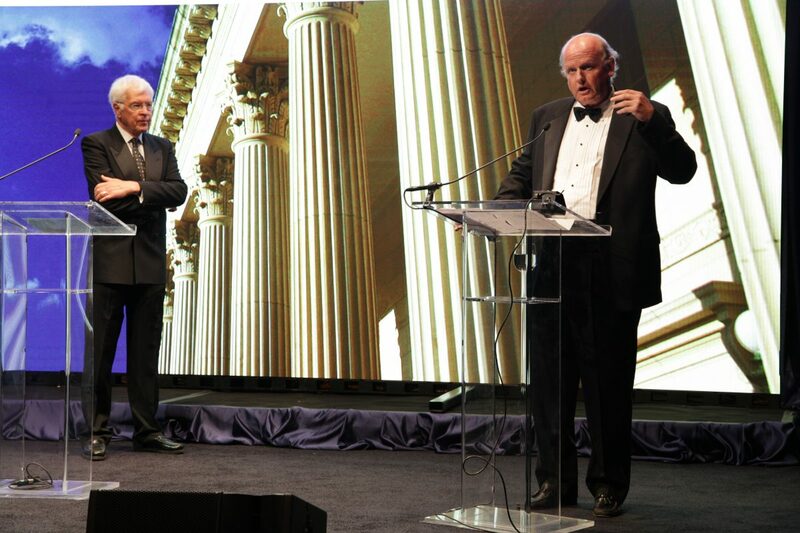 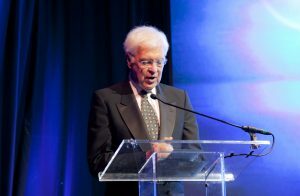 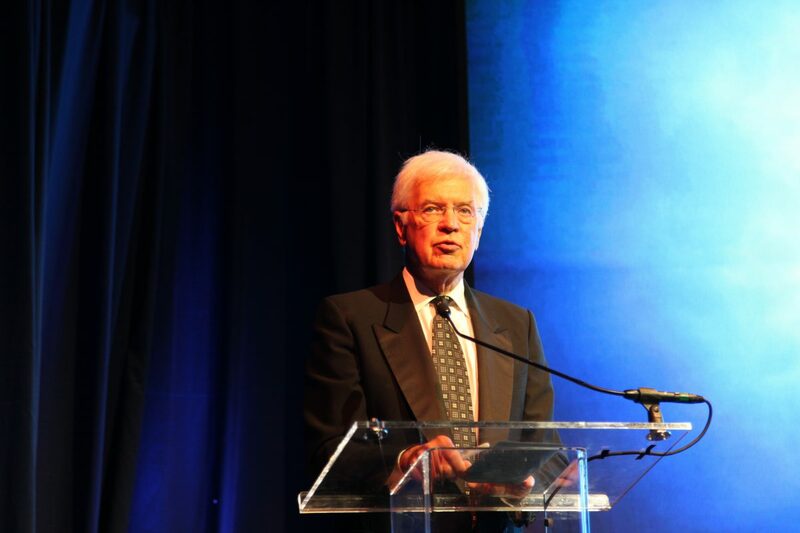 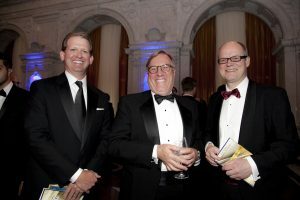 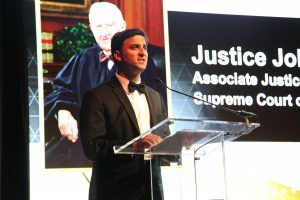 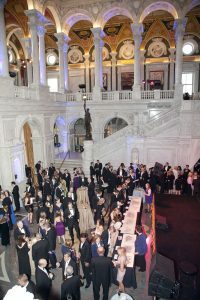 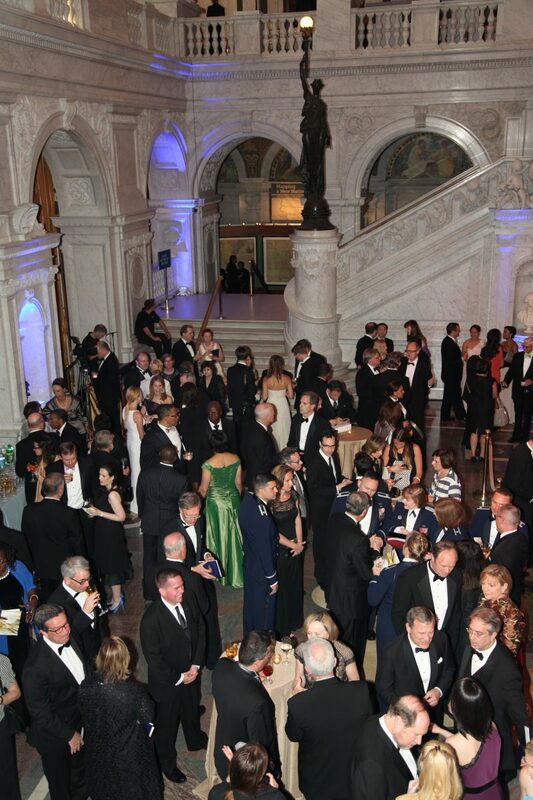 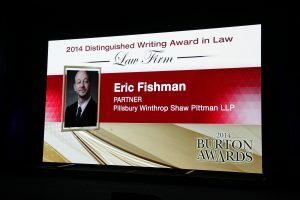 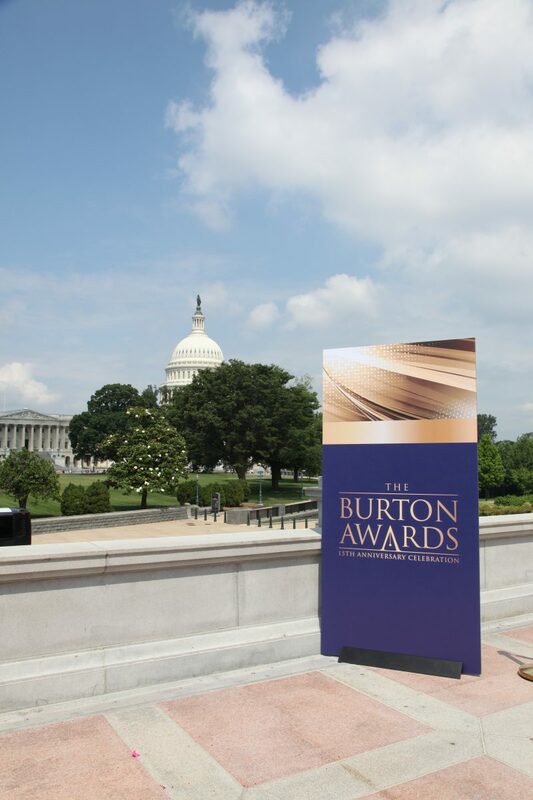 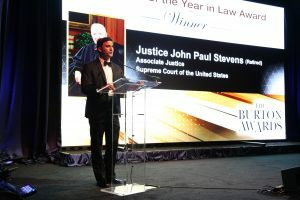 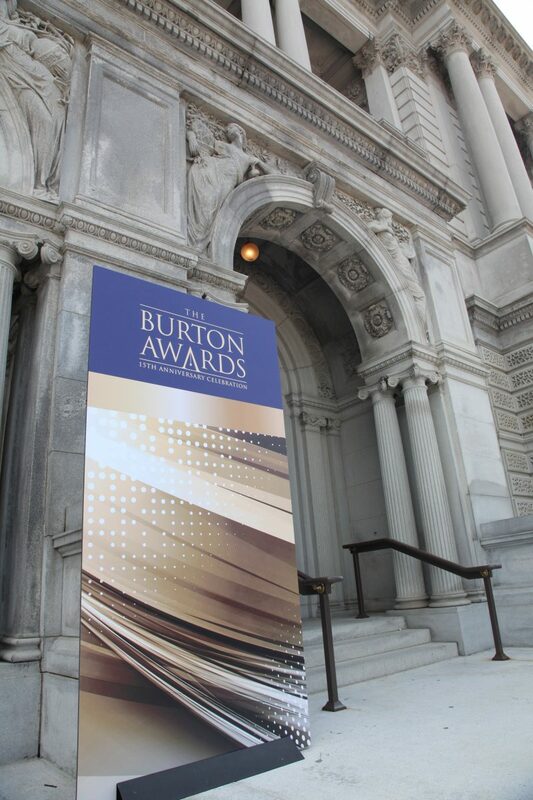 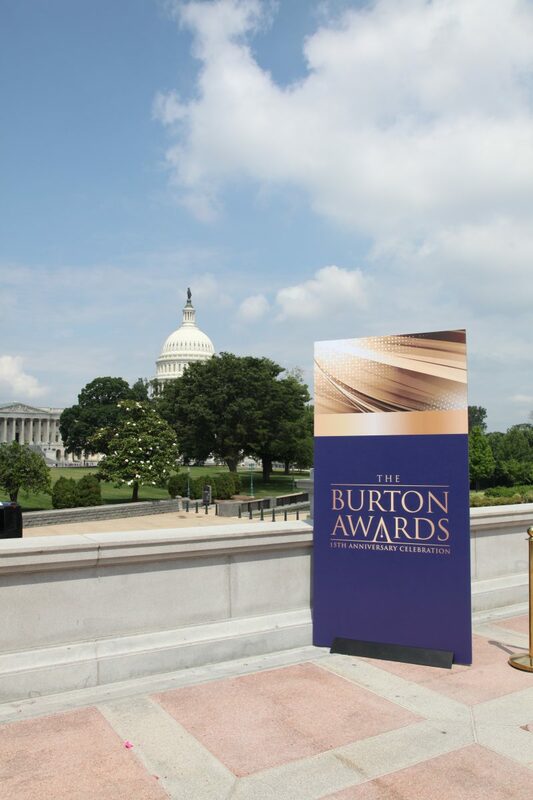 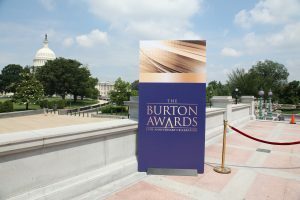 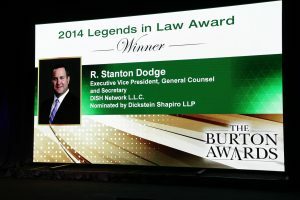 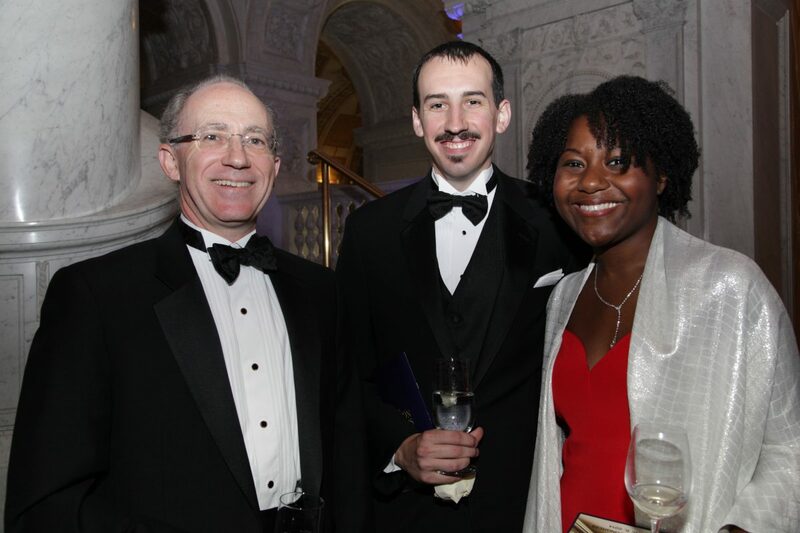 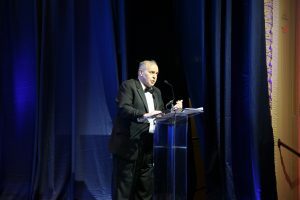 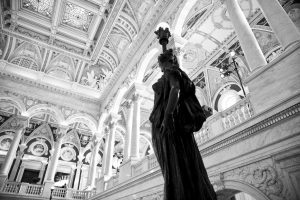 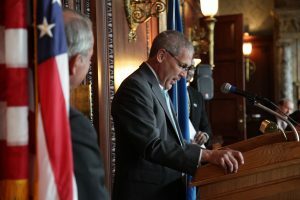 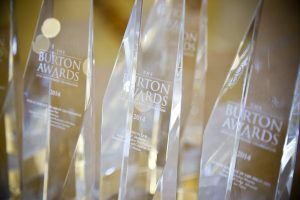 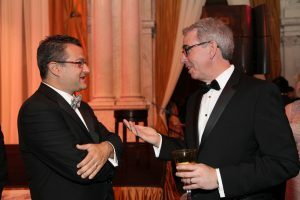 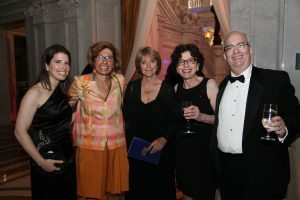 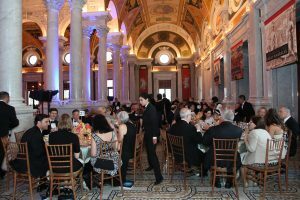 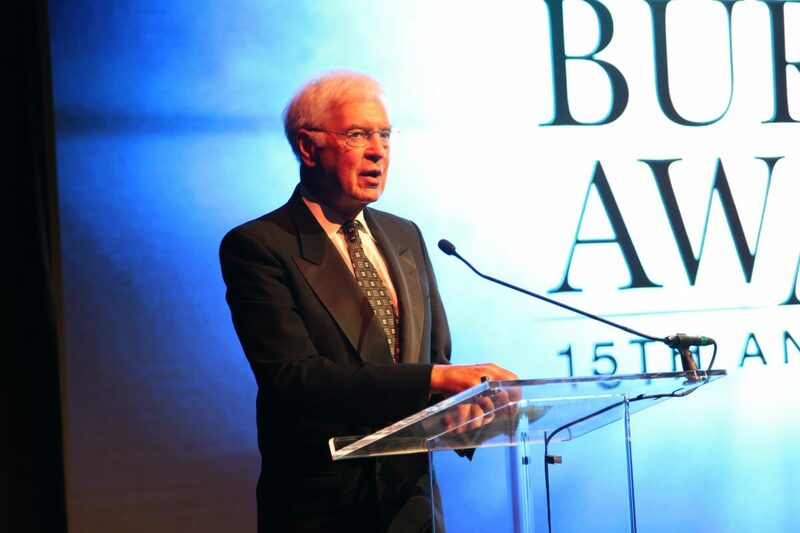 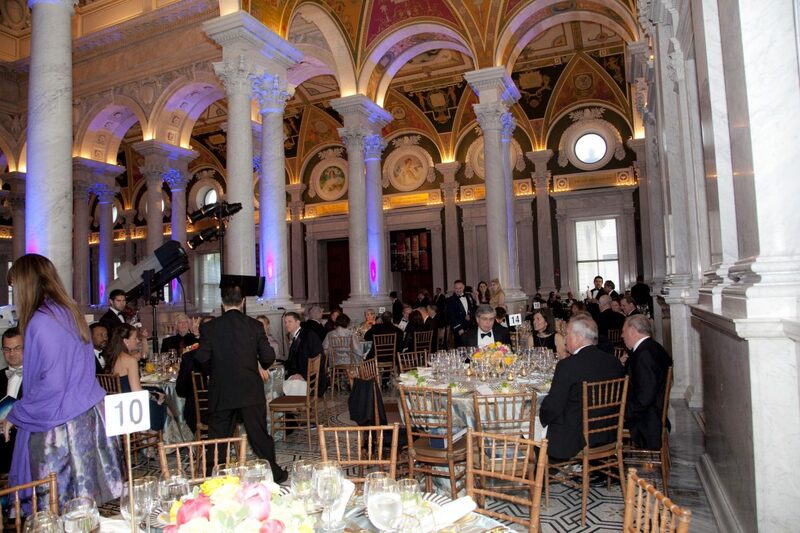 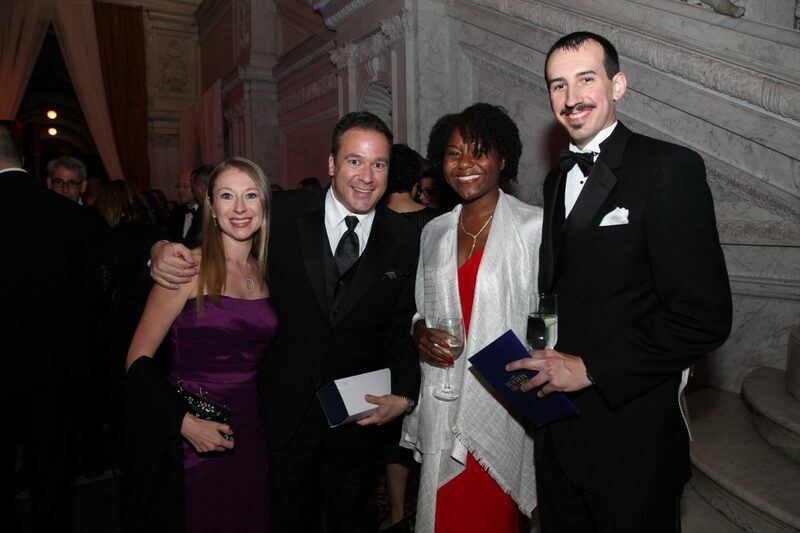 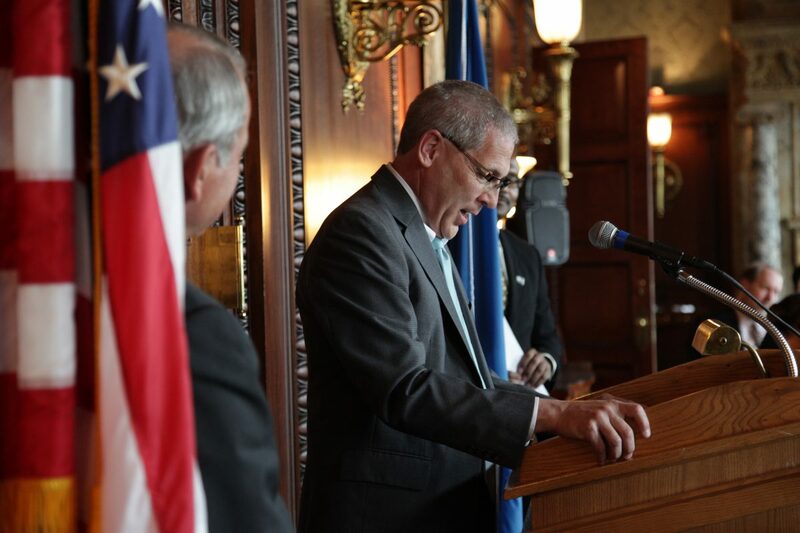 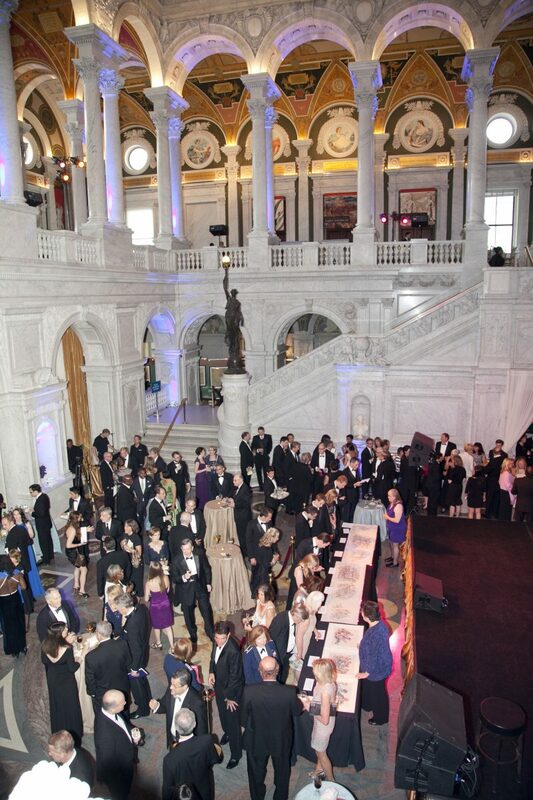 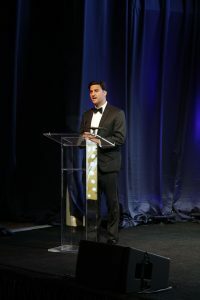 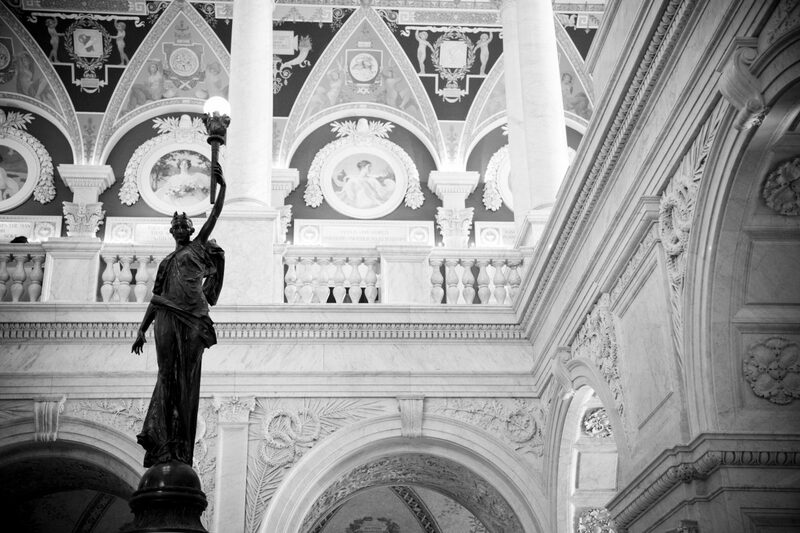 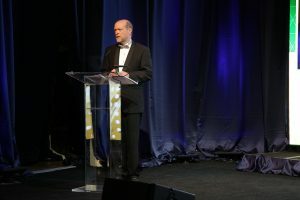 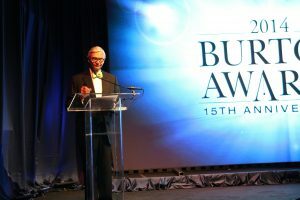 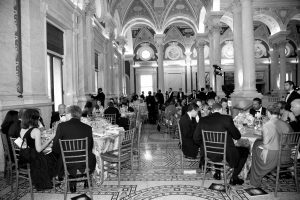 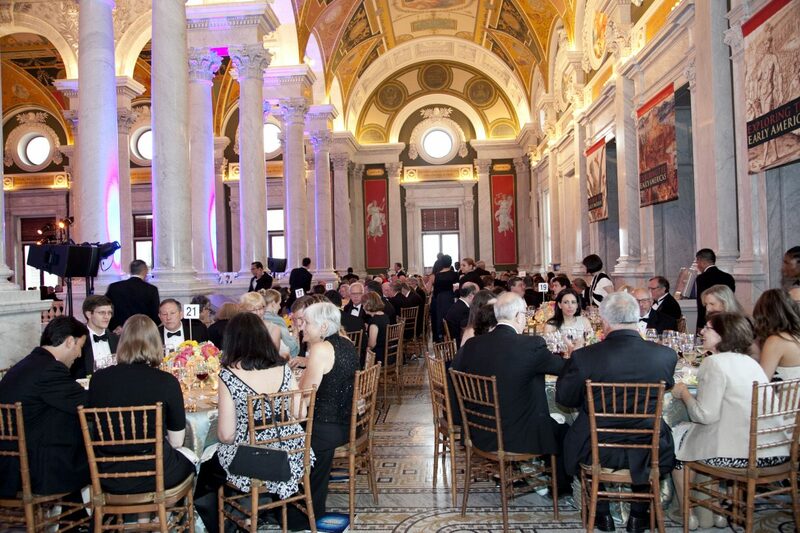 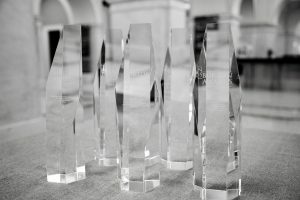 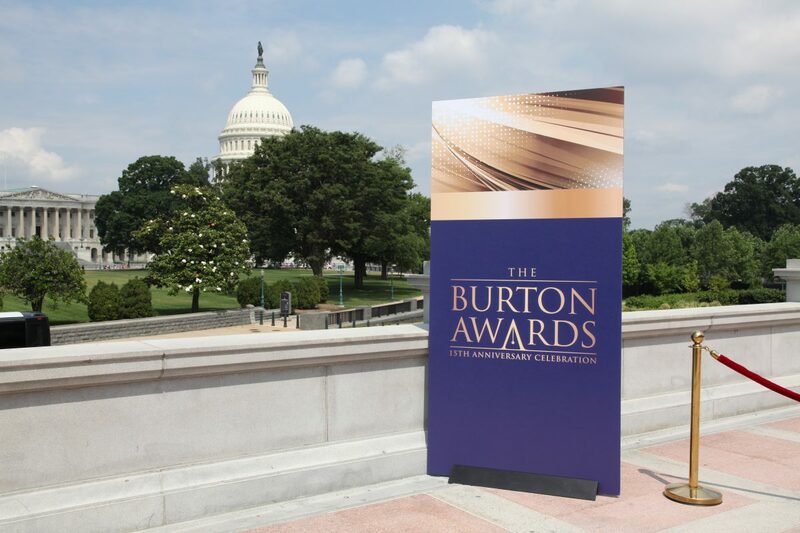 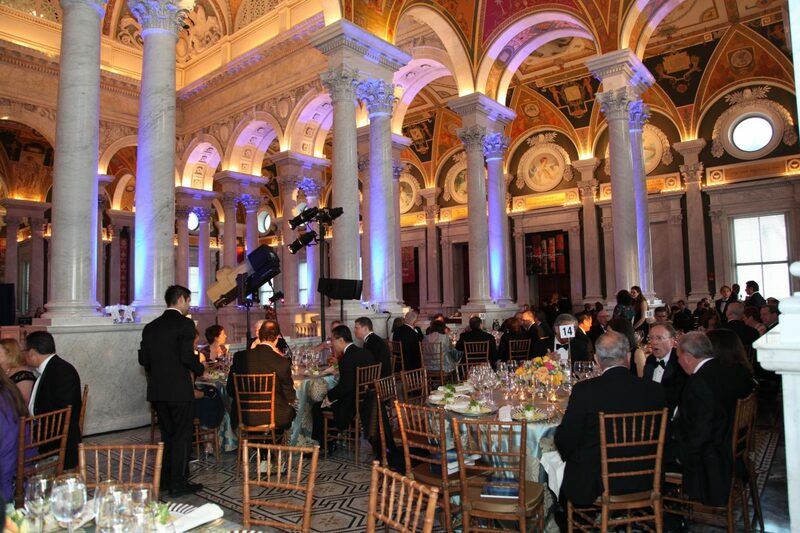 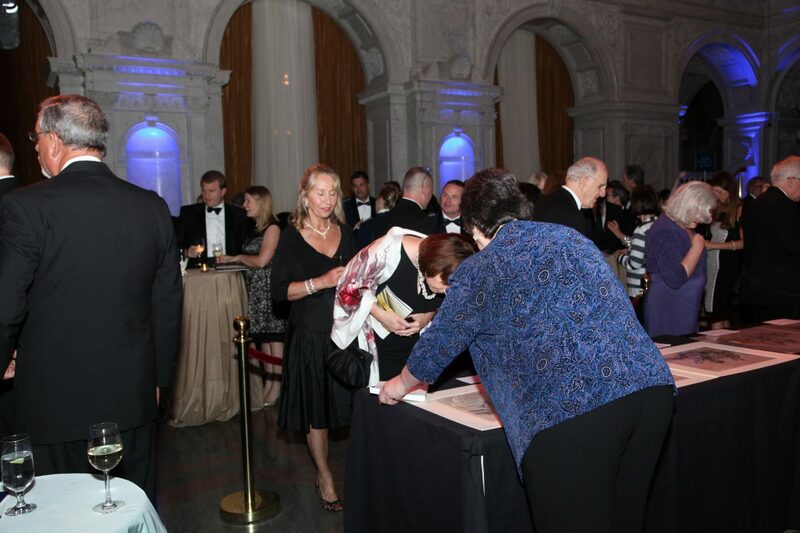 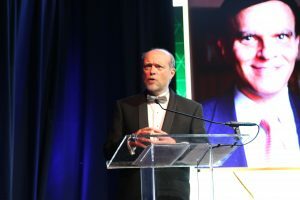 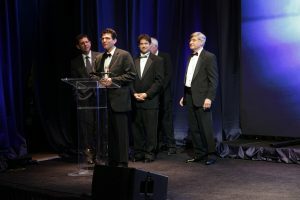 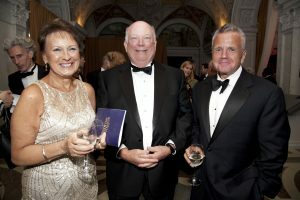 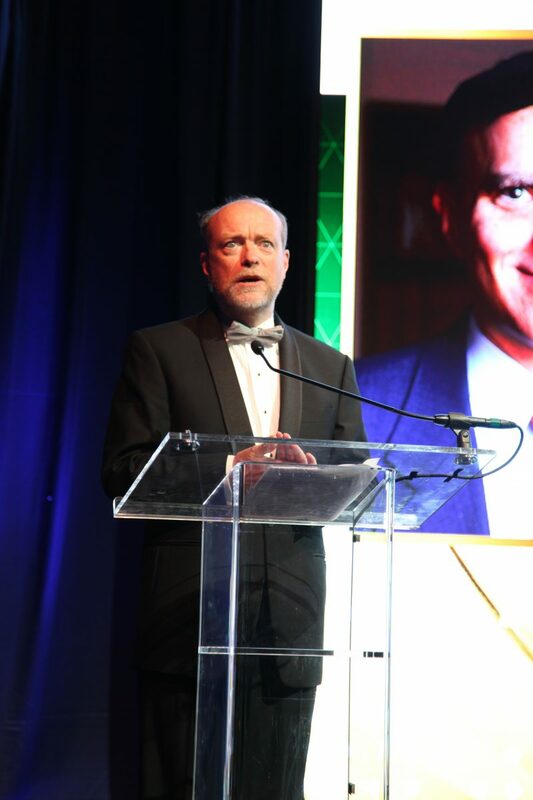 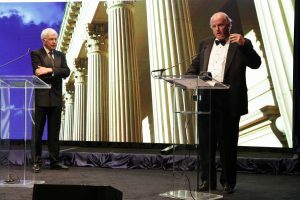 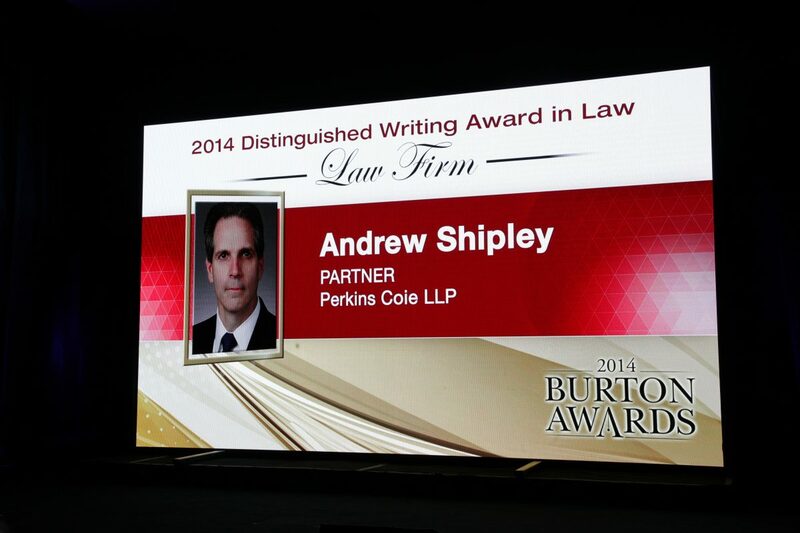 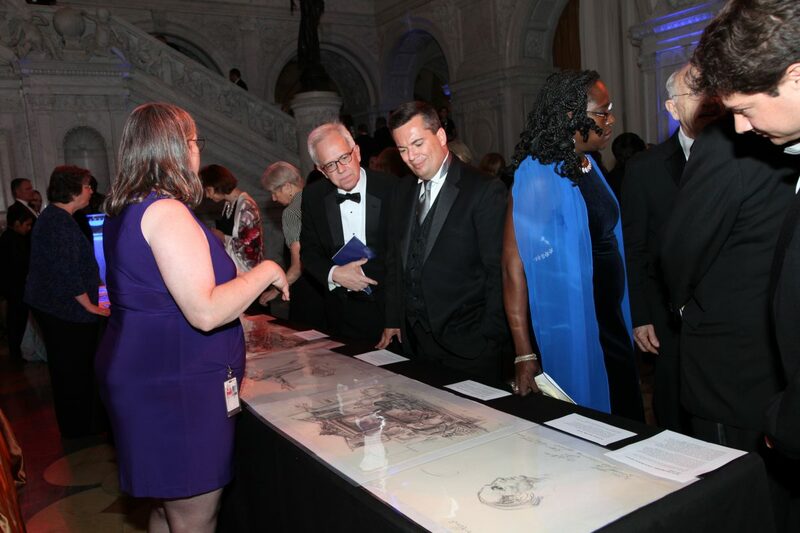 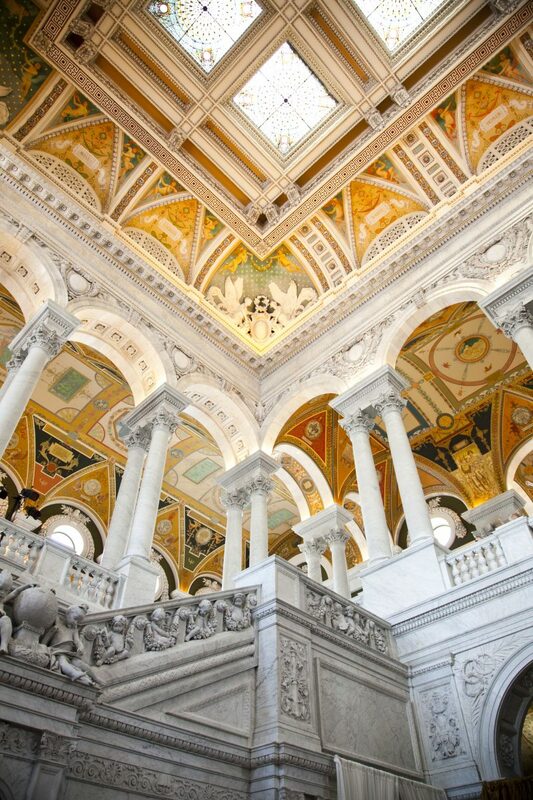 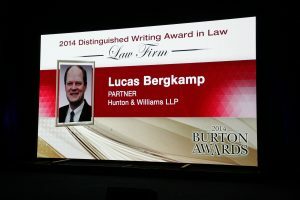 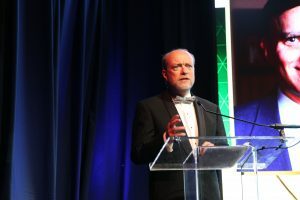 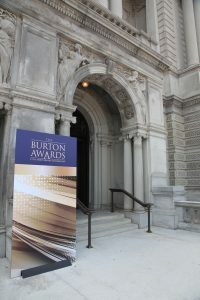 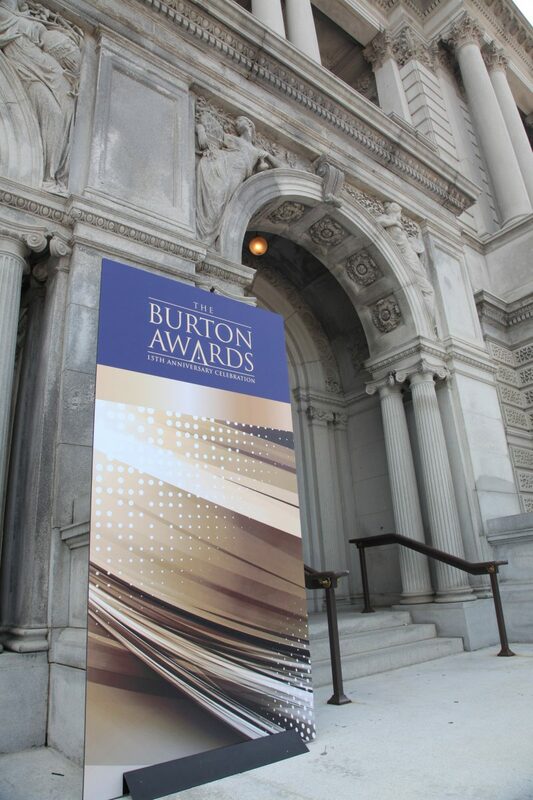 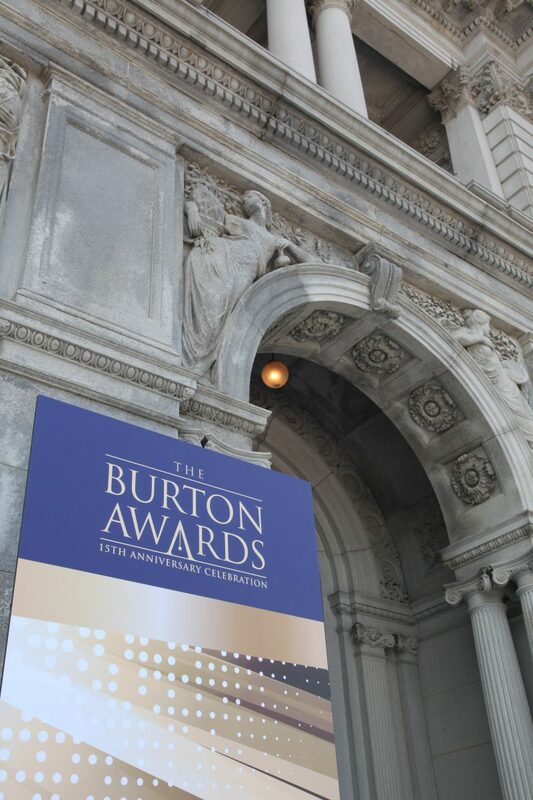 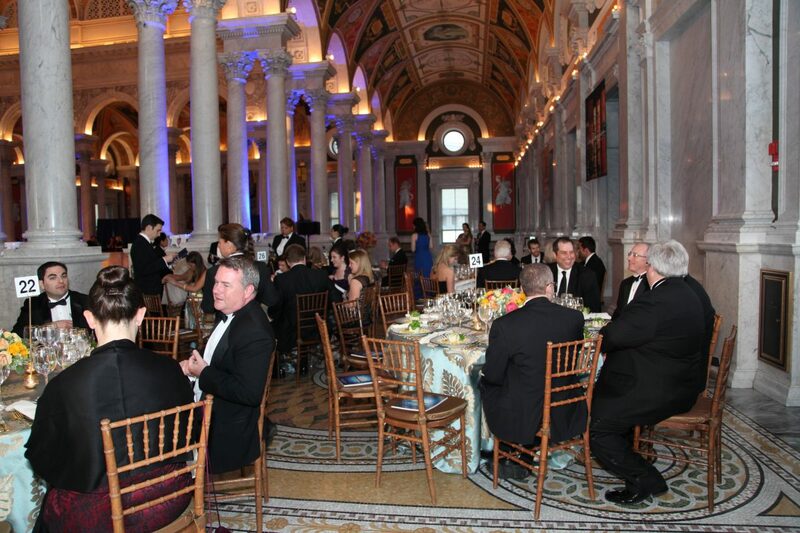 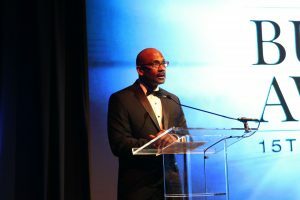 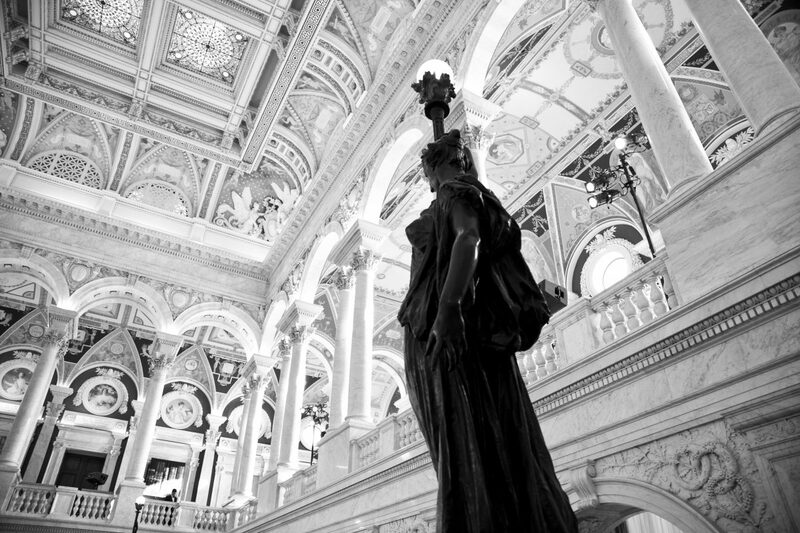 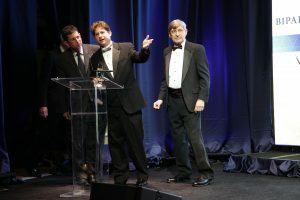 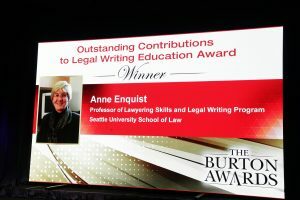 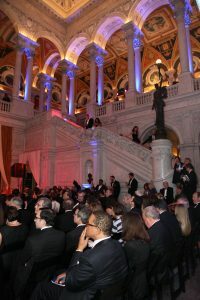 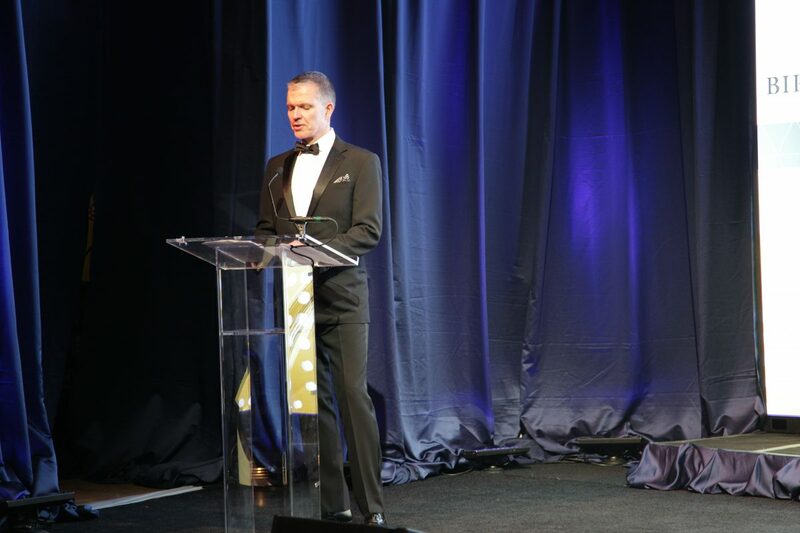 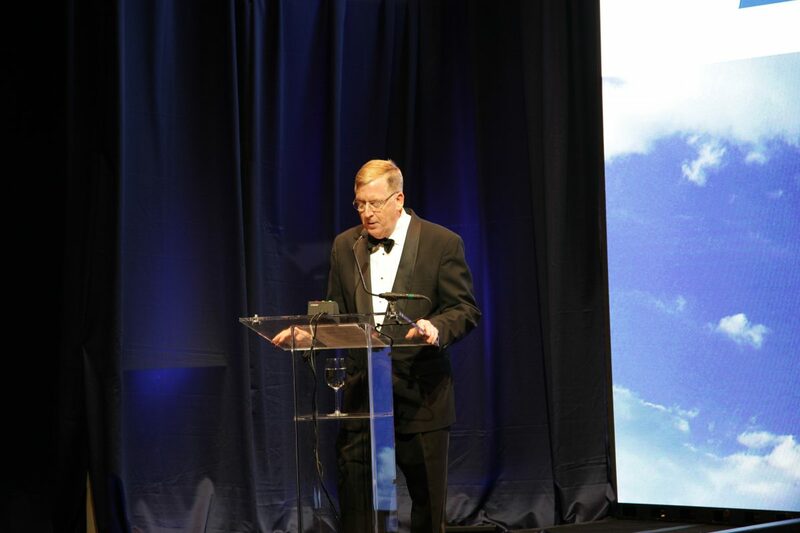 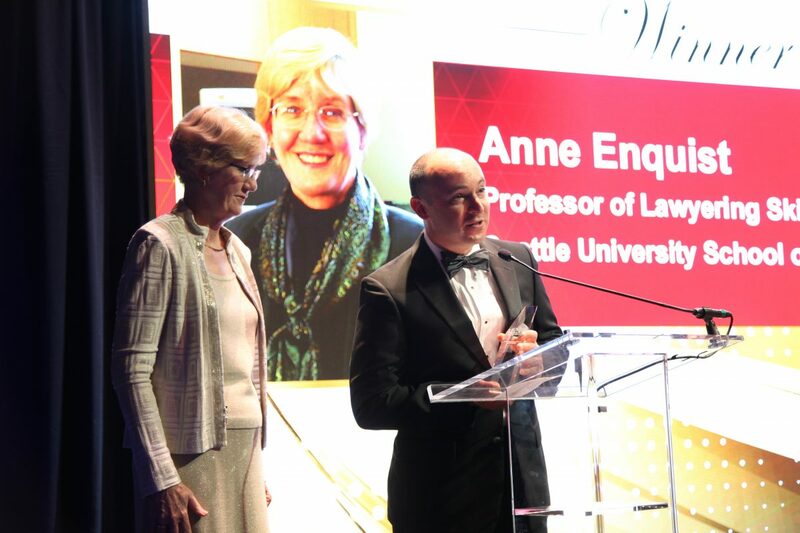 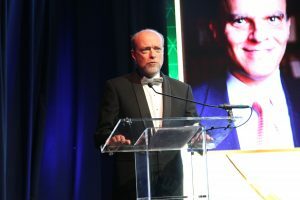 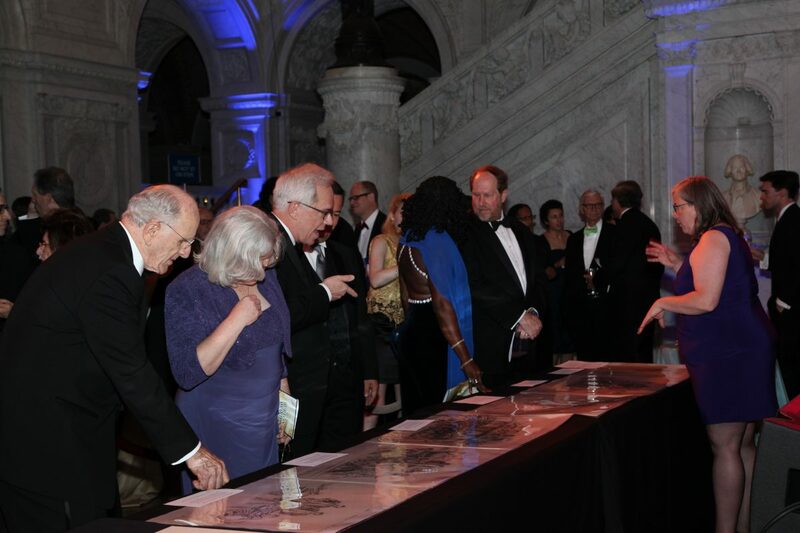 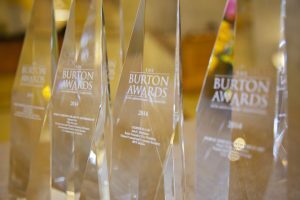 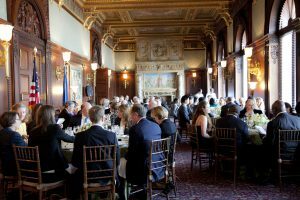 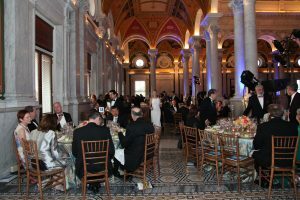 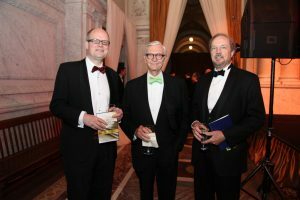 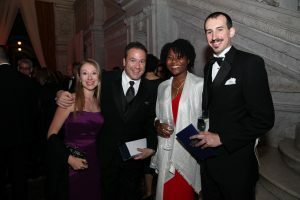 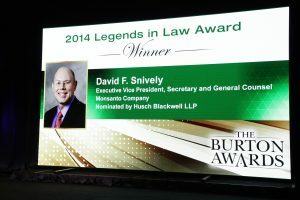 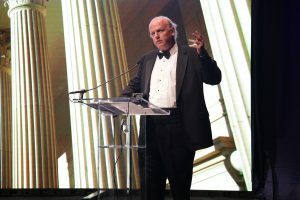 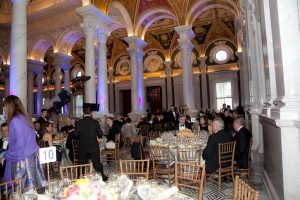 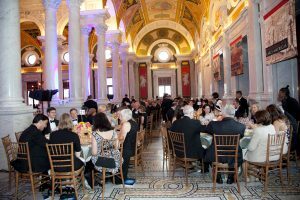 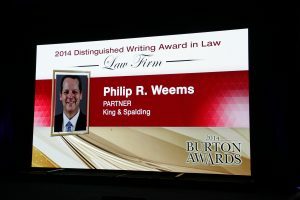 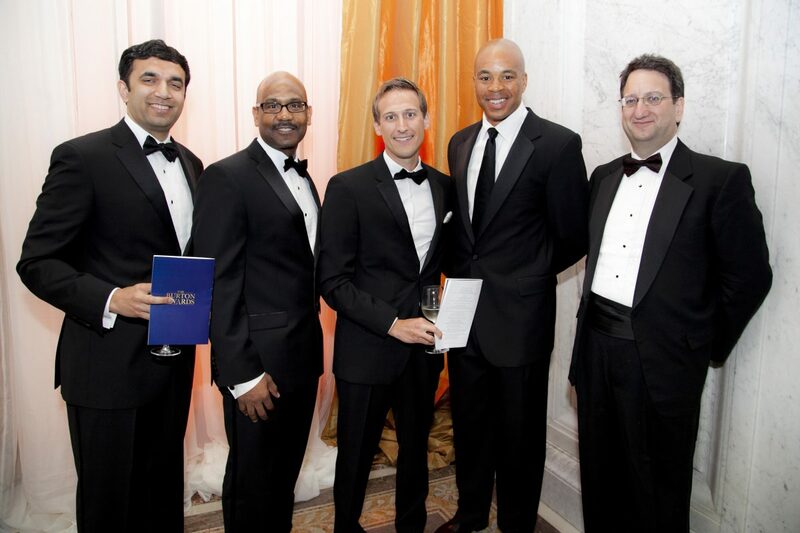 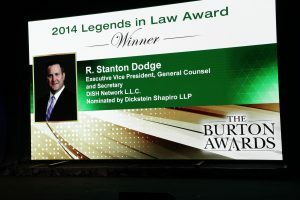 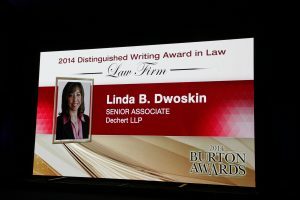 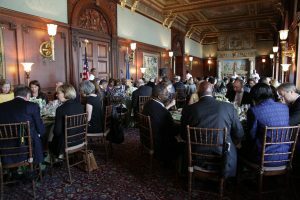 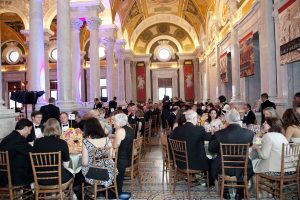 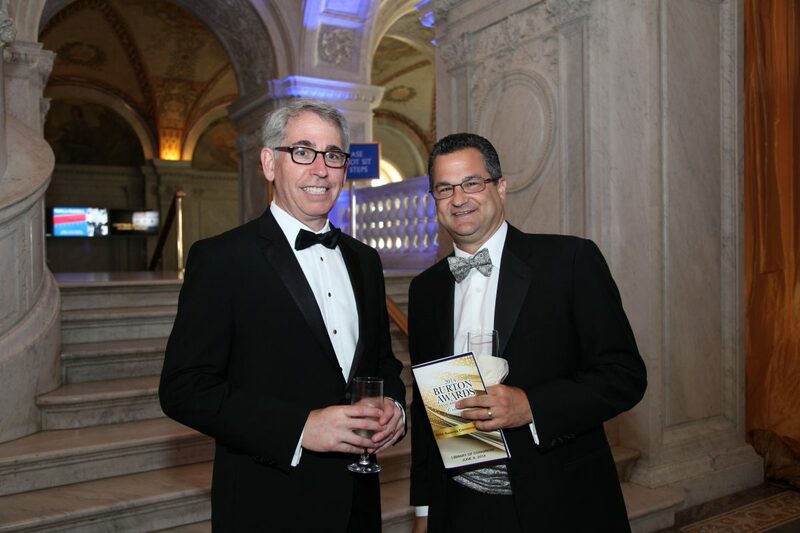 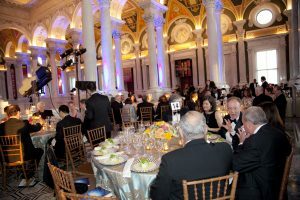 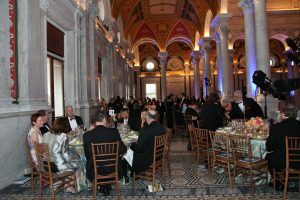 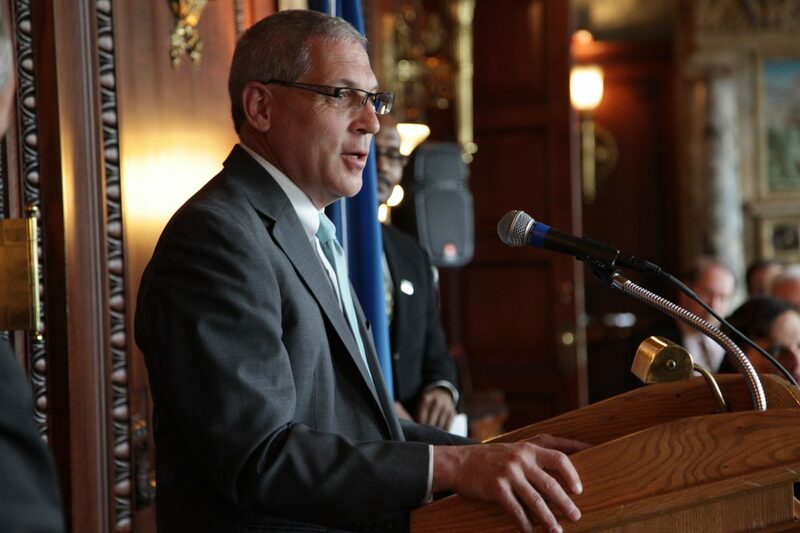 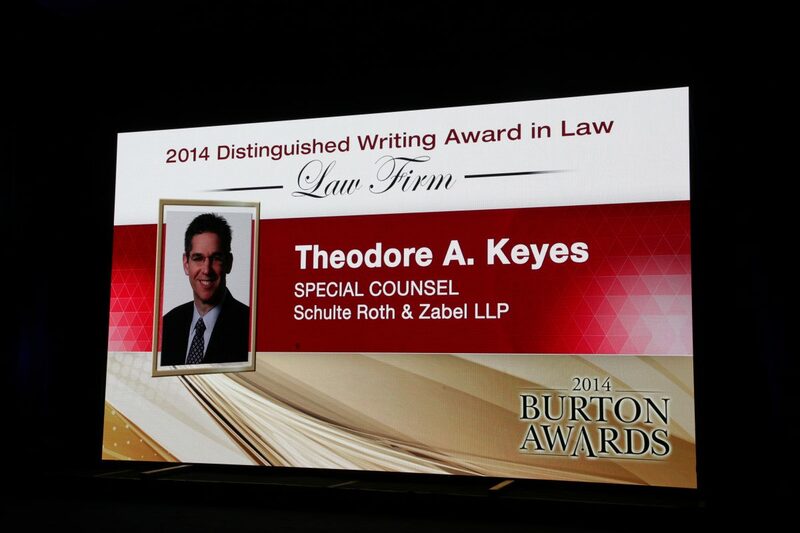 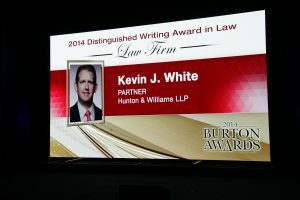 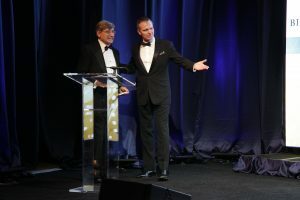 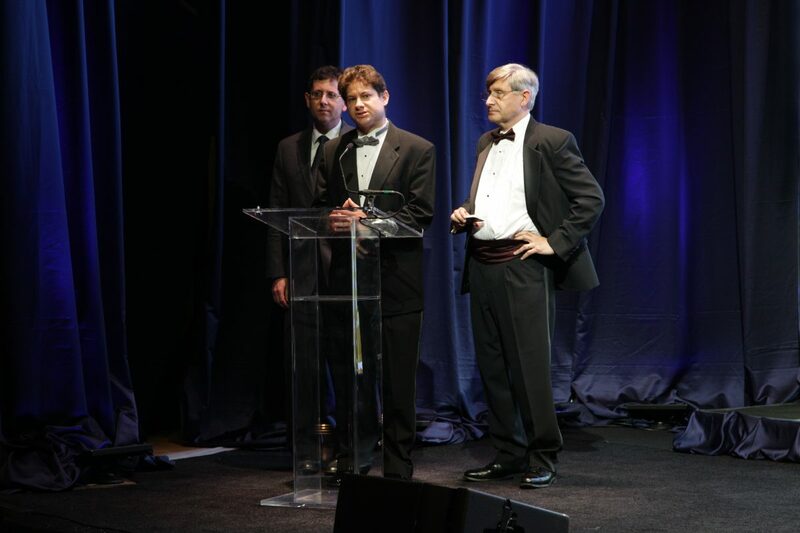 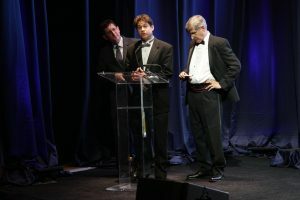 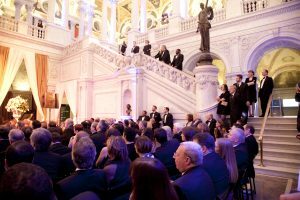 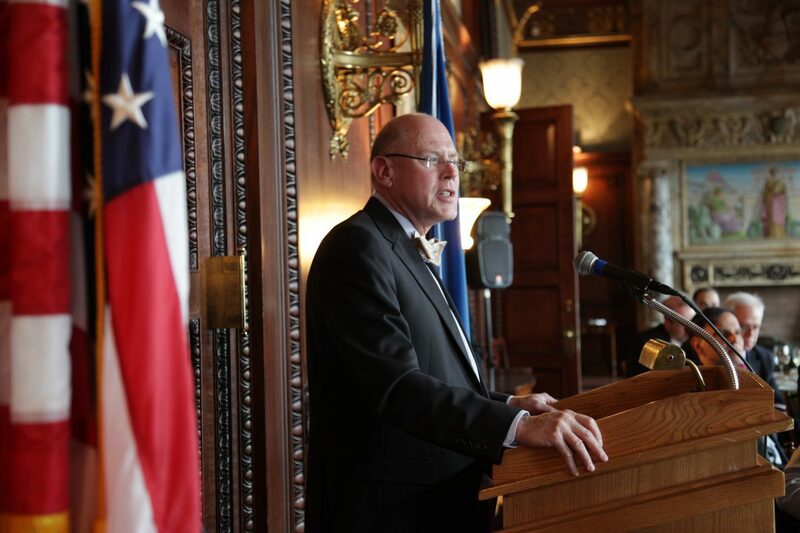 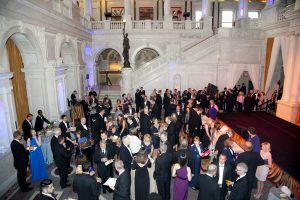 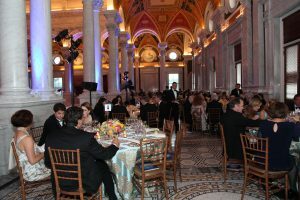 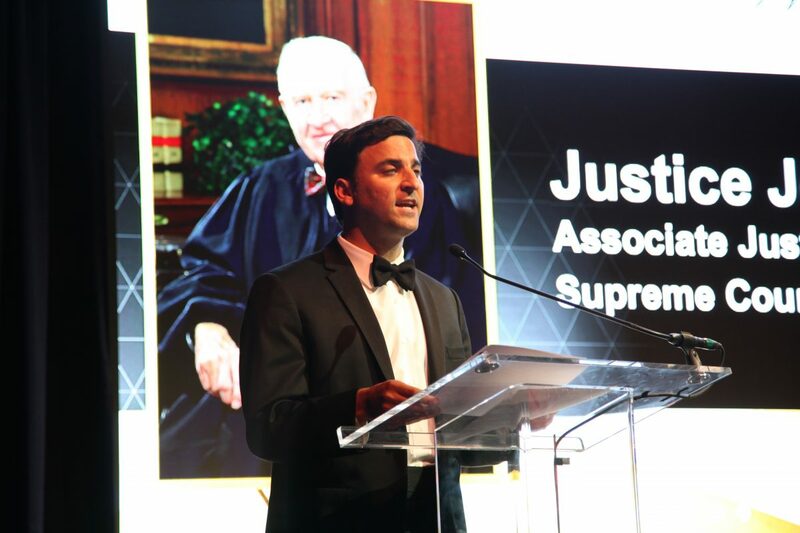 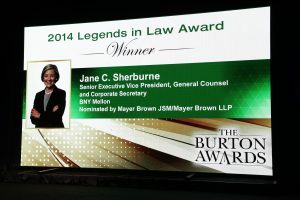 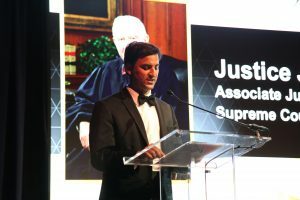 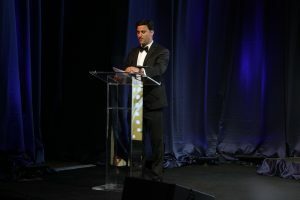 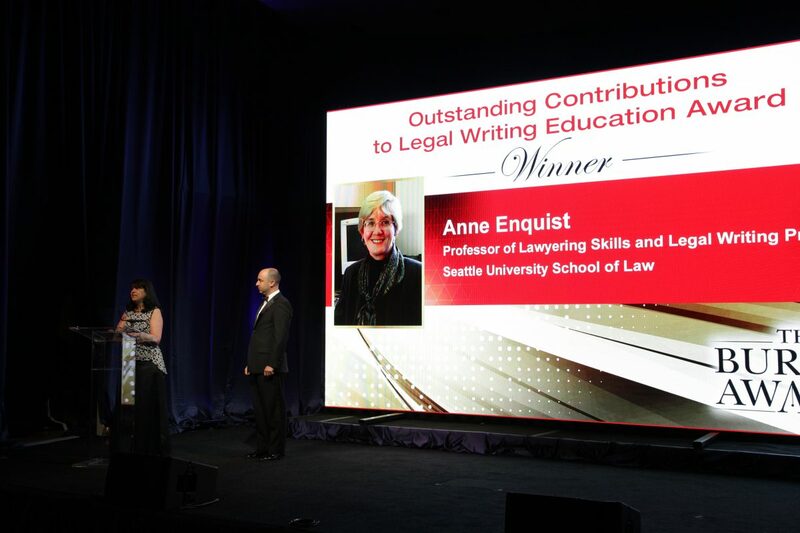 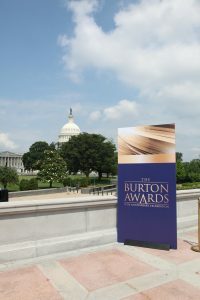 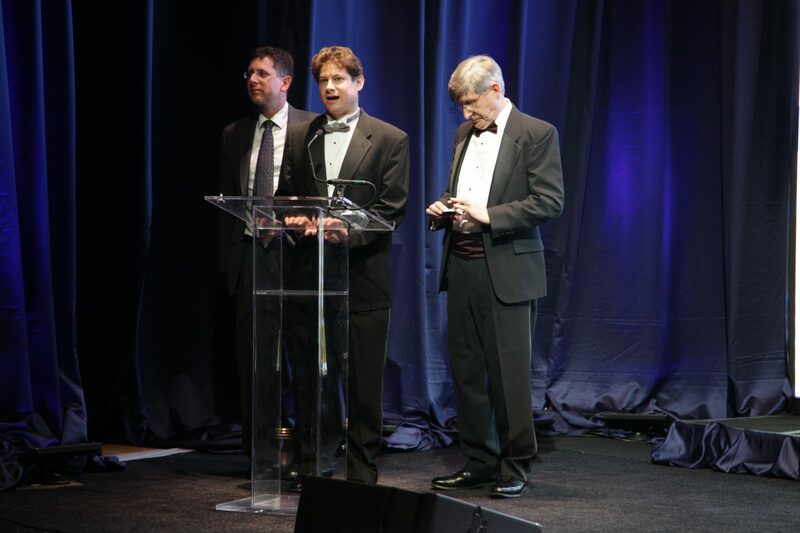 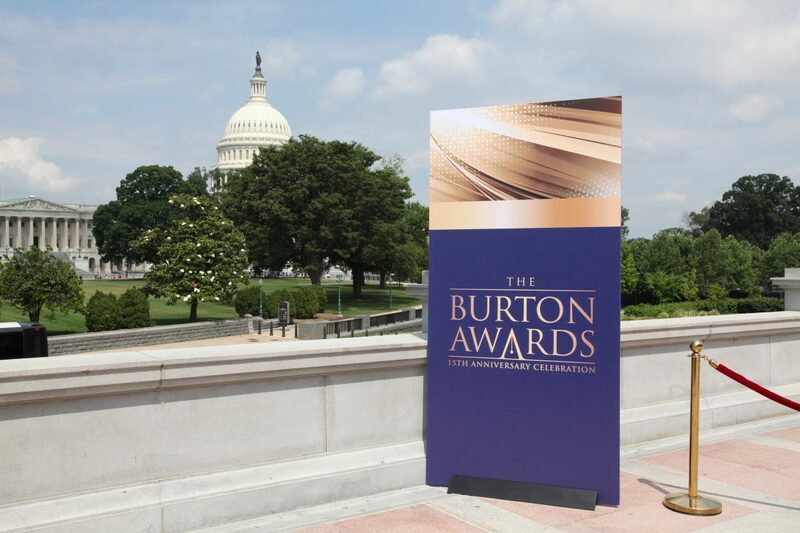 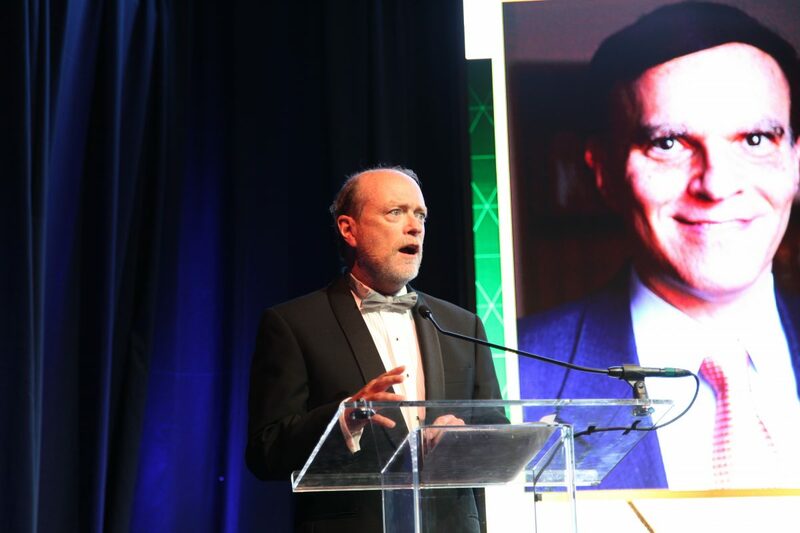 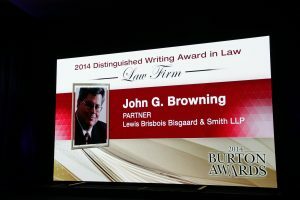 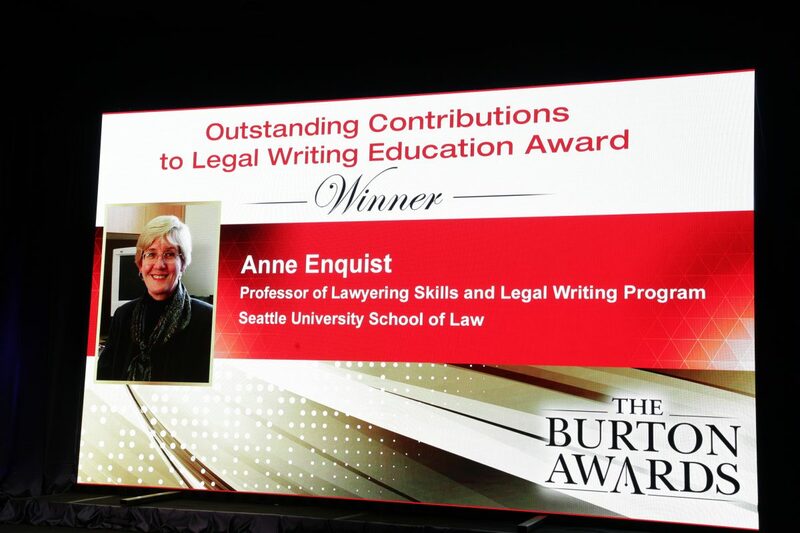 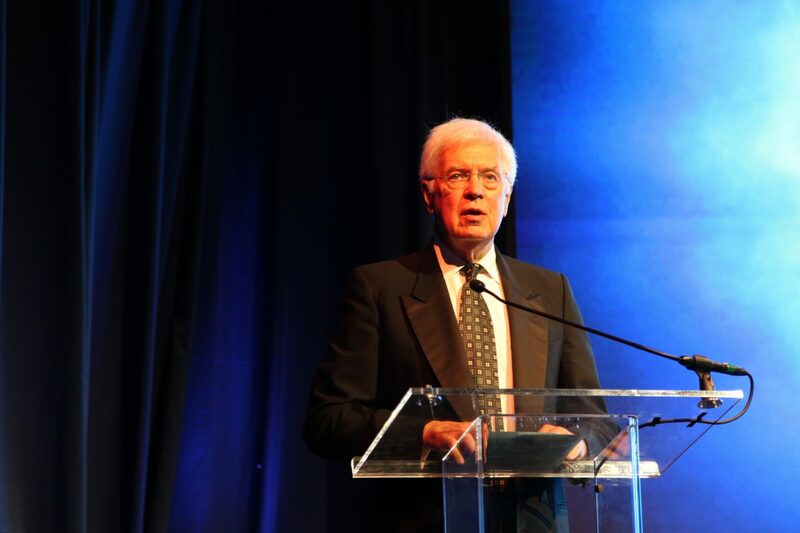 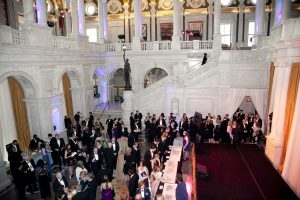 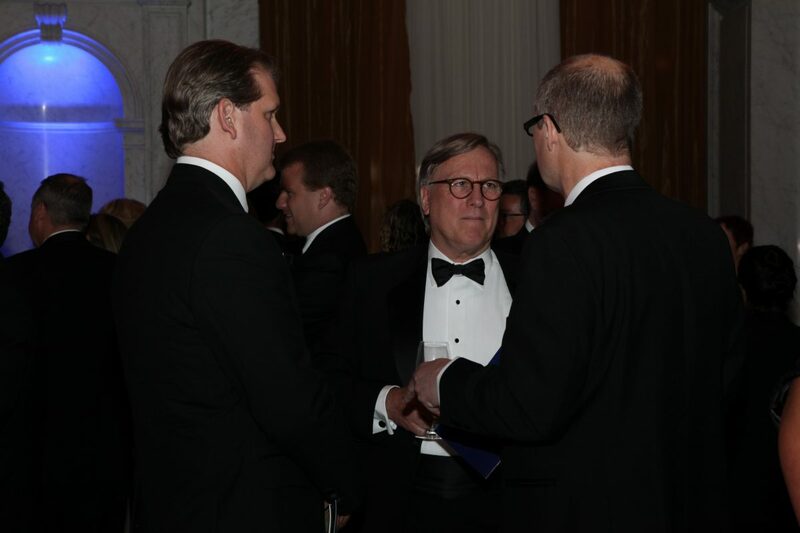 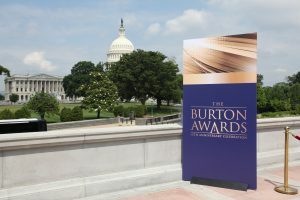 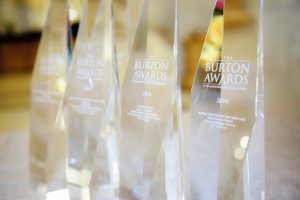 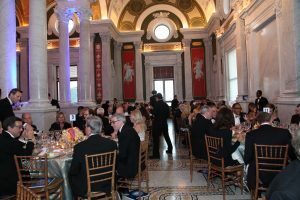 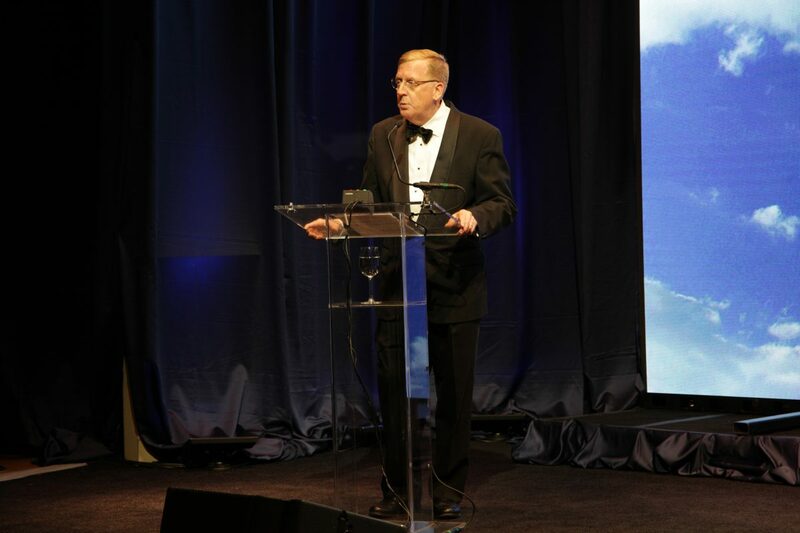 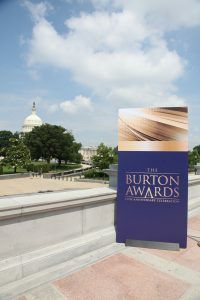 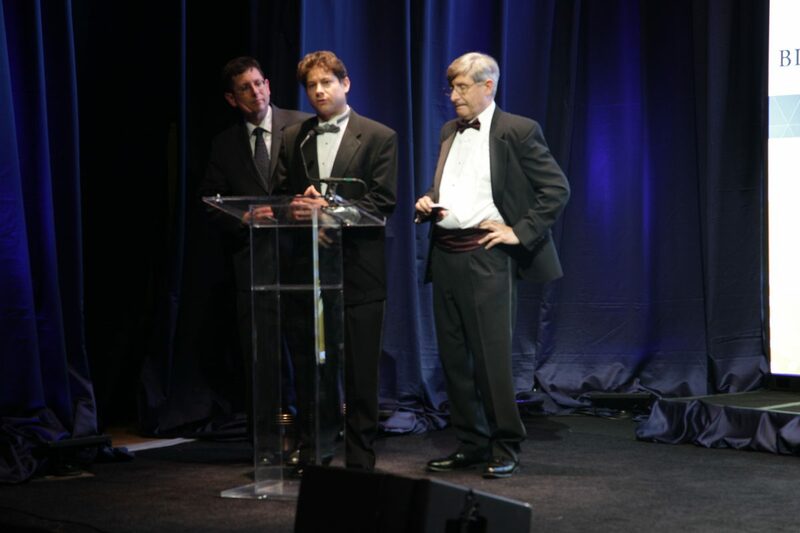 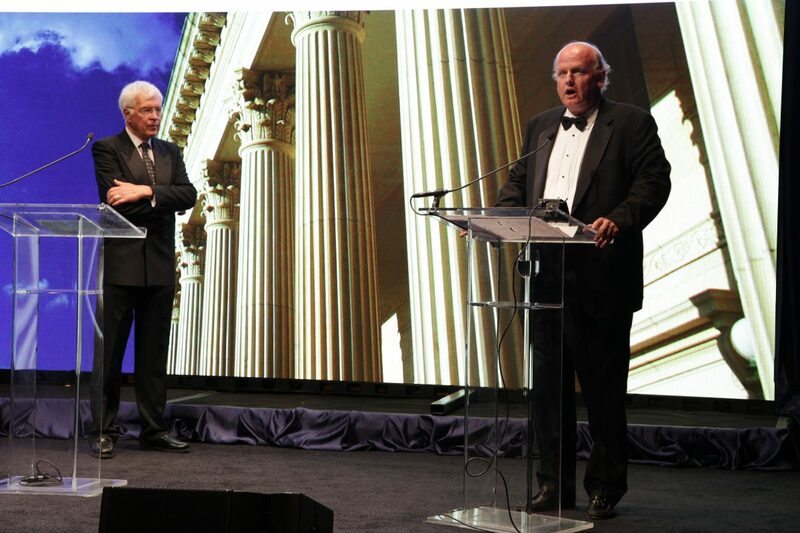 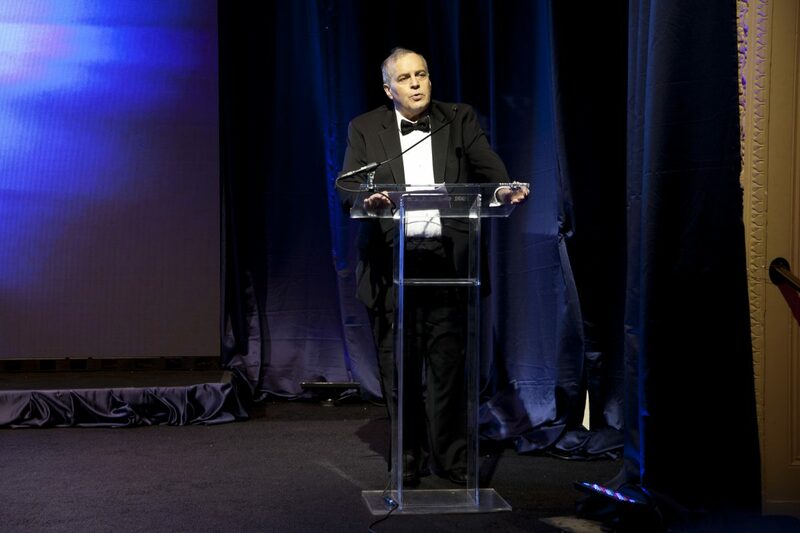 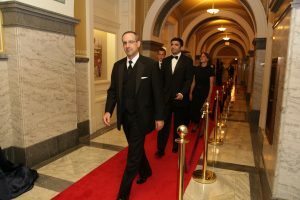 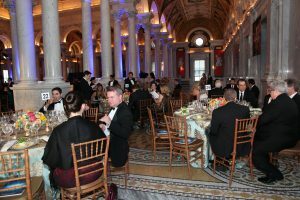 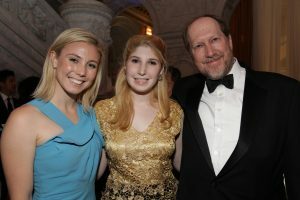 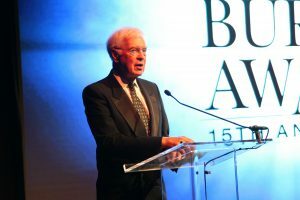 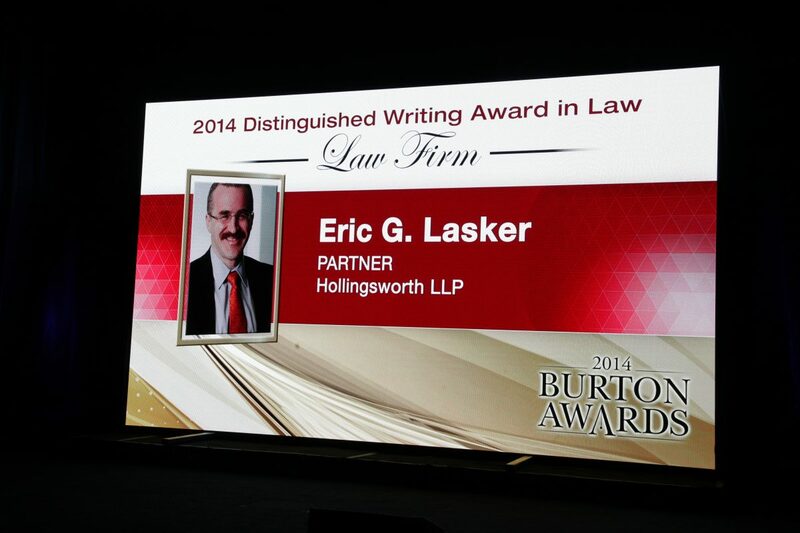 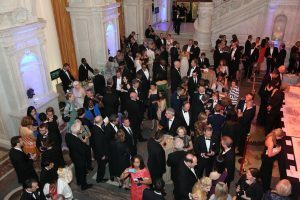 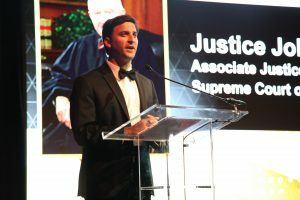 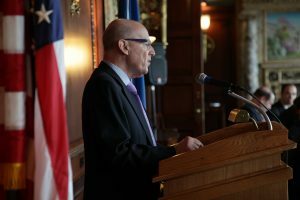 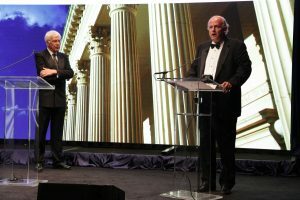 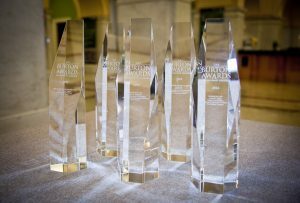 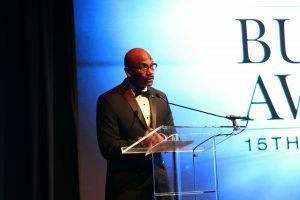 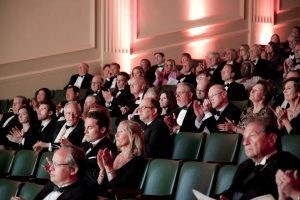 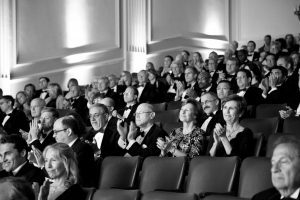 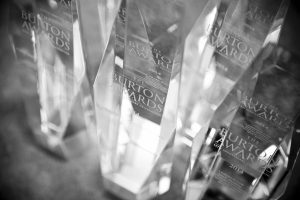 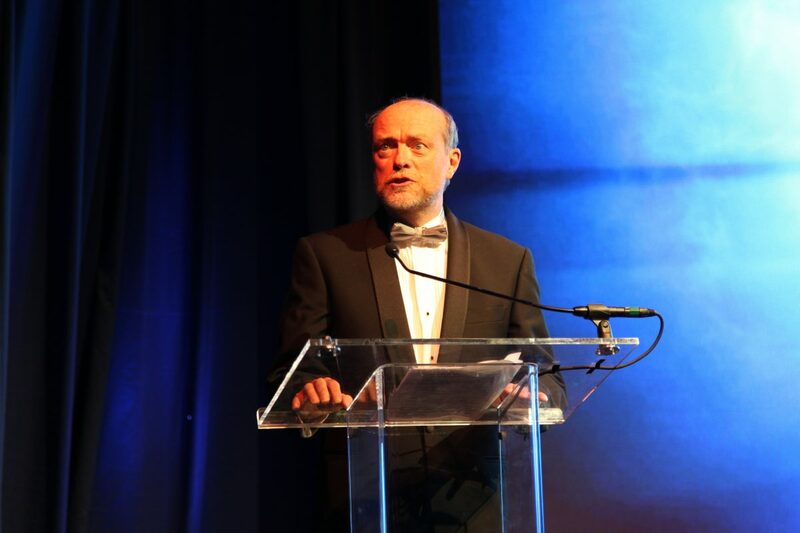 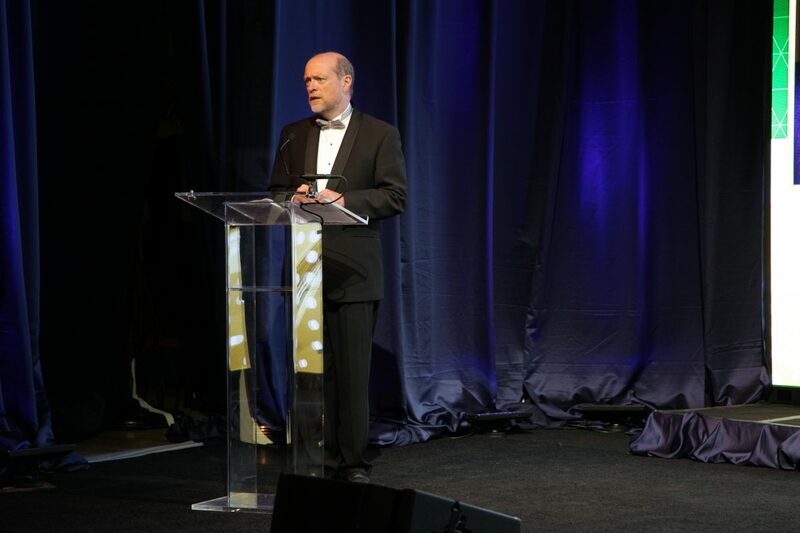 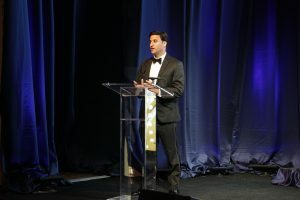 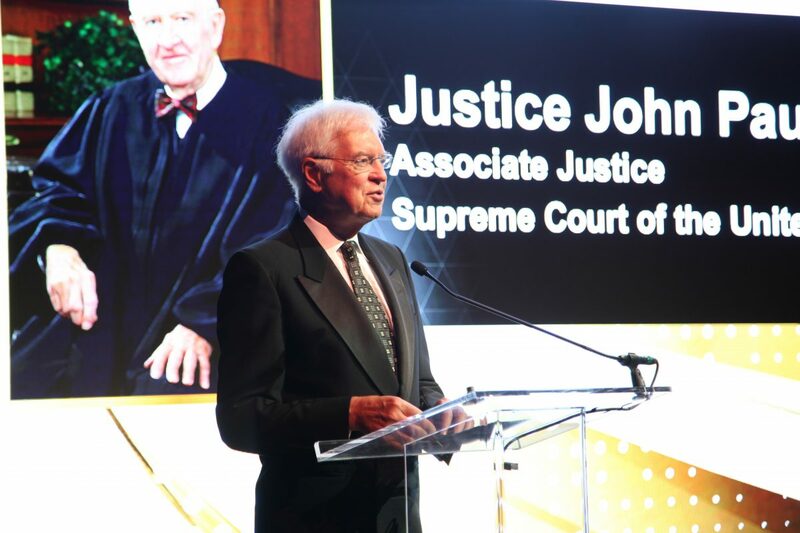 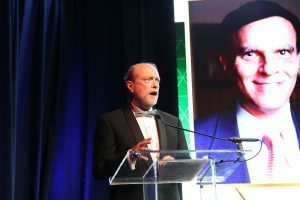 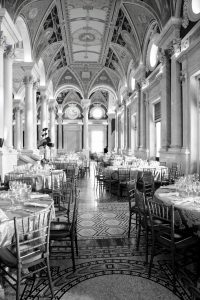 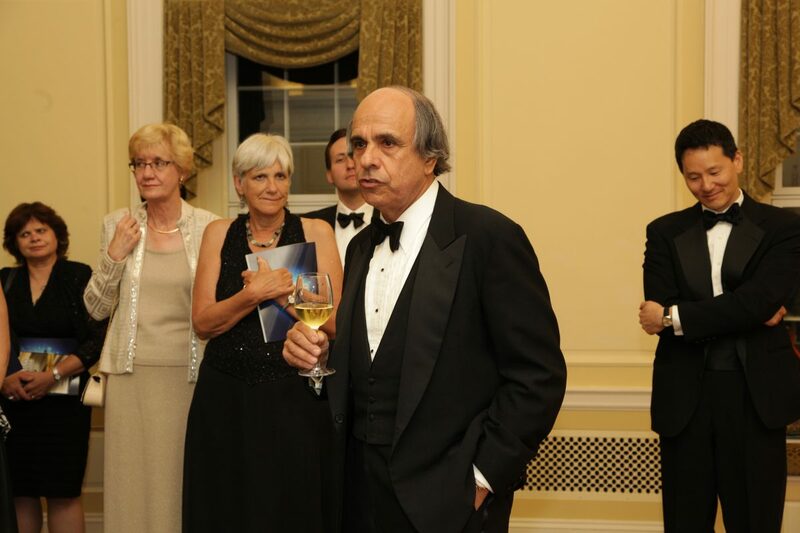 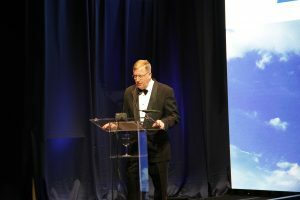 His book, “Six Amendments: How and Why We Should Change the Constitution,” was named “Book of the Year in Law.” Tom Sager, then General Counsel of DuPont, and Les Parrette, General Counsel of Novelis, Co-Chairs of the Legends Committee, announced their winners. 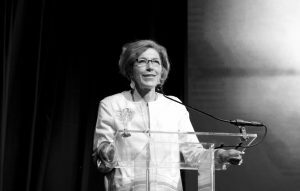 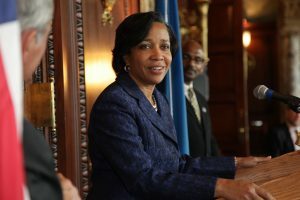 Jane Roberts was then introduced as the “First Lady in Law.” She served as Managing Director of Major, Lindsey & Africa and Chair of the Public Service & Public Interest Committee. 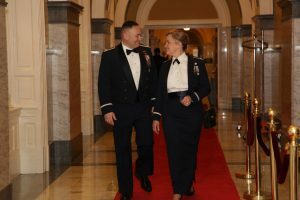 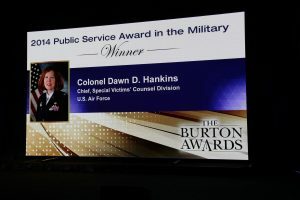 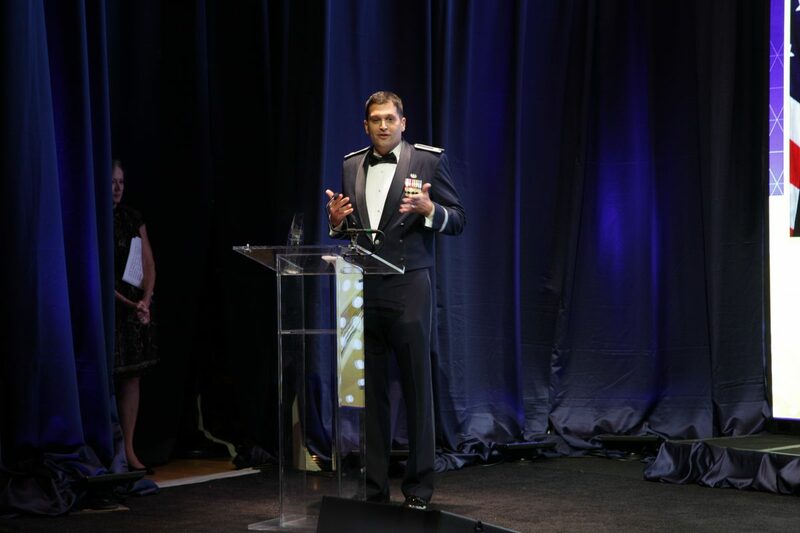 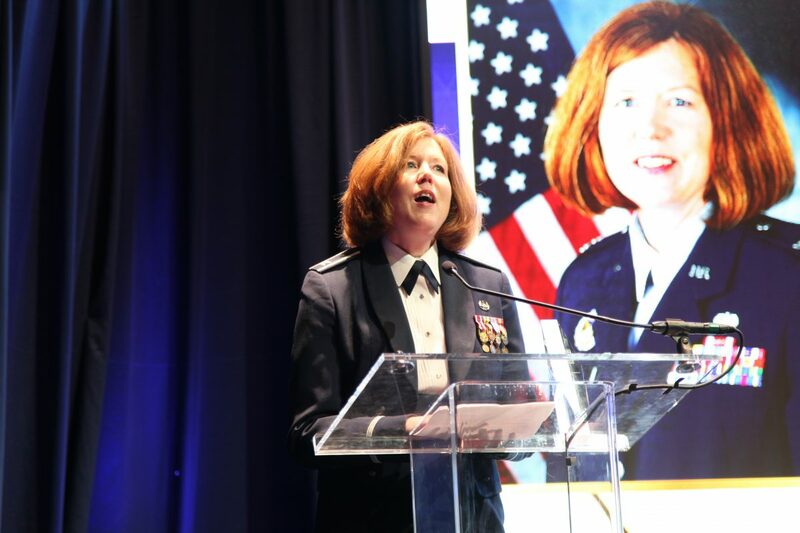 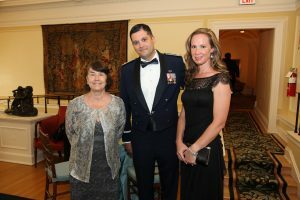 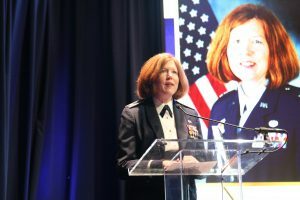 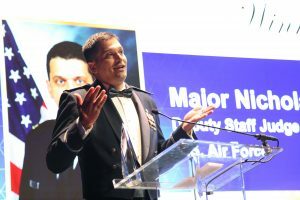 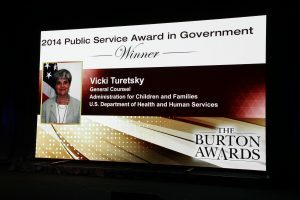 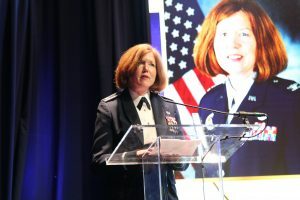 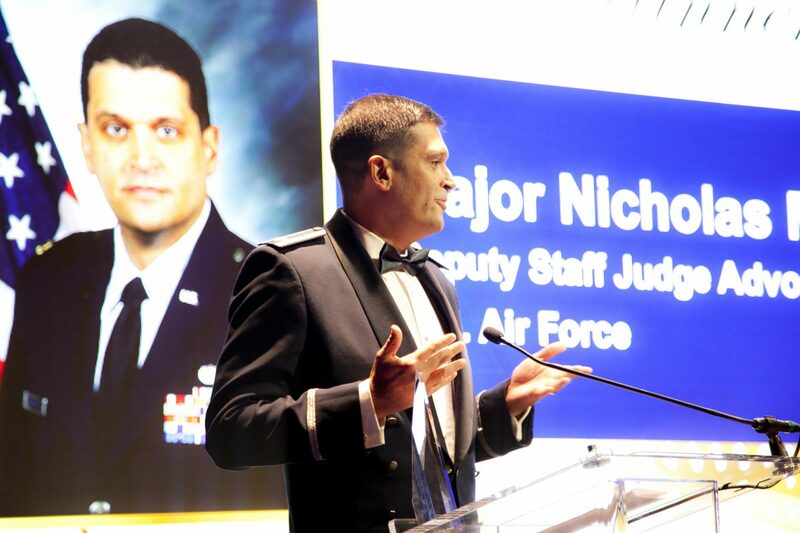 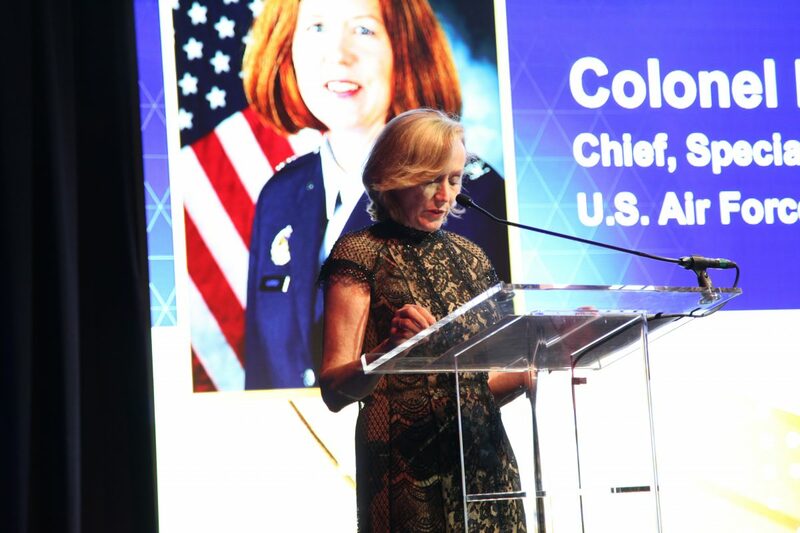 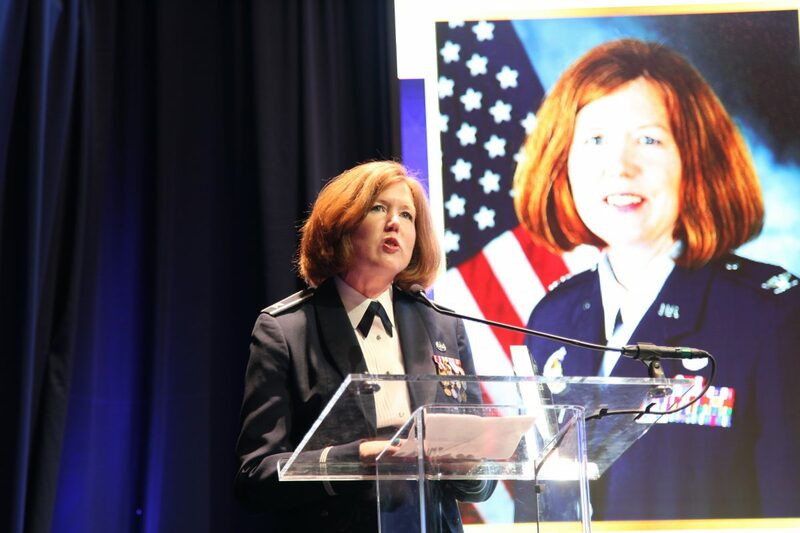 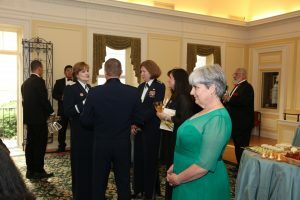 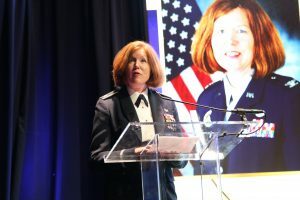 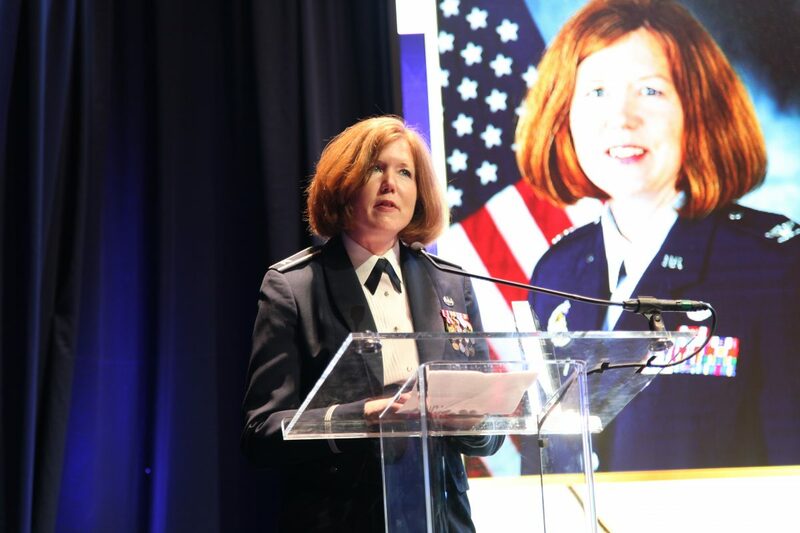 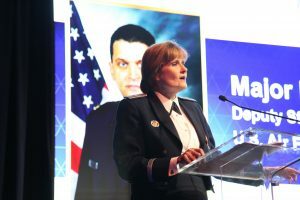 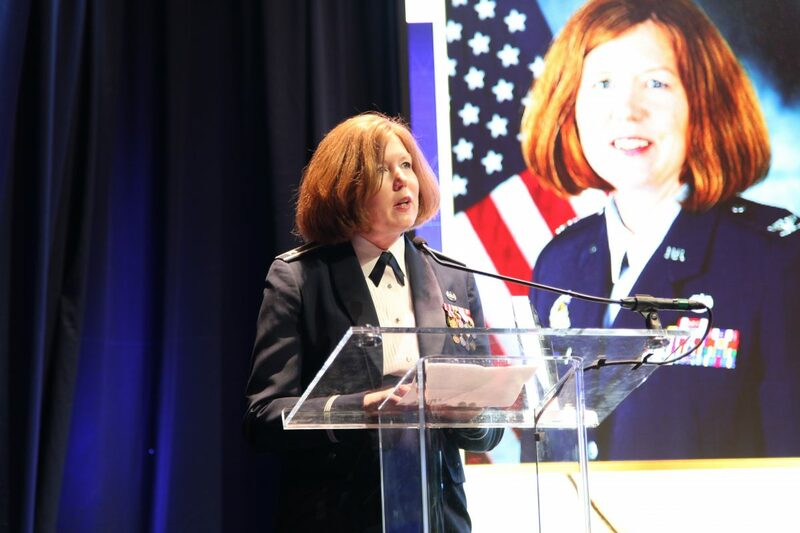 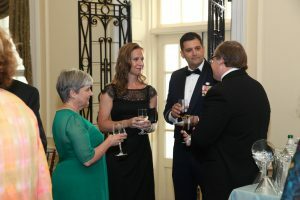 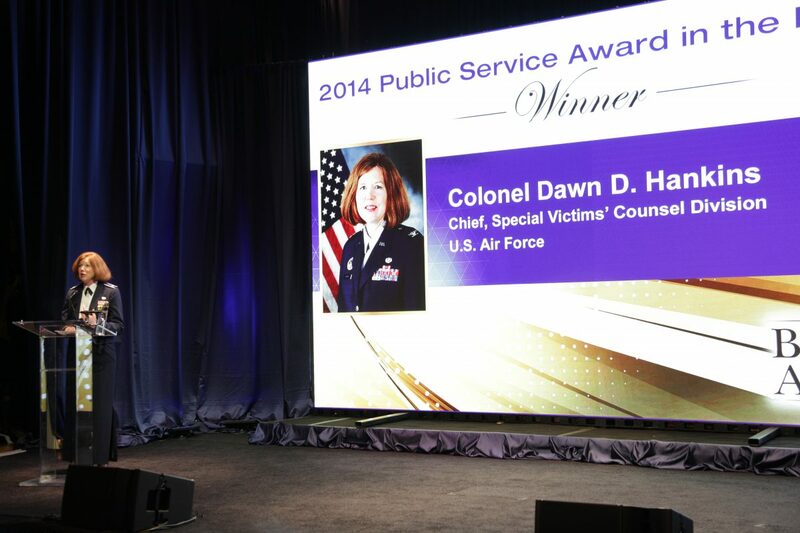 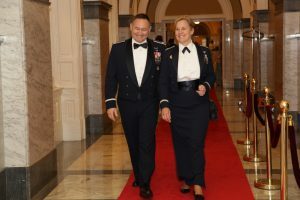 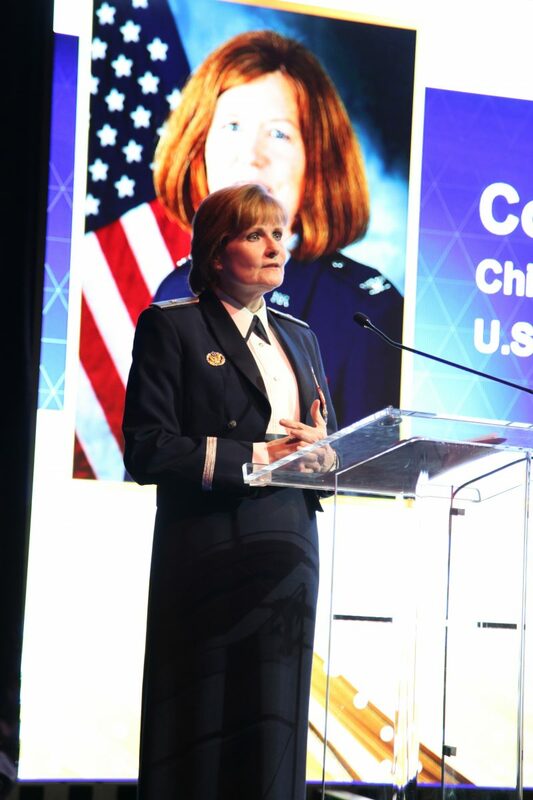 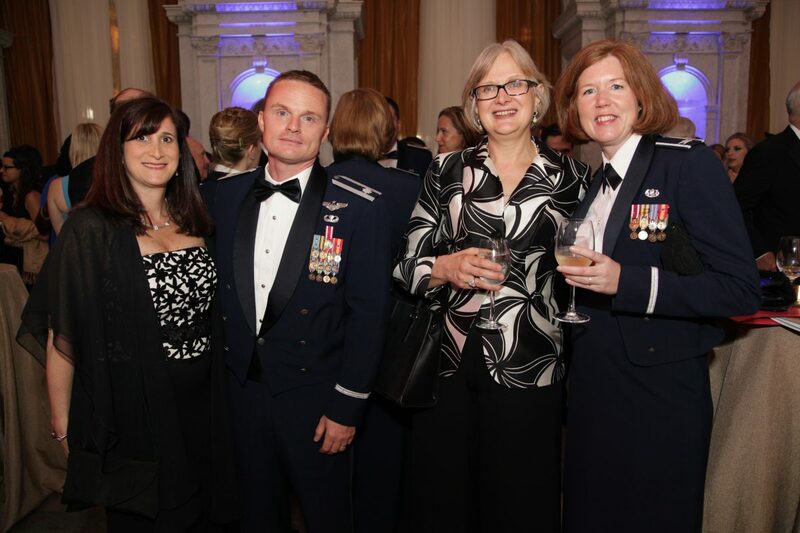 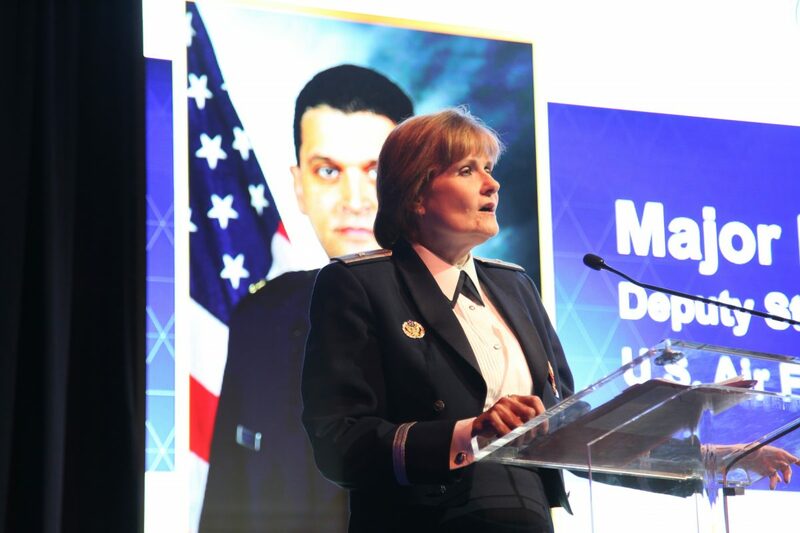 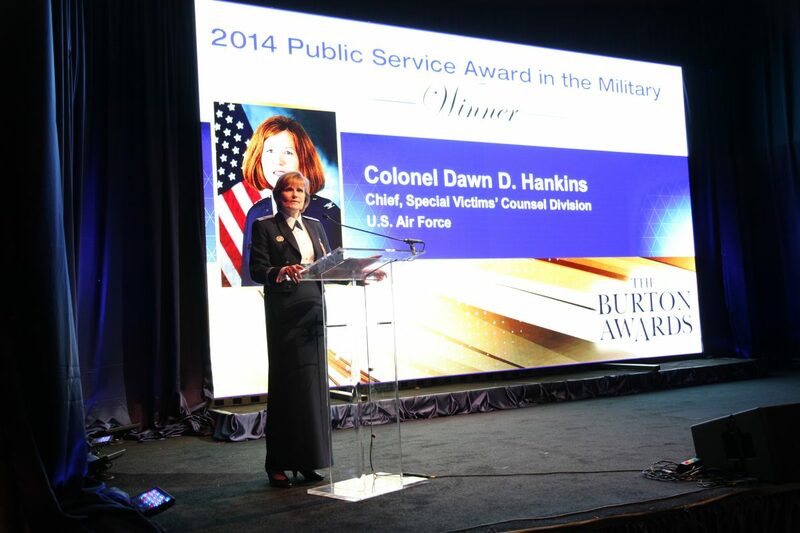 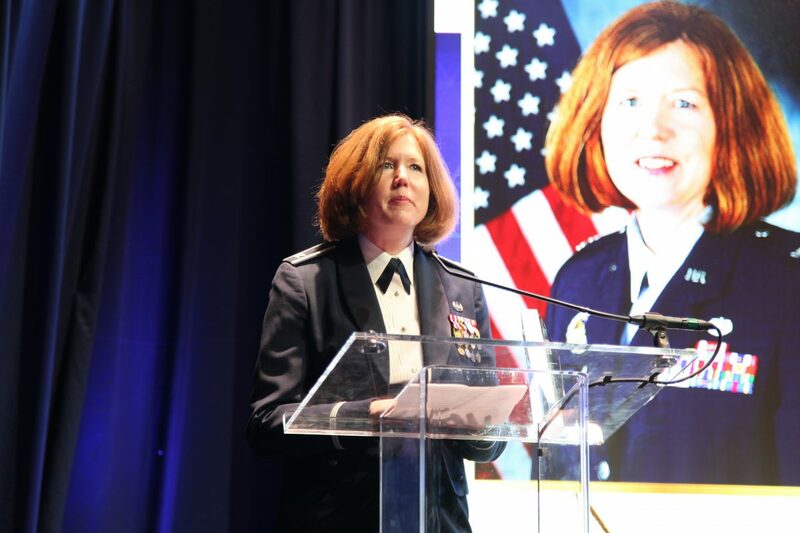 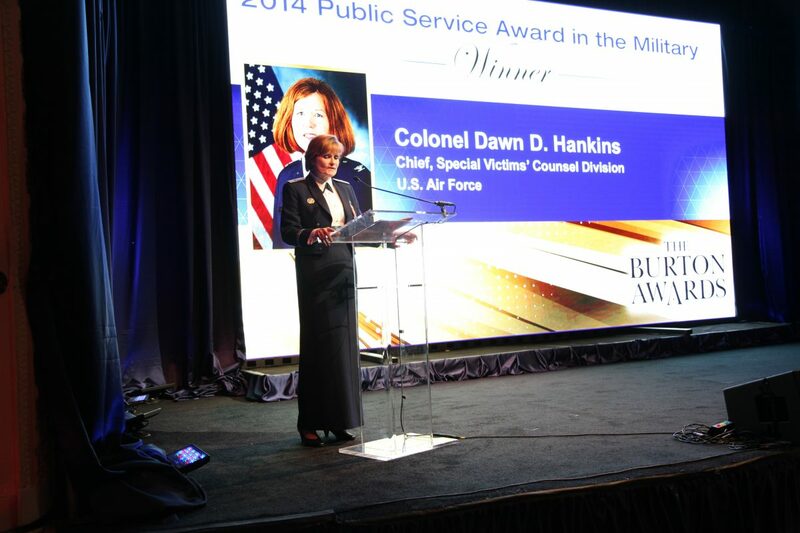 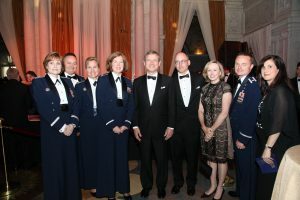 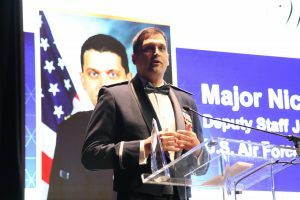 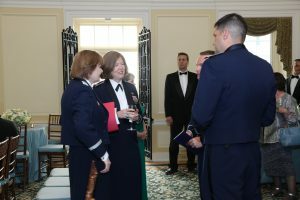 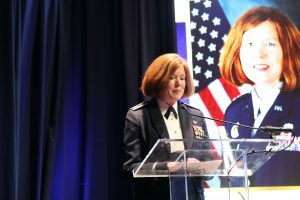 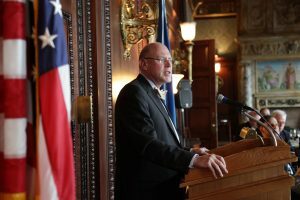 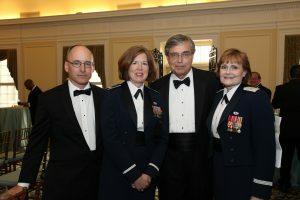 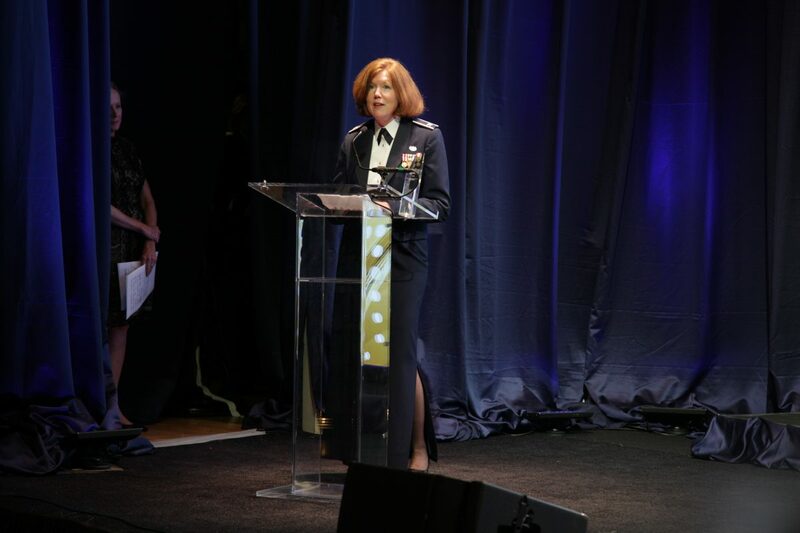 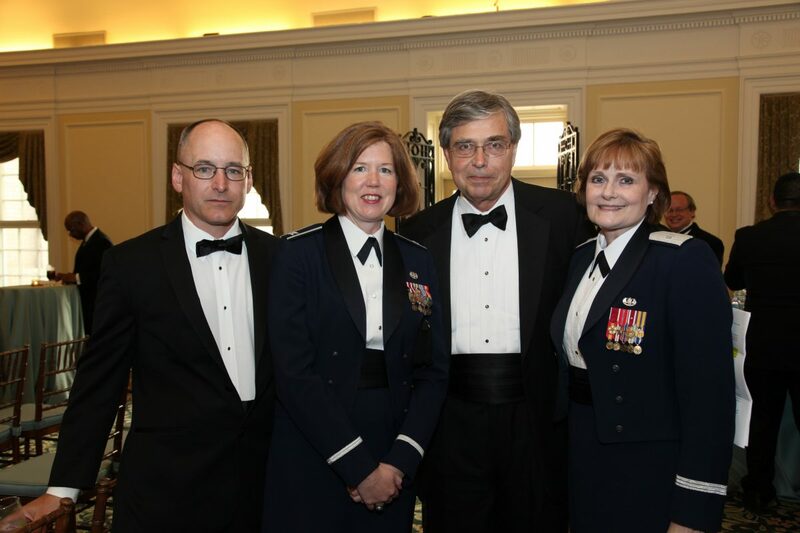 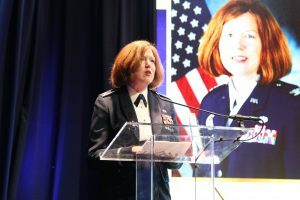 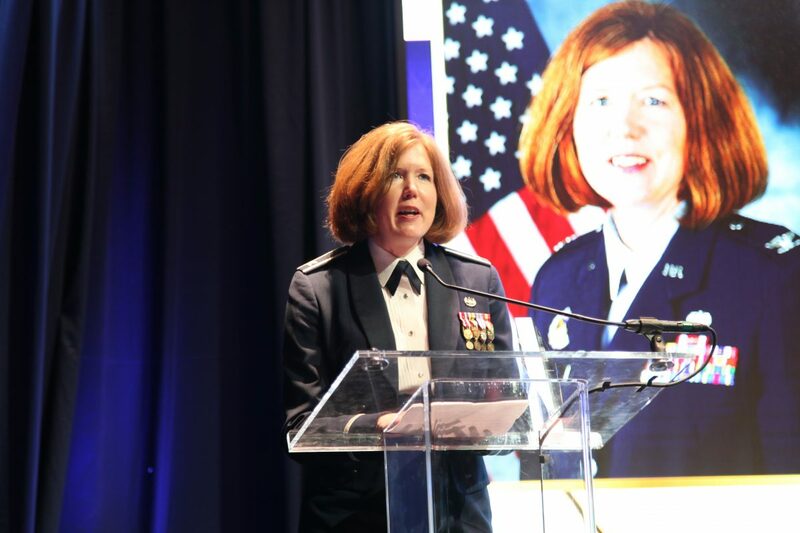 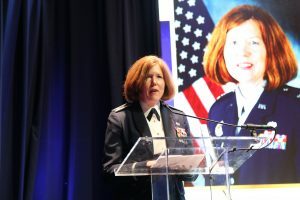 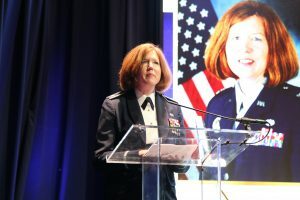 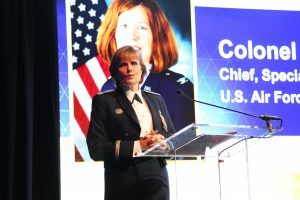 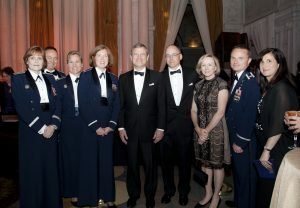 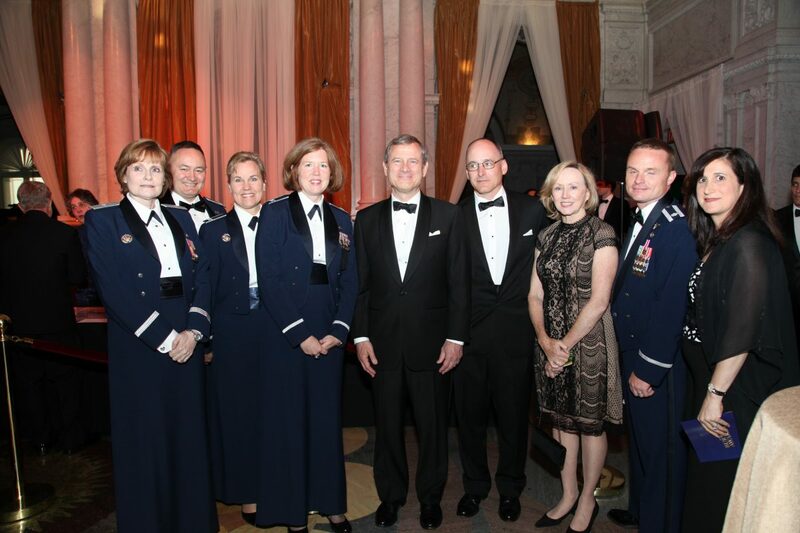 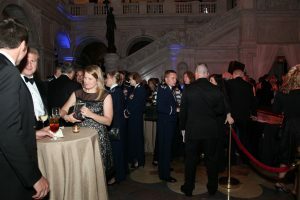 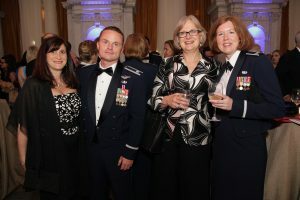 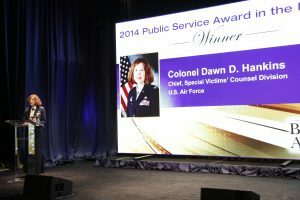 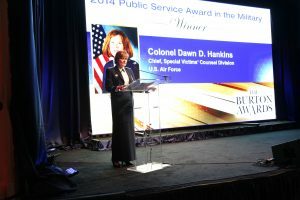 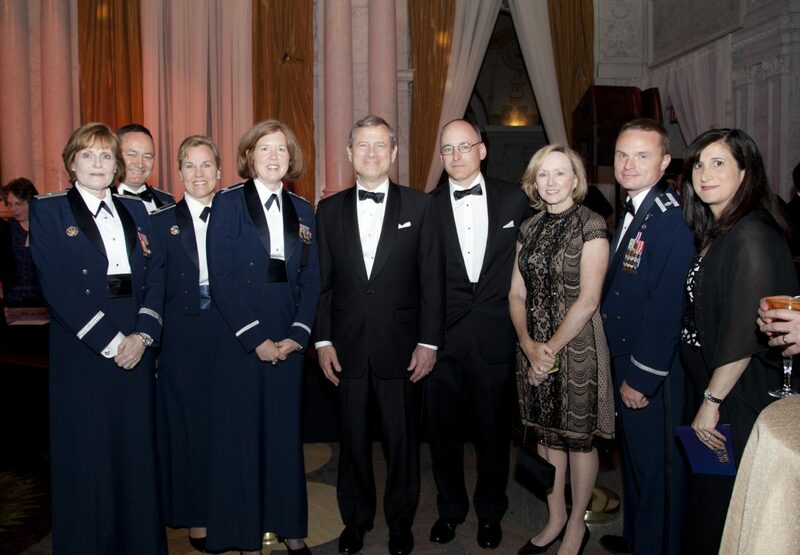 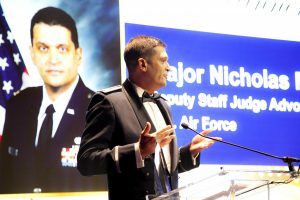 The winners included Colonel Dawn D. Hankins, Chief, Special Victims’ Counsel Division, Air Force Legal Operations Agency, and Major Nicholas J. Meanza, Deputy Staff Judge Advocate, 319th Air Base Wing, Grand Forks Air Force Base, North Dakota. 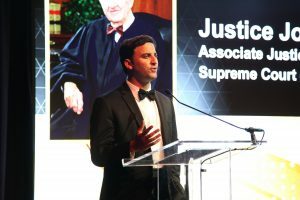 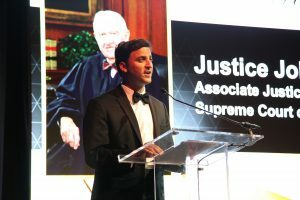 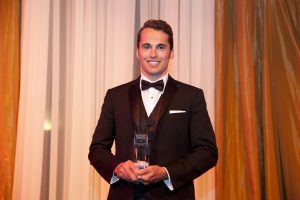 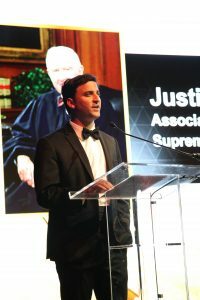 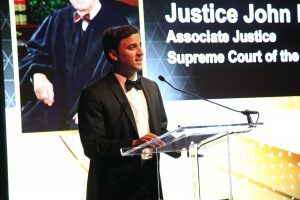 Noah Messing, Chair of the “Outstanding Contributions to Legal Writing Education” Committee and Yale Law School’s Lecturer in the Practice of Law and Legal Writing presented. 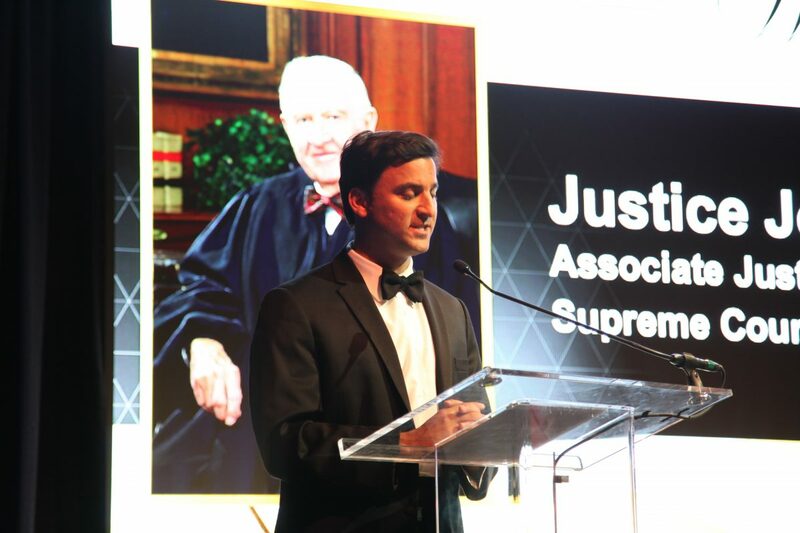 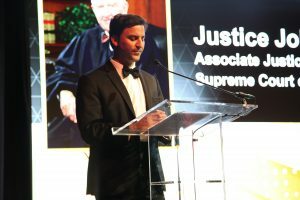 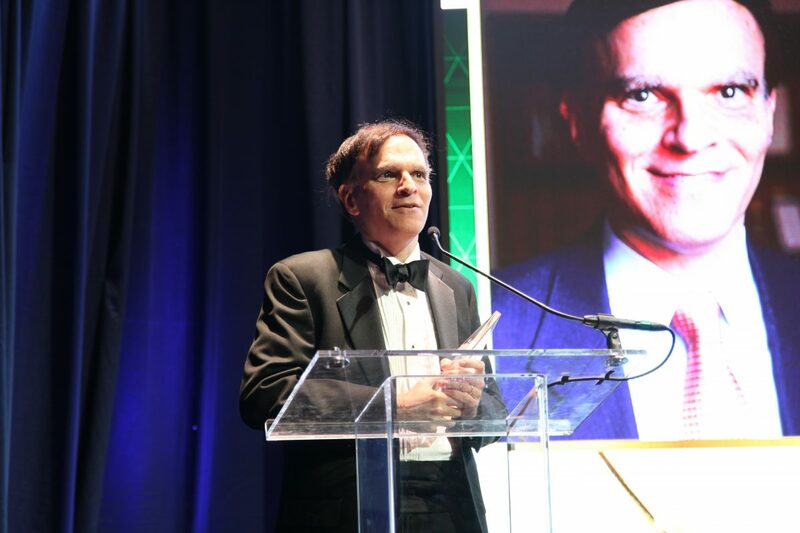 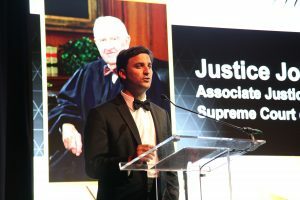 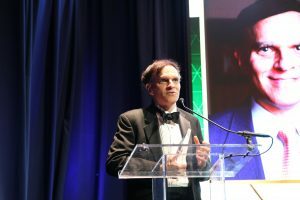 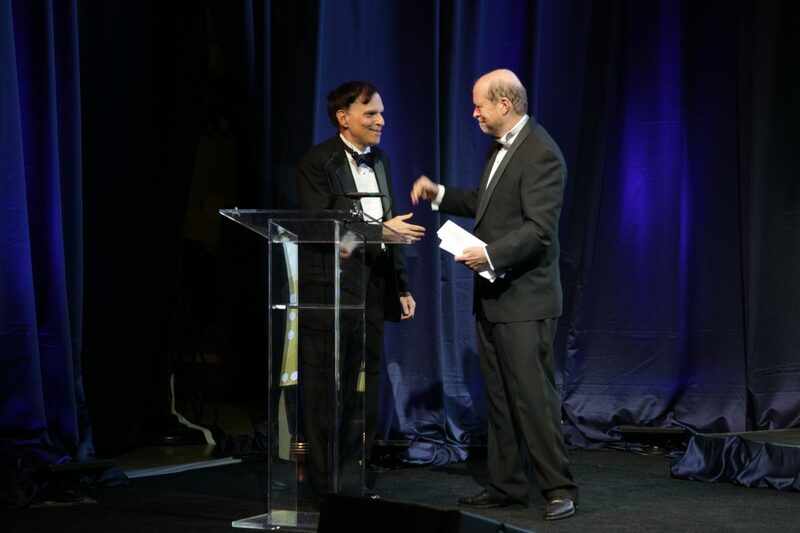 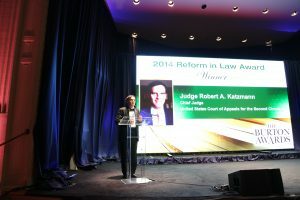 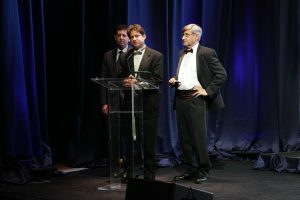 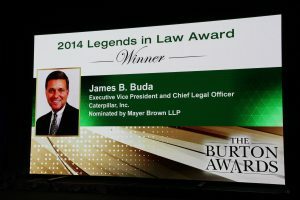 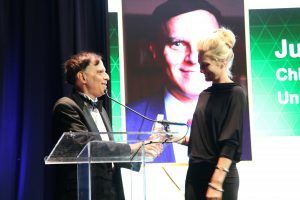 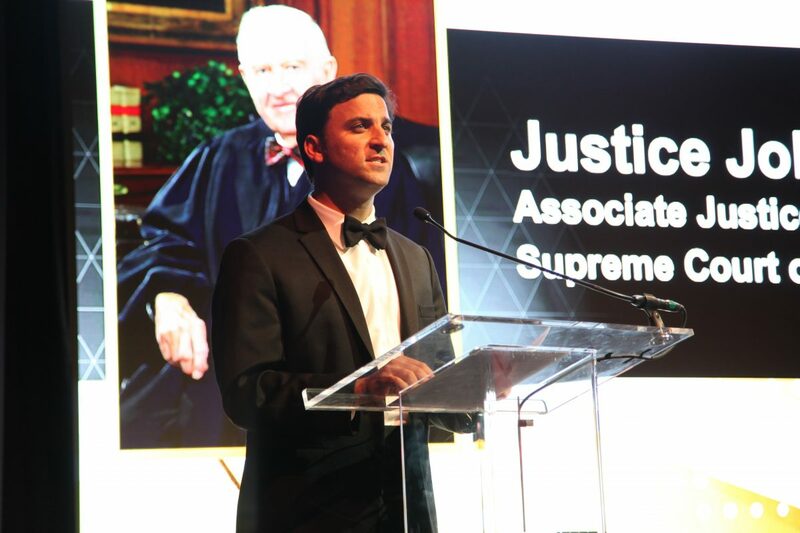 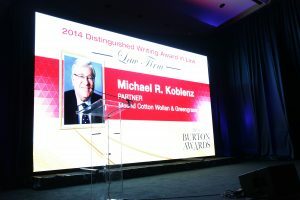 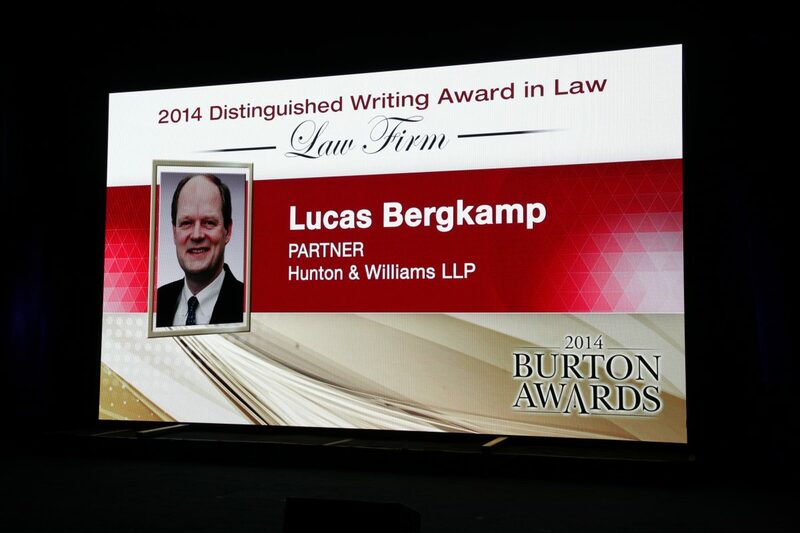 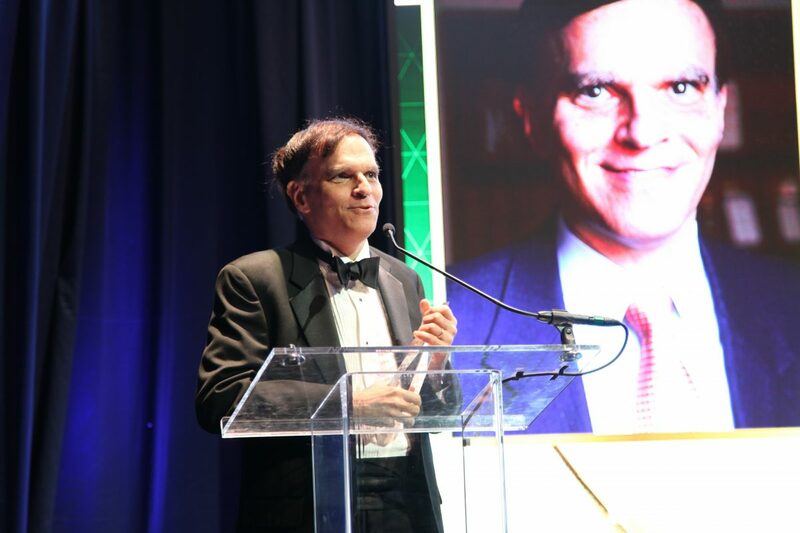 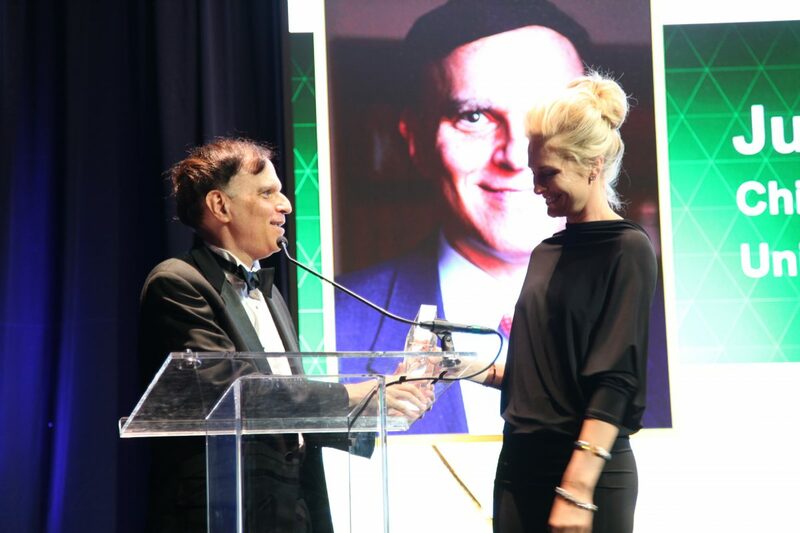 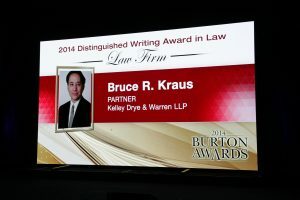 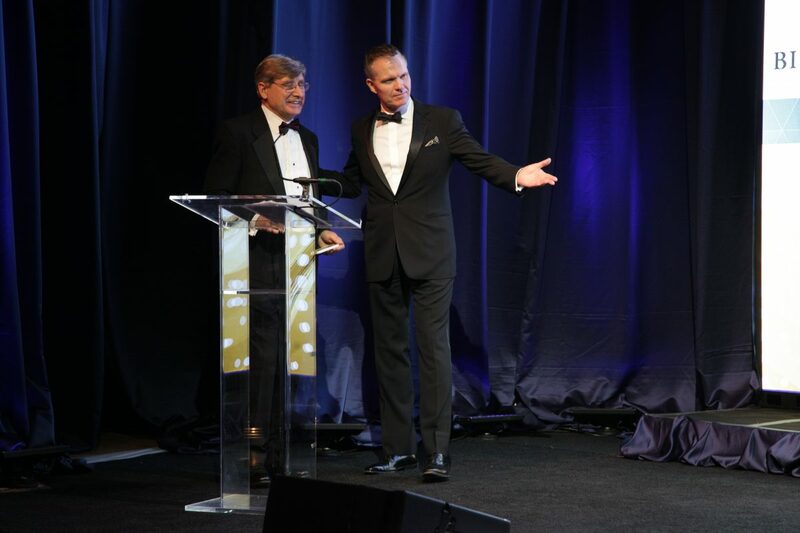 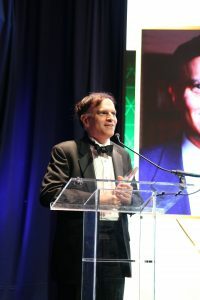 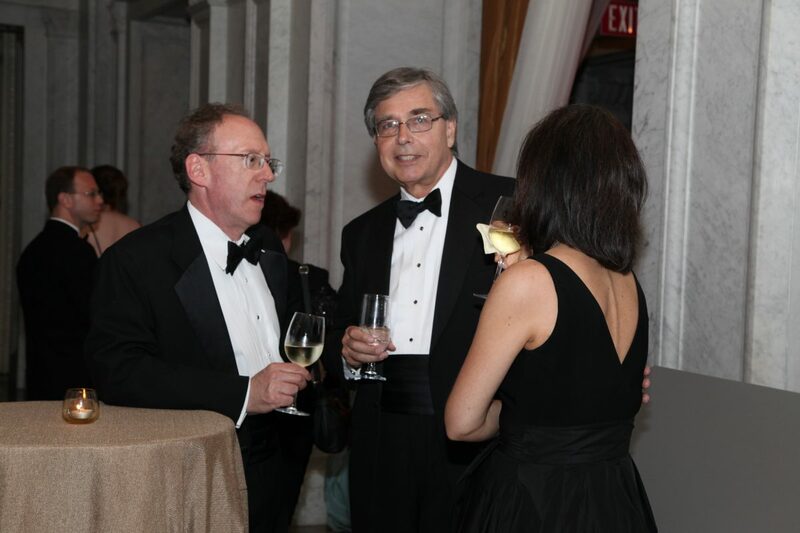 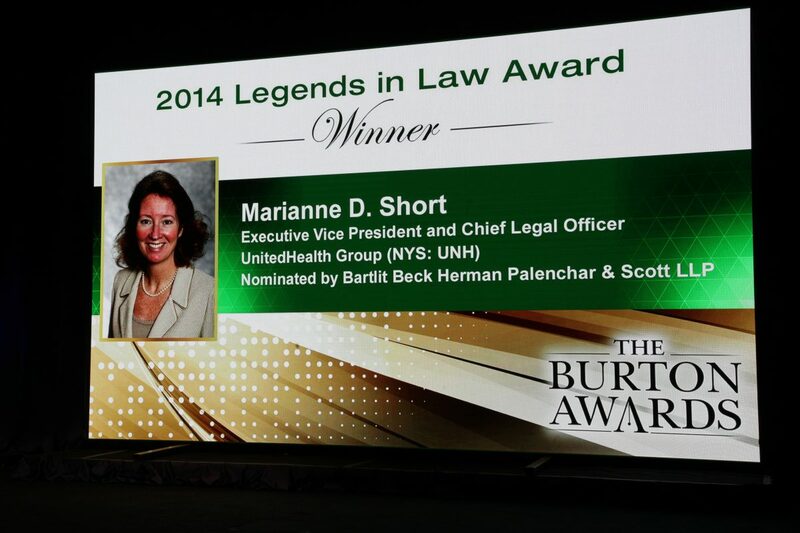 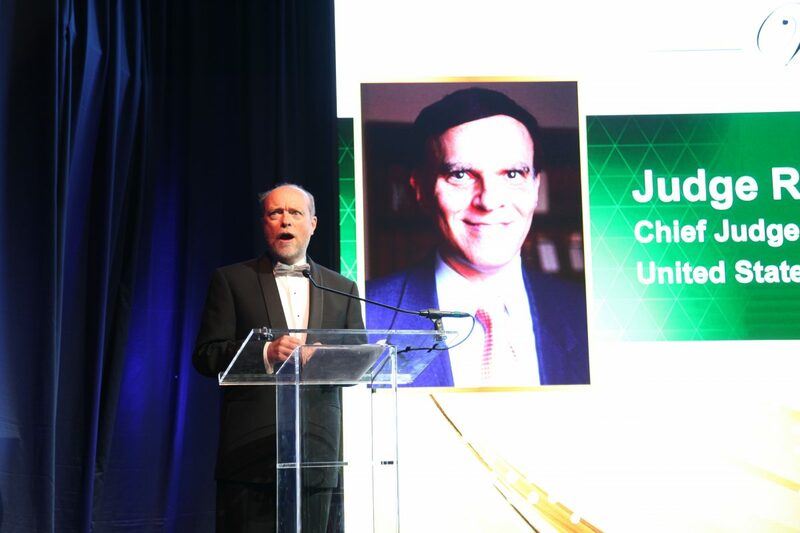 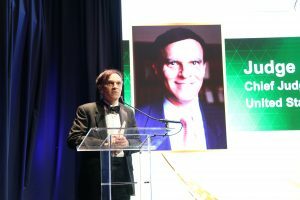 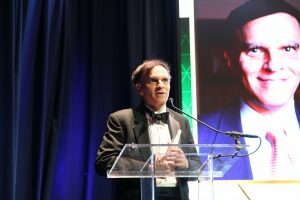 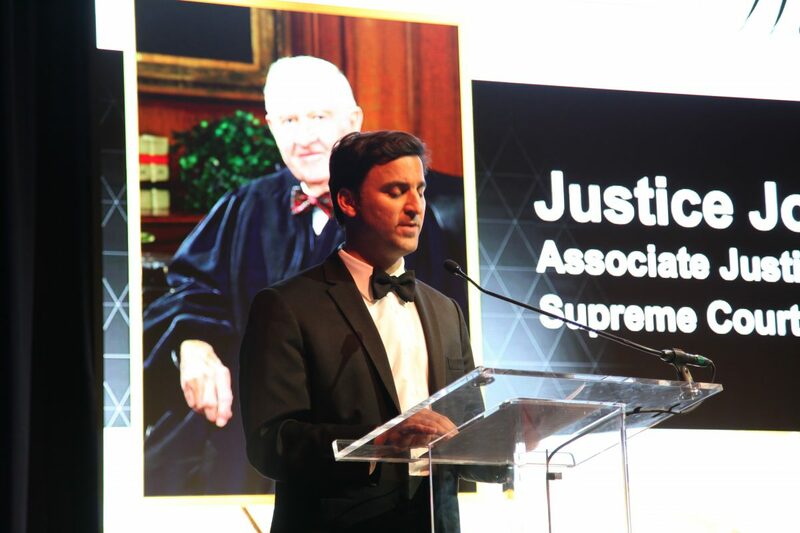 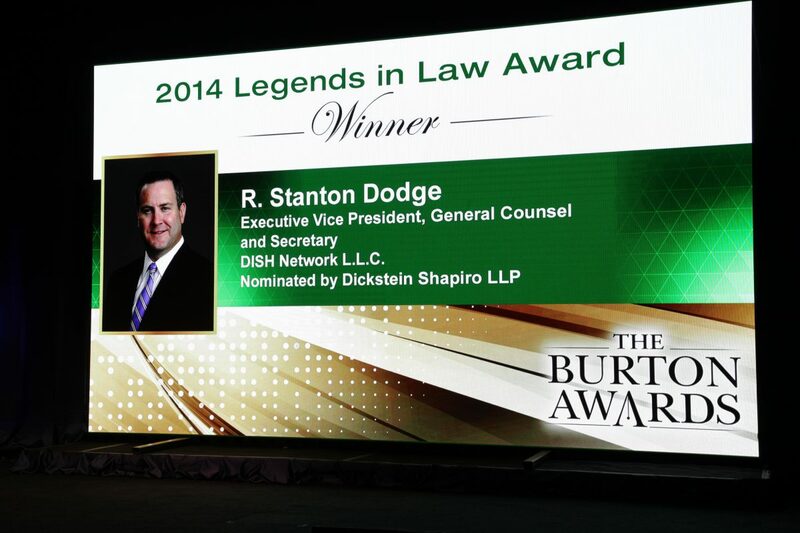 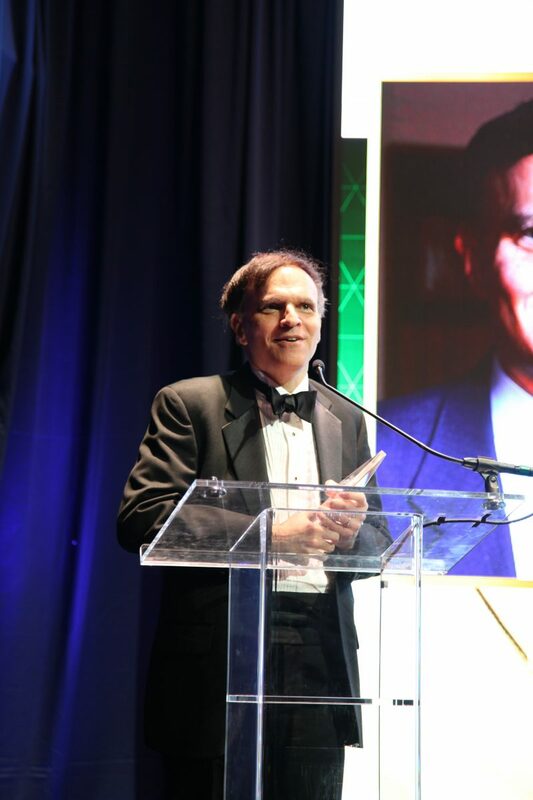 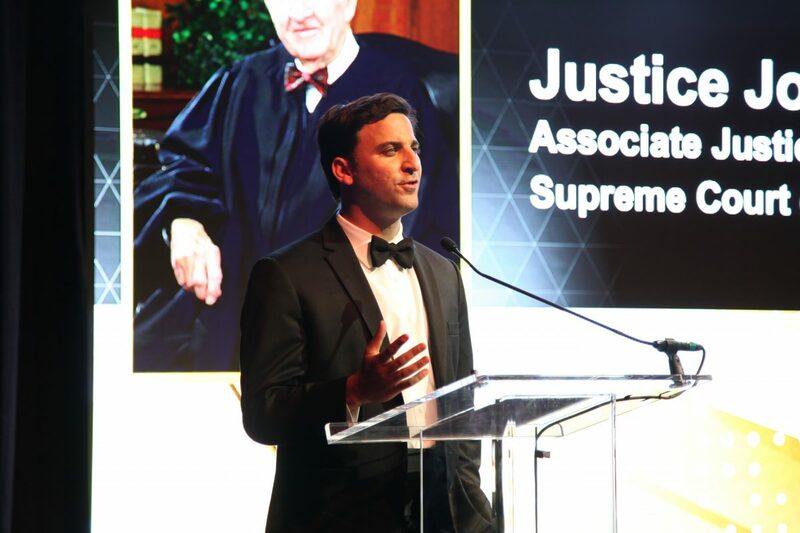 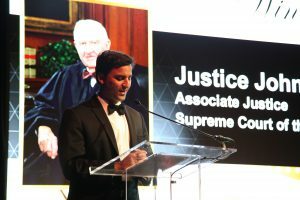 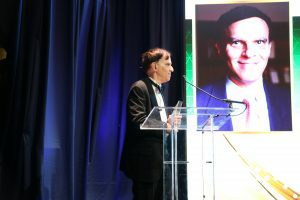 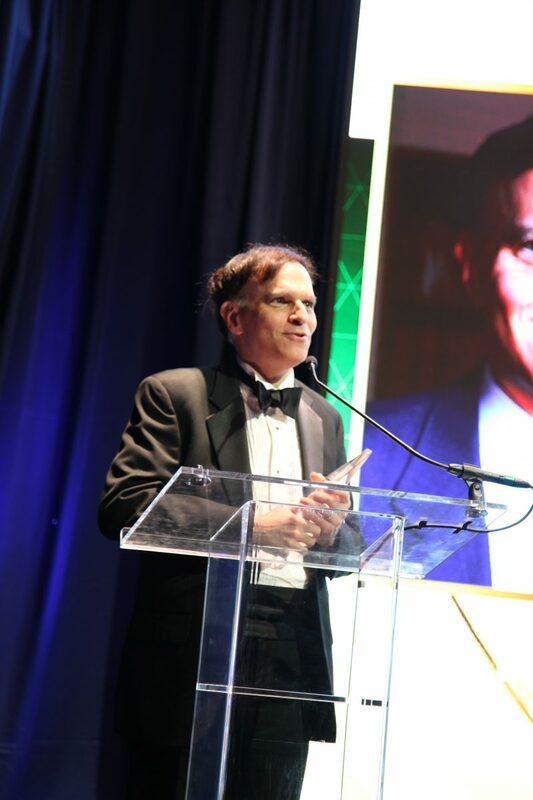 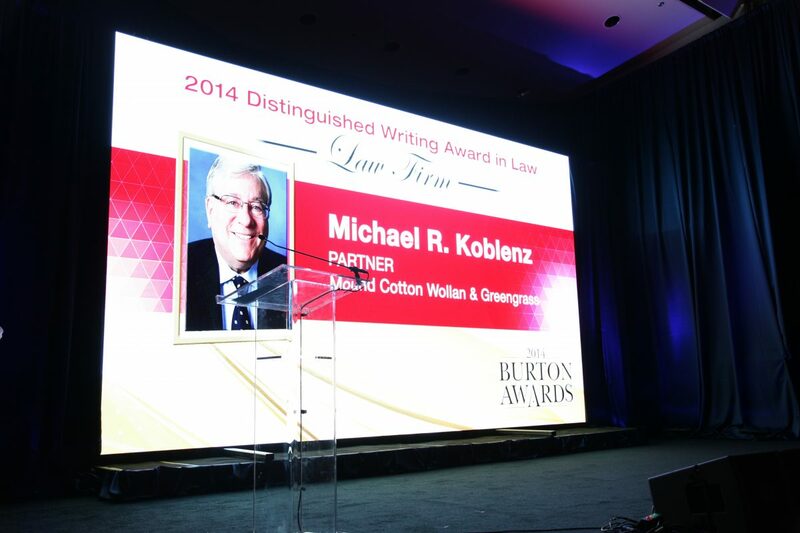 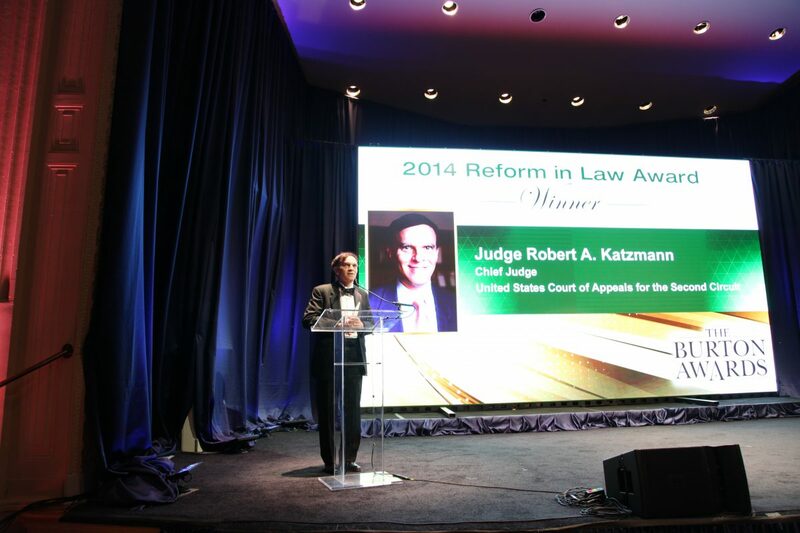 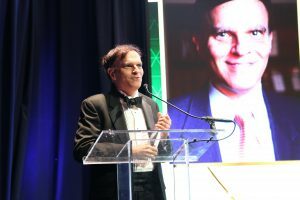 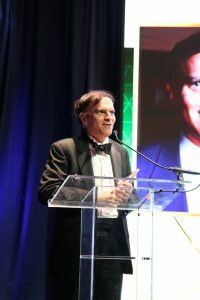 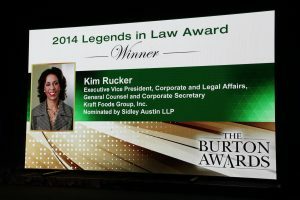 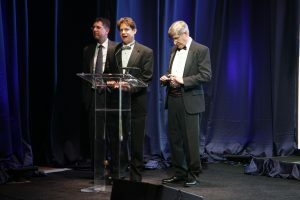 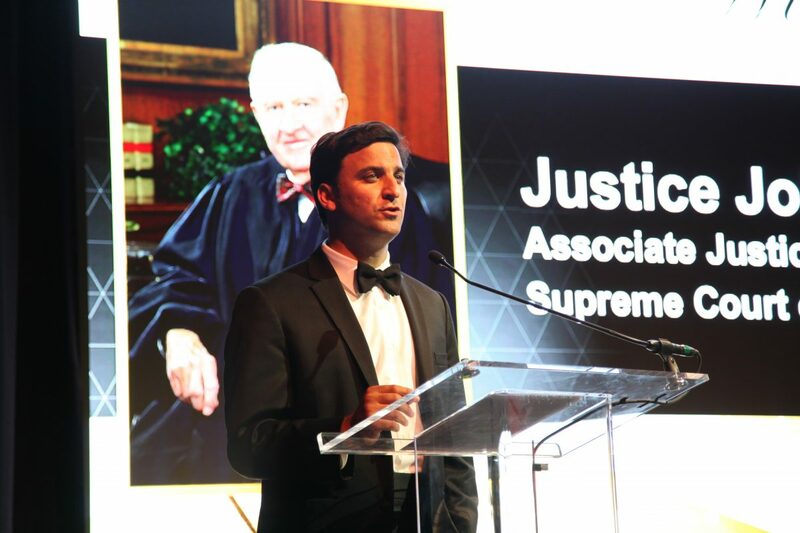 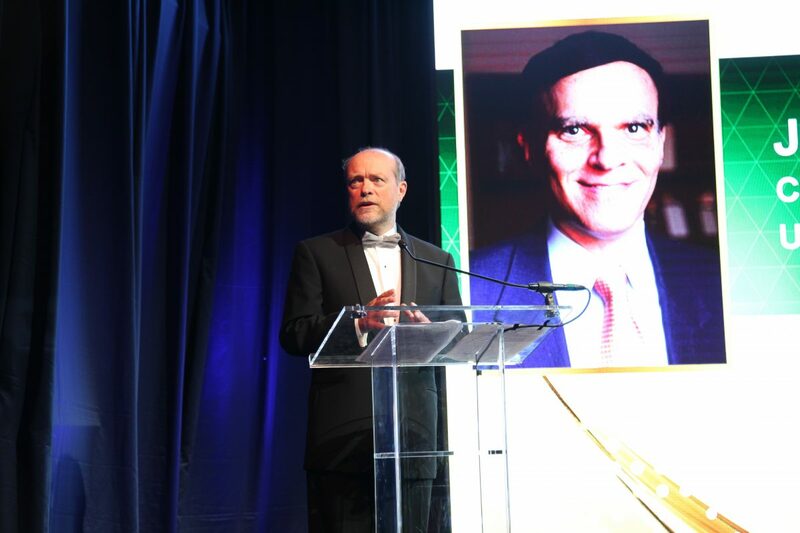 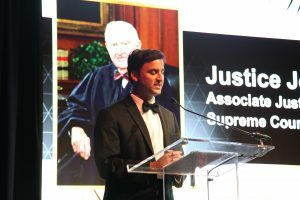 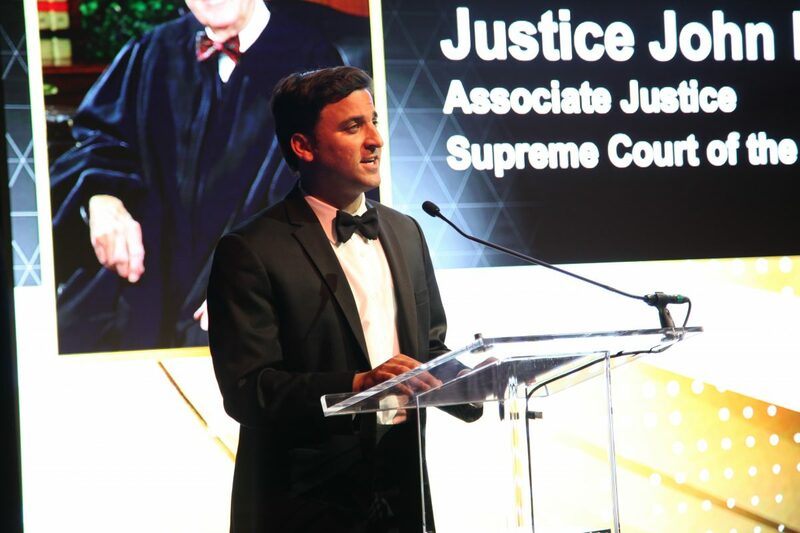 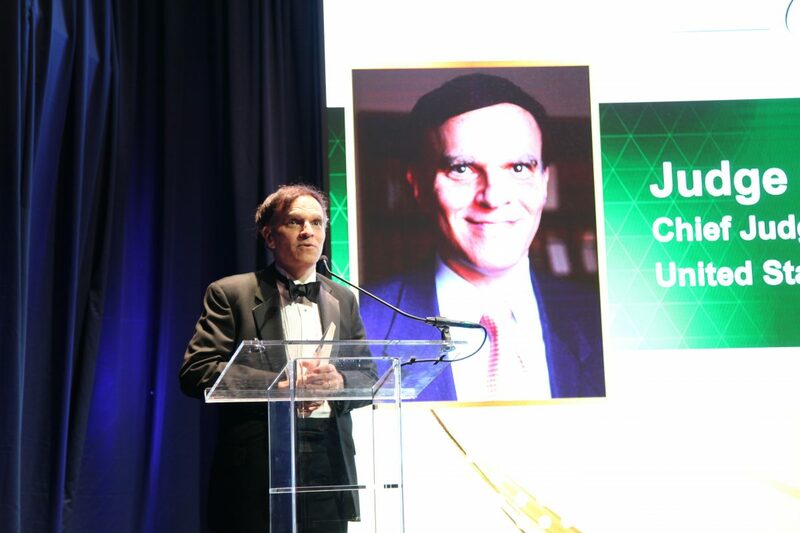 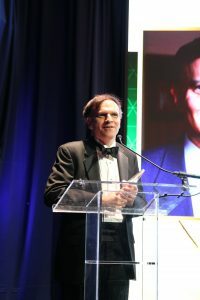 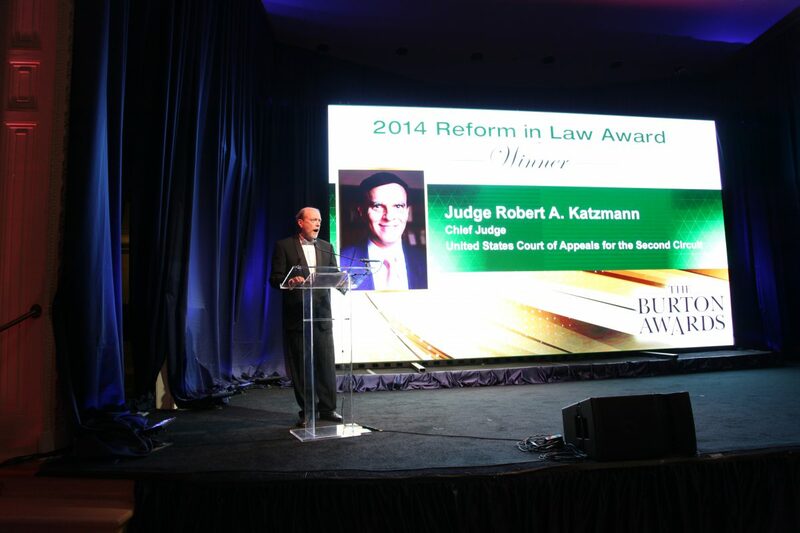 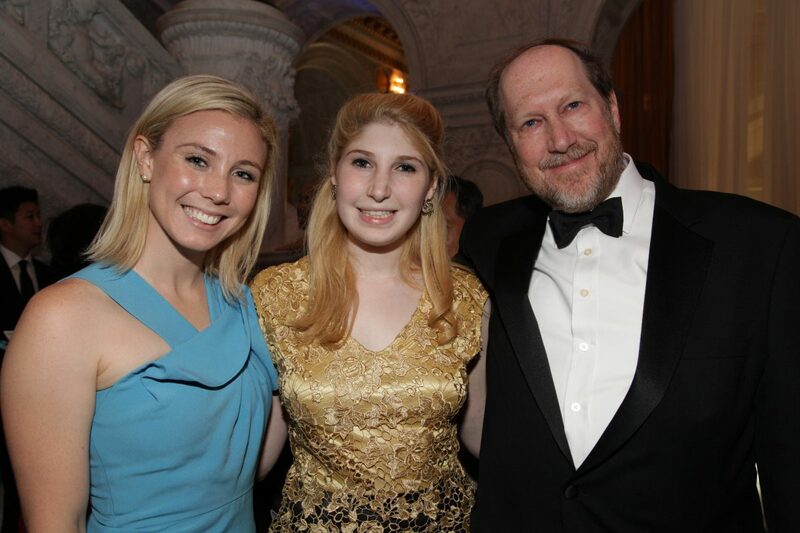 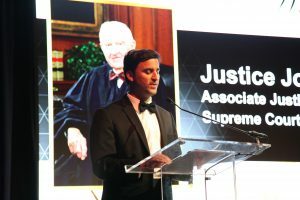 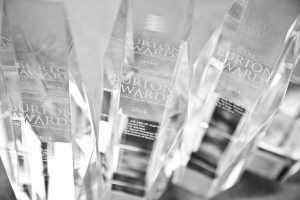 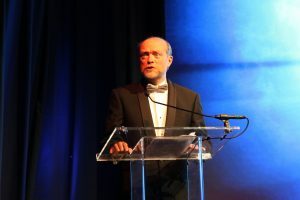 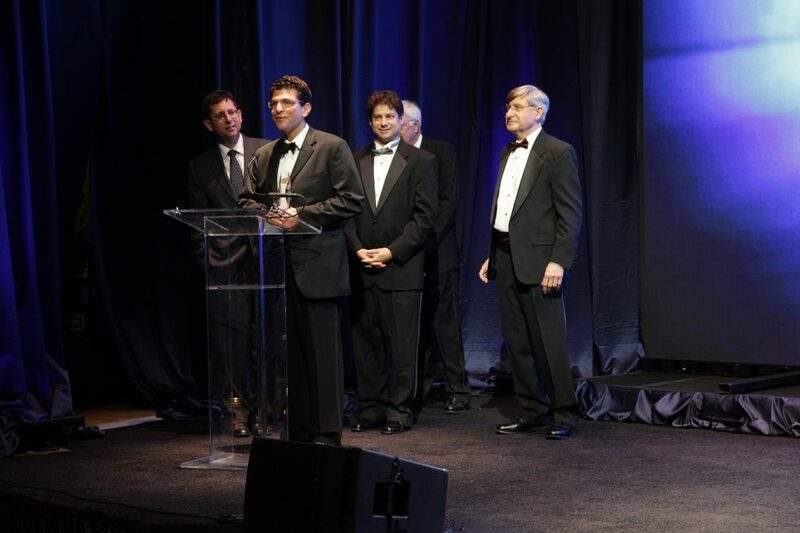 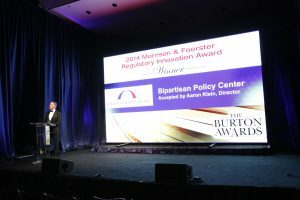 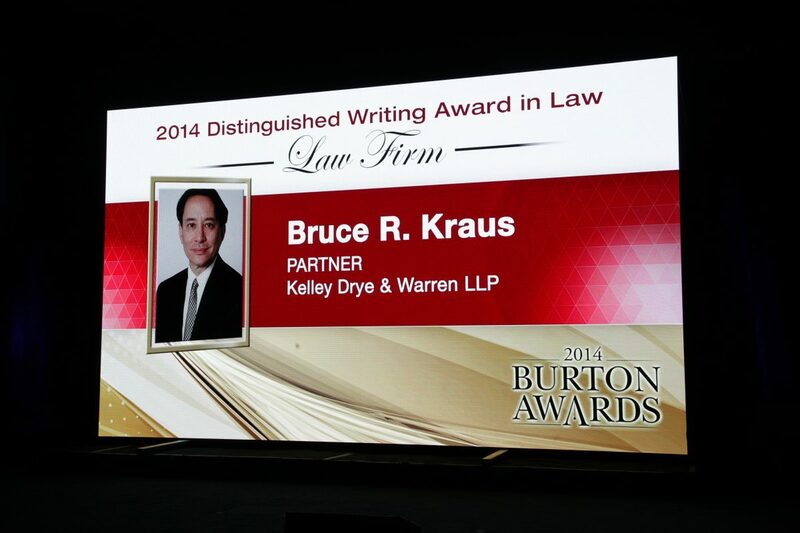 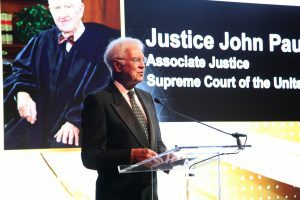 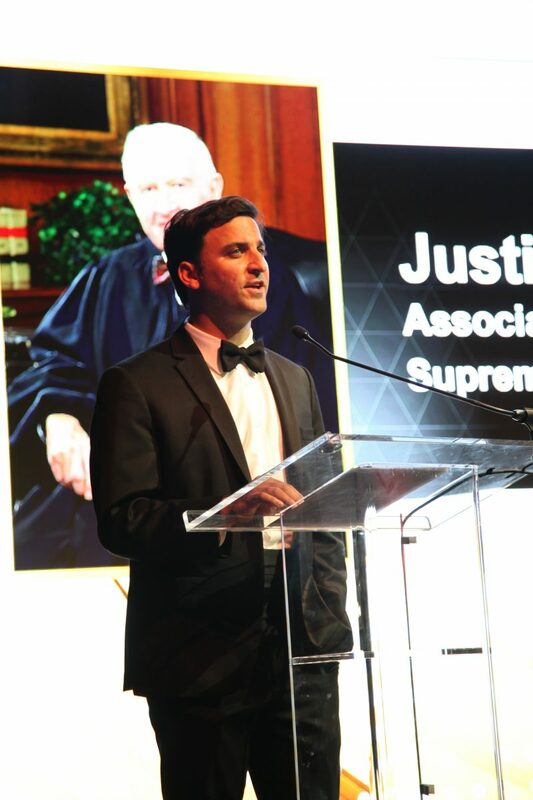 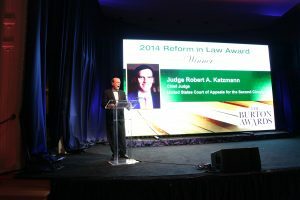 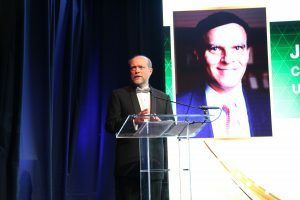 The “Reform in Law Award” was given to renowned jurist, Robert Katzmann, Chief Judge of the U.S. Court of Appeals for the Second Circuit. 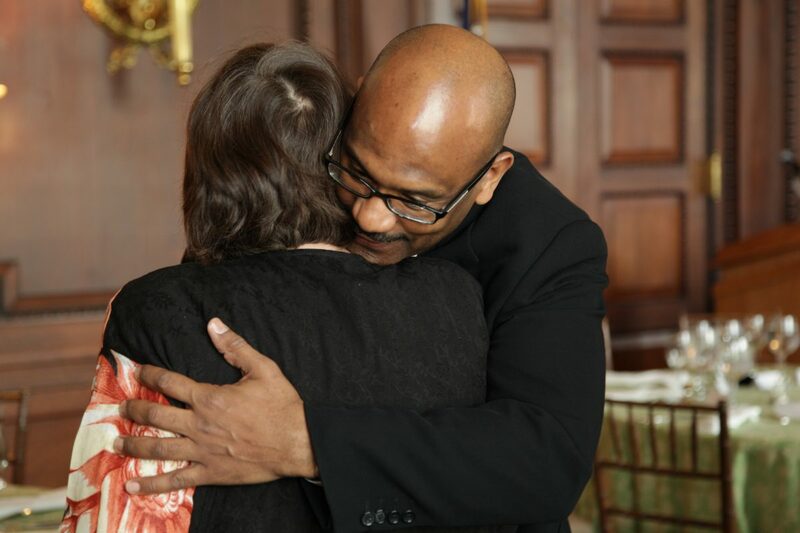 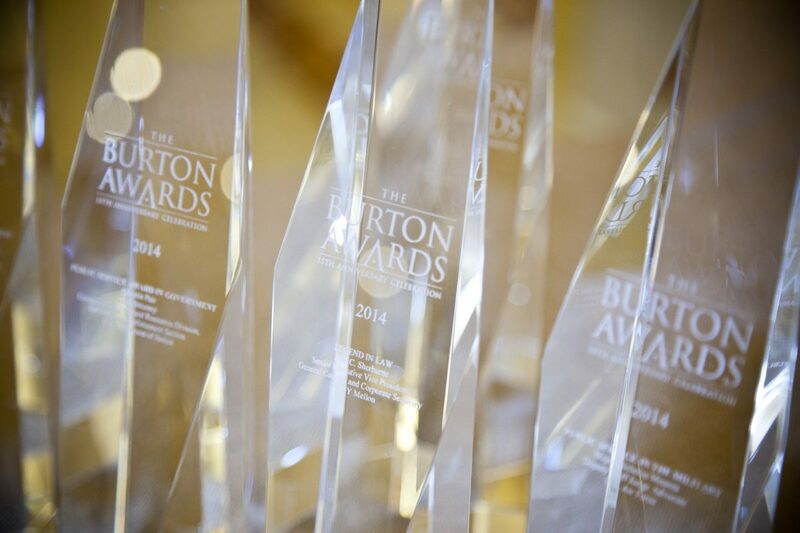 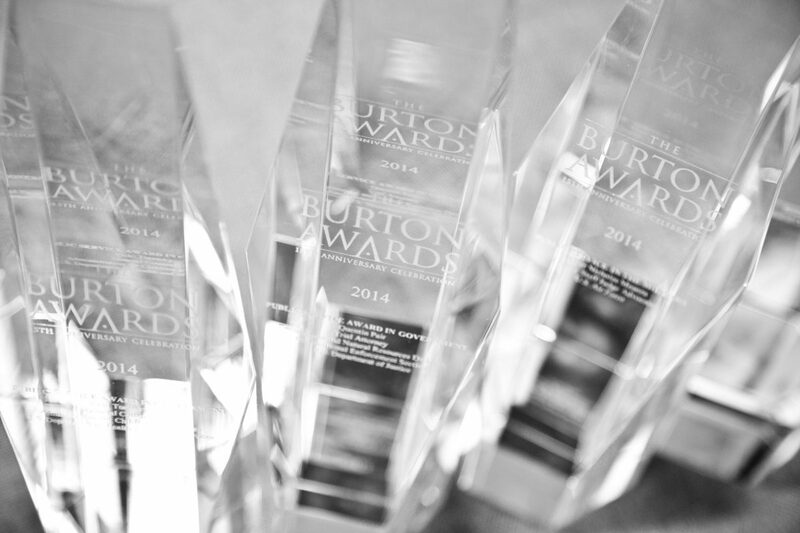 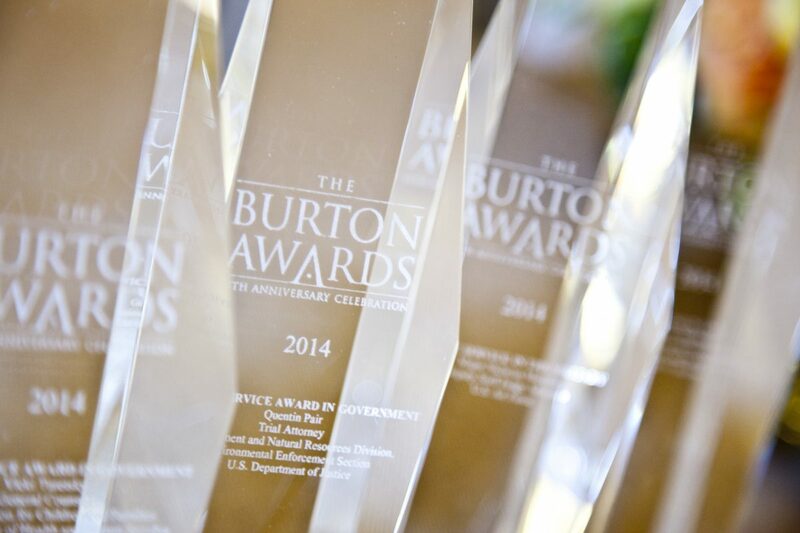 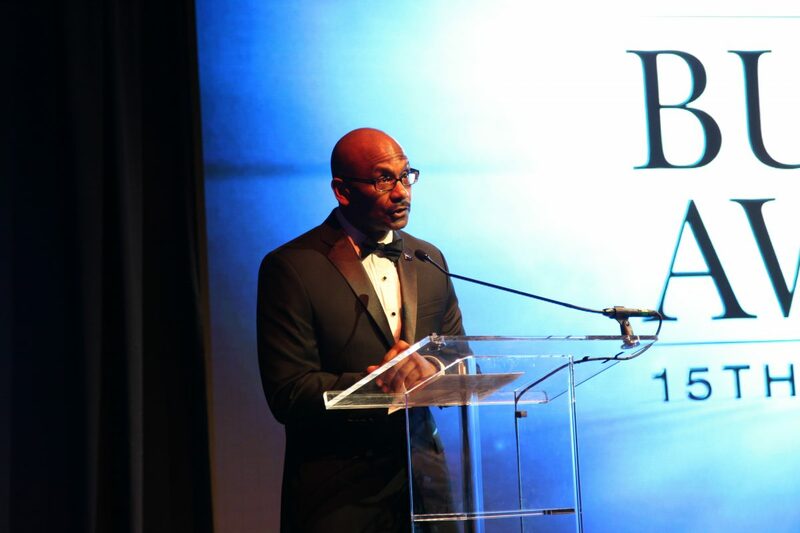 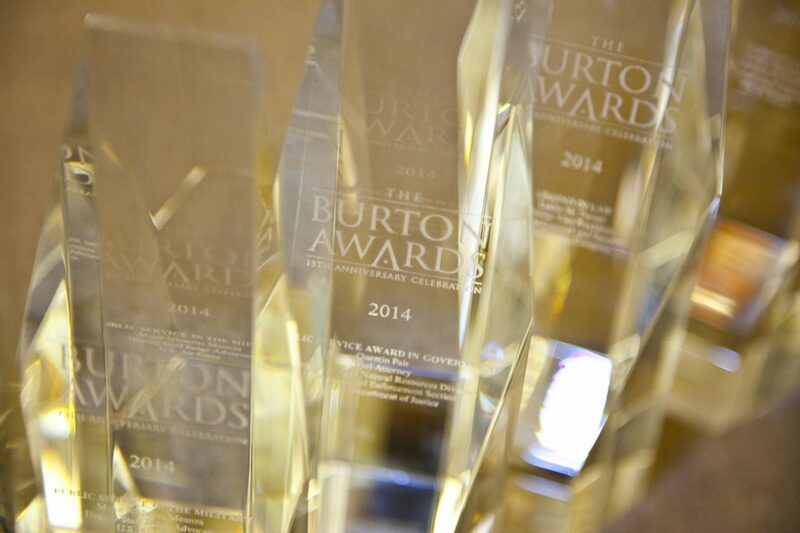 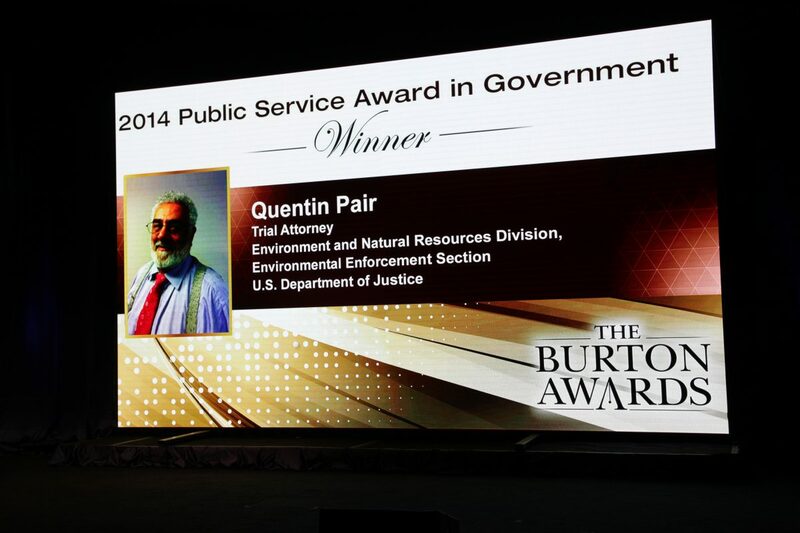 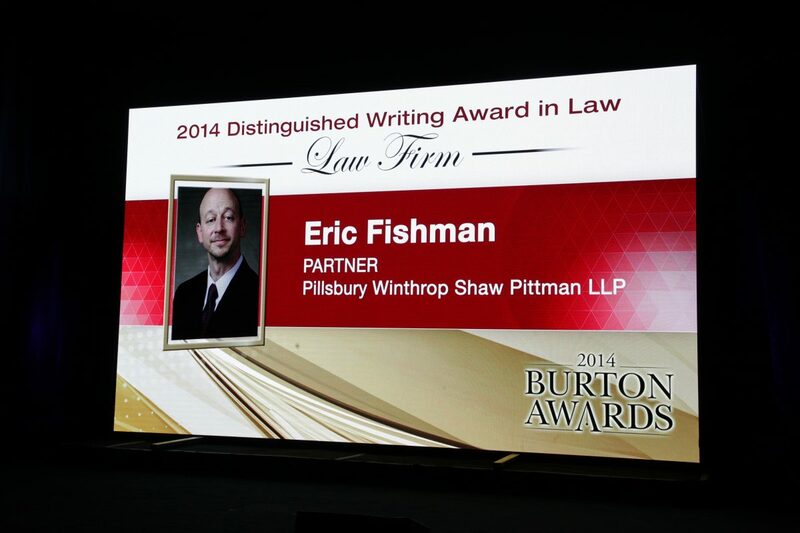 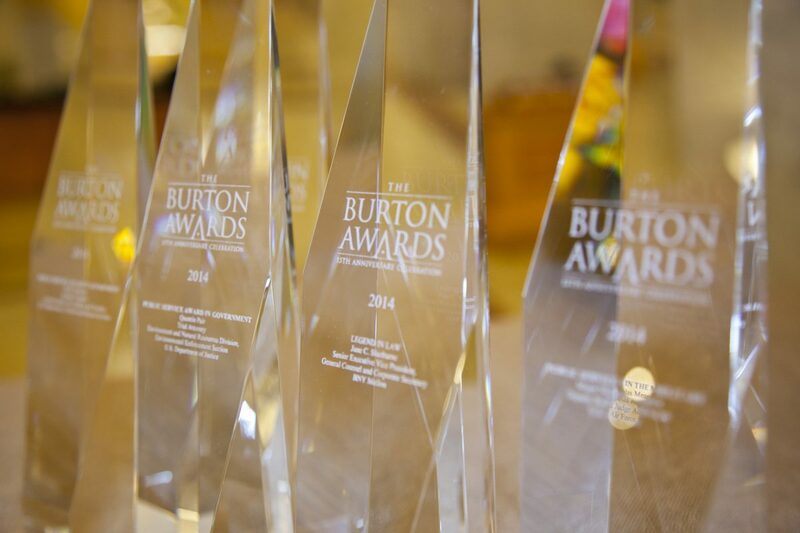 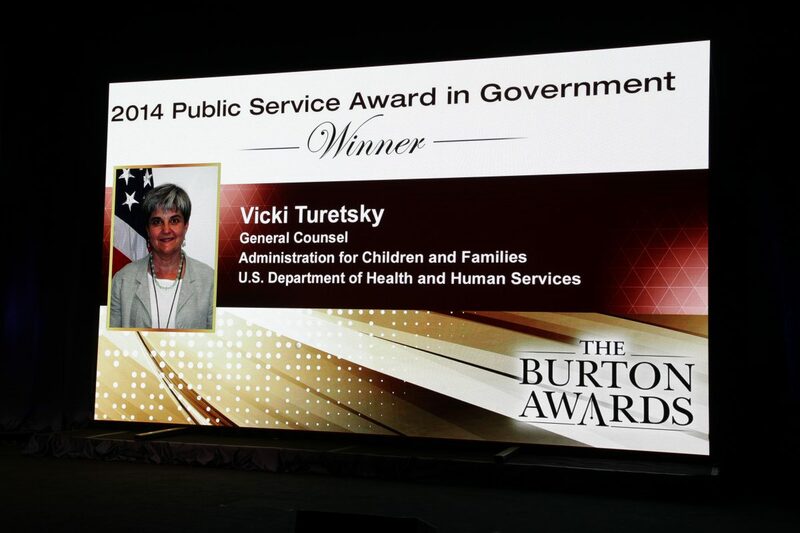 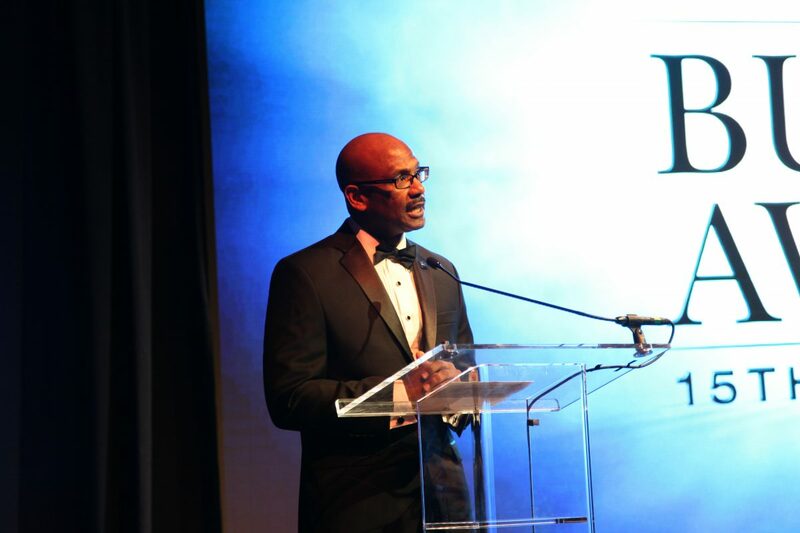 His expert and specialized counseling to immigrants earned him this recognition. Dean of Georgetown University Law Center and former Dean of Fordham University School of Law, William Treanor gave the introduction. 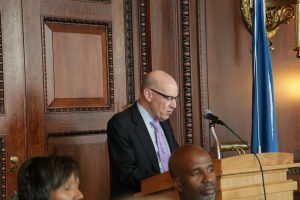 Roy Gutterman, Associate Professor of communications law and journalism and Director of the Tully Center for Free Speech at the S.I. 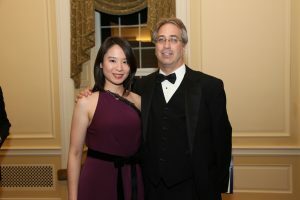 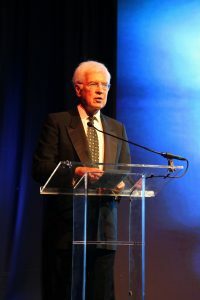 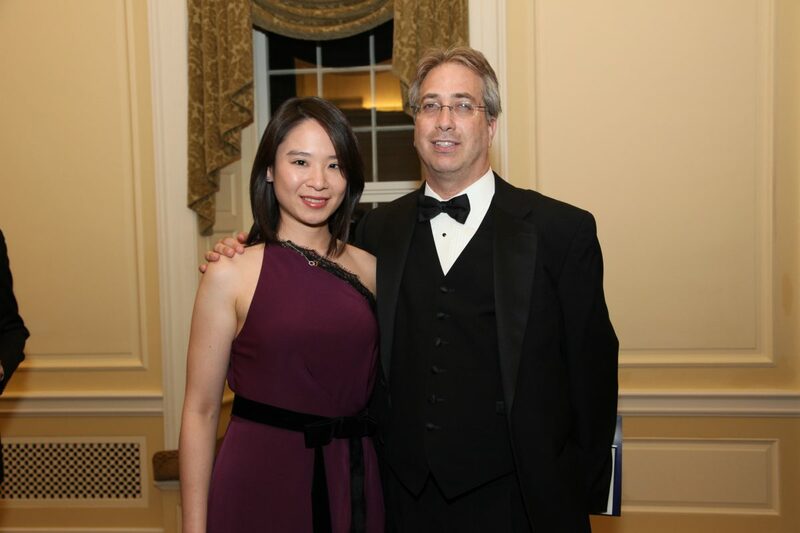 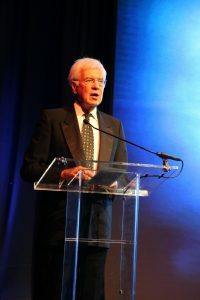 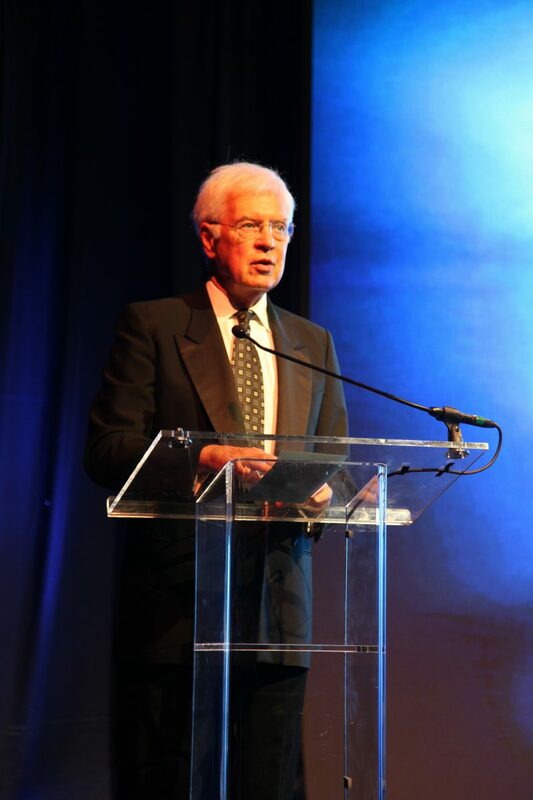 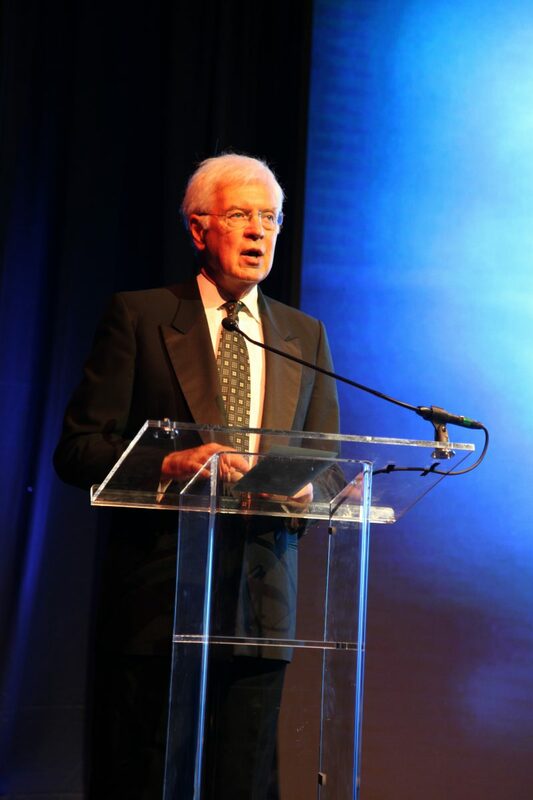 Newhouse School of Public Communications at Syracuse University announced “Journalism in Law” Award winner Mark Obbie, freelance writer and former Editor of American Lawyer. 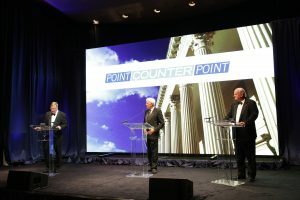 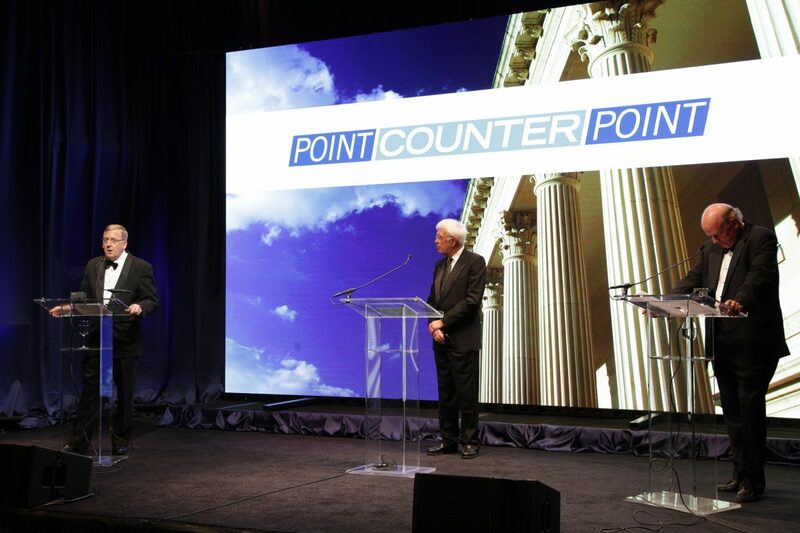 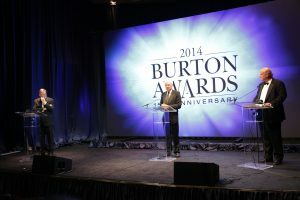 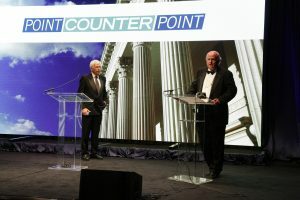 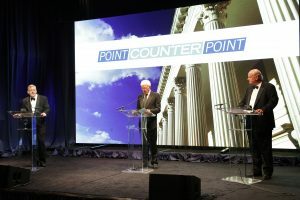 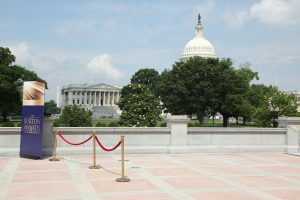 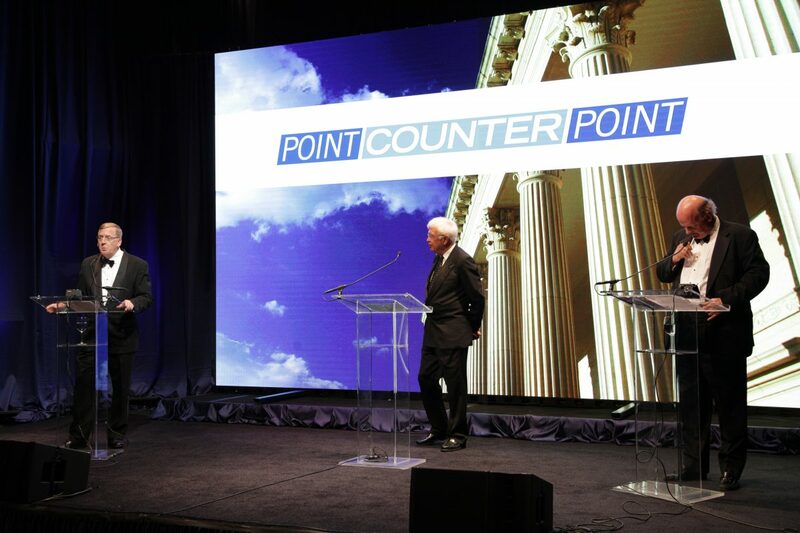 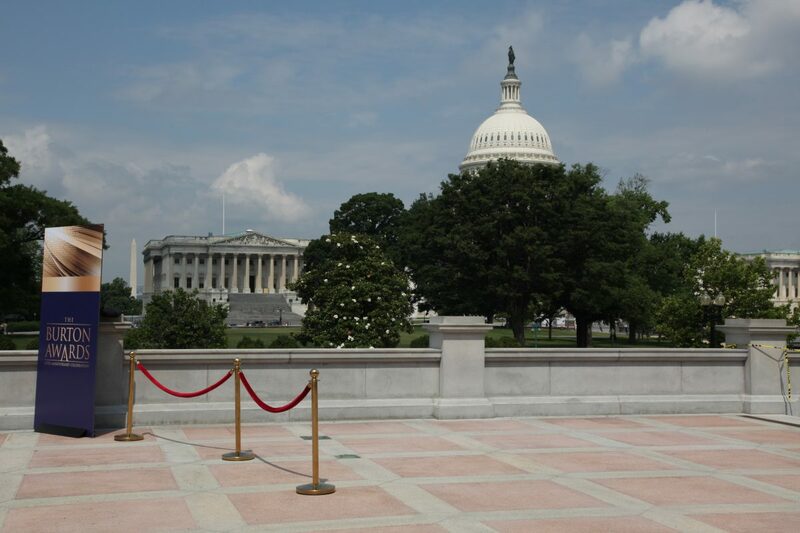 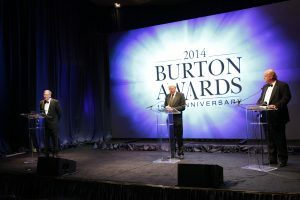 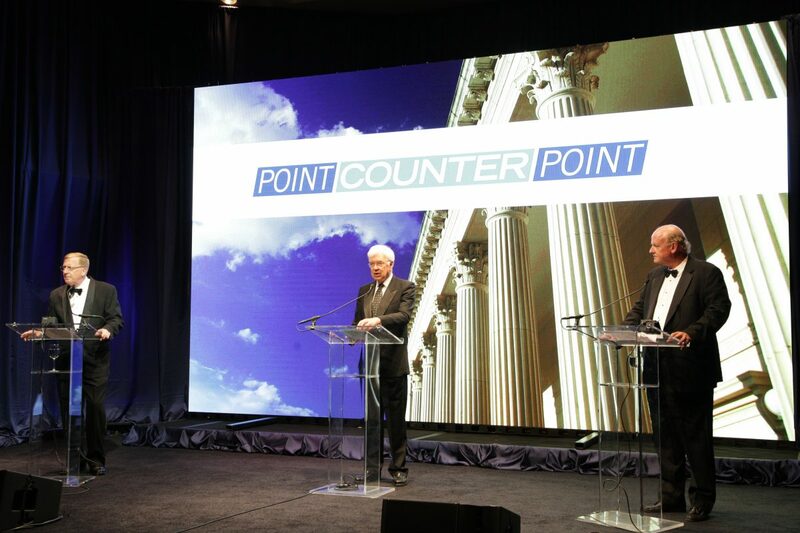 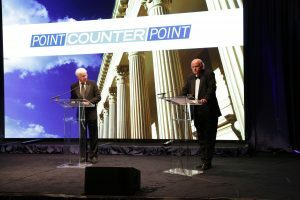 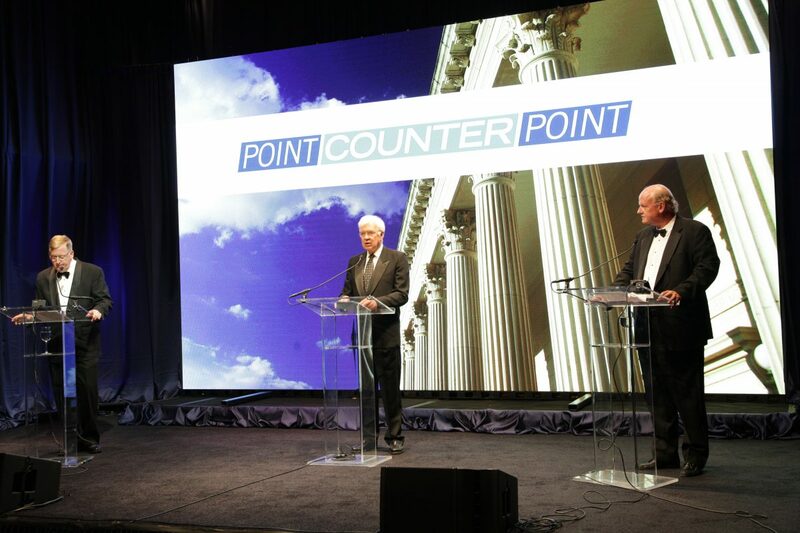 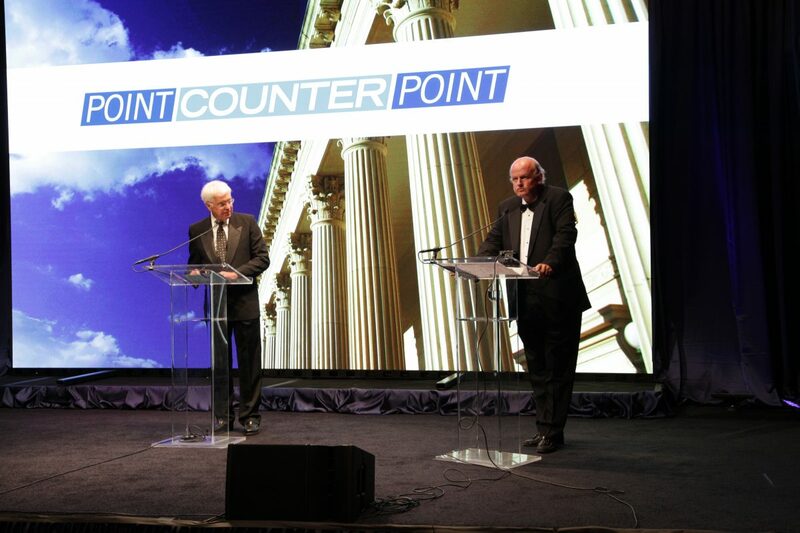 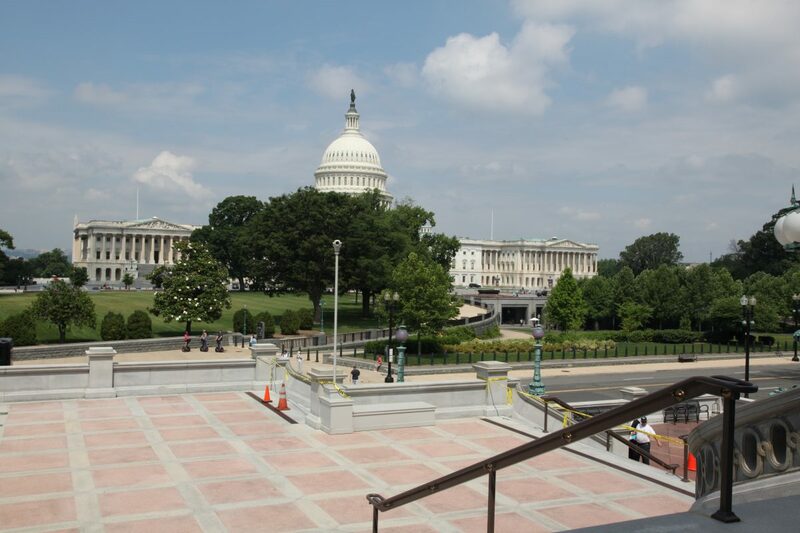 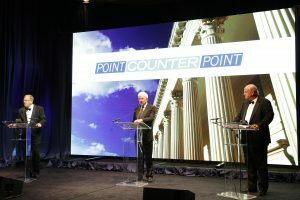 The “Point/Counterpoint” debate featured Paul M. Smith, Partner and Chair at Jenner & Block’s Washington, DC office and Michael A. Carvin, Partner at Jones Day’s Washington, DC office. 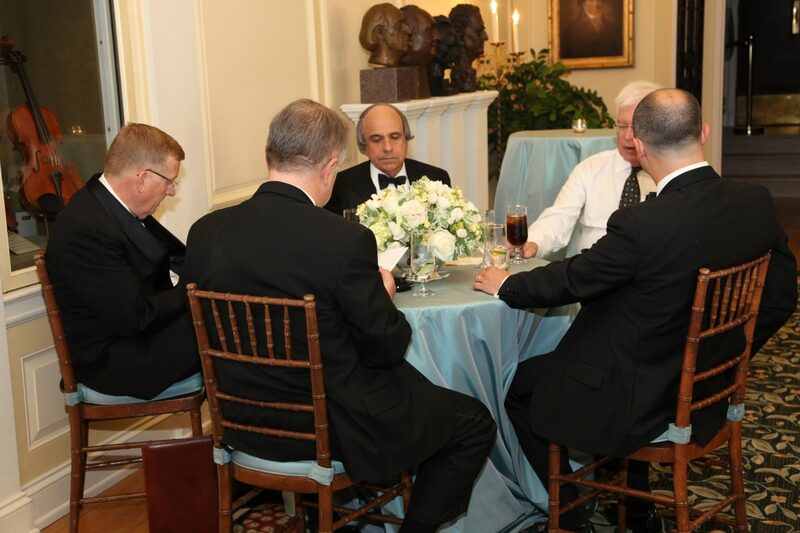 The issue was the Contraceptive Mandate. 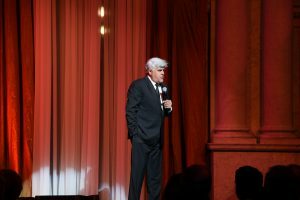 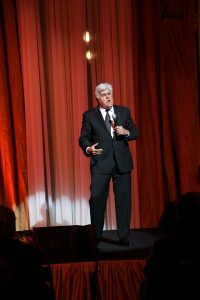 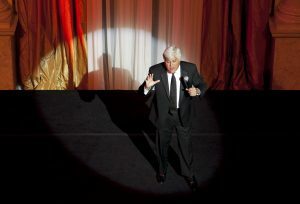 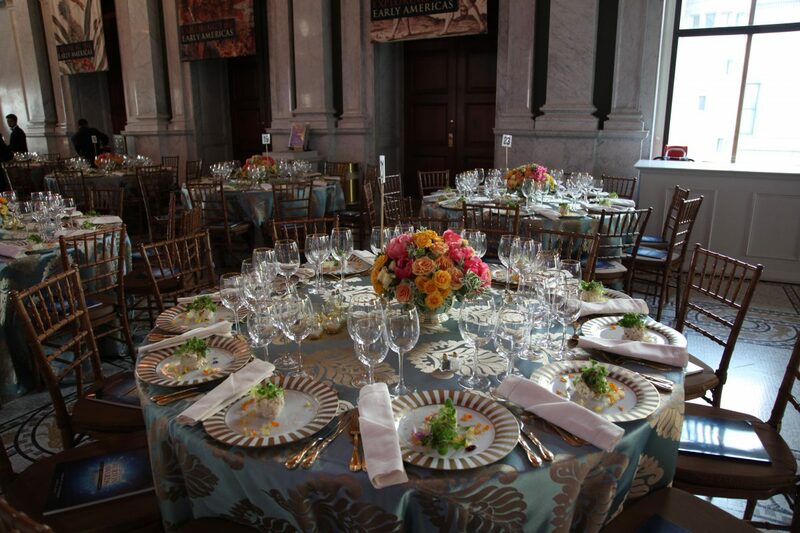 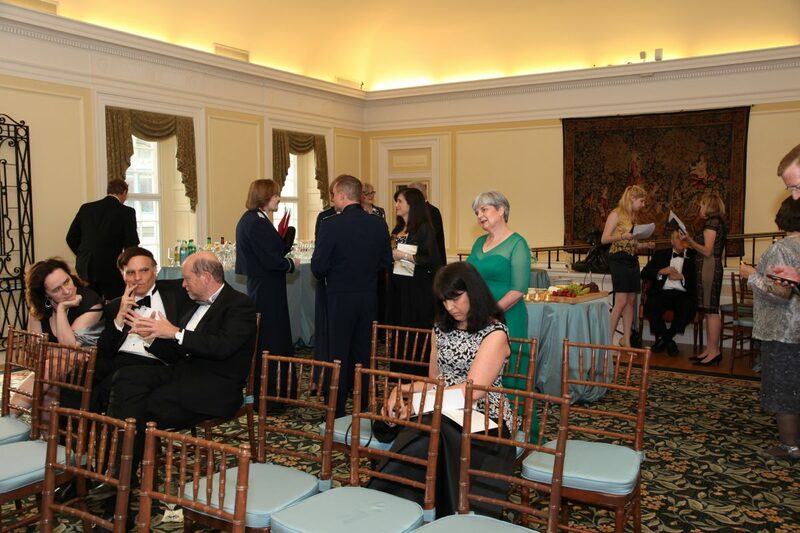 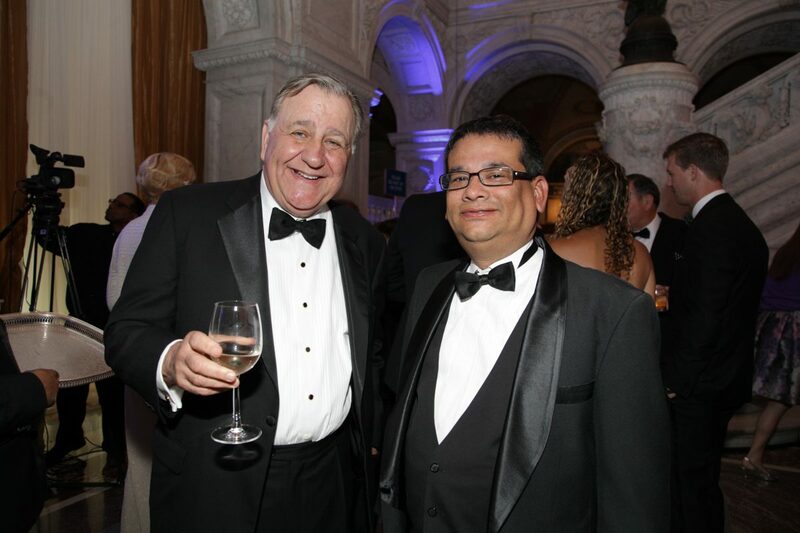 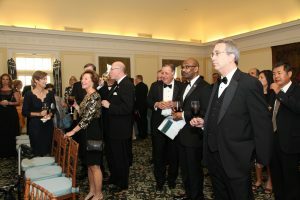 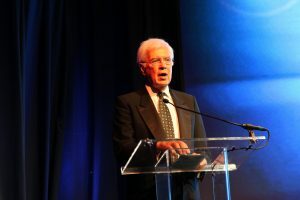 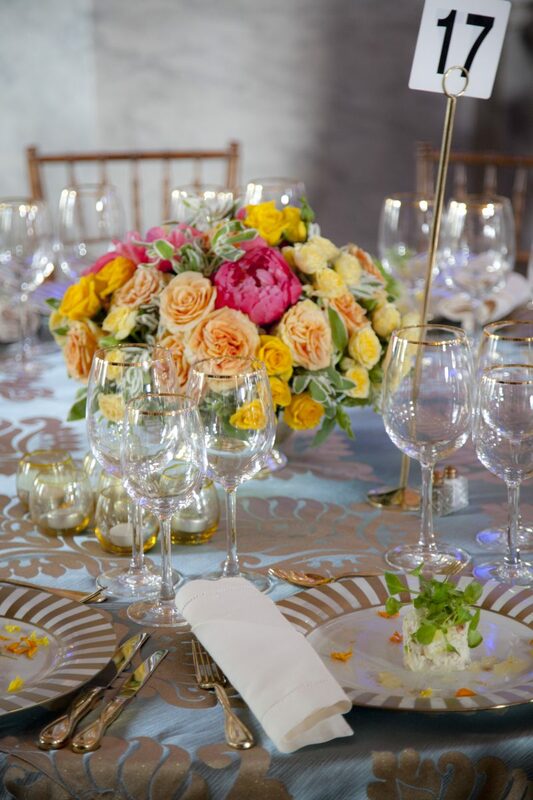 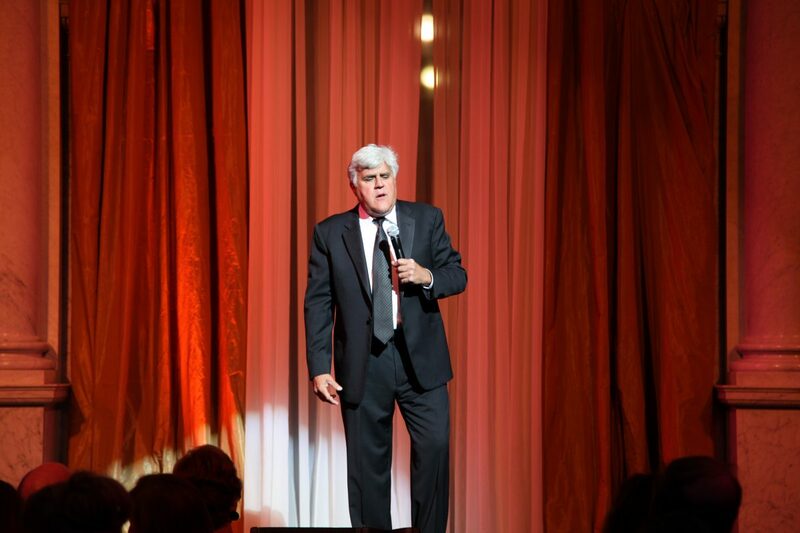 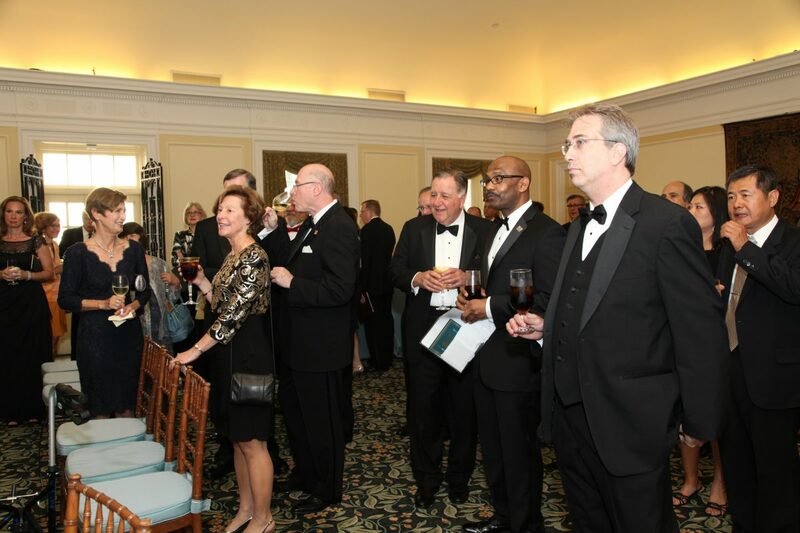 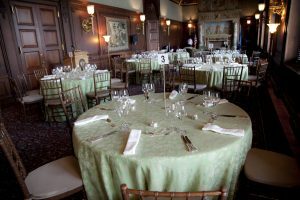 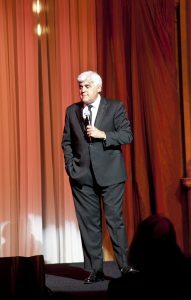 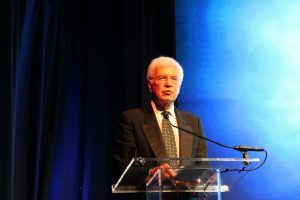 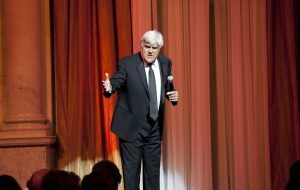 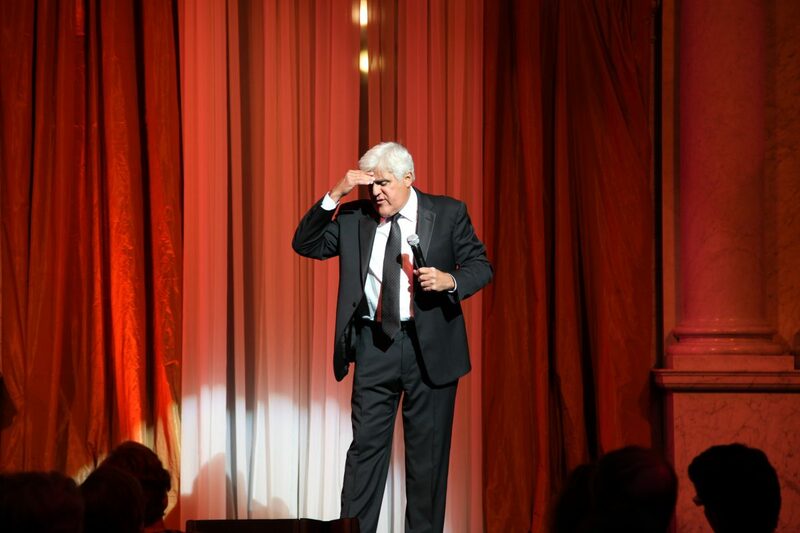 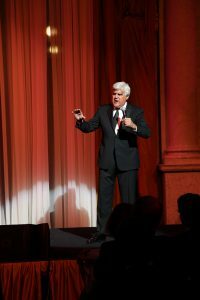 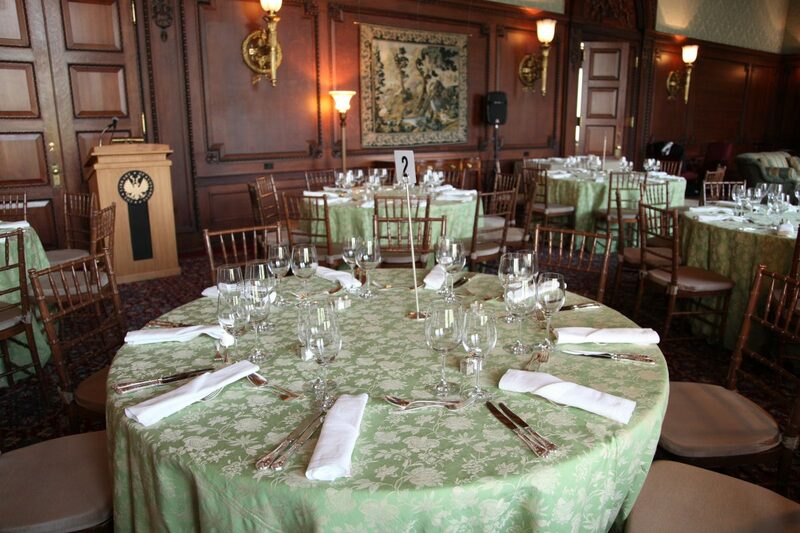 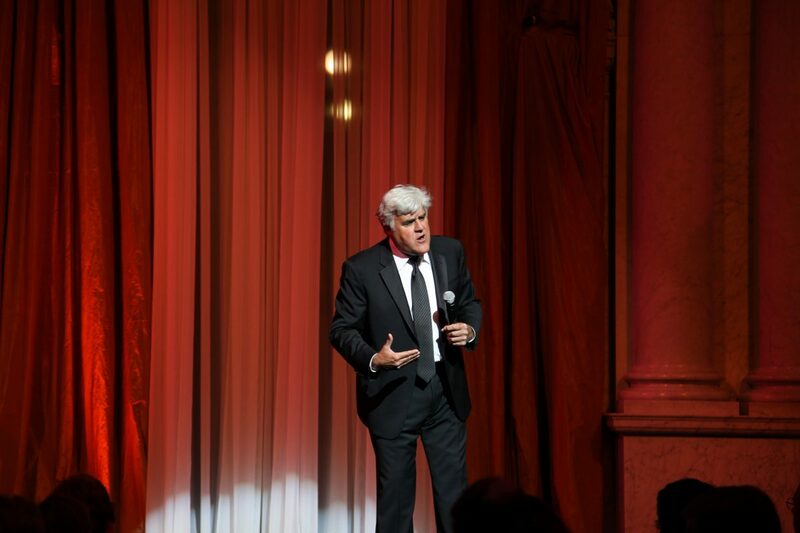 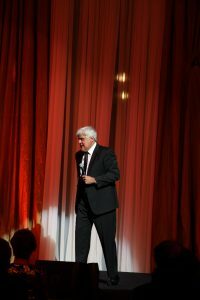 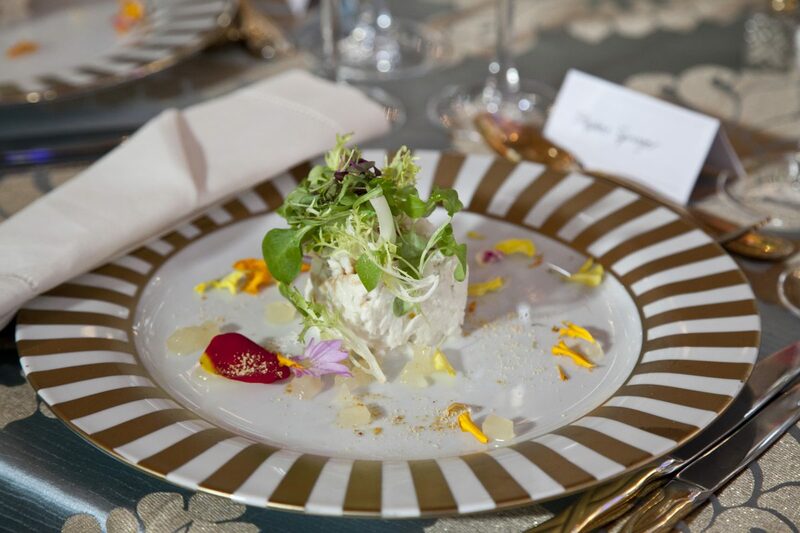 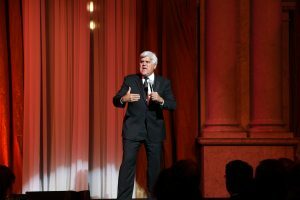 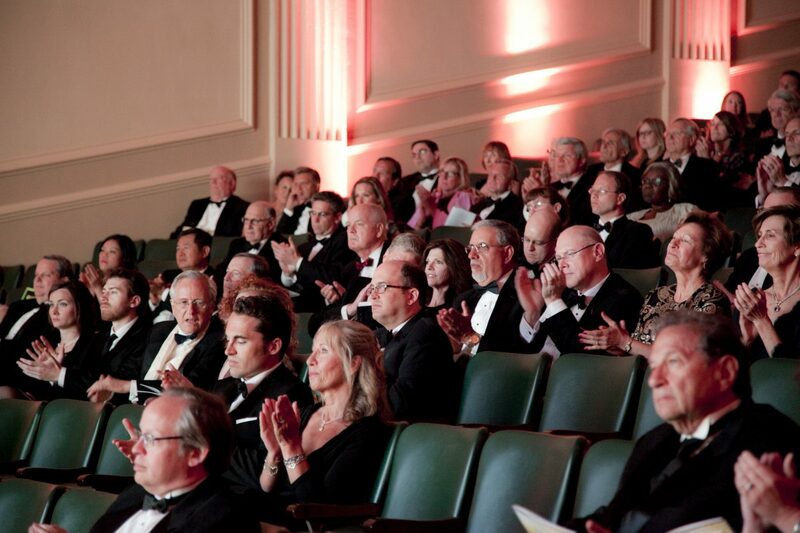 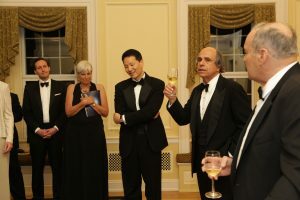 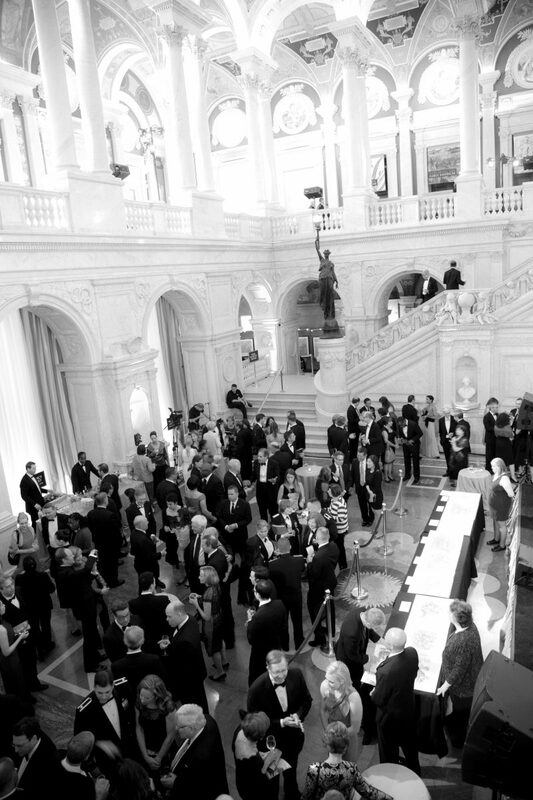 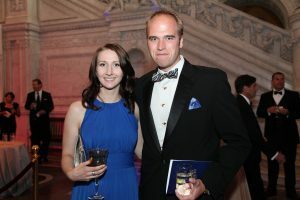 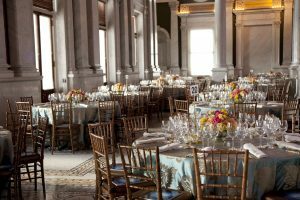 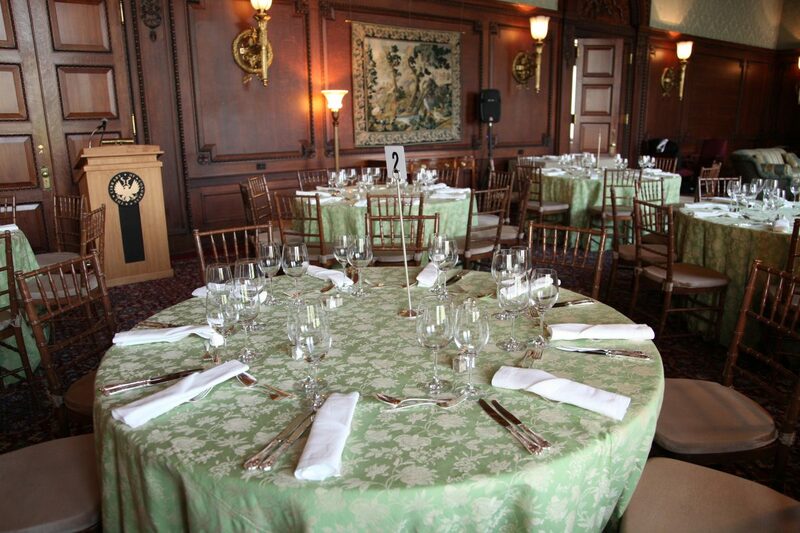 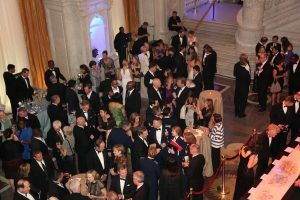 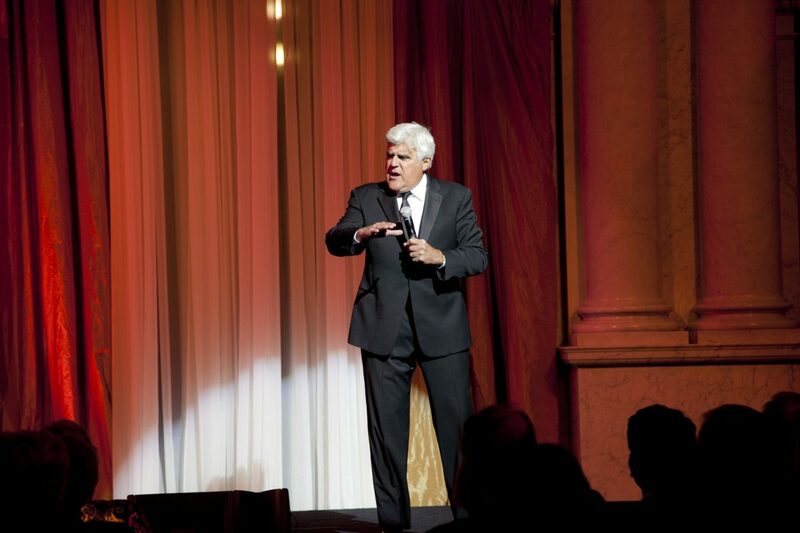 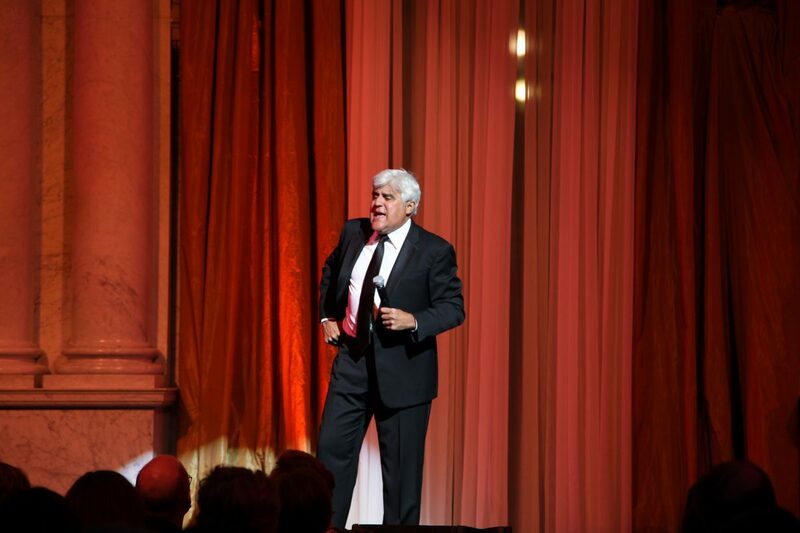 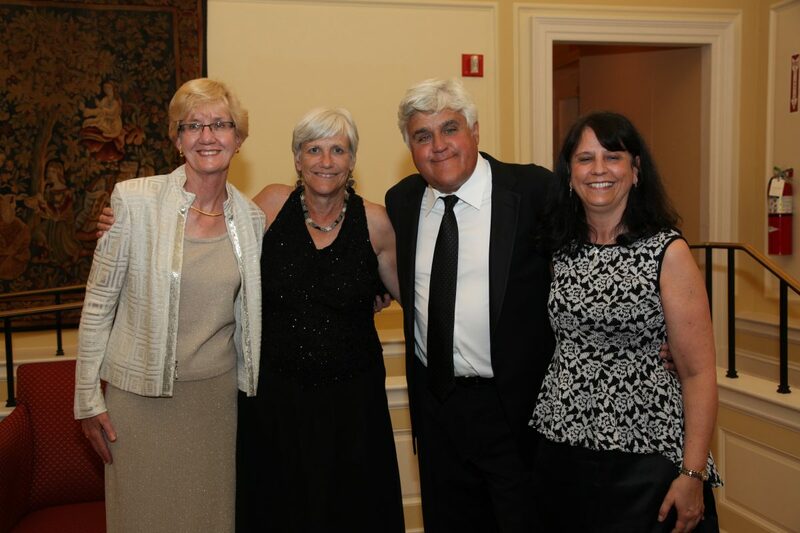 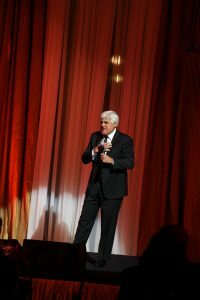 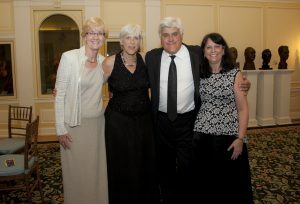 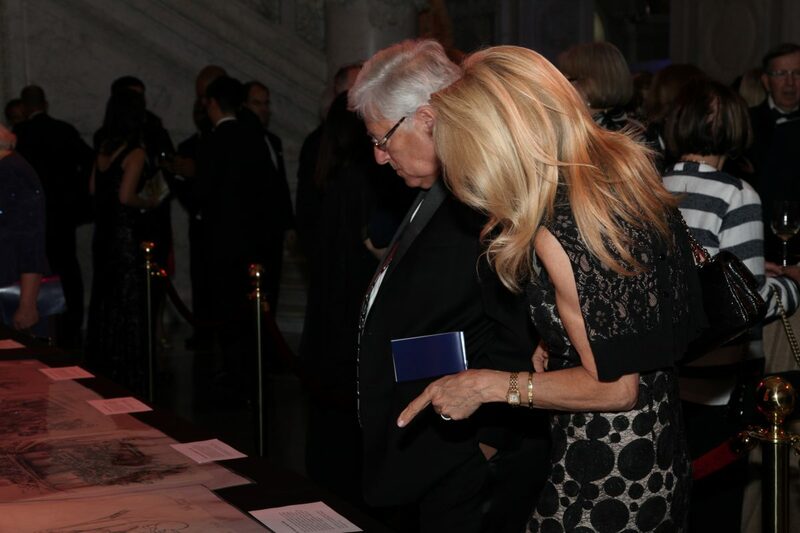 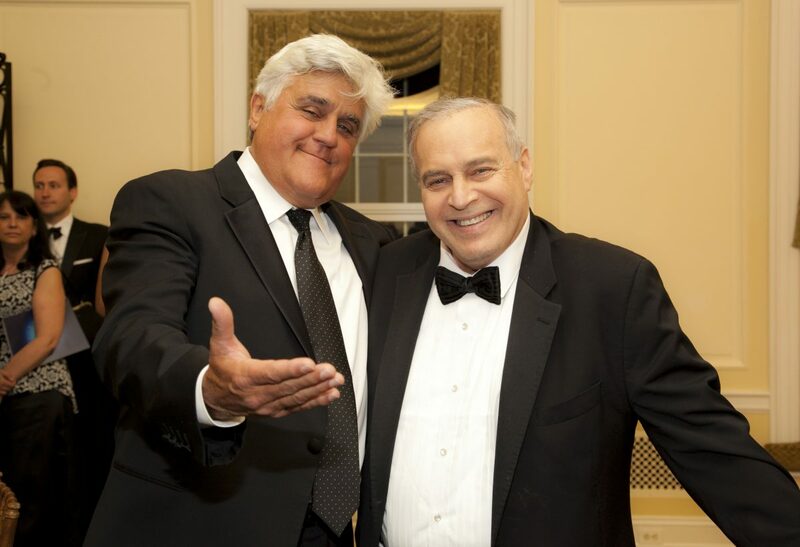 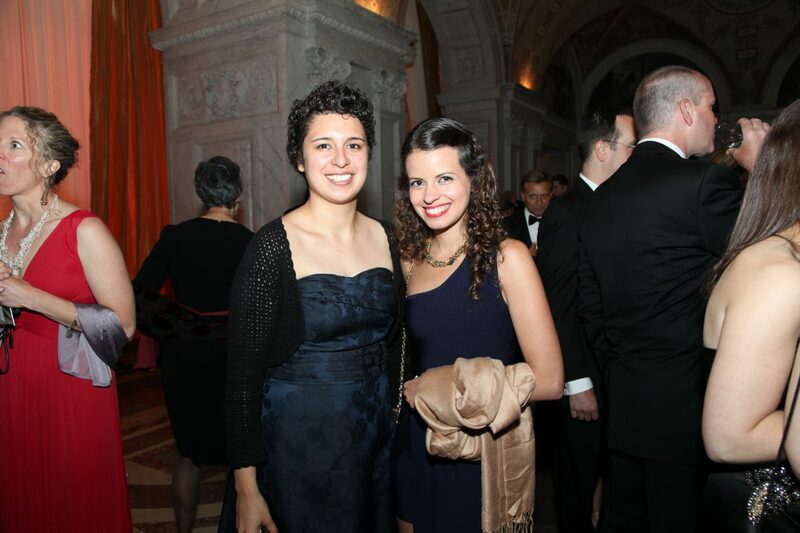 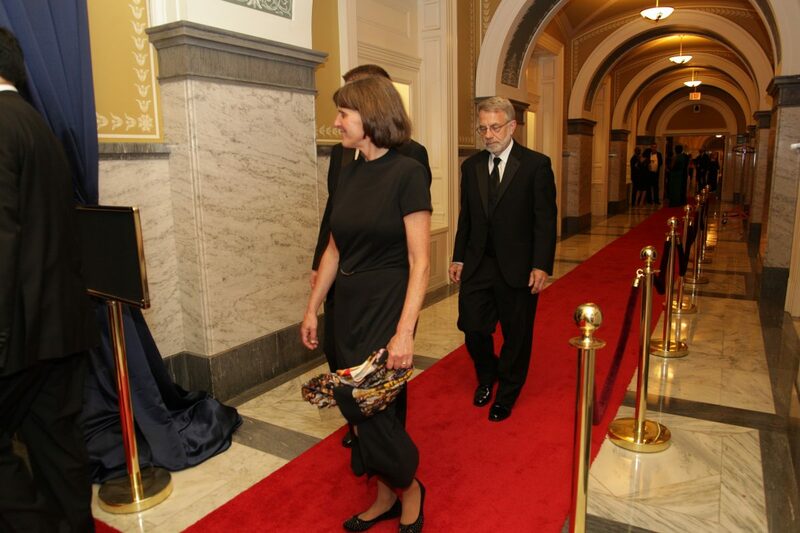 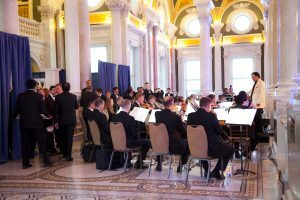 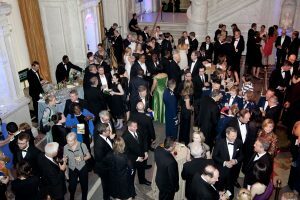 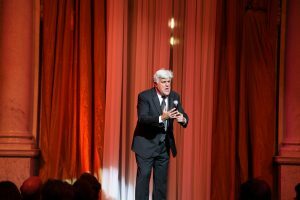 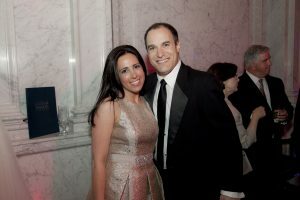 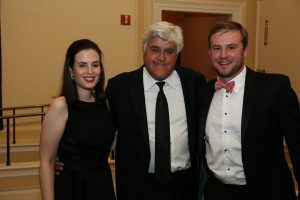 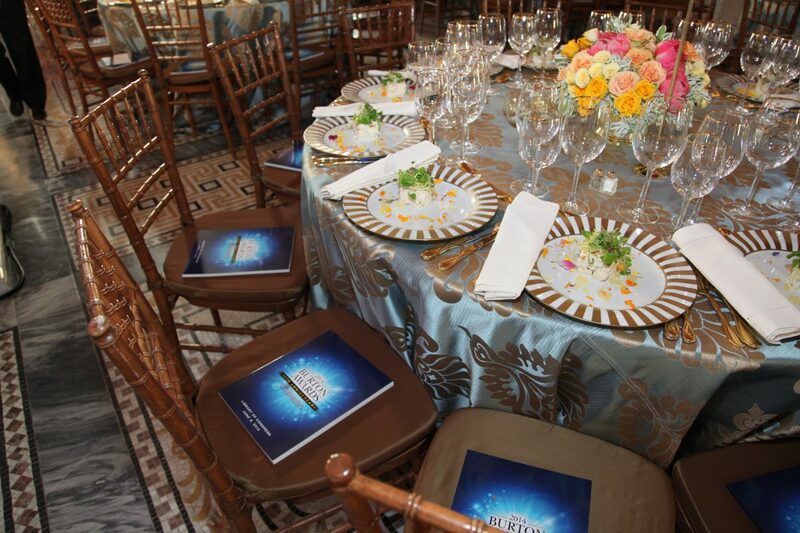 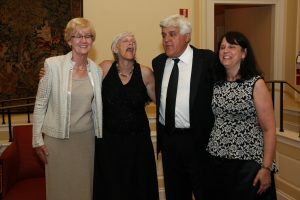 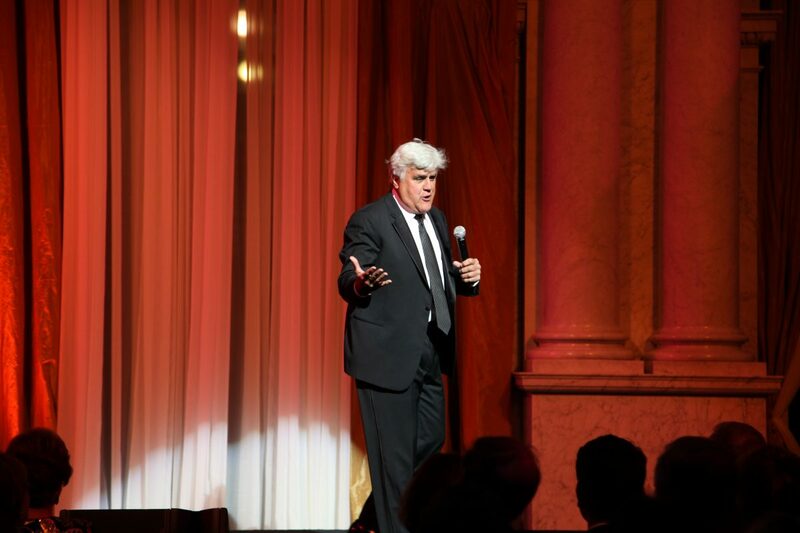 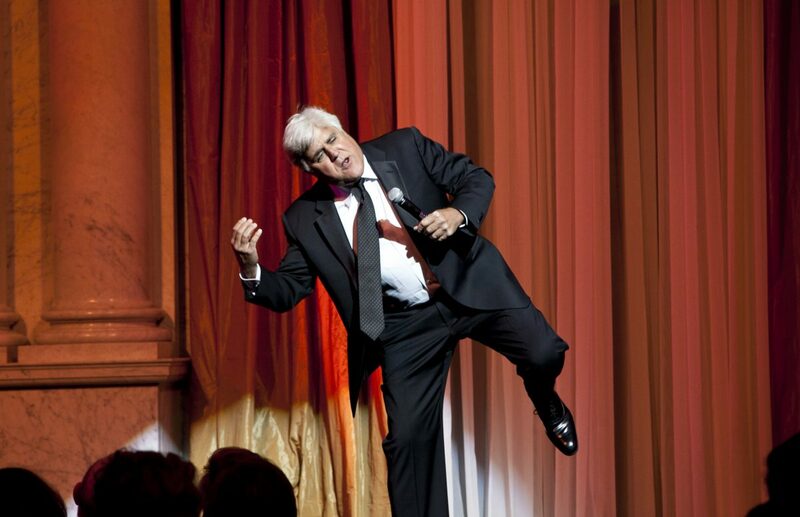 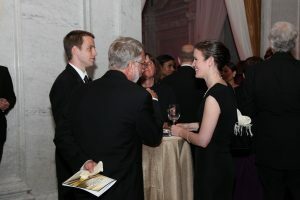 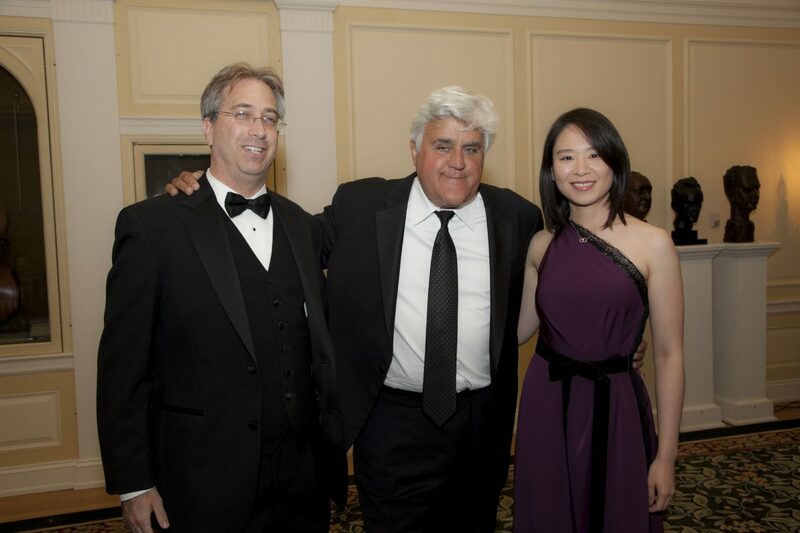 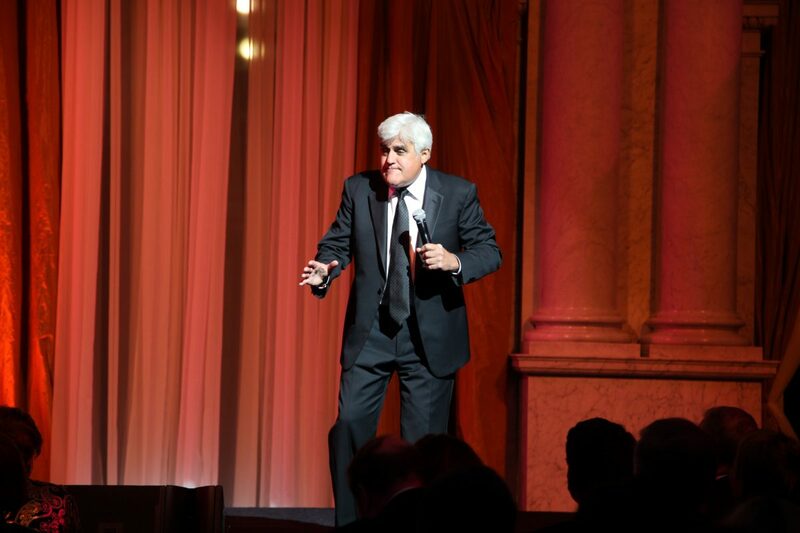 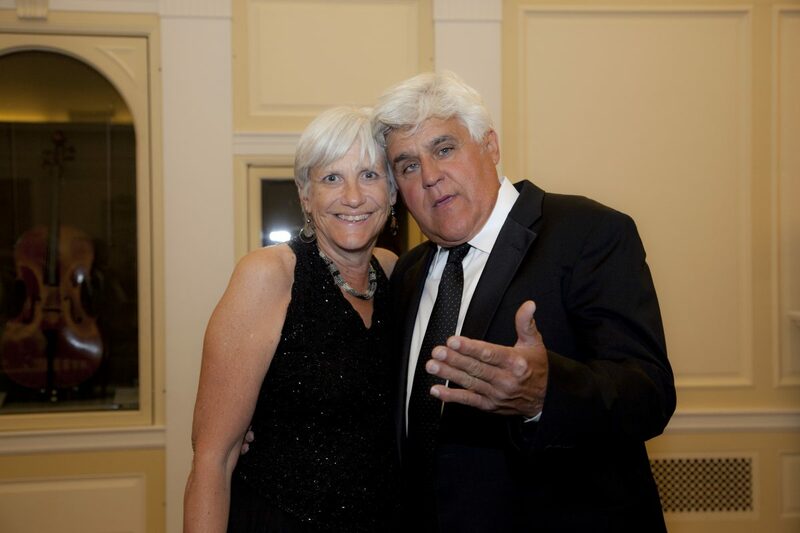 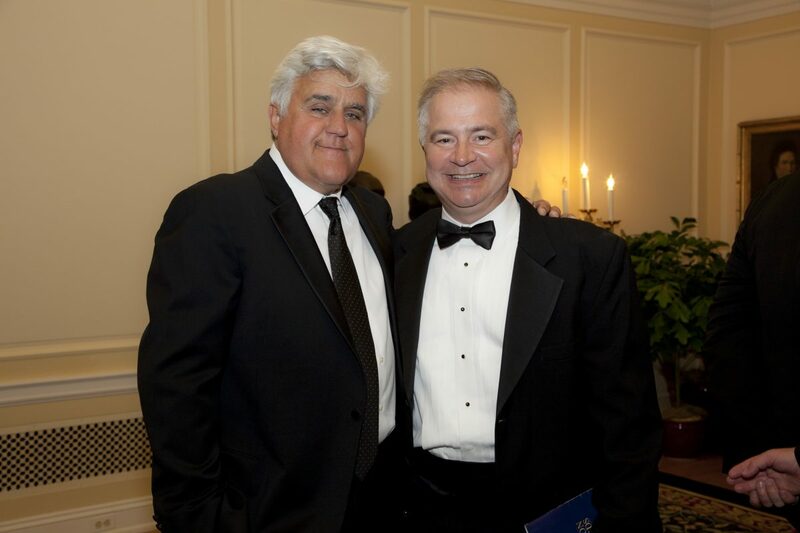 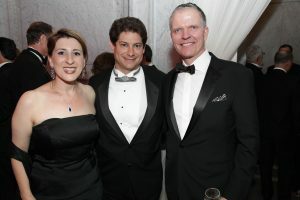 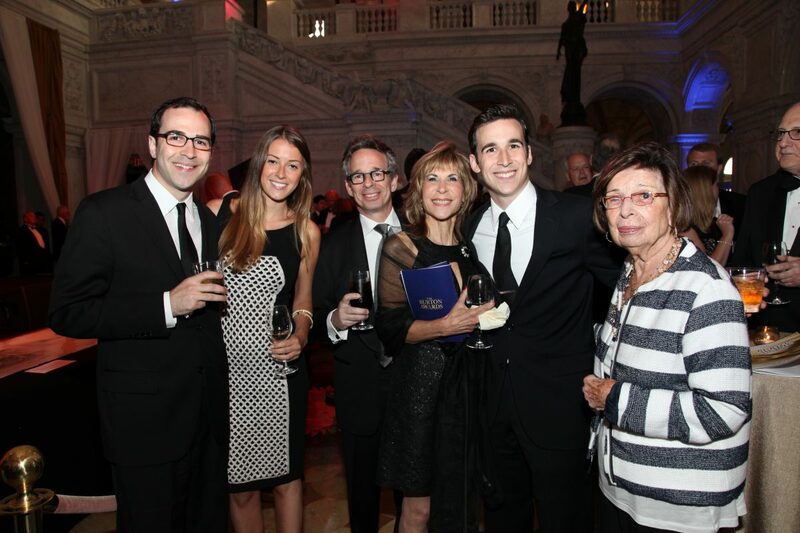 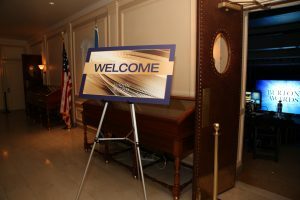 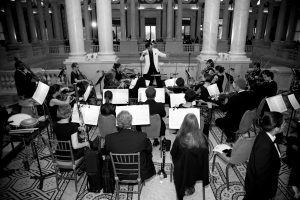 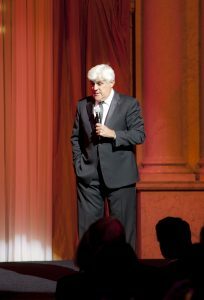 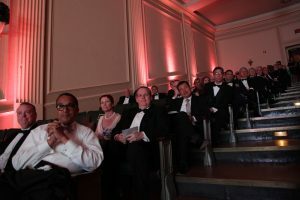 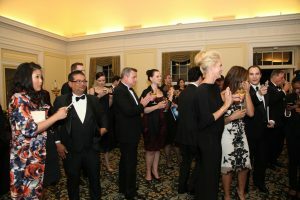 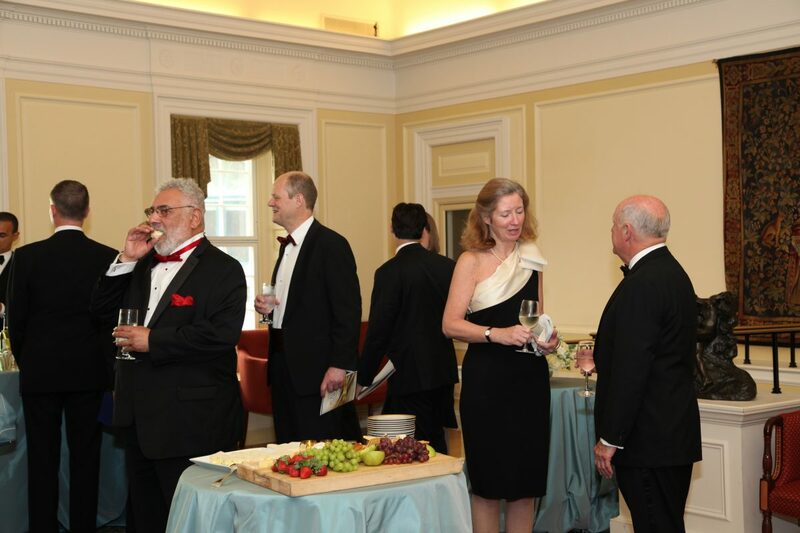 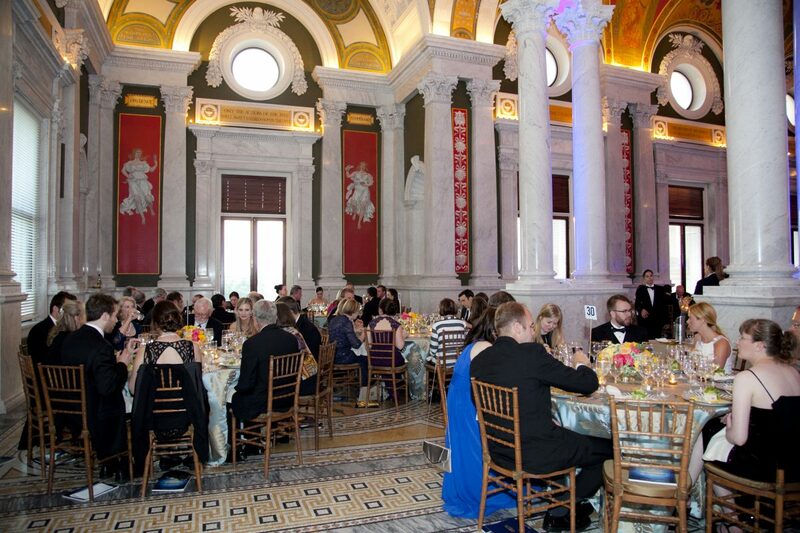 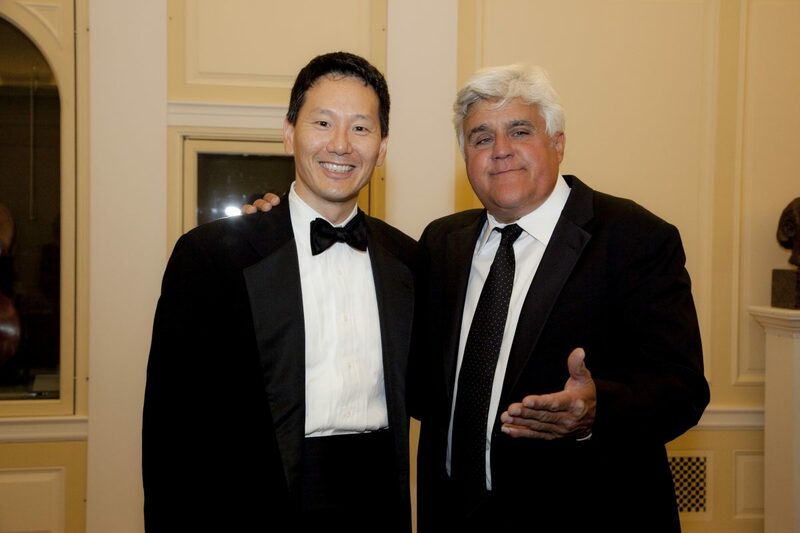 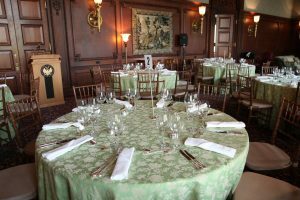 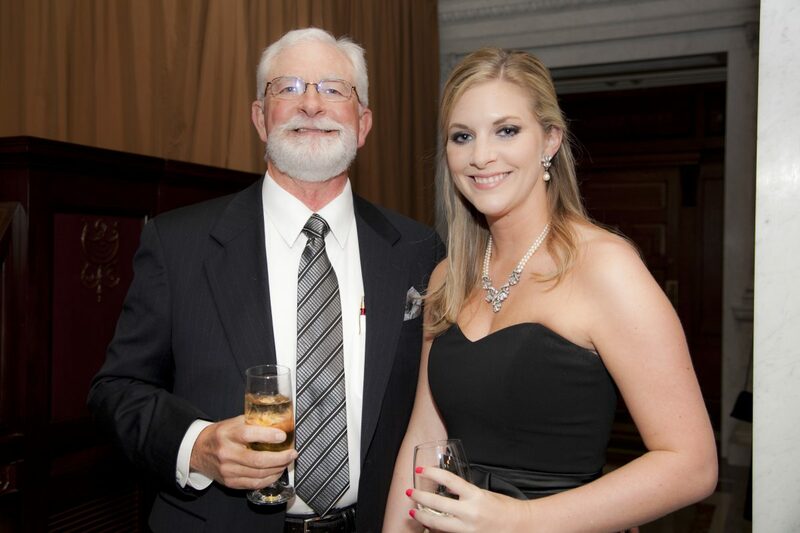 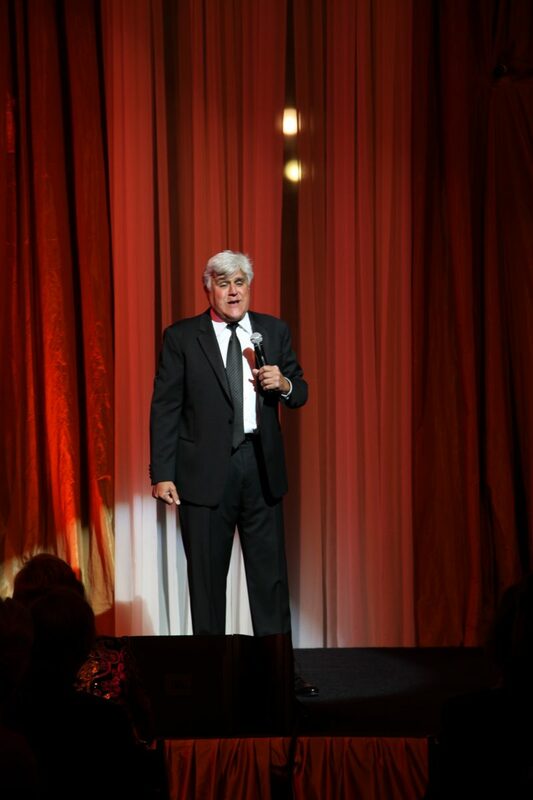 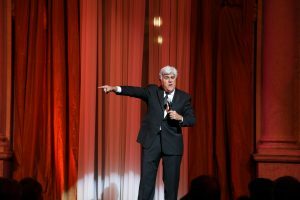 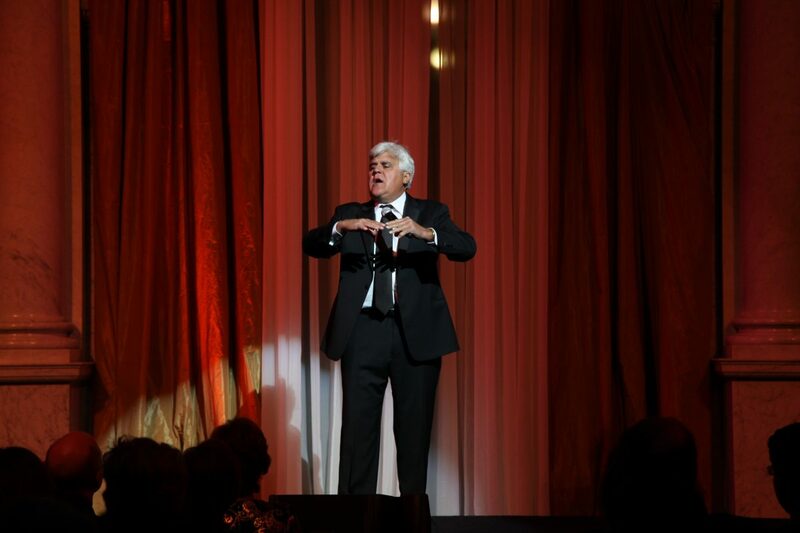 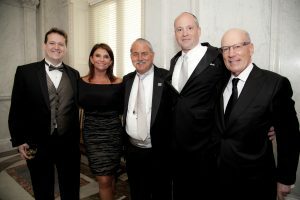 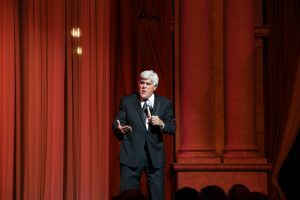 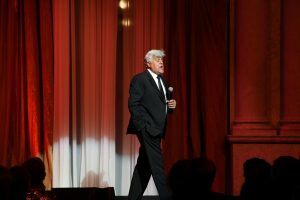 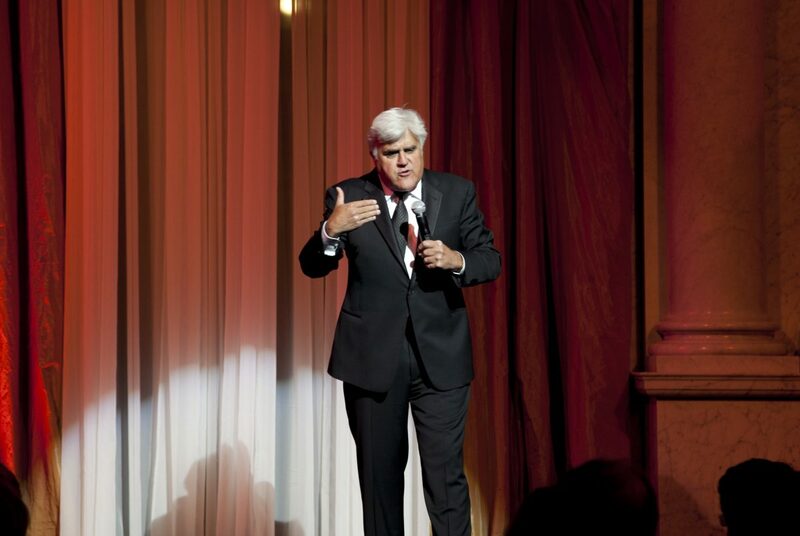 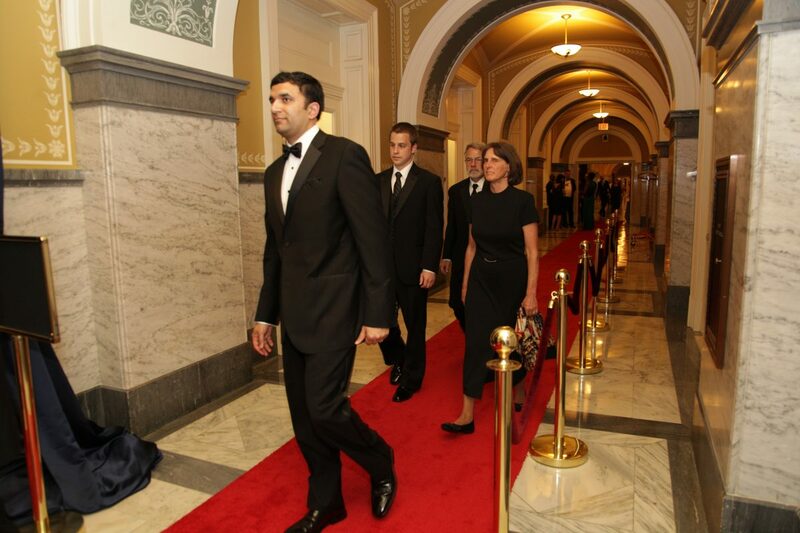 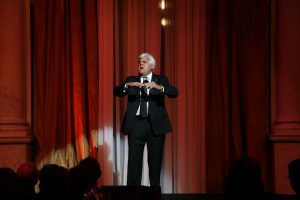 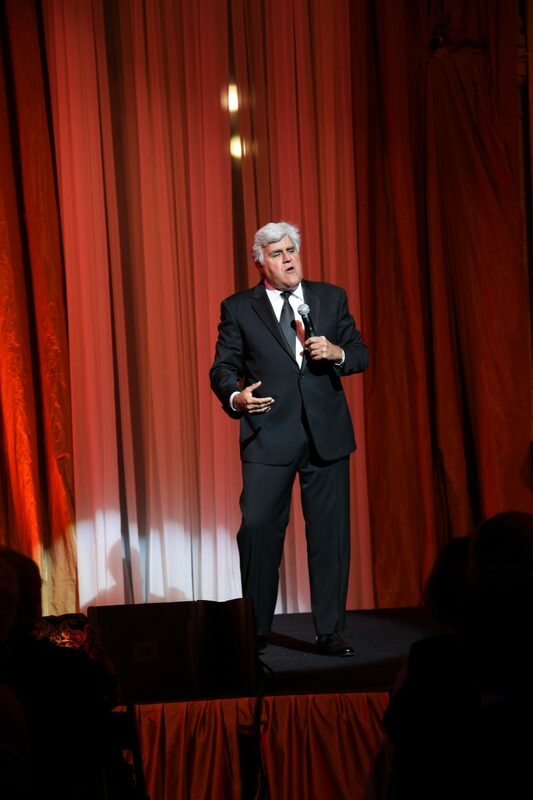 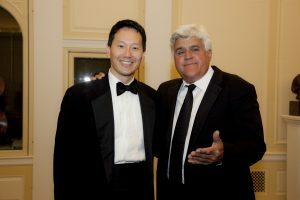 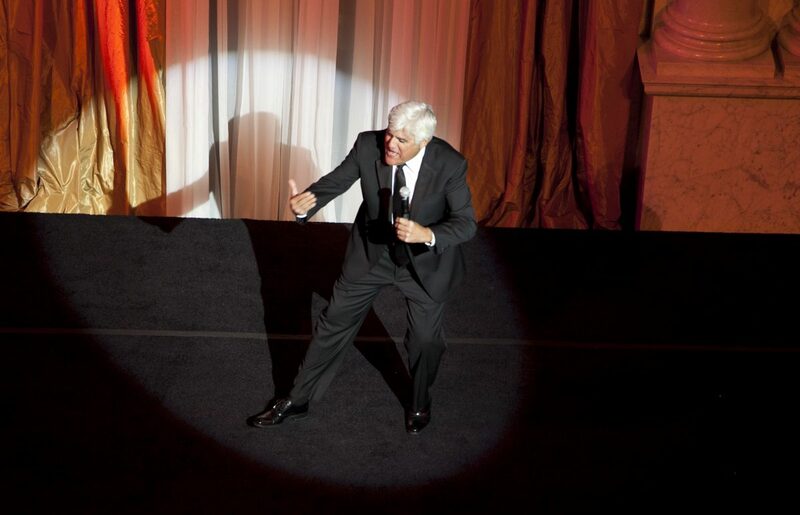 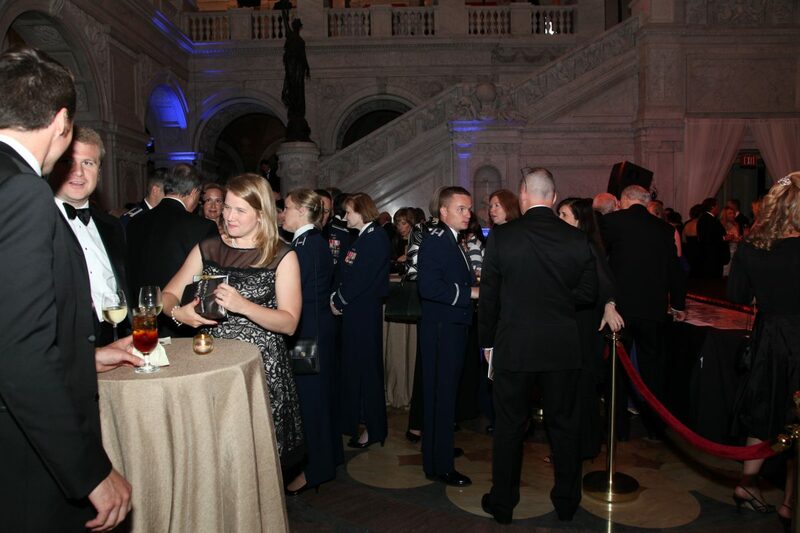 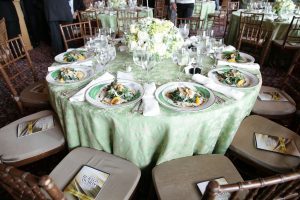 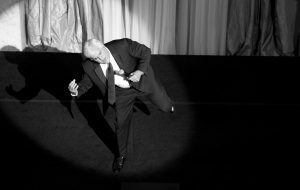 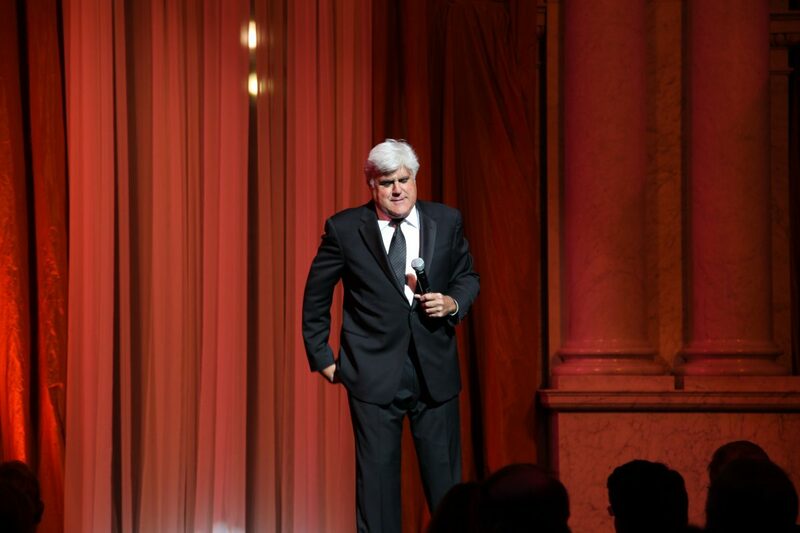 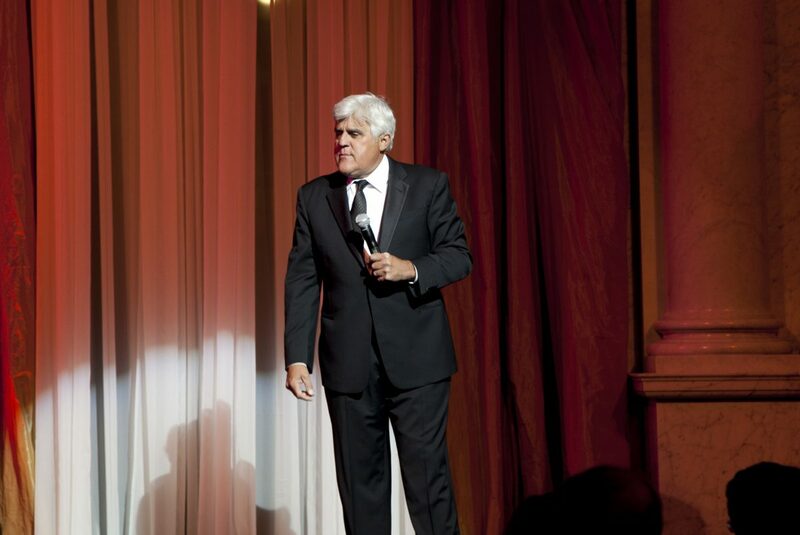 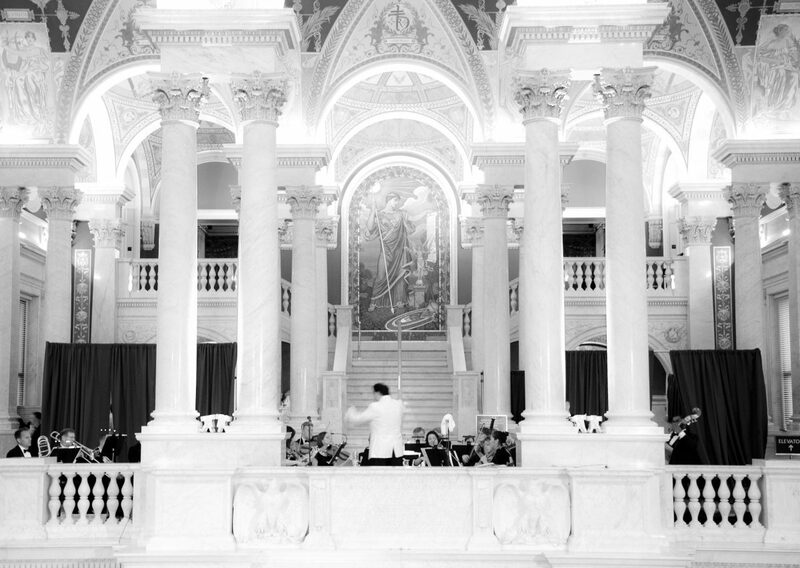 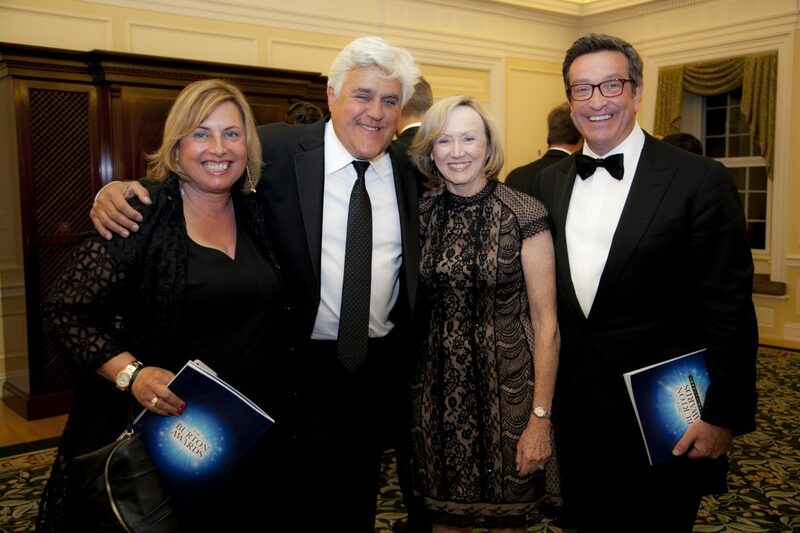 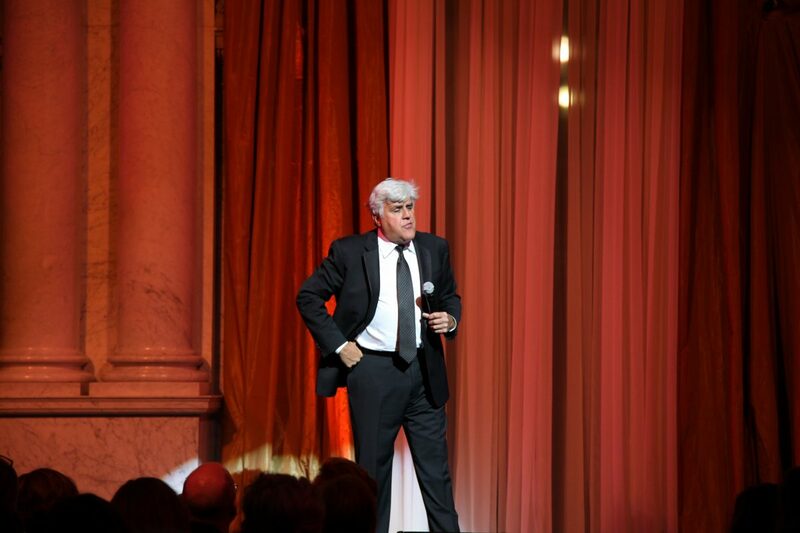 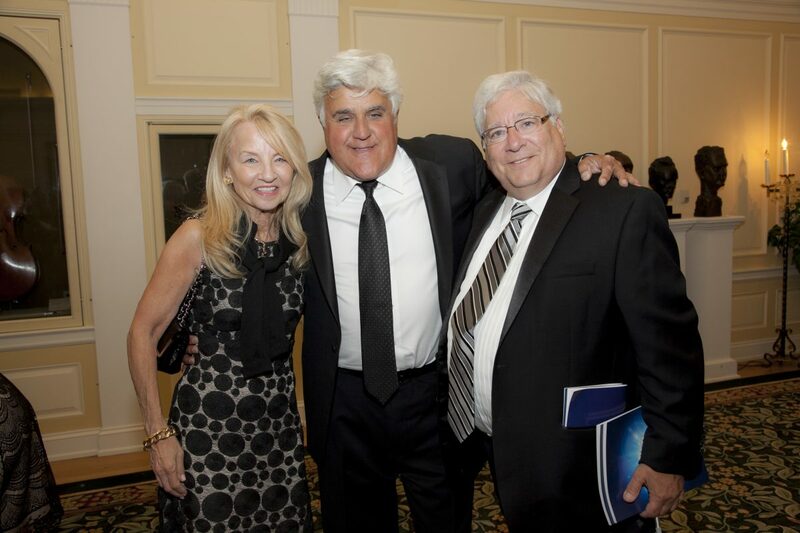 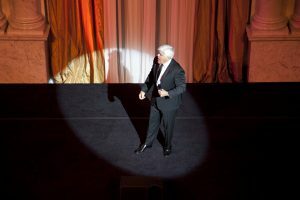 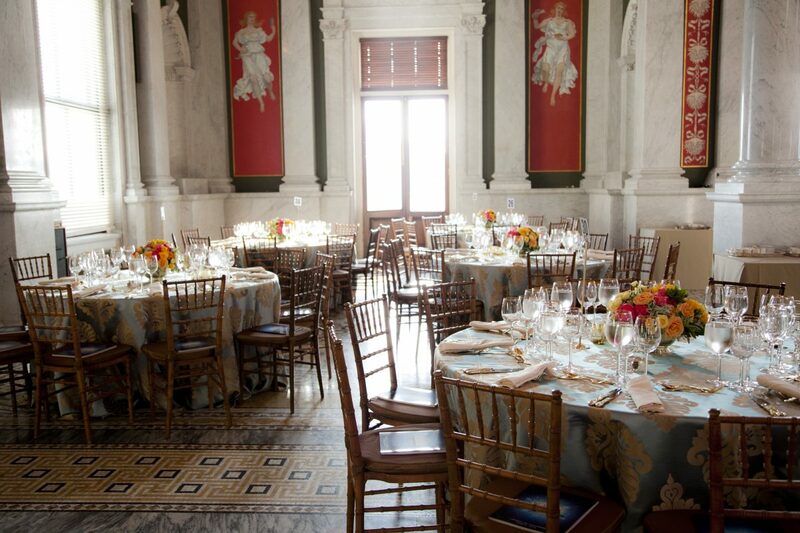 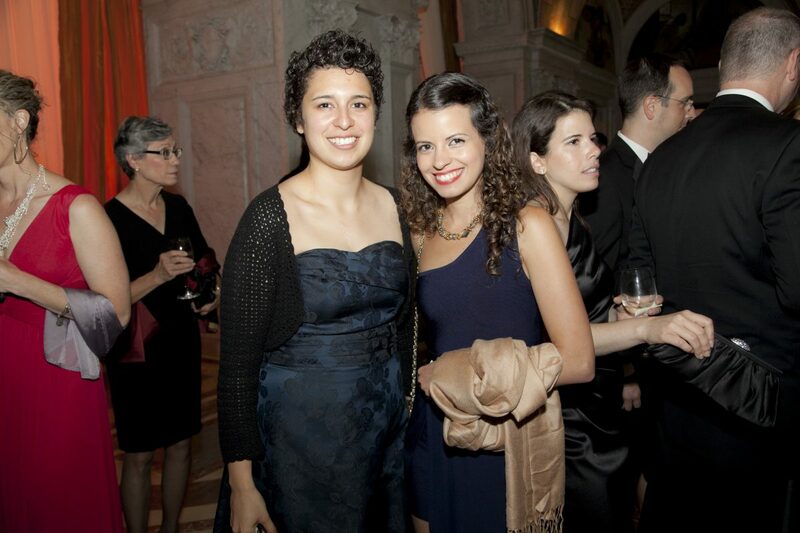 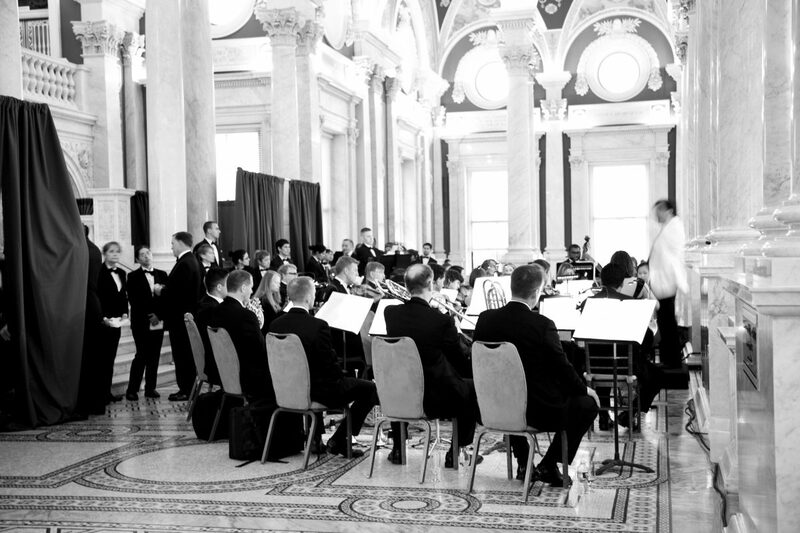 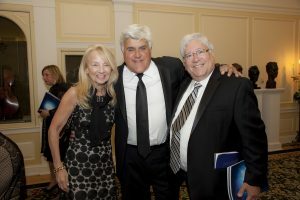 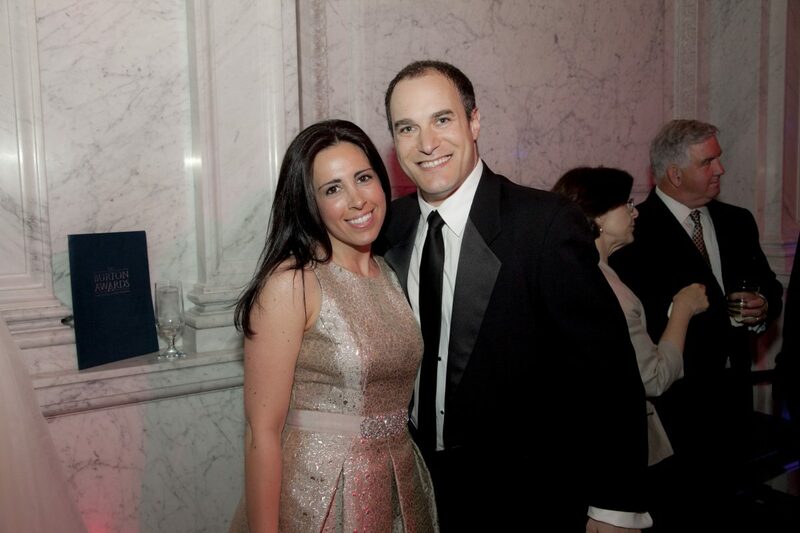 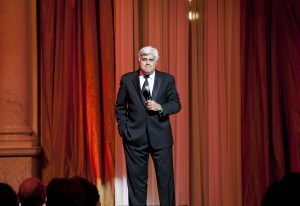 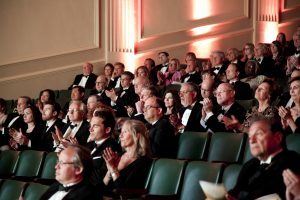 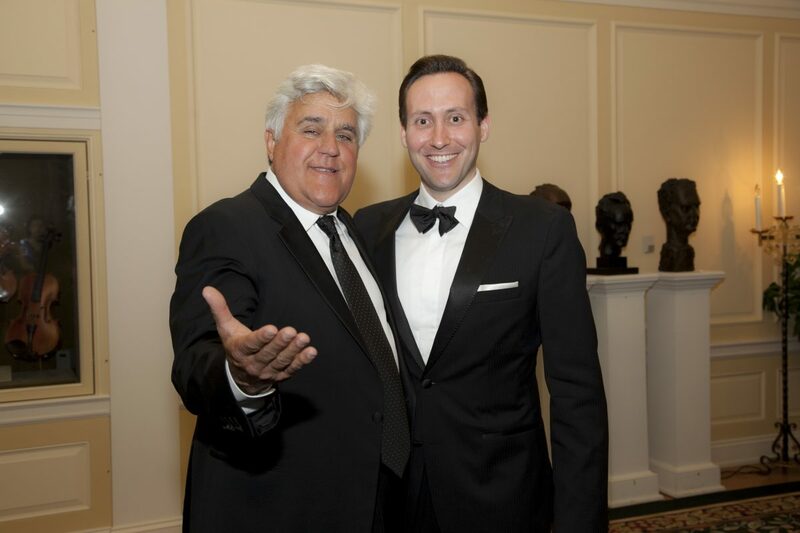 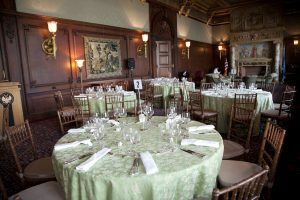 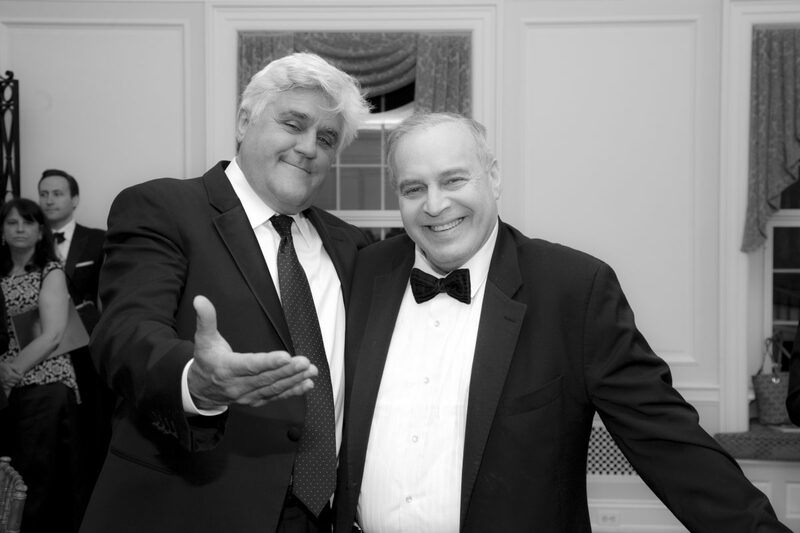 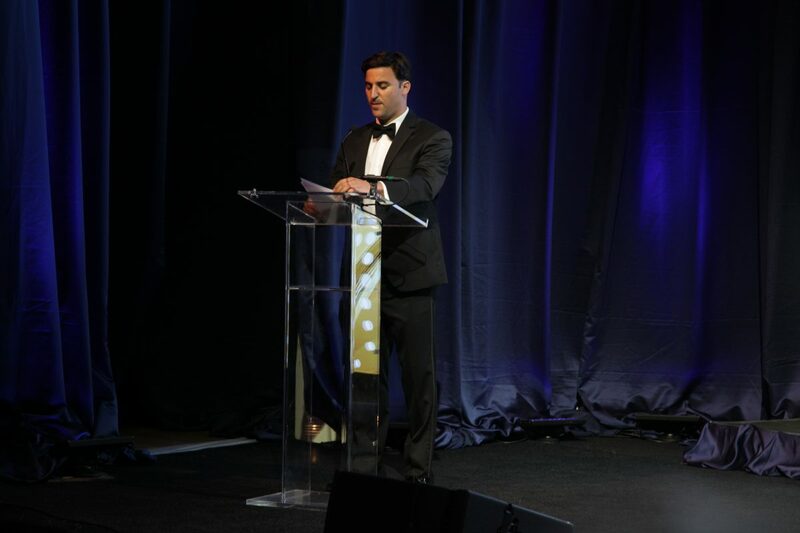 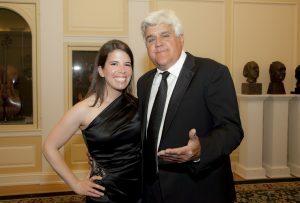 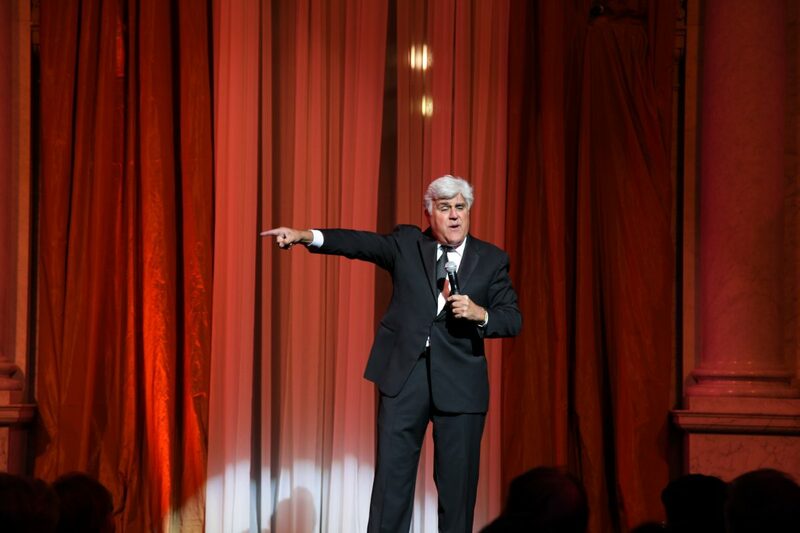 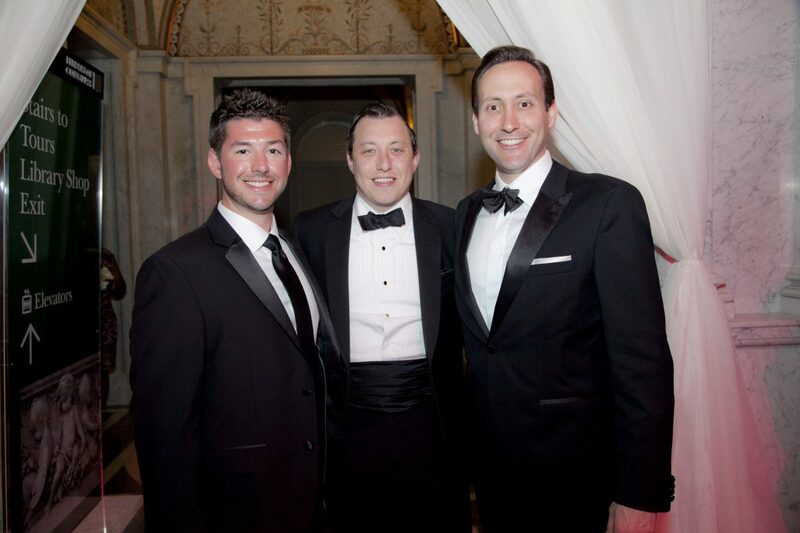 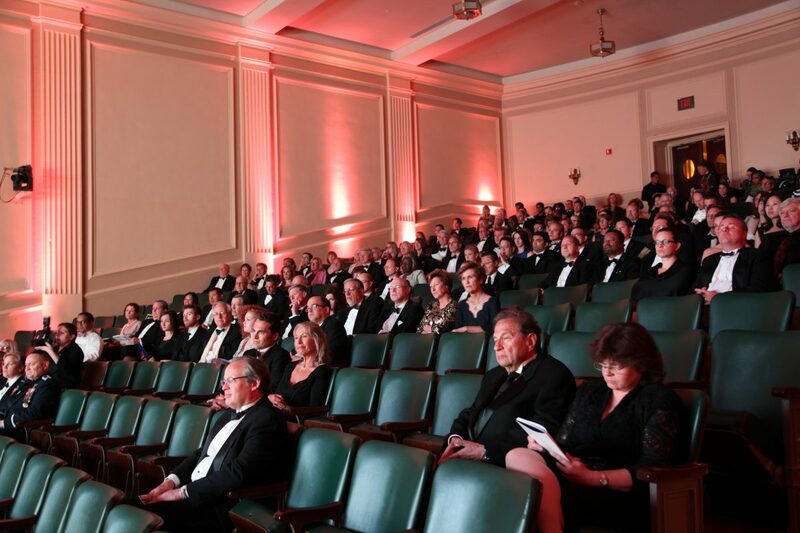 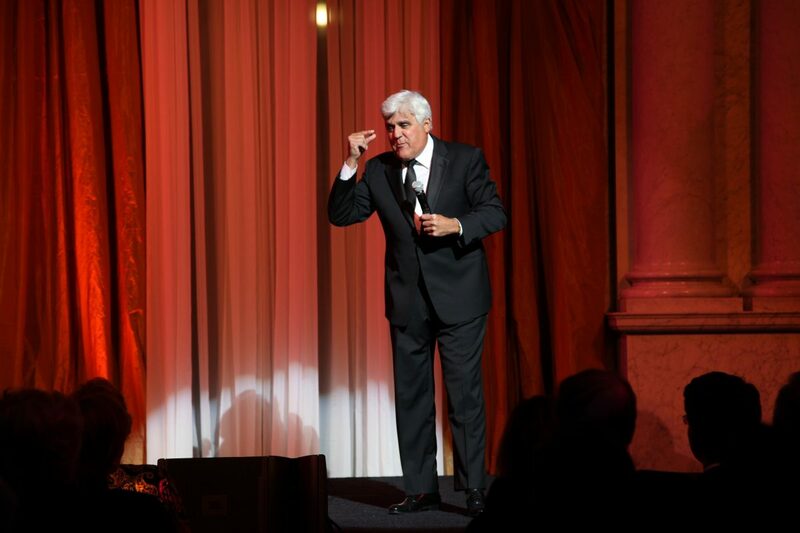 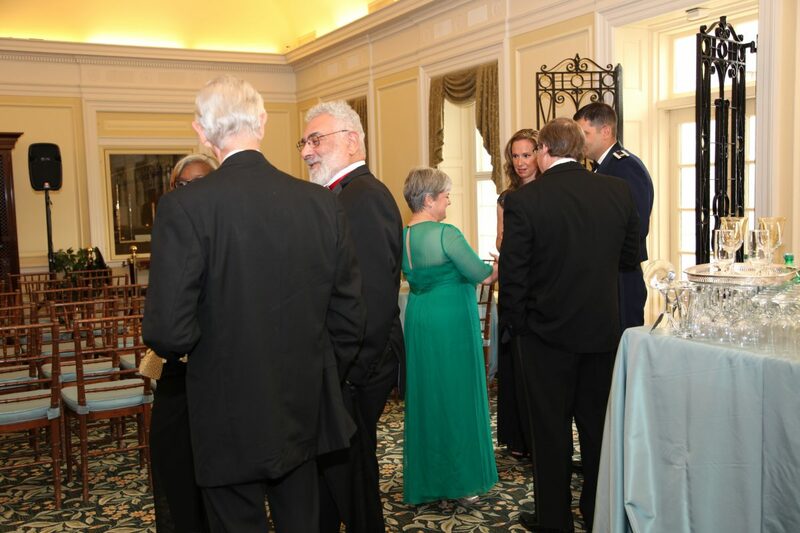 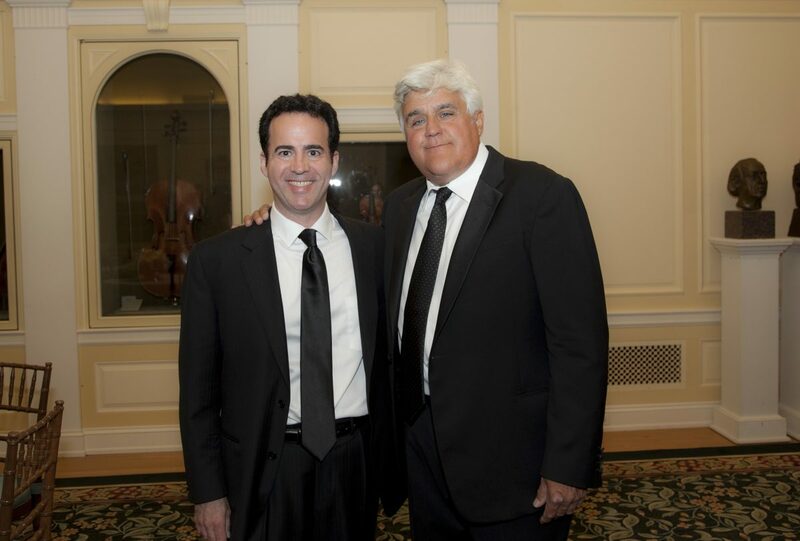 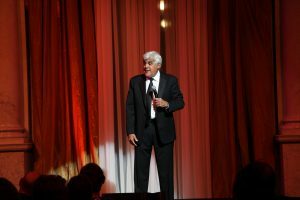 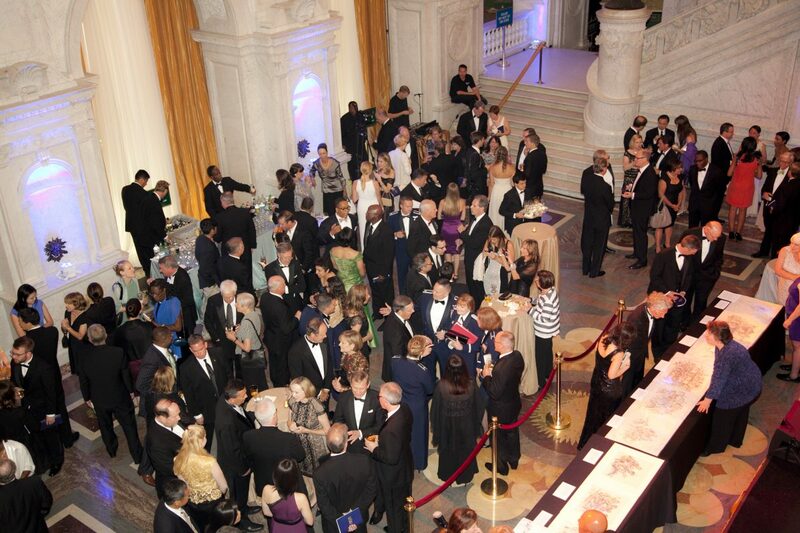 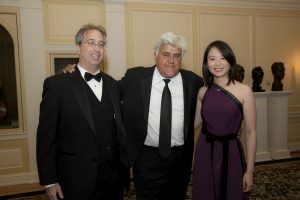 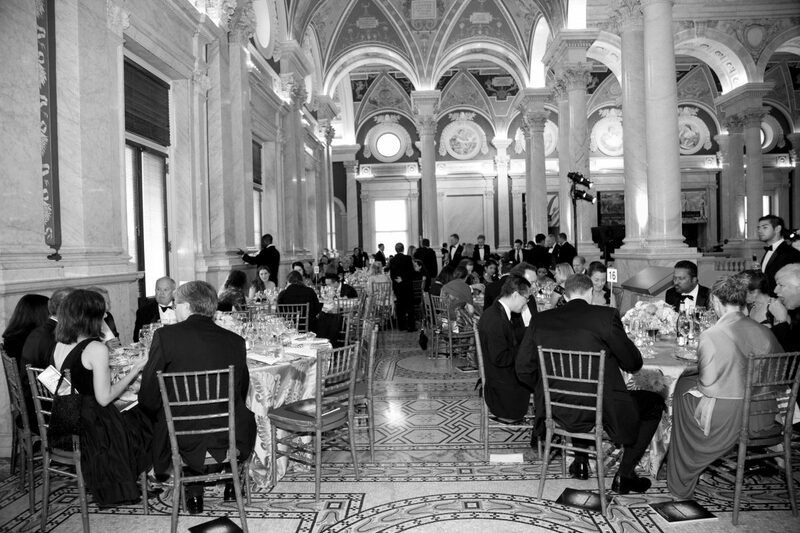 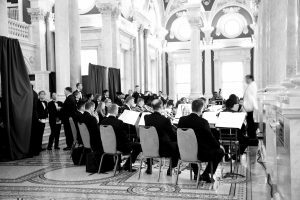 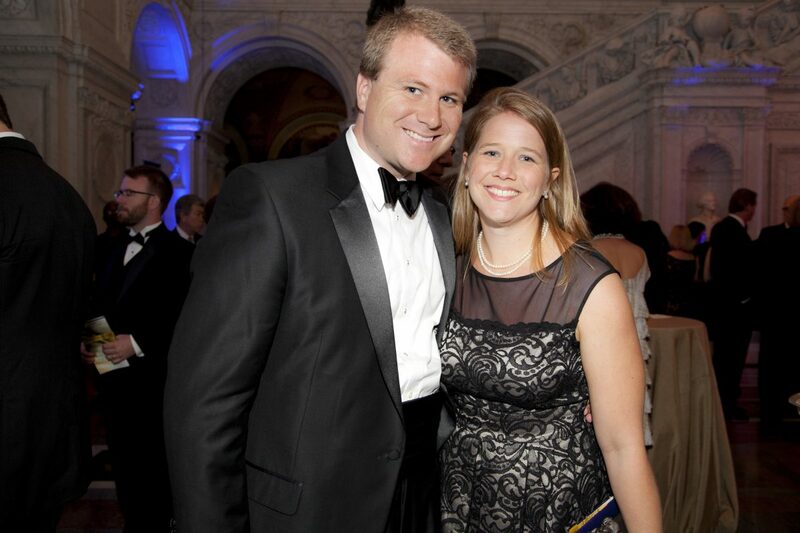 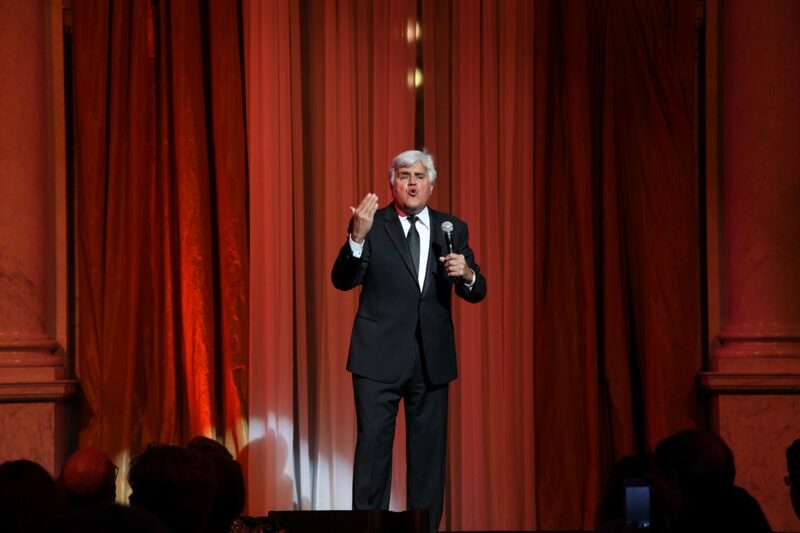 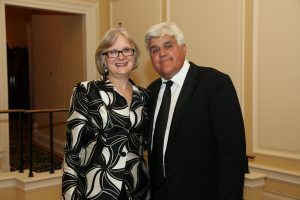 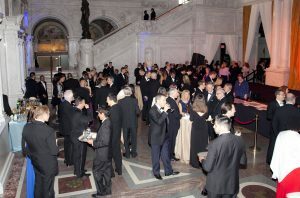 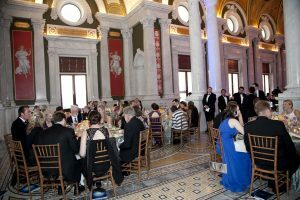 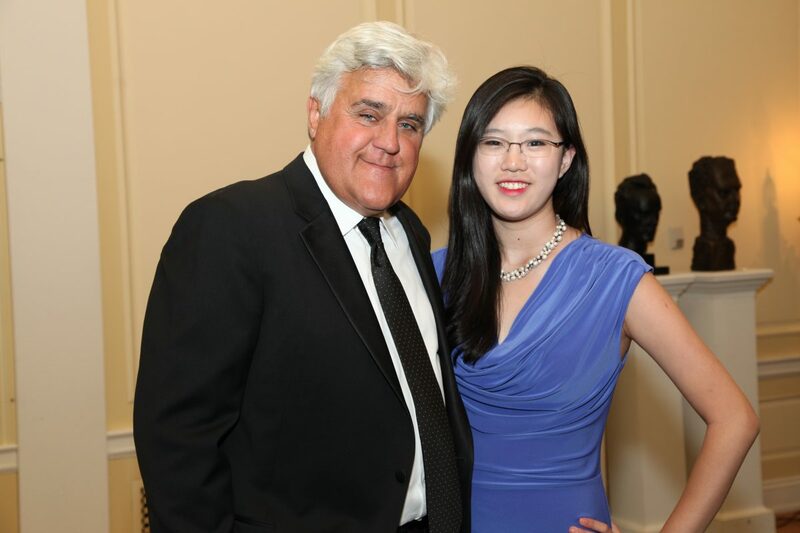 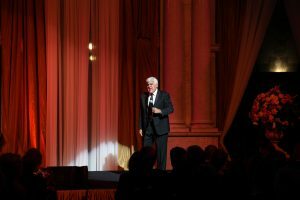 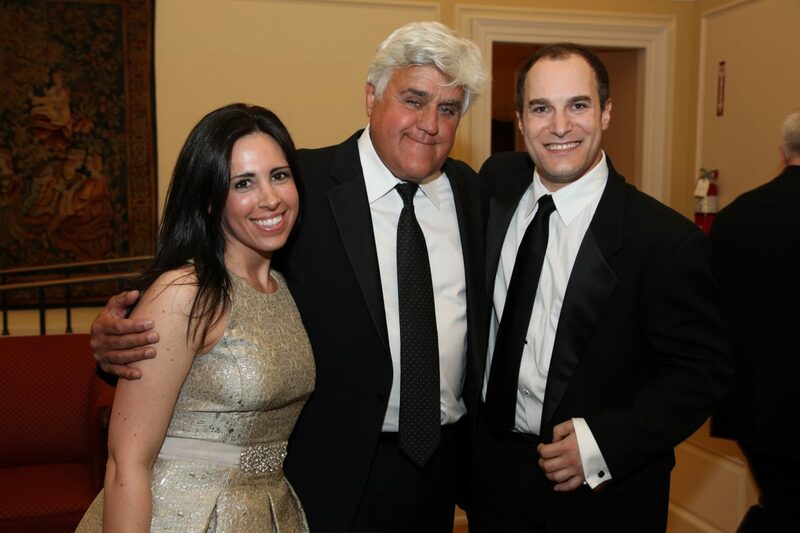 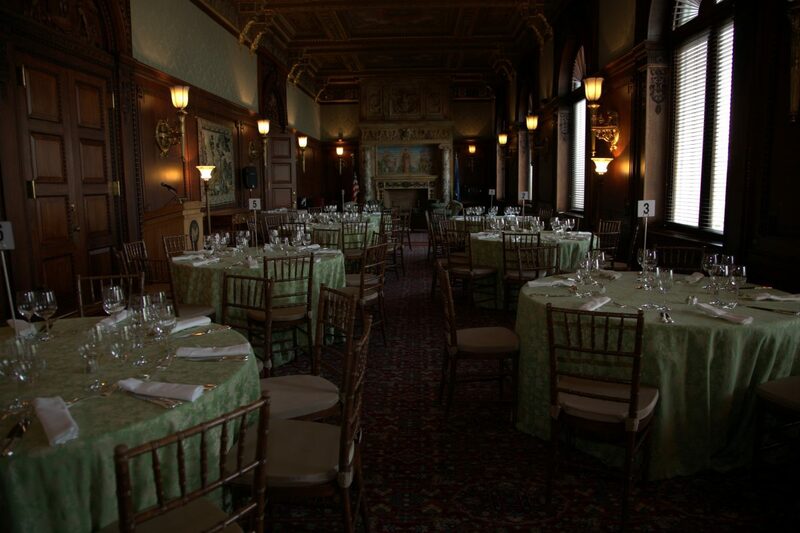 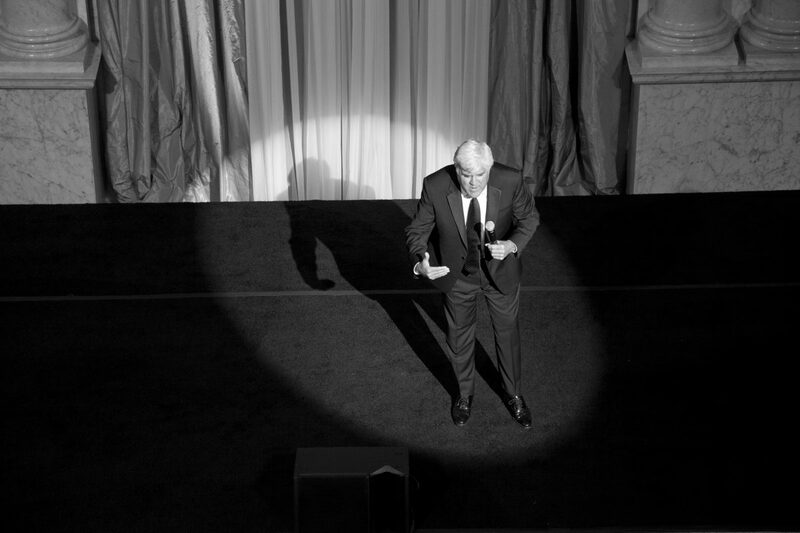 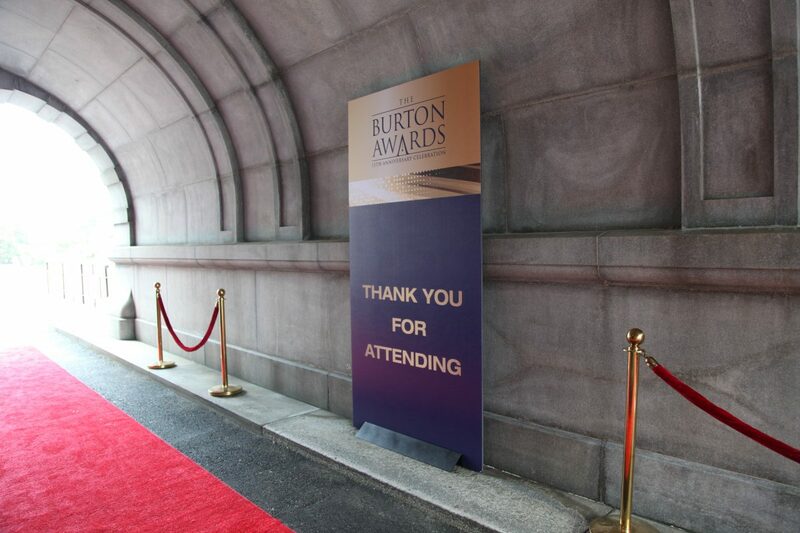 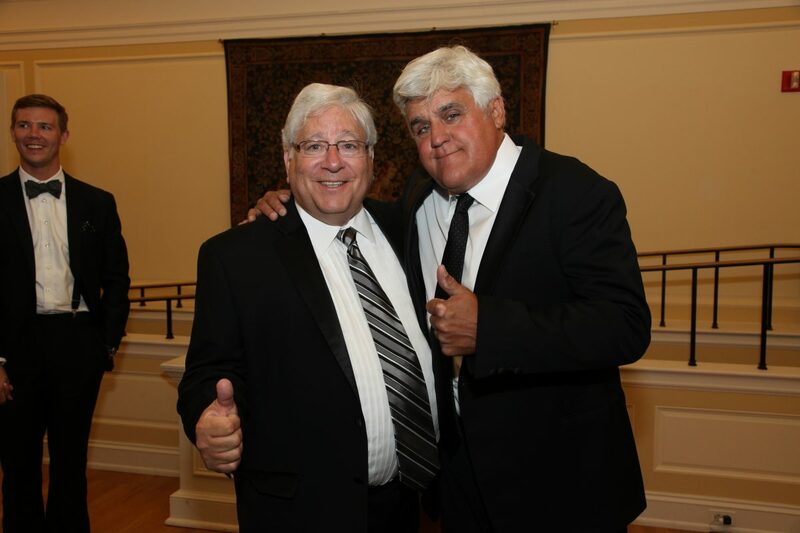 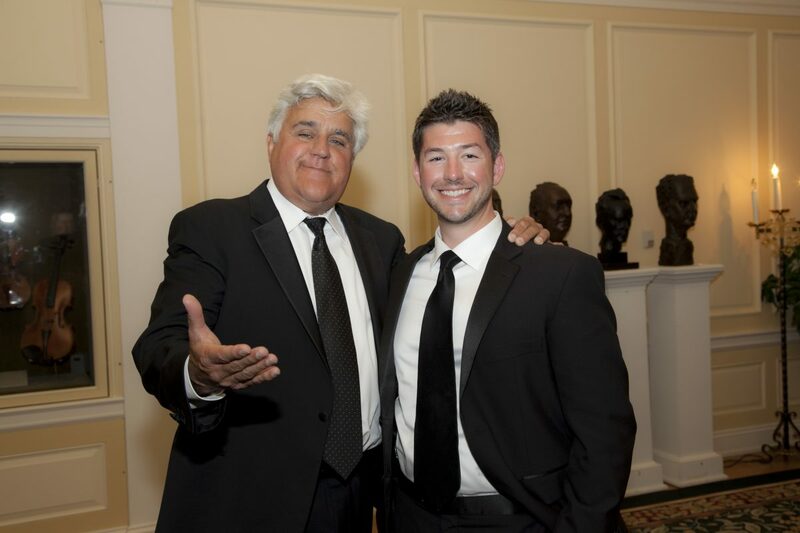 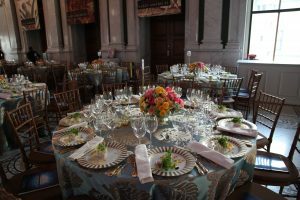 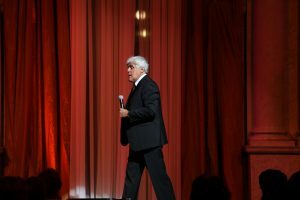 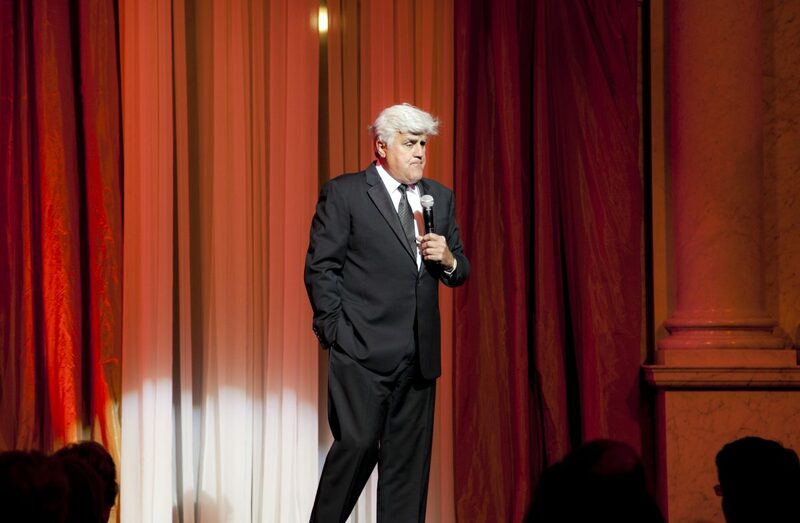 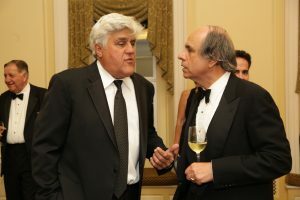 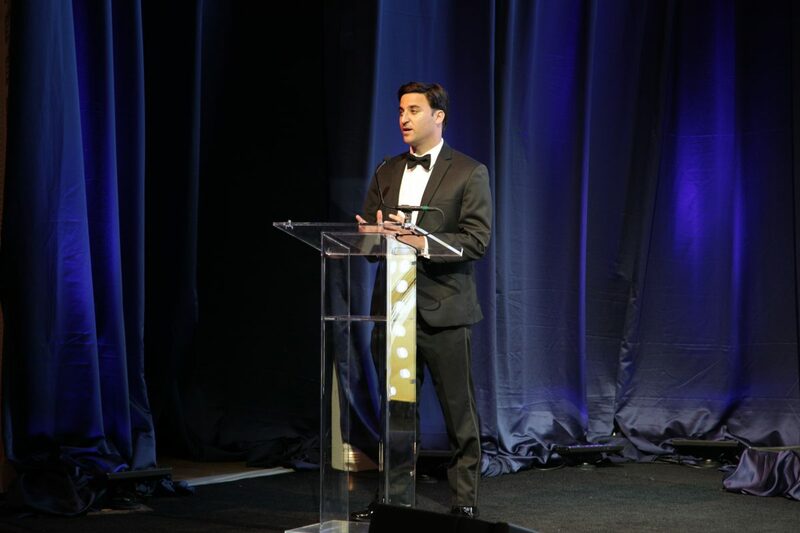 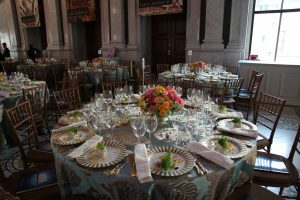 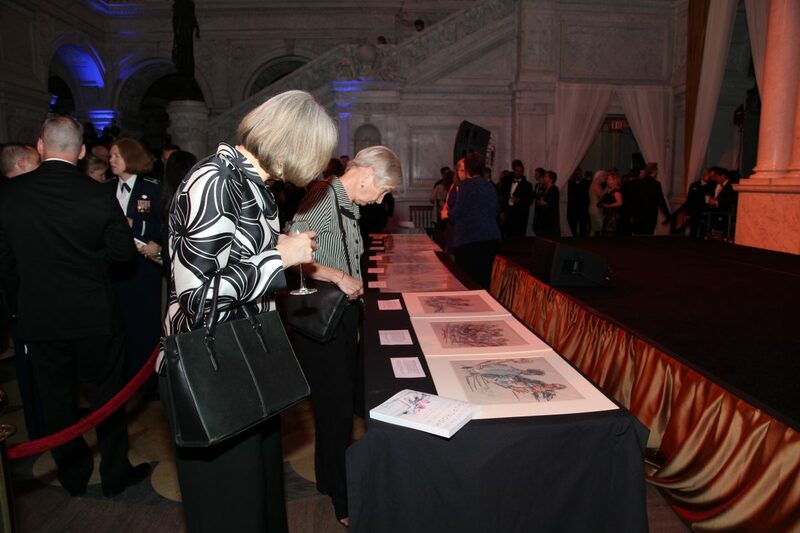 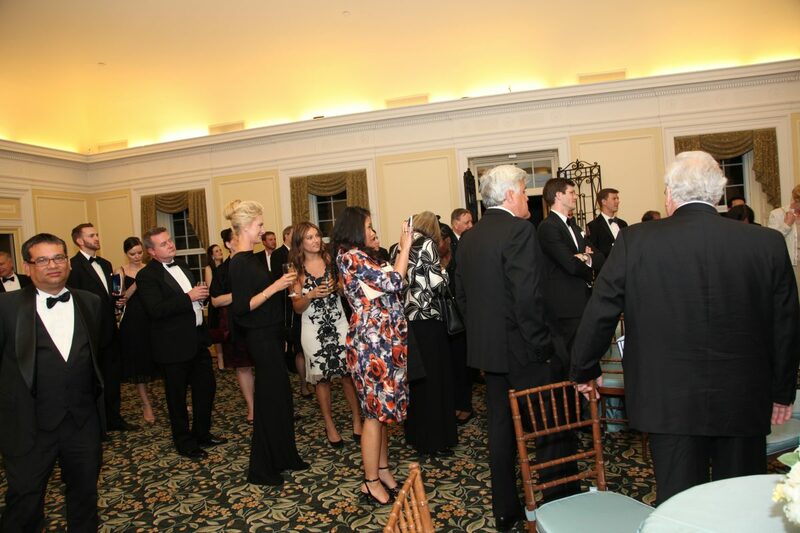 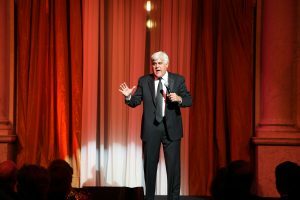 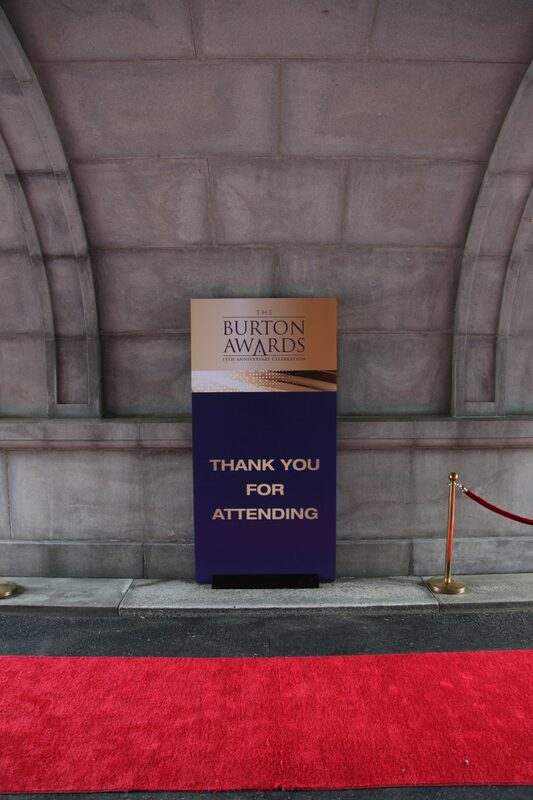 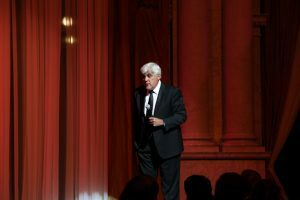 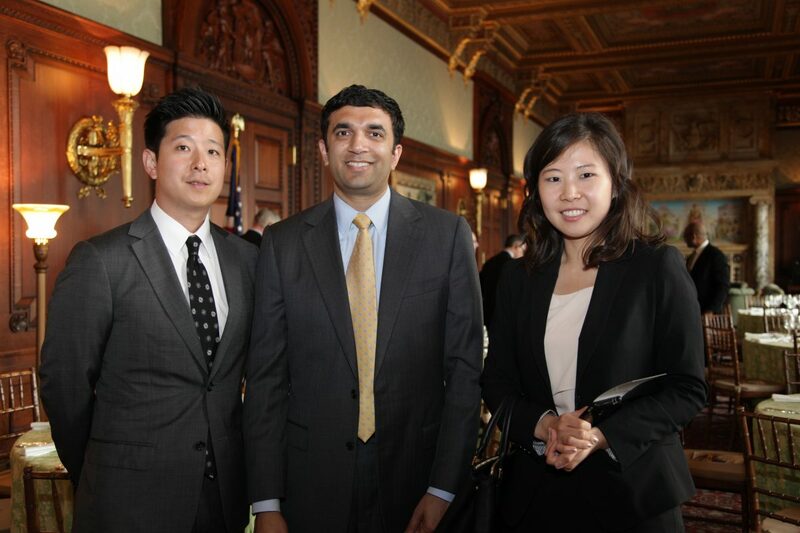 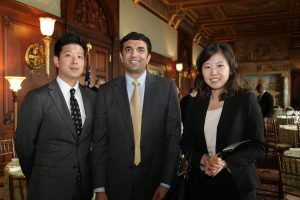 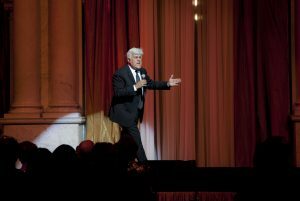 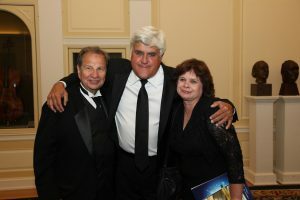 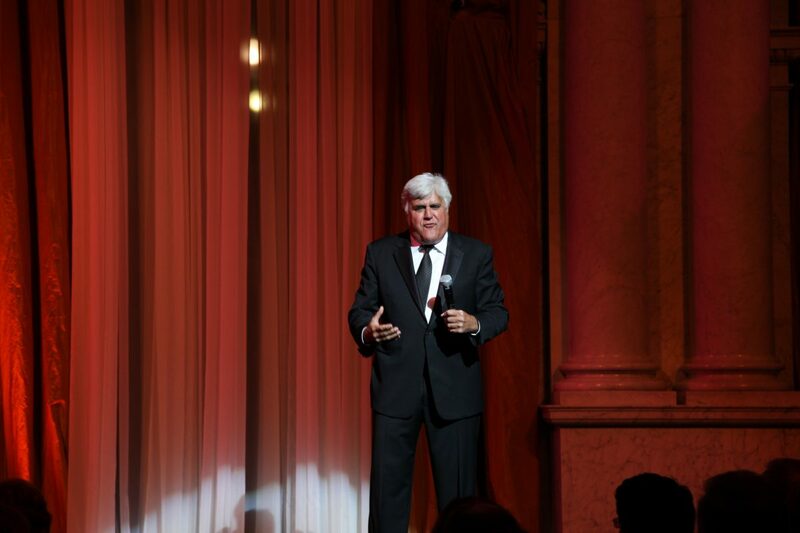 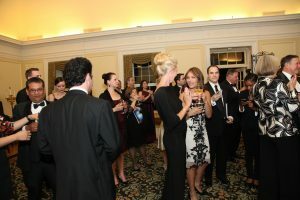 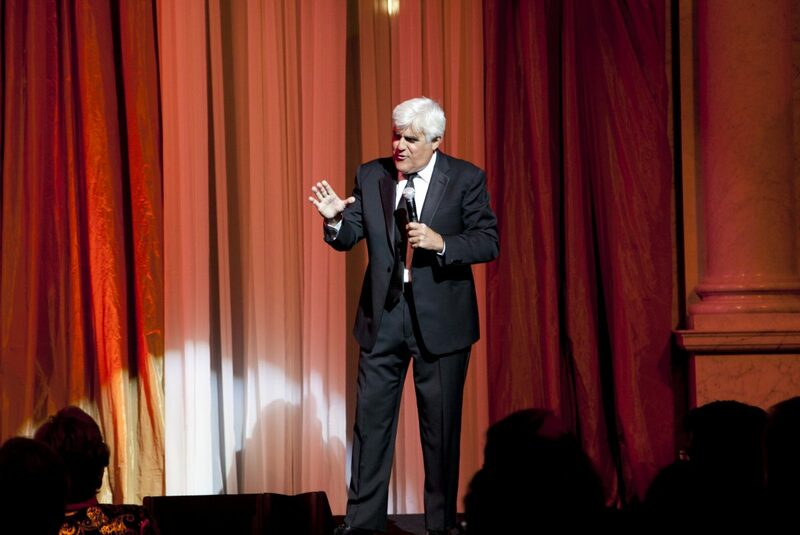 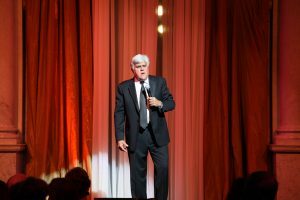 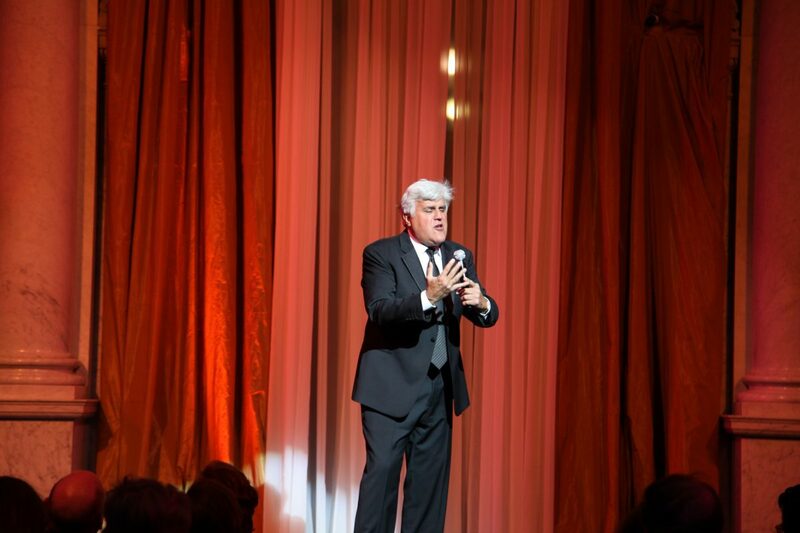 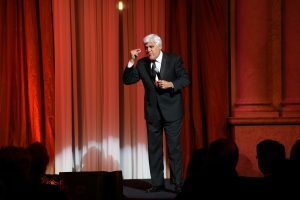 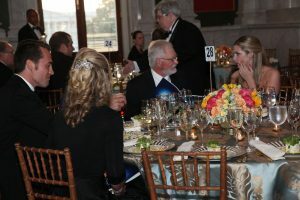 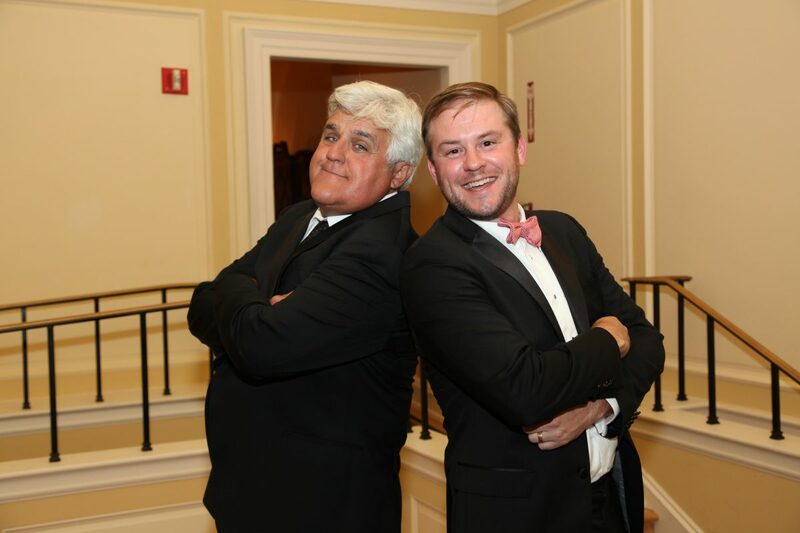 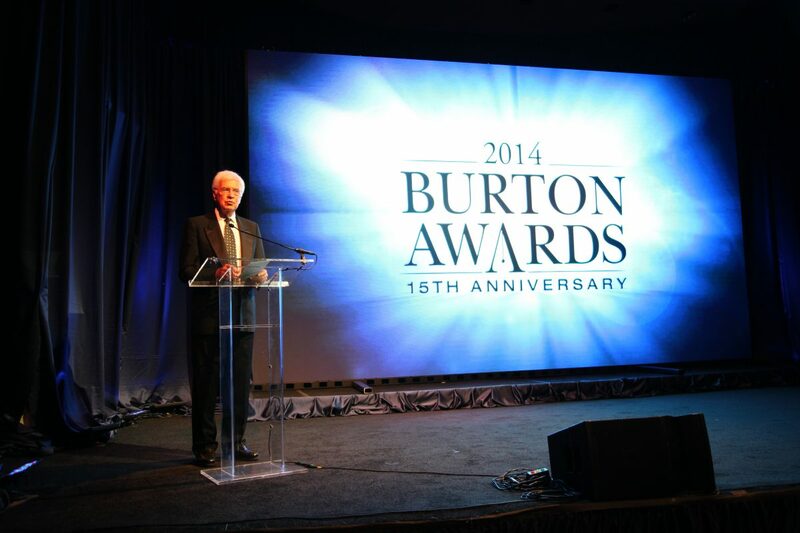 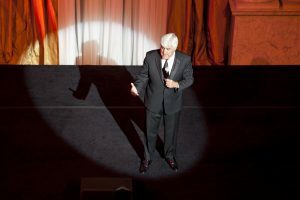 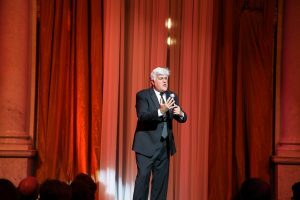 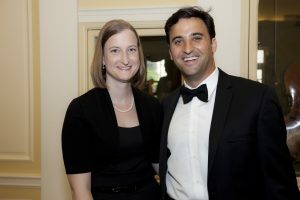 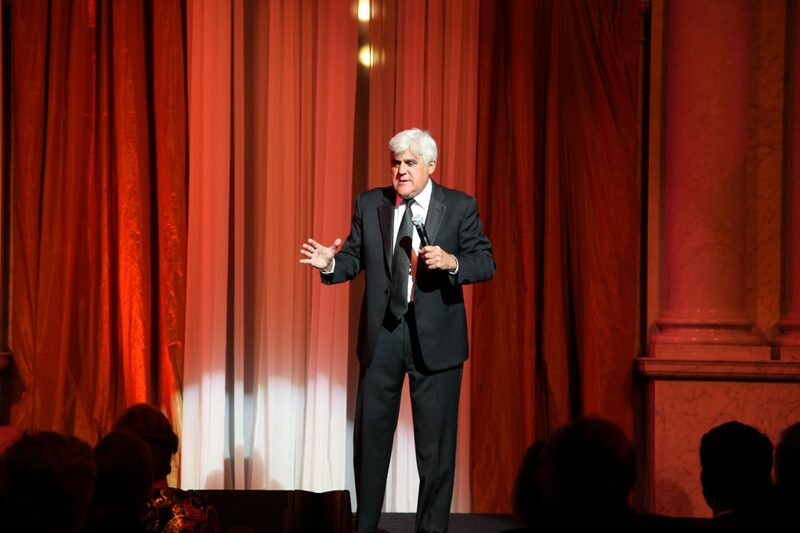 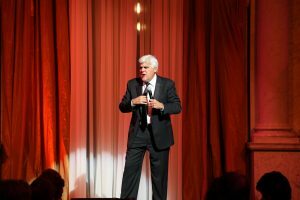 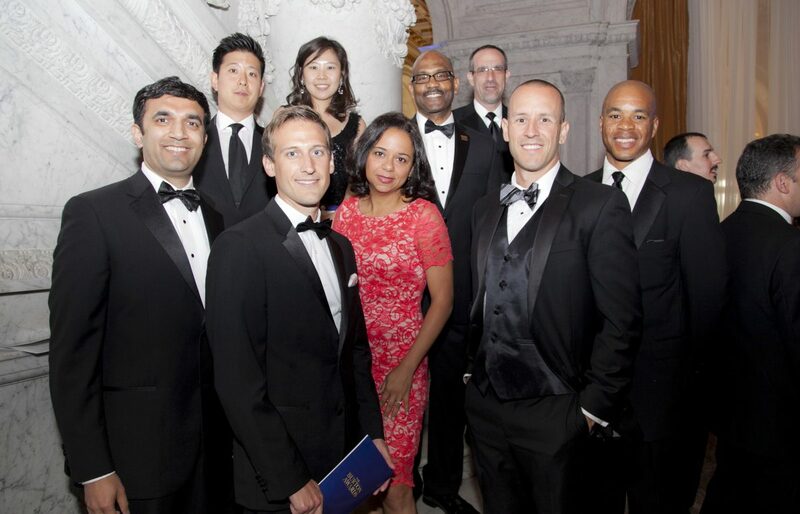 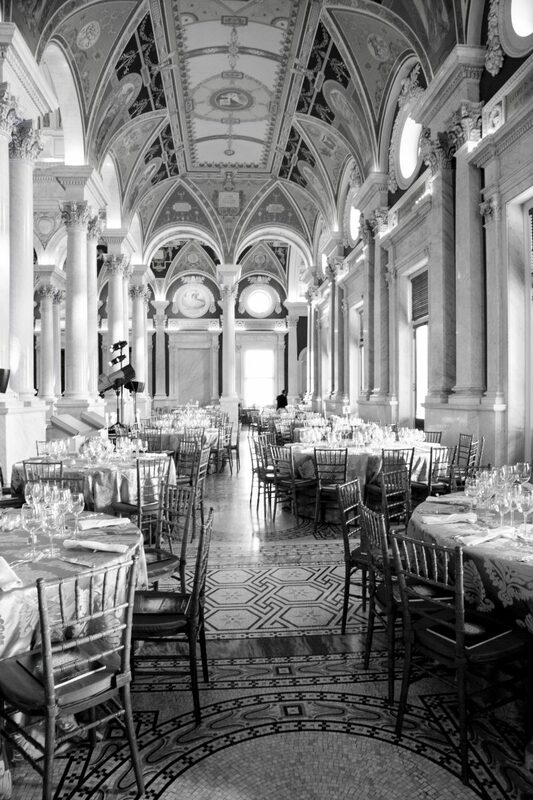 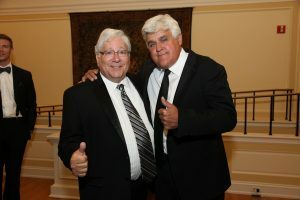 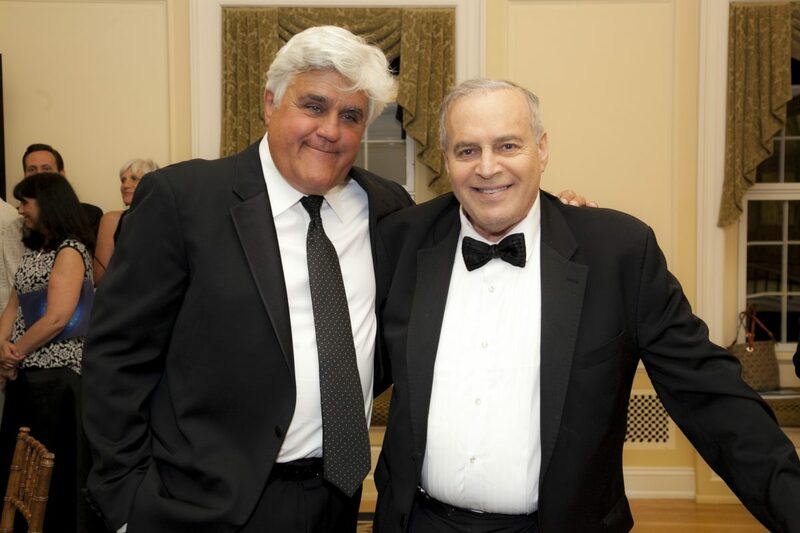 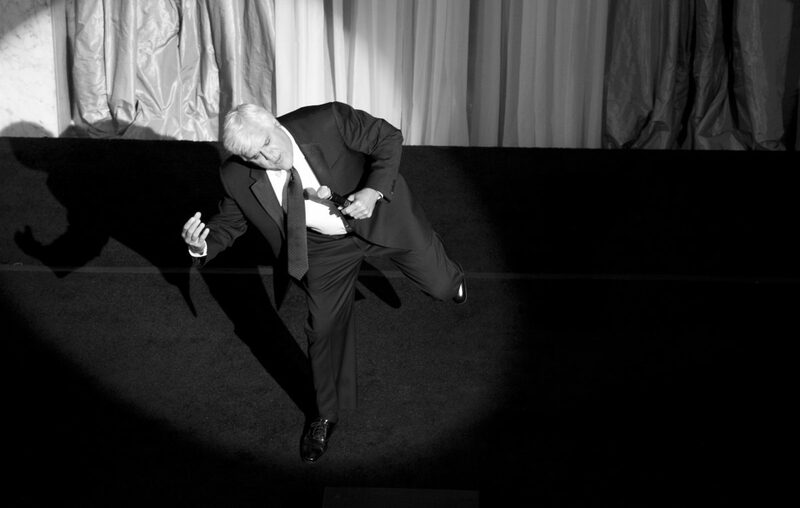 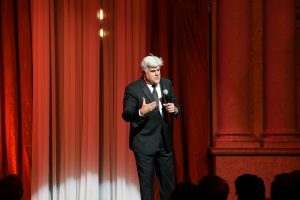 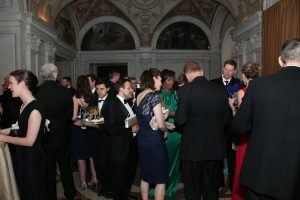 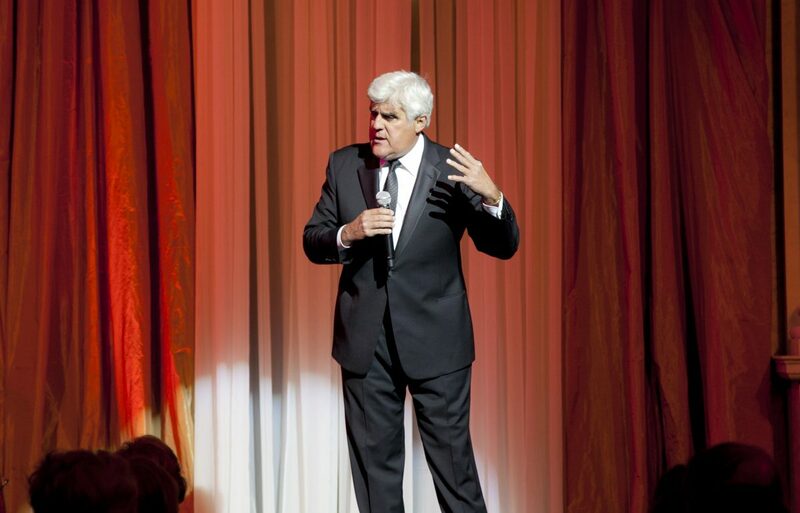 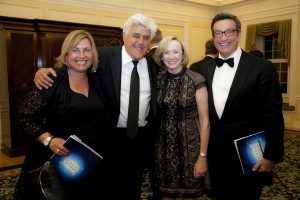 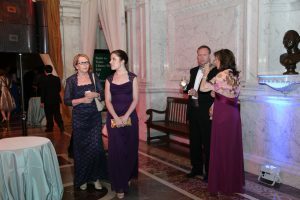 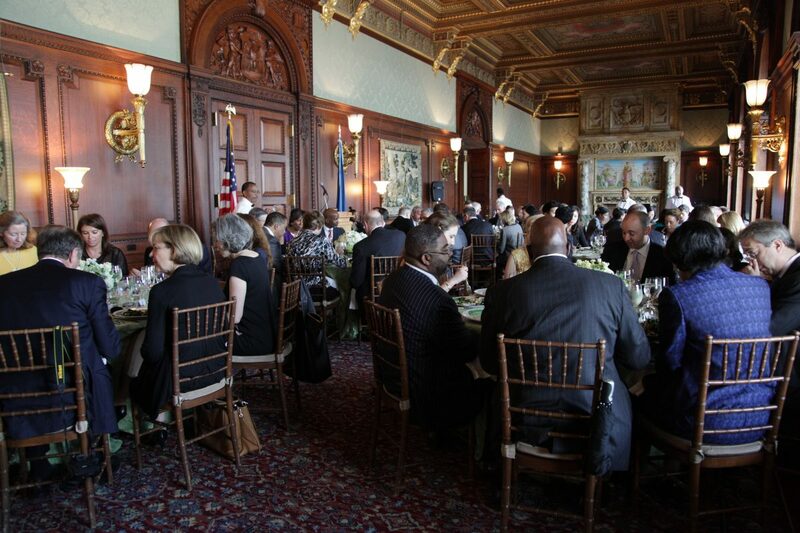 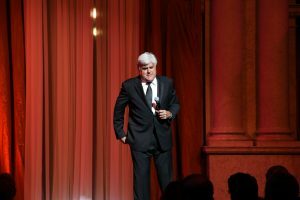 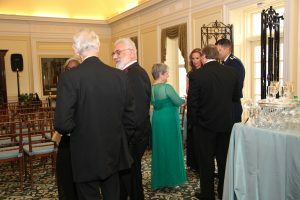 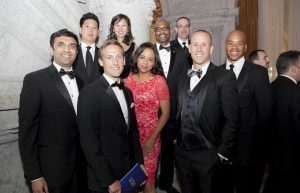 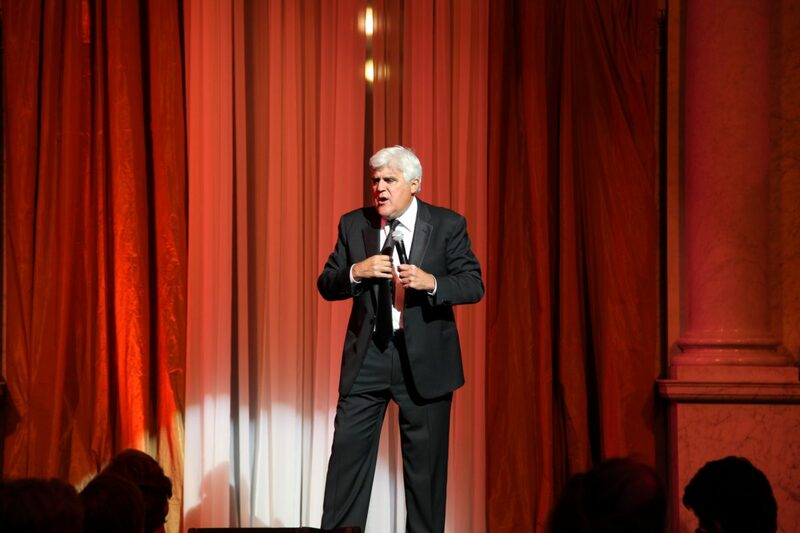 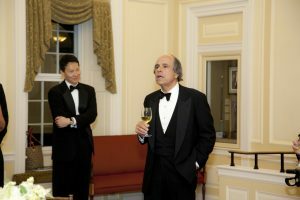 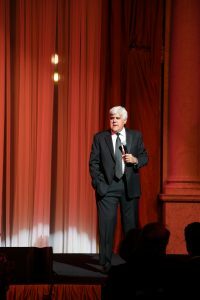 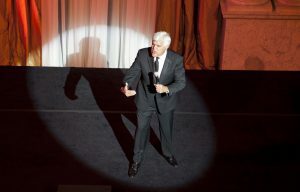 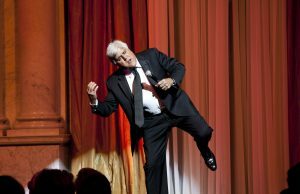 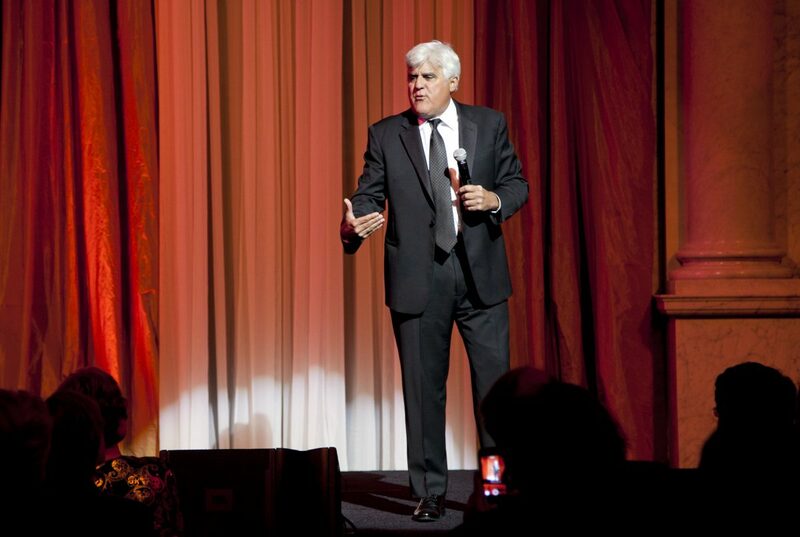 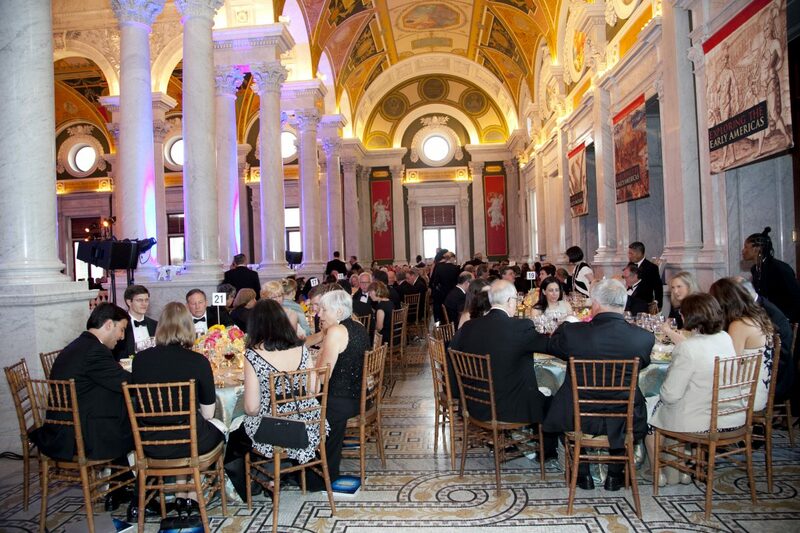 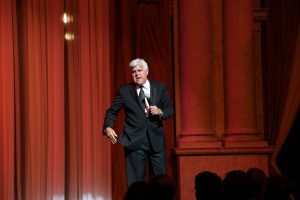 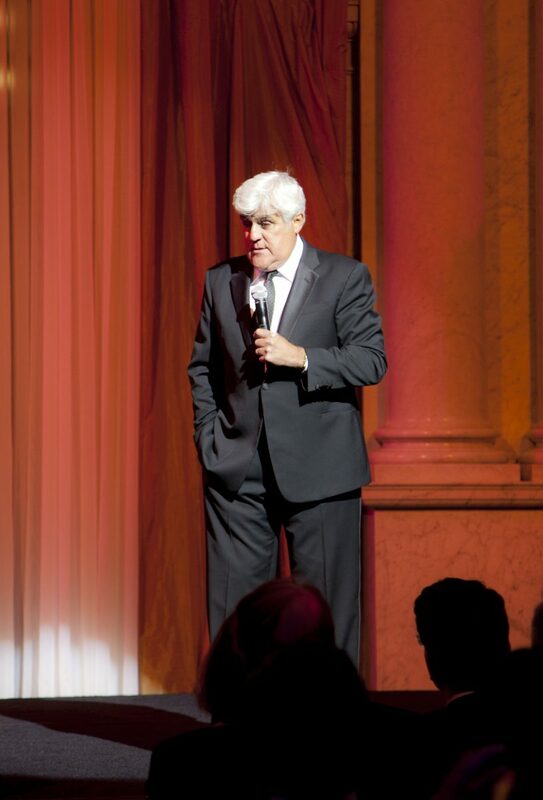 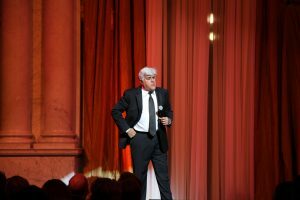 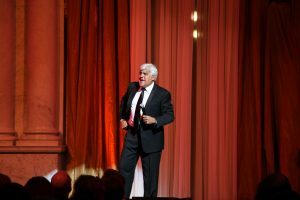 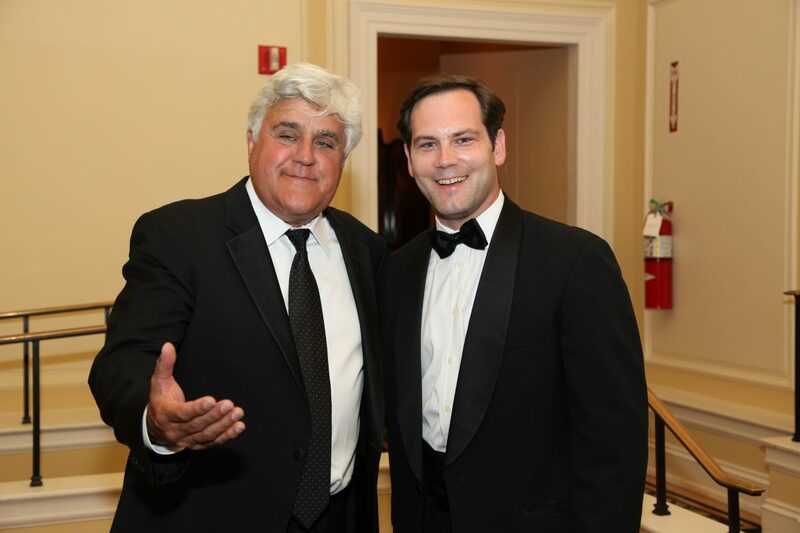 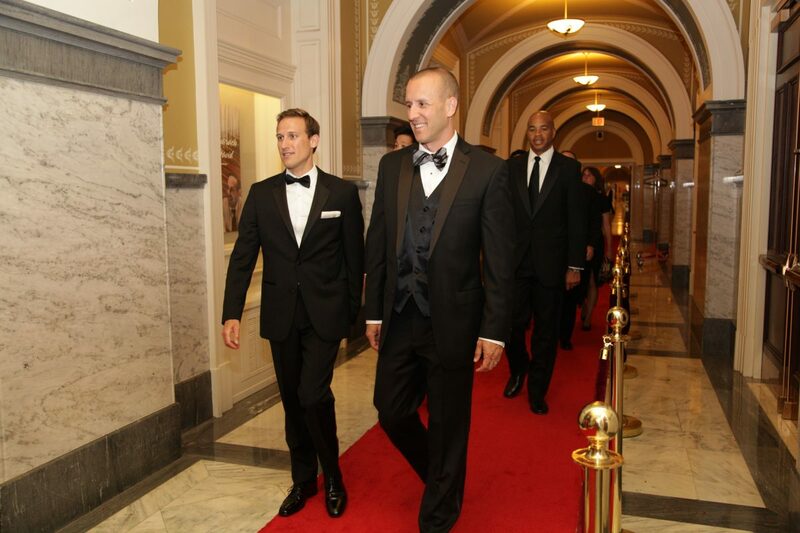 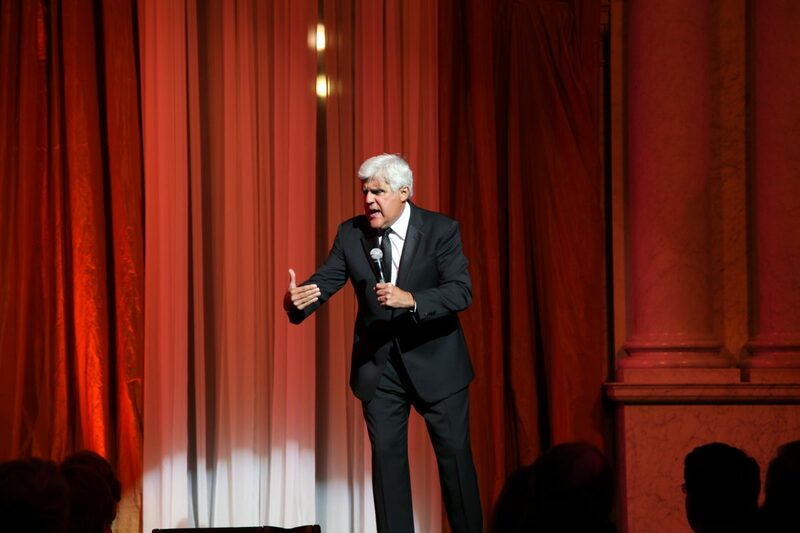 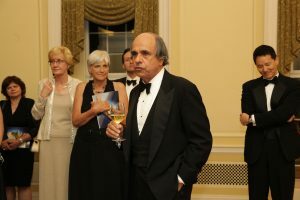 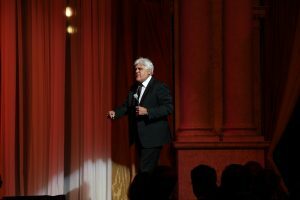 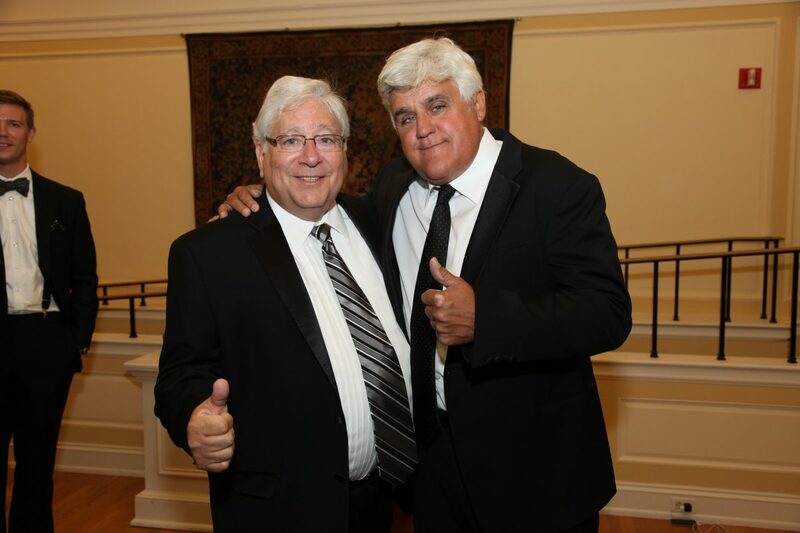 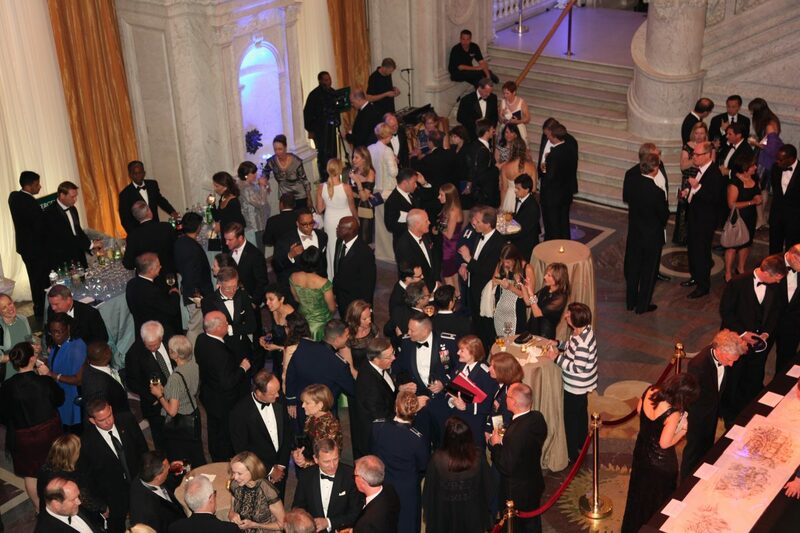 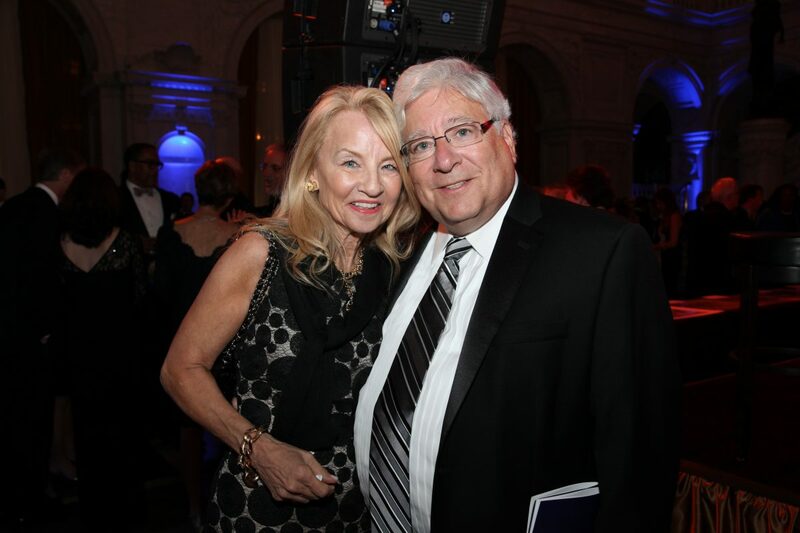 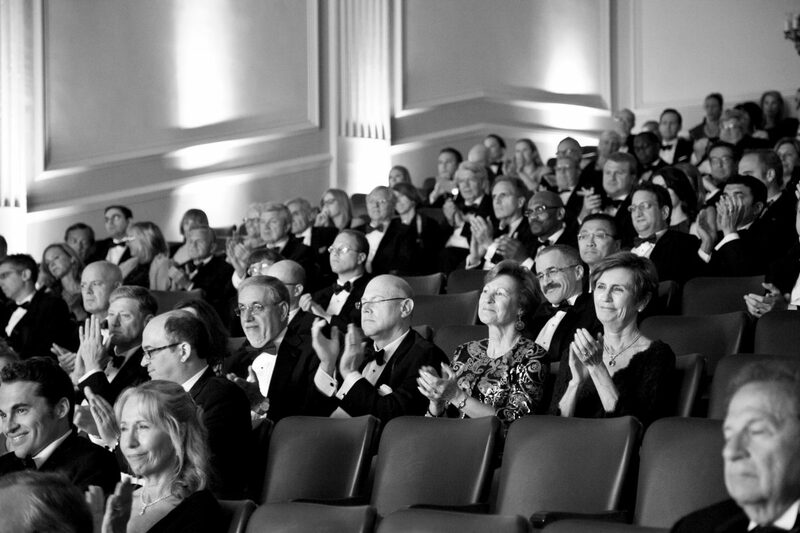 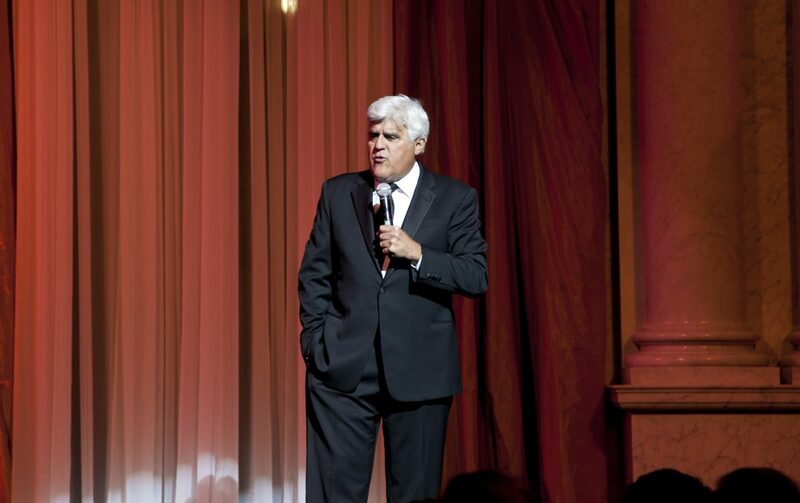 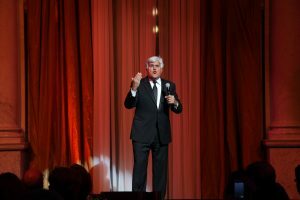 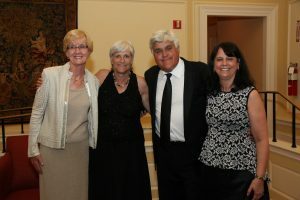 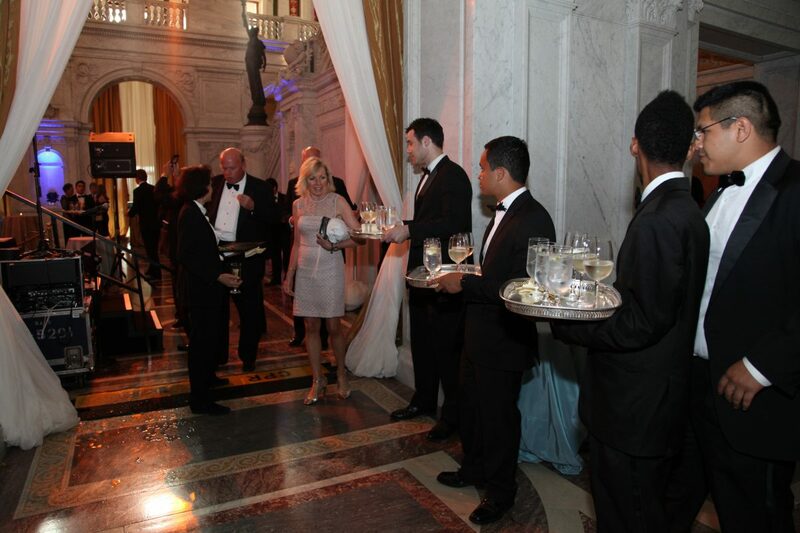 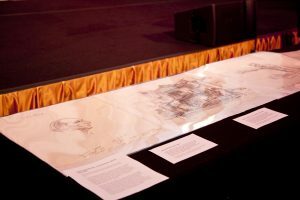 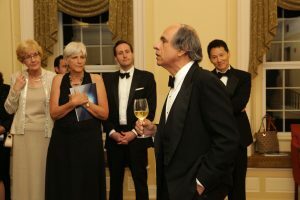 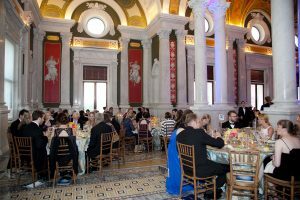 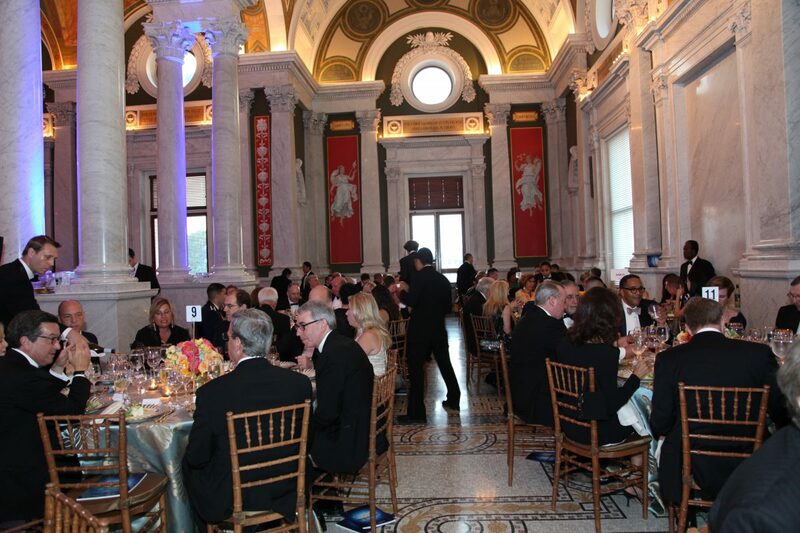 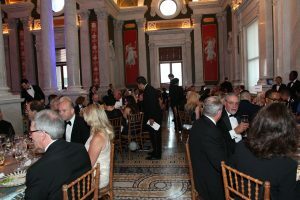 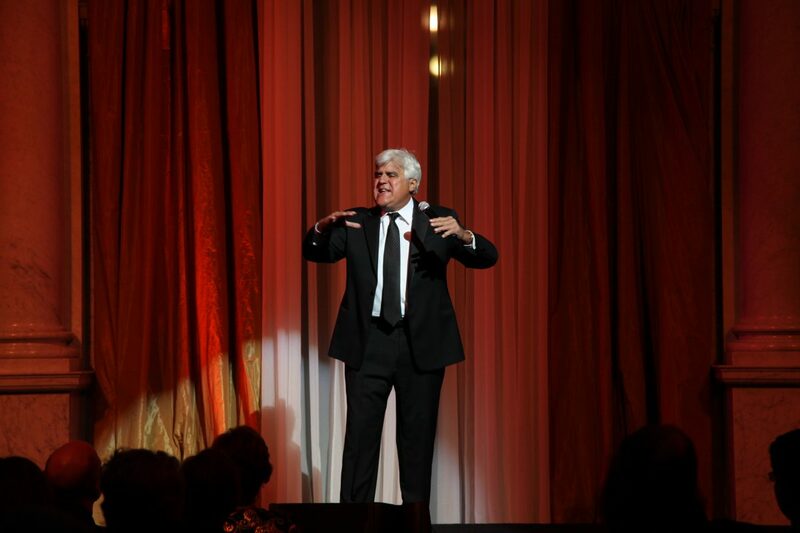 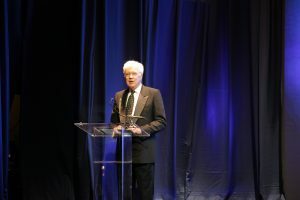 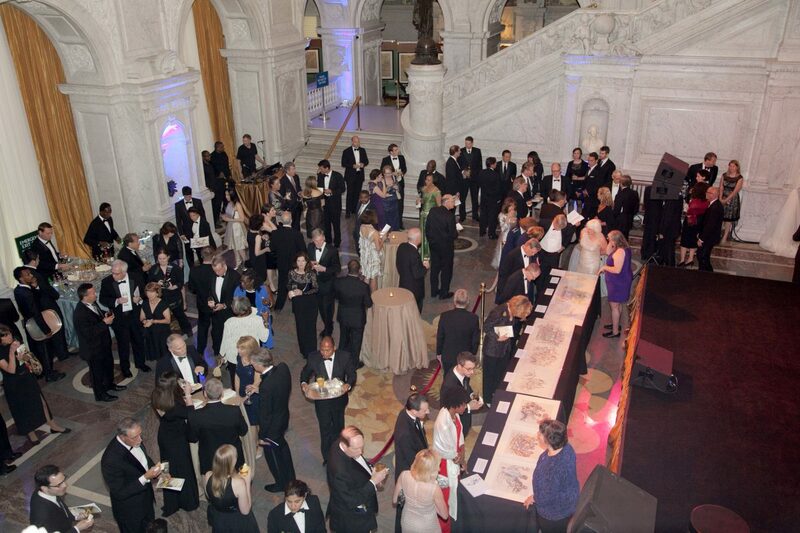 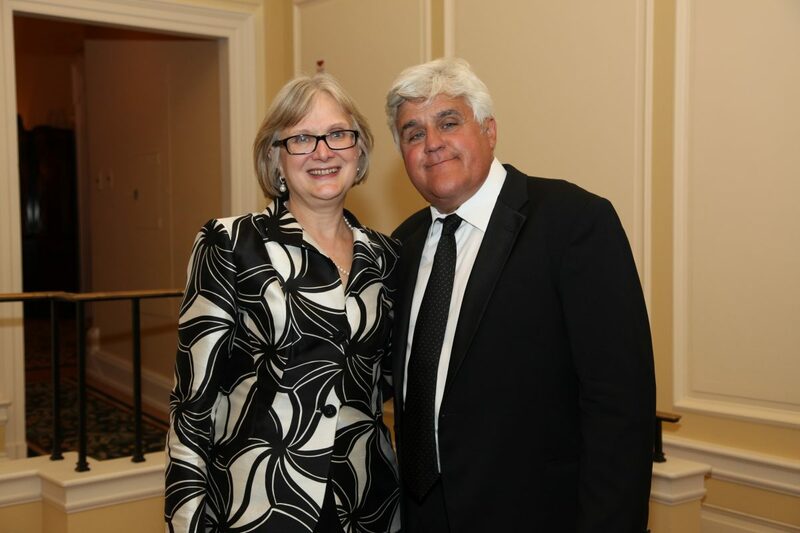 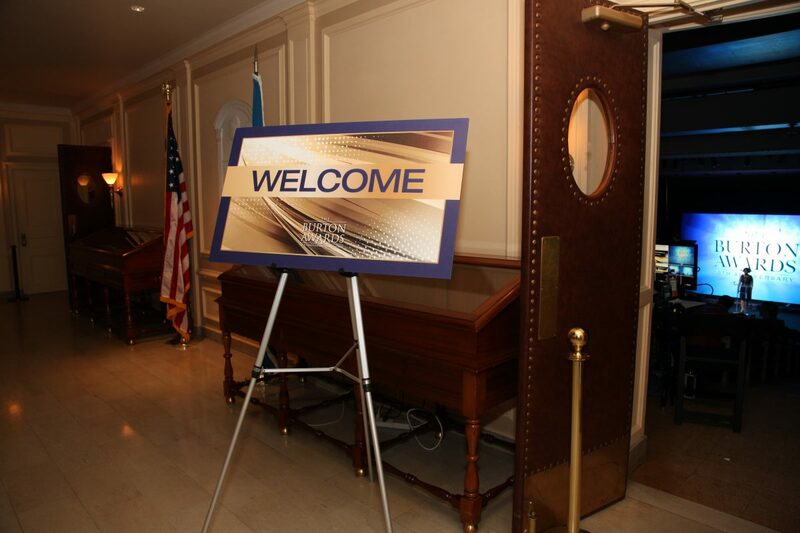 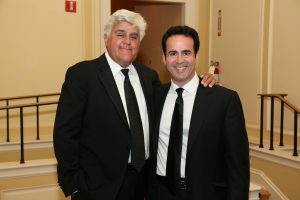 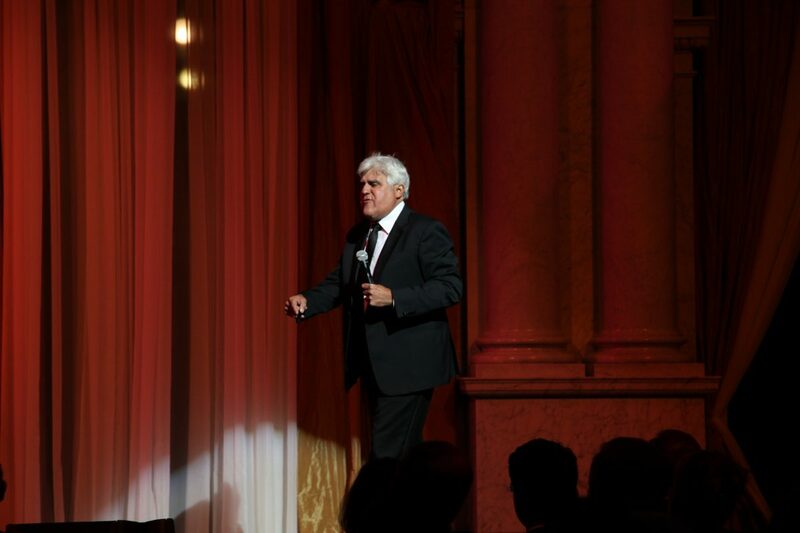 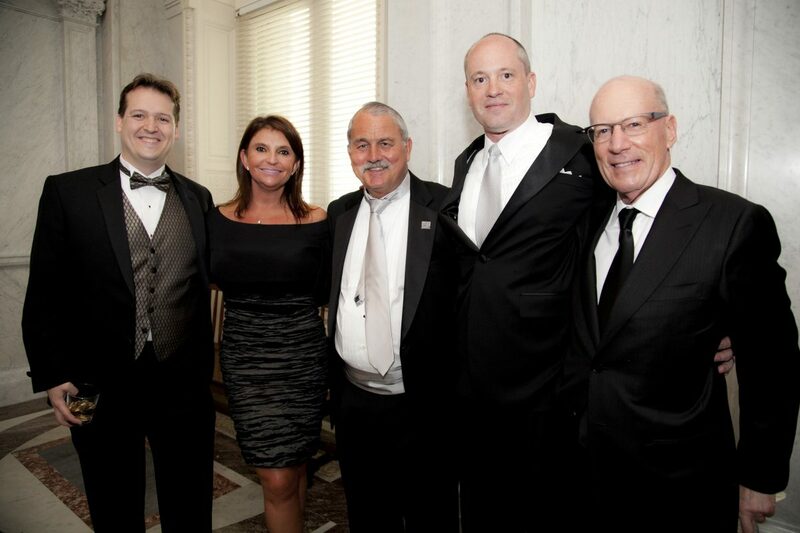 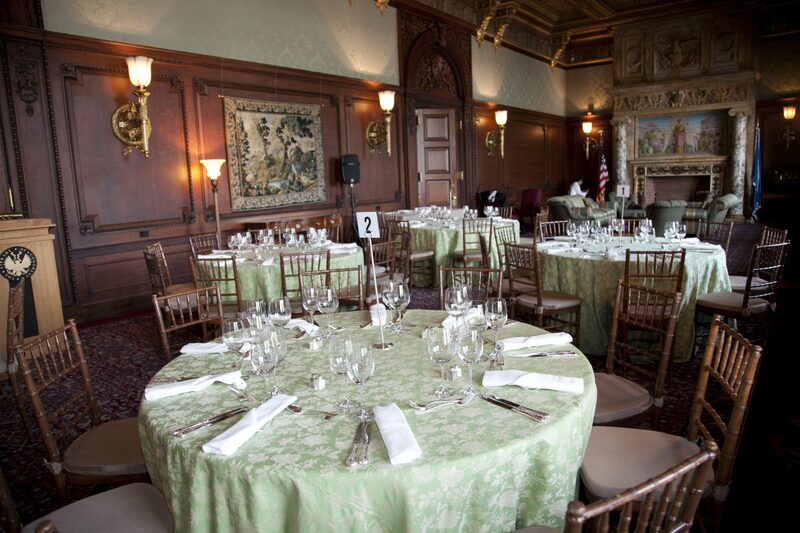 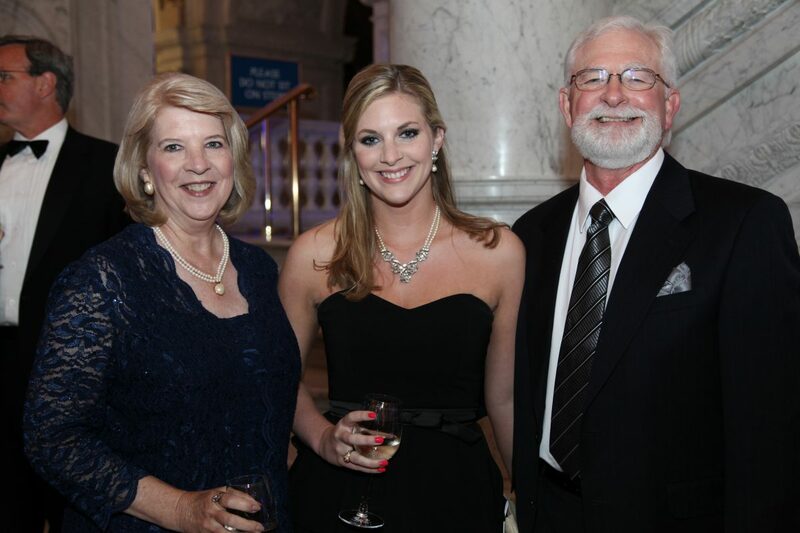 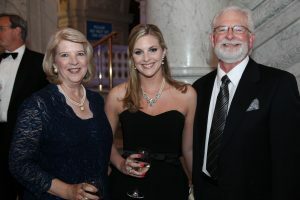 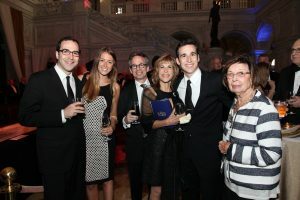 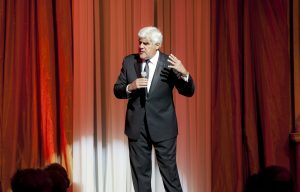 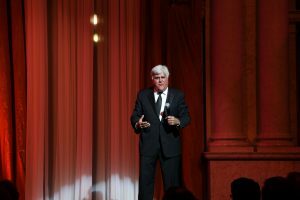 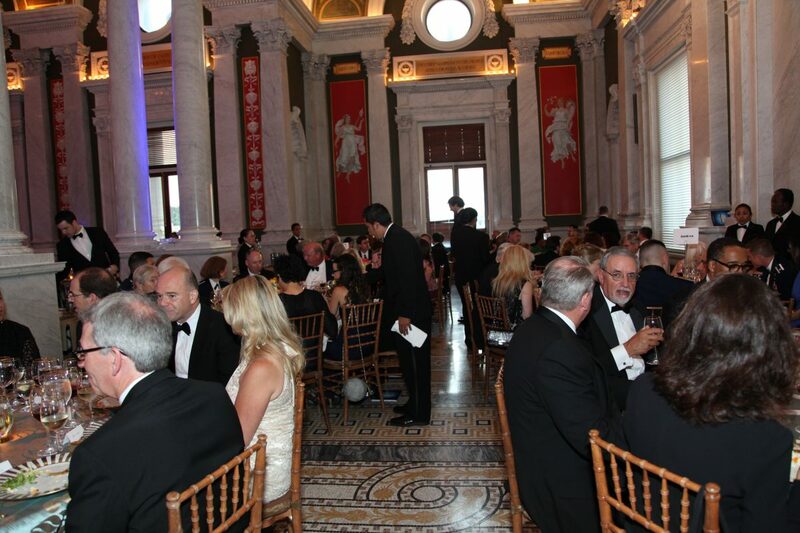 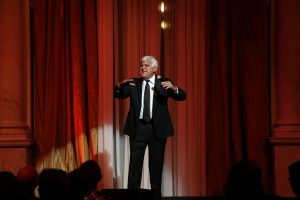 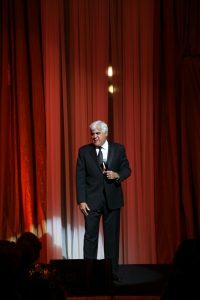 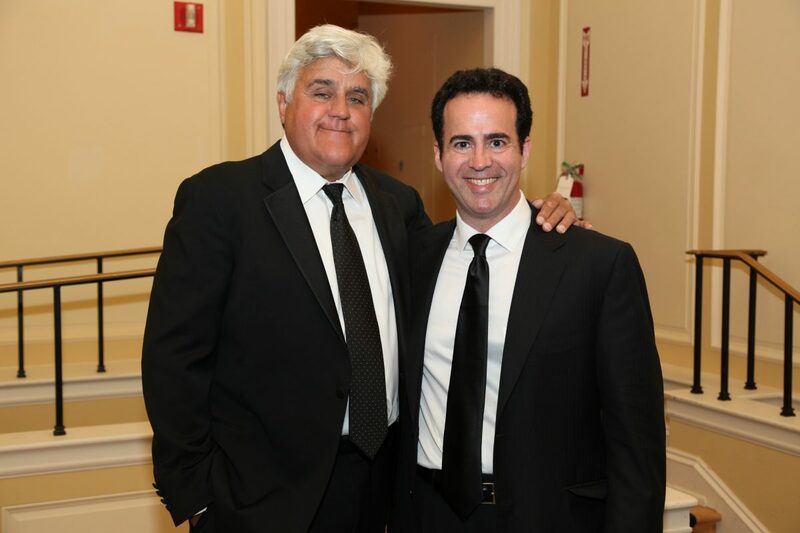 The program was followed by a reception, dinner and performance by Jay Leno.